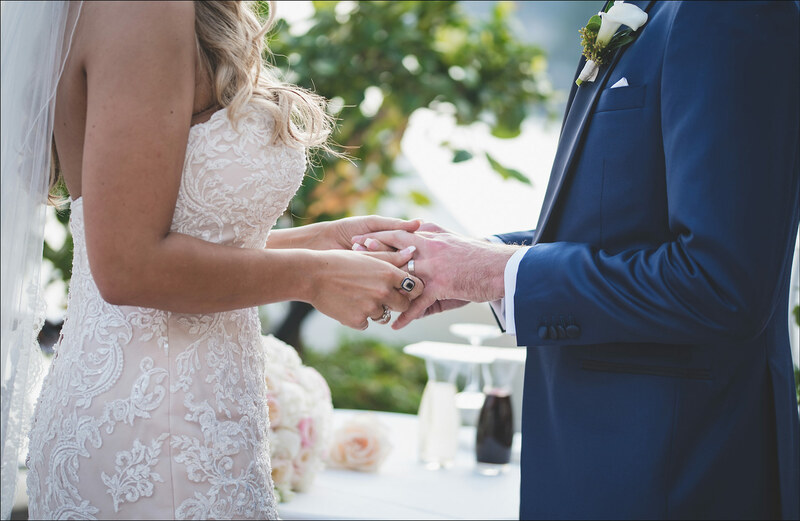 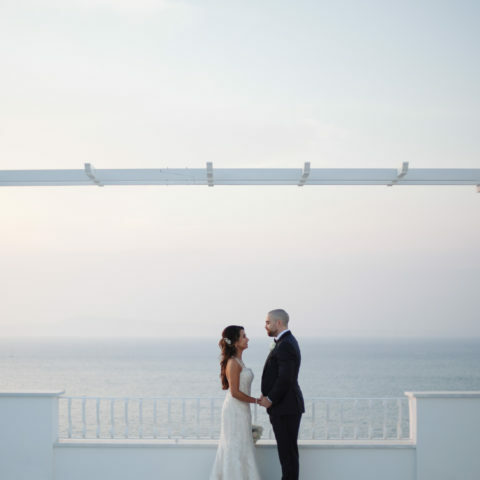 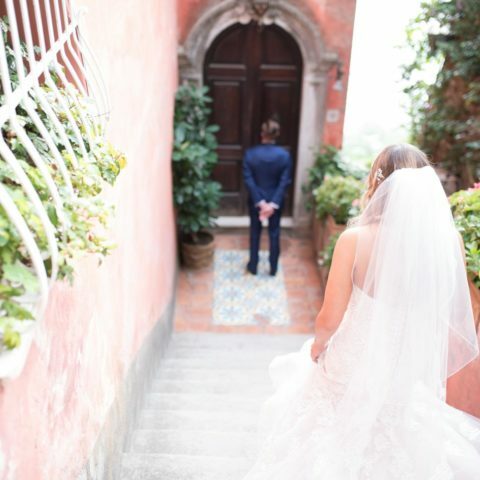 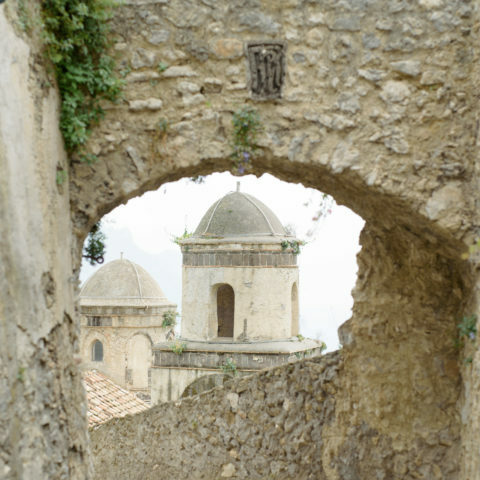 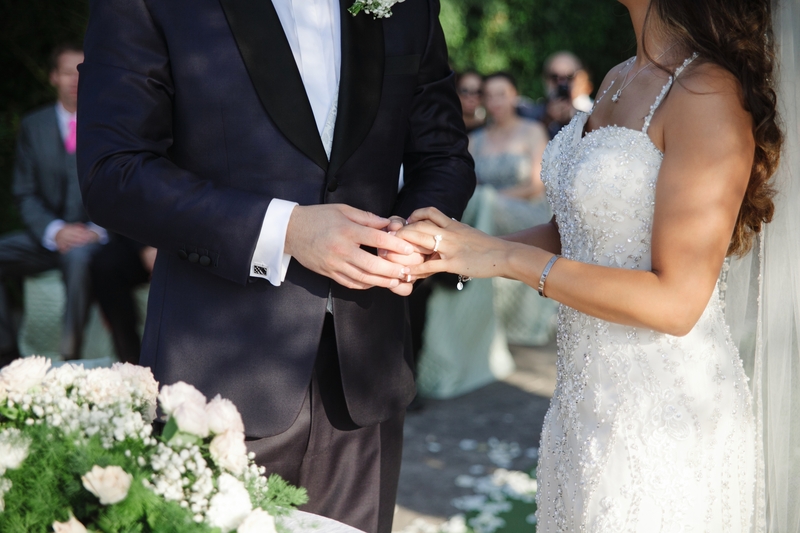 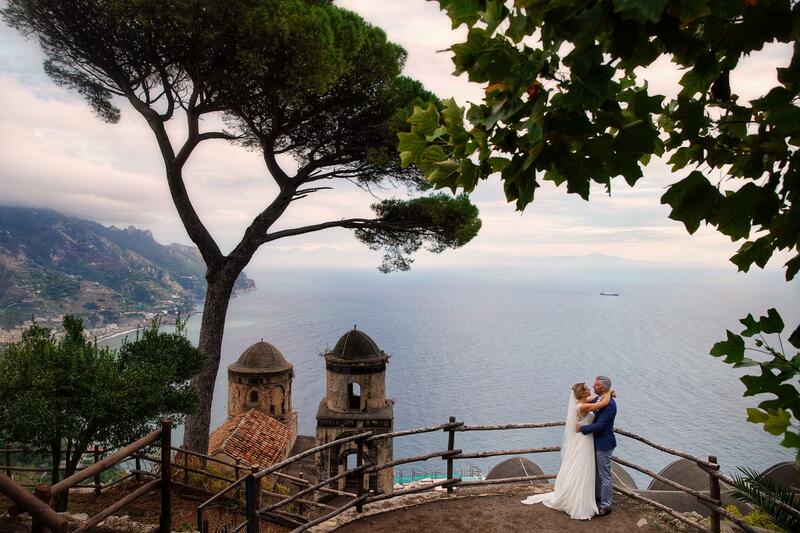 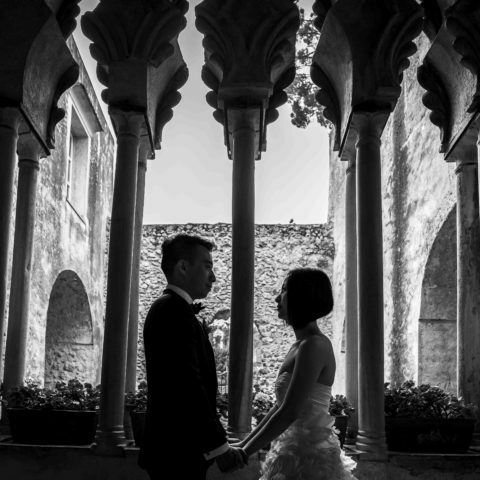 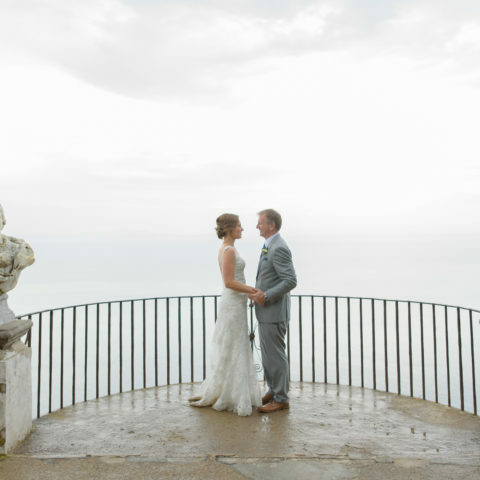 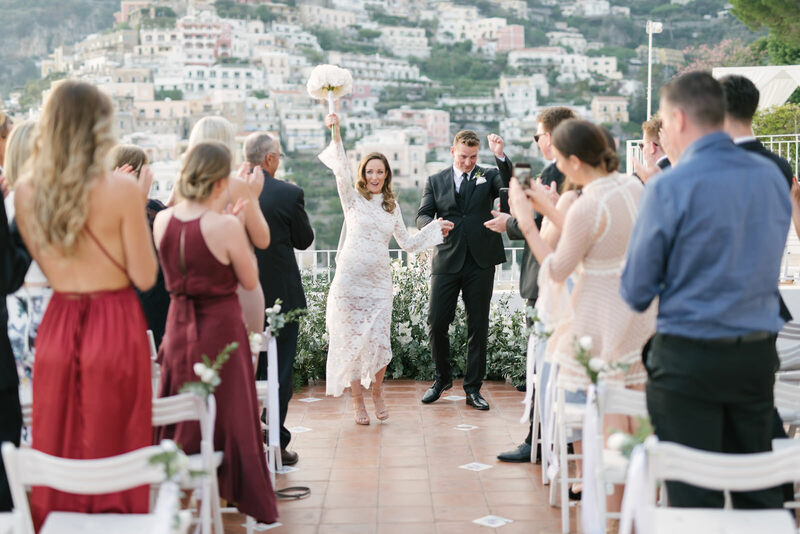 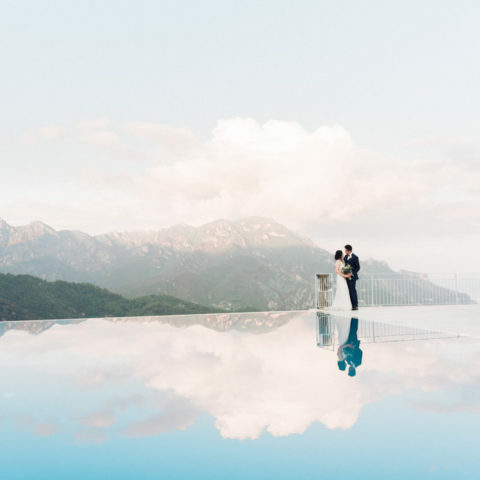 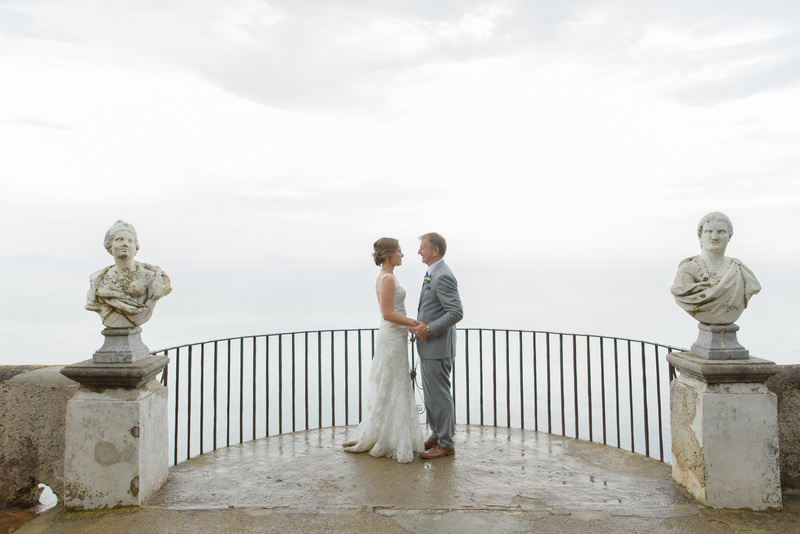 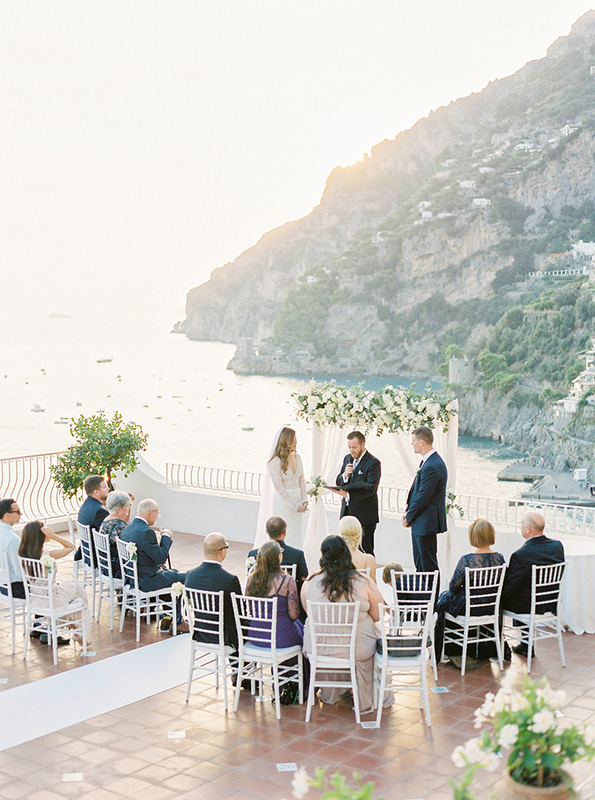 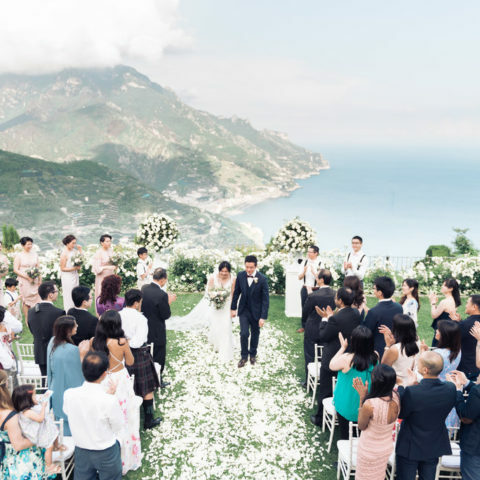 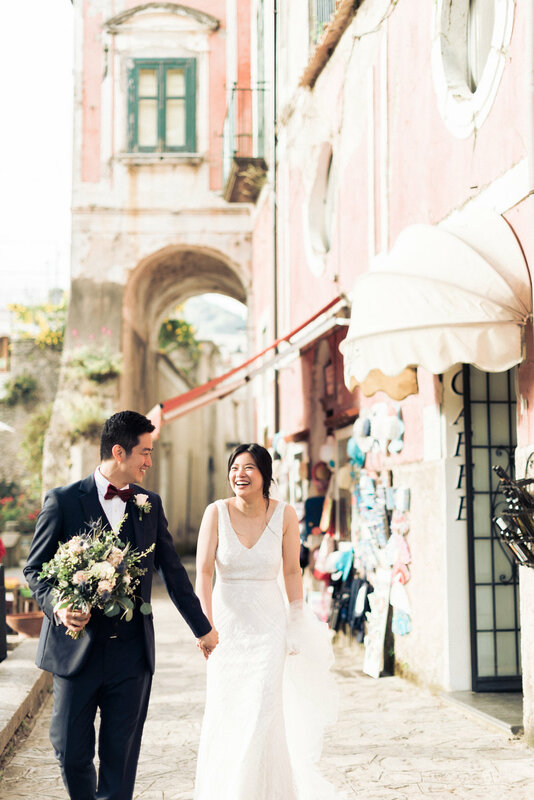 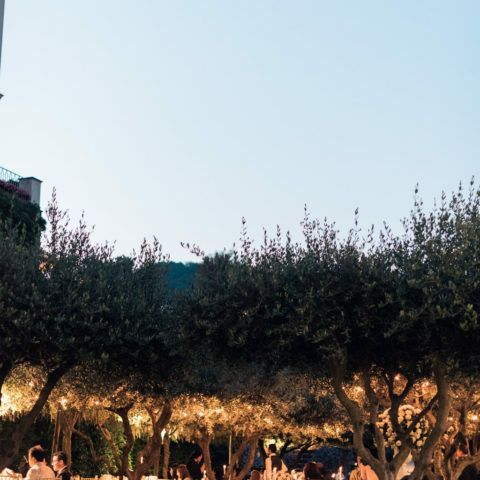 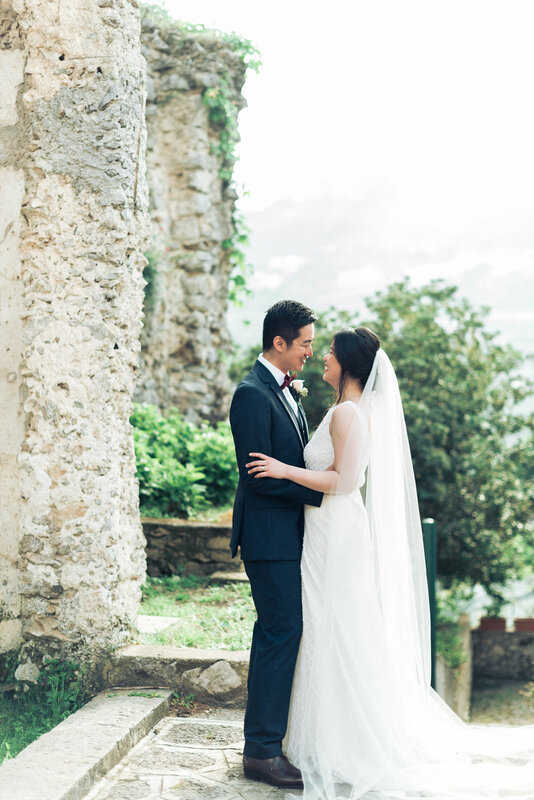 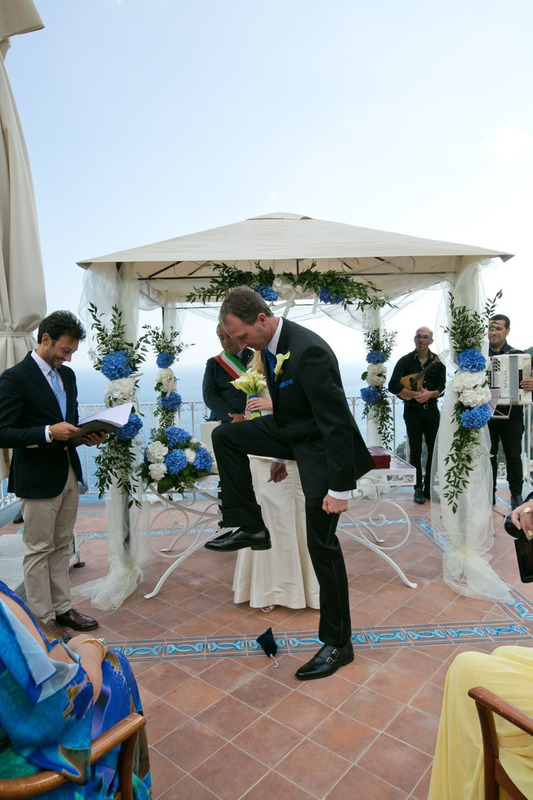 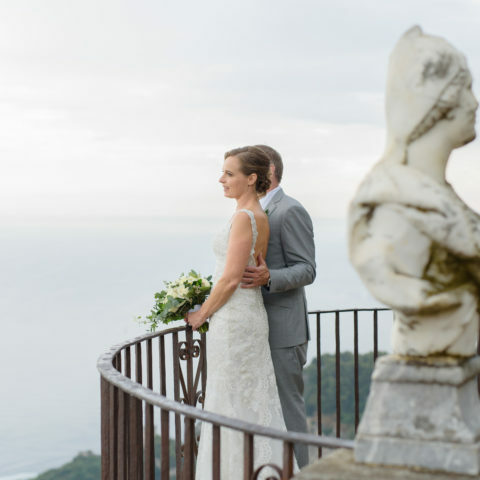 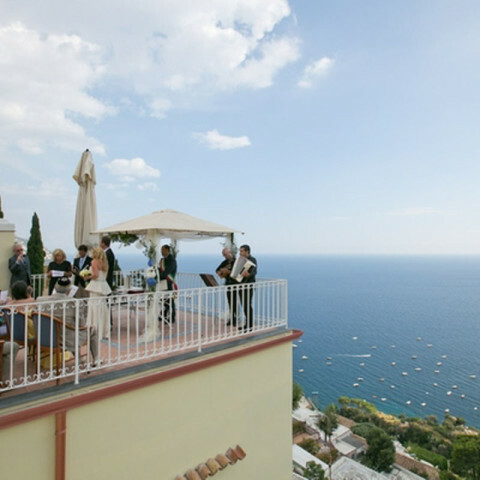 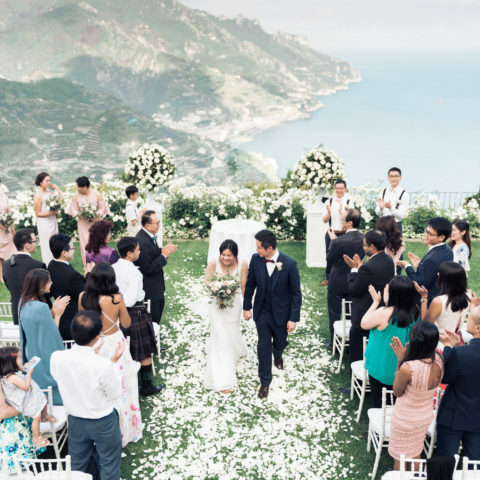 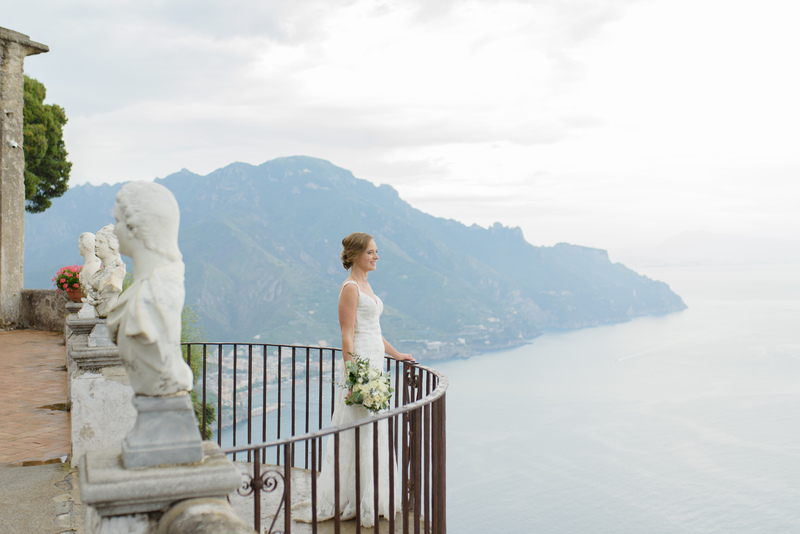 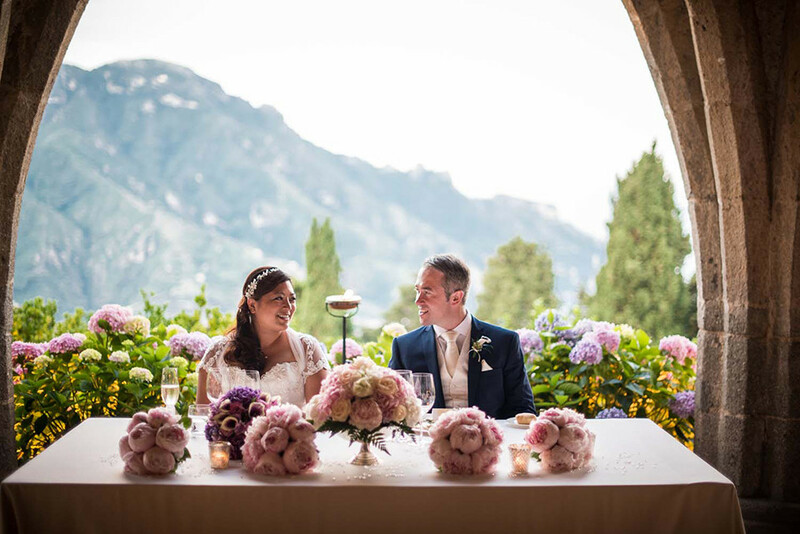 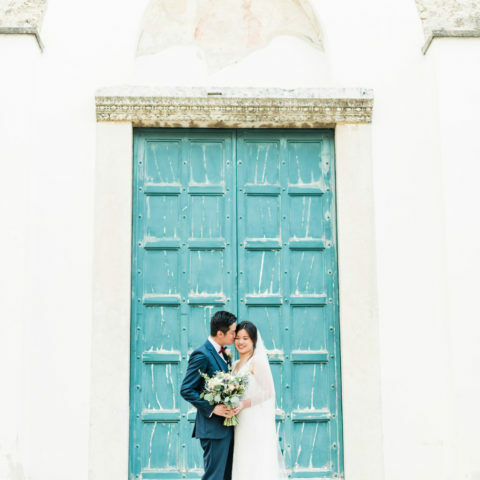 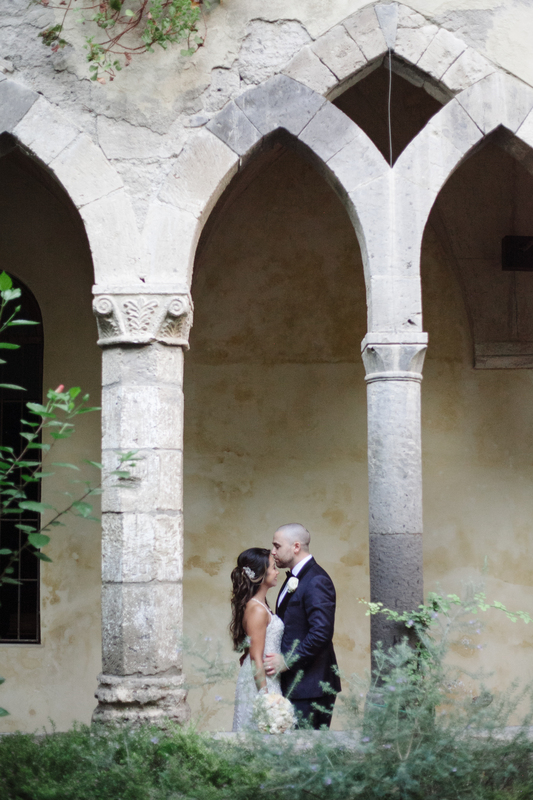 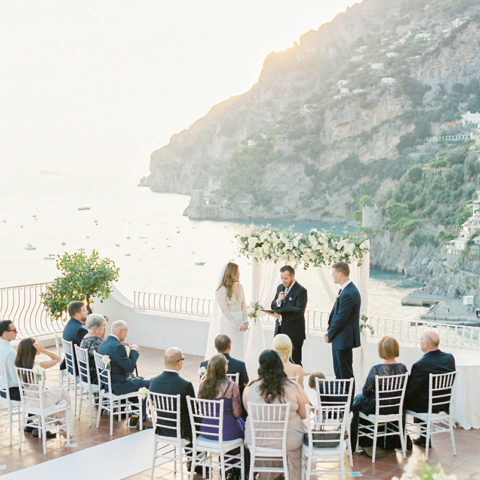 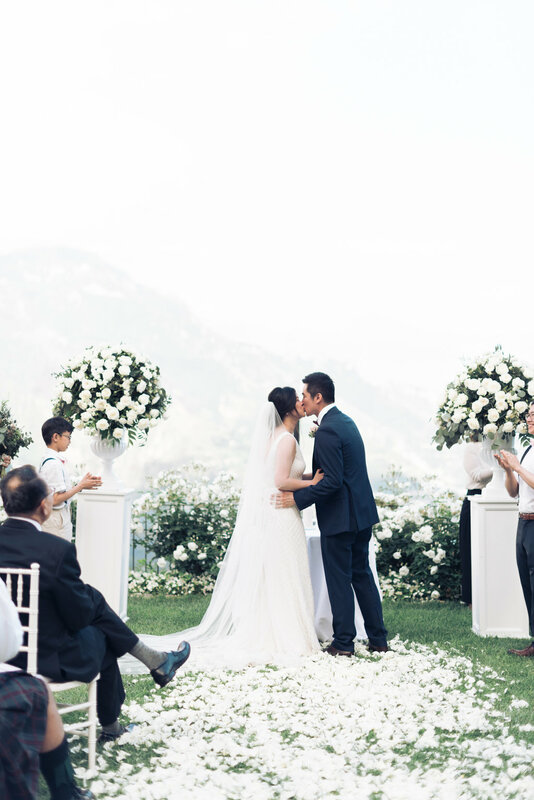 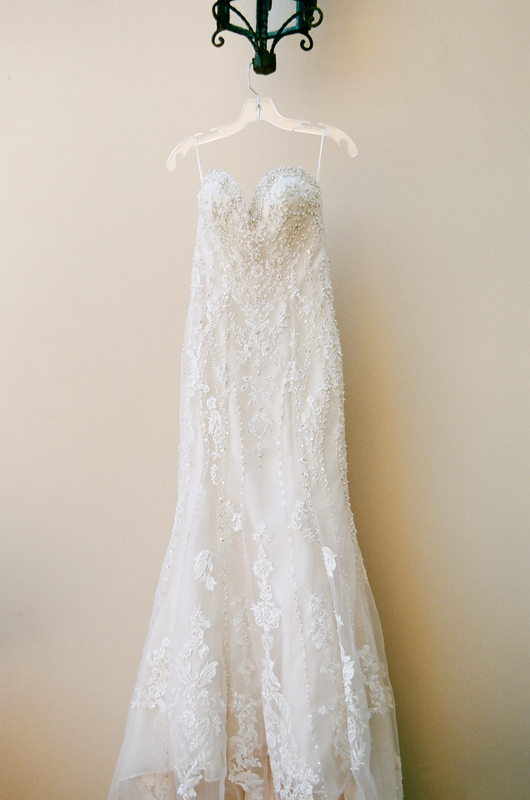 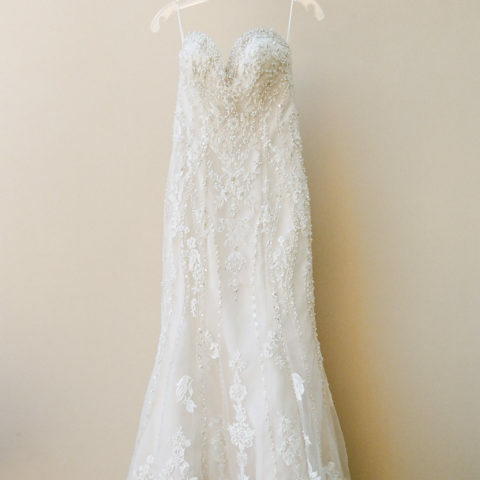 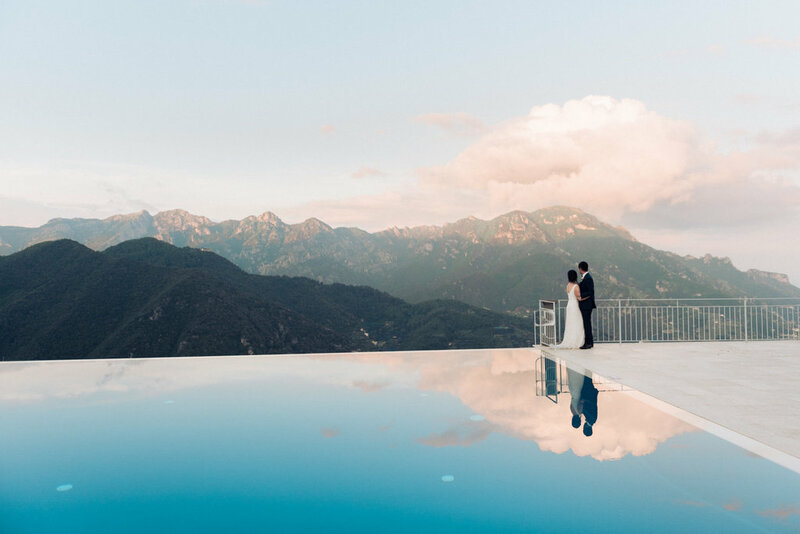 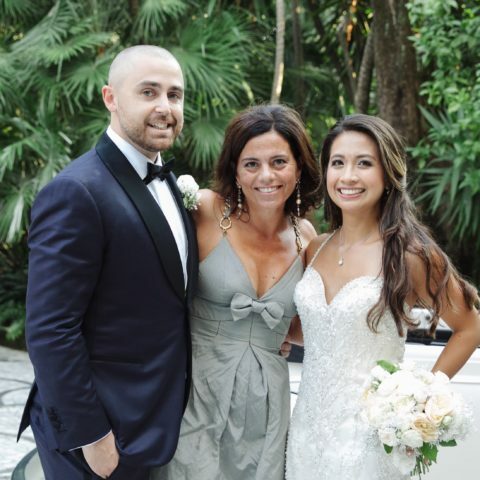 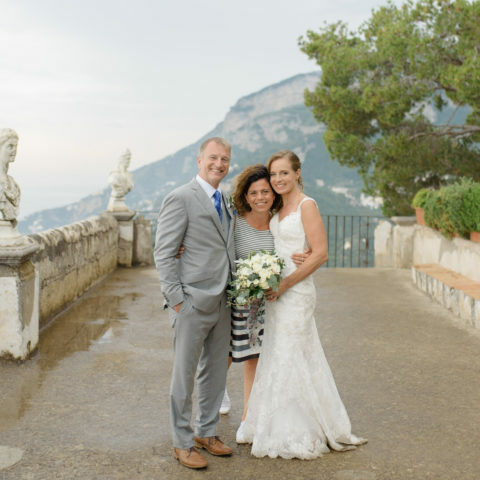 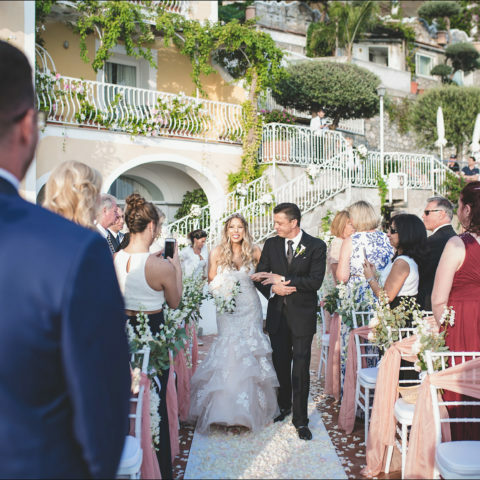 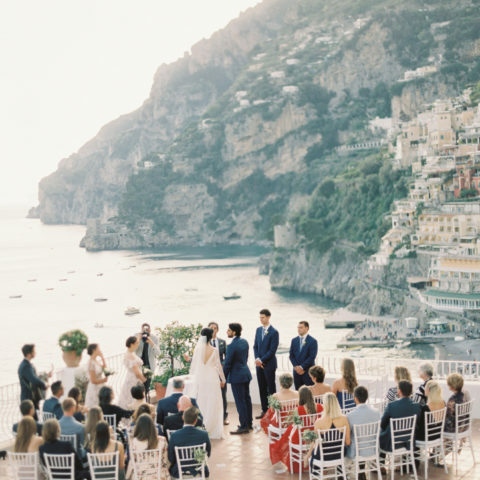 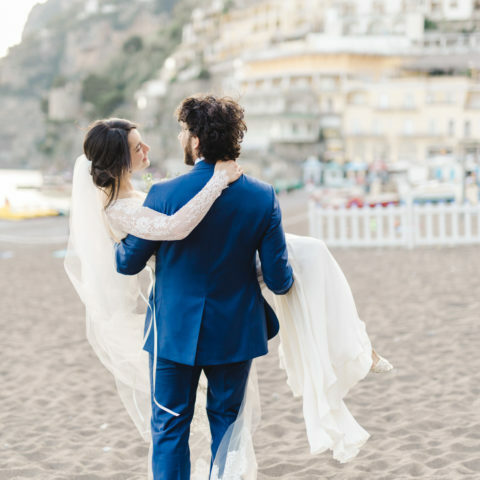 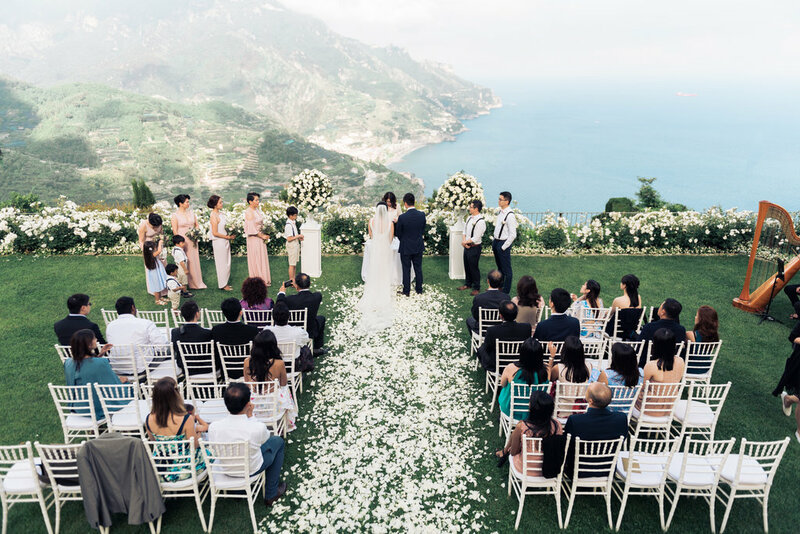 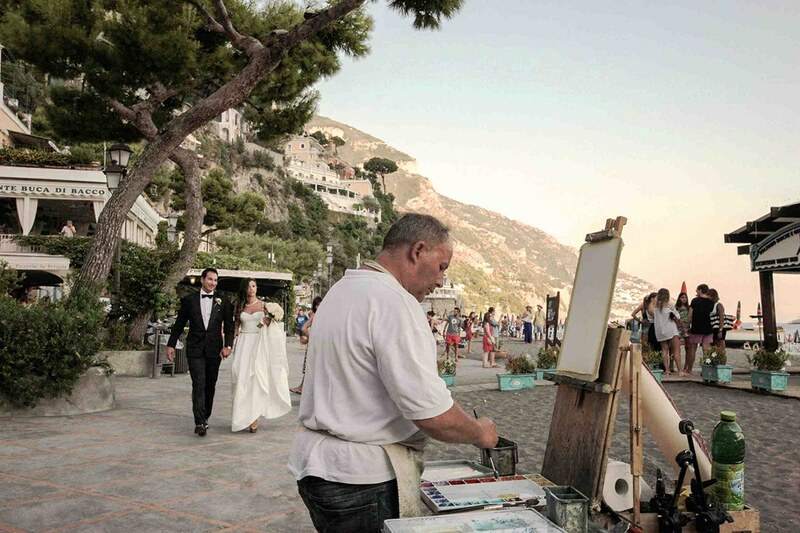 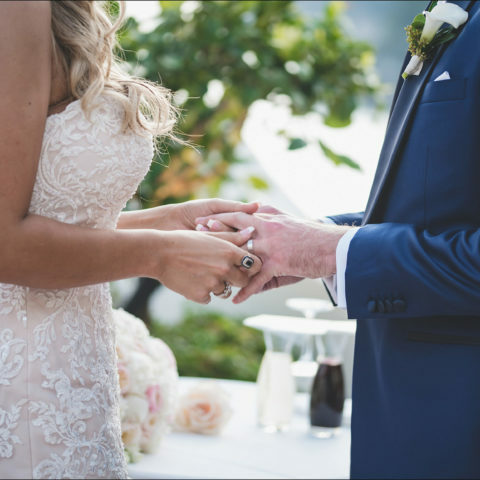 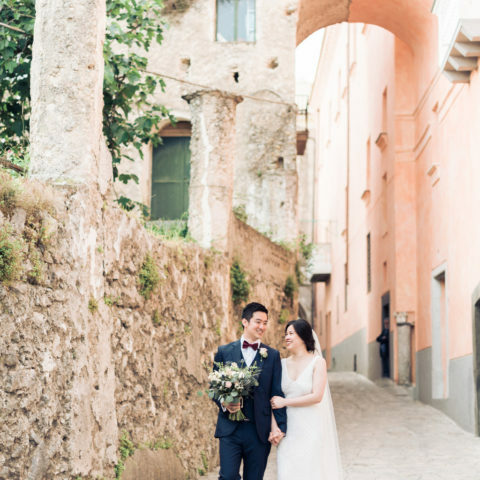 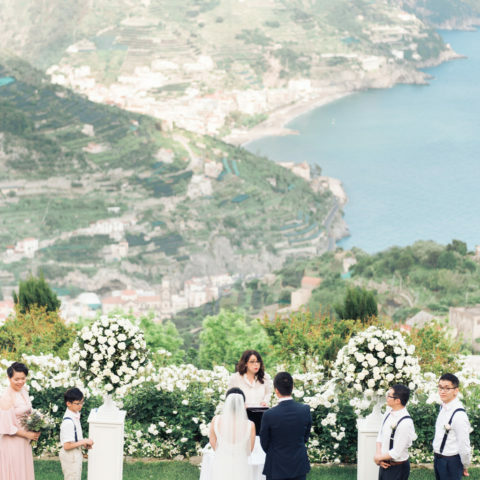 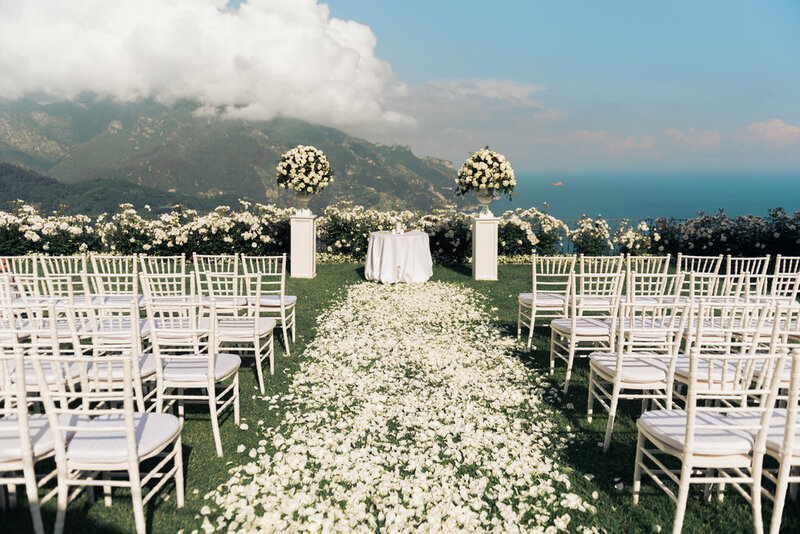 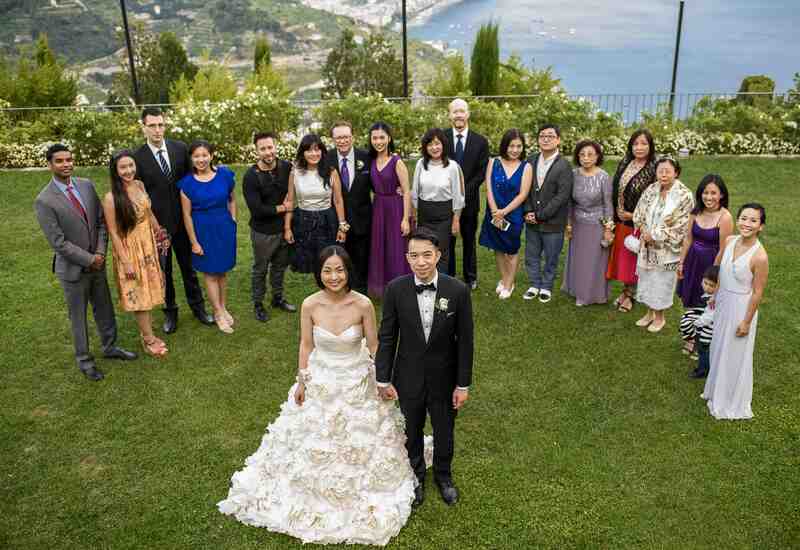 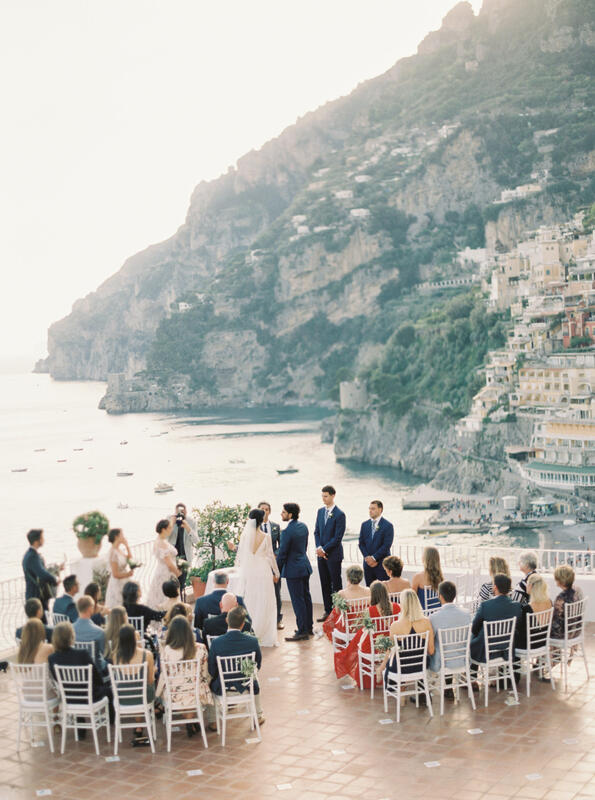 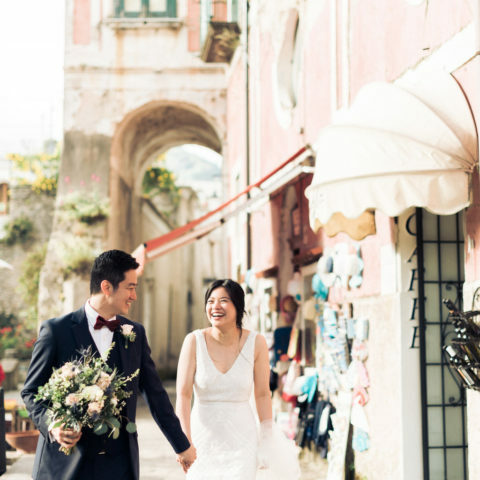 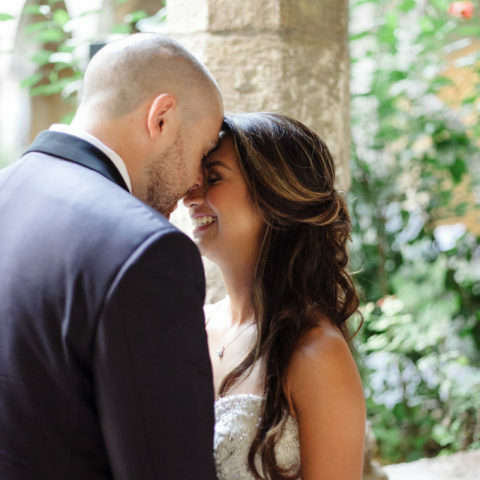 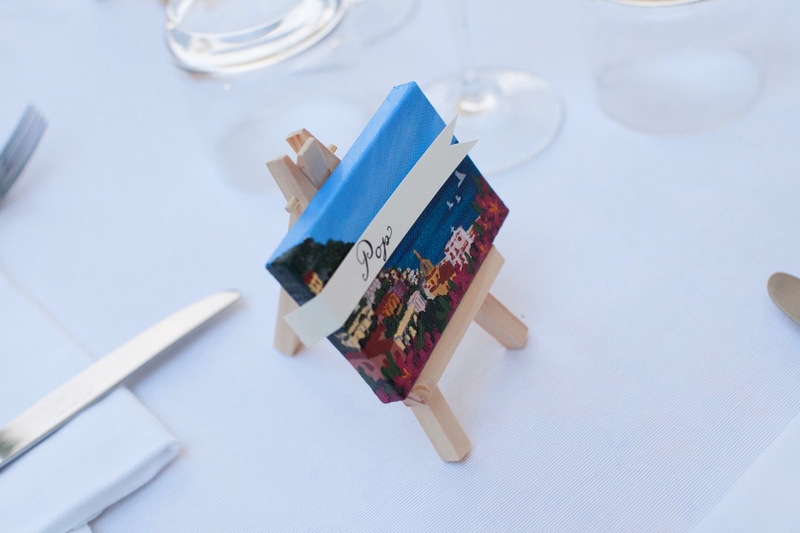 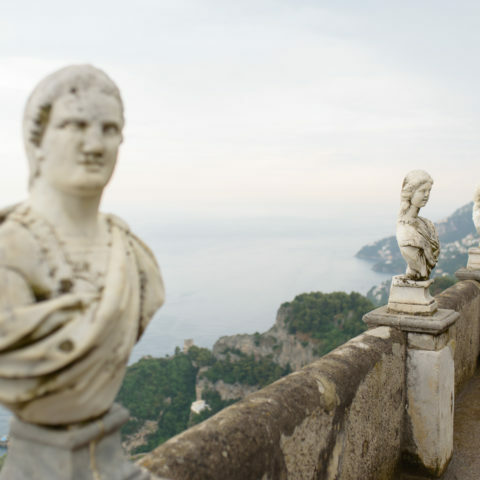 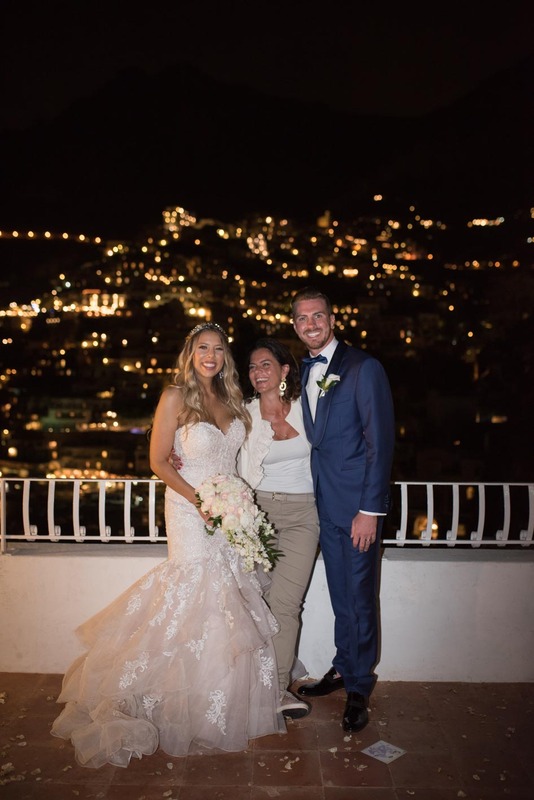 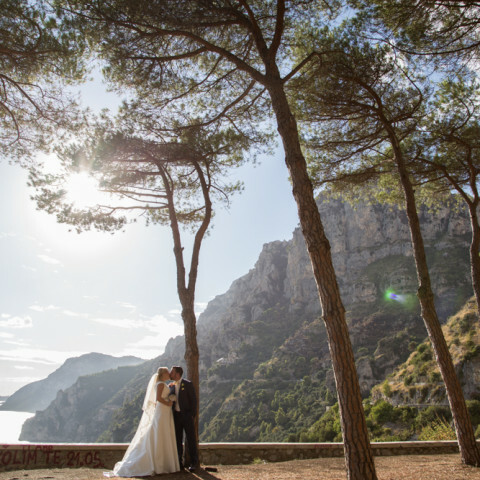 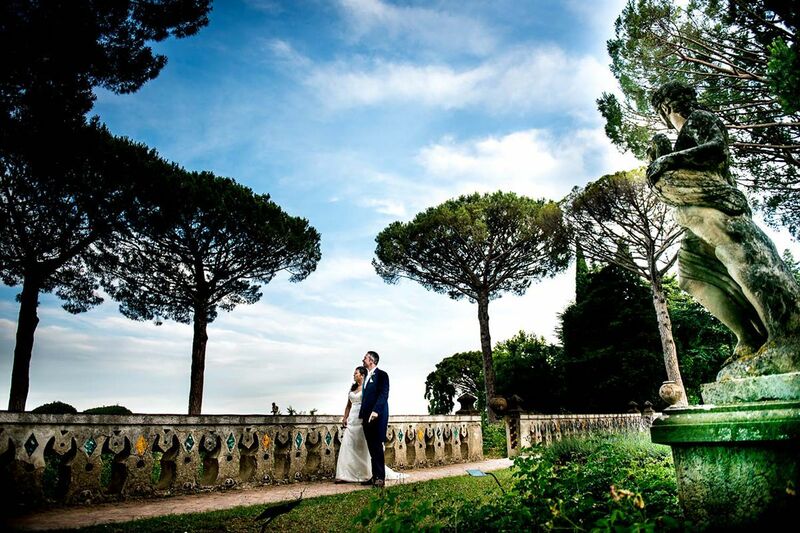 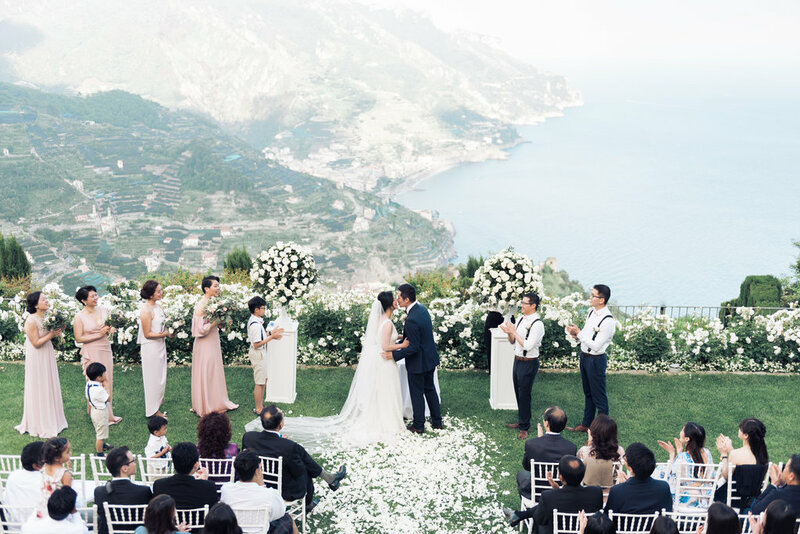 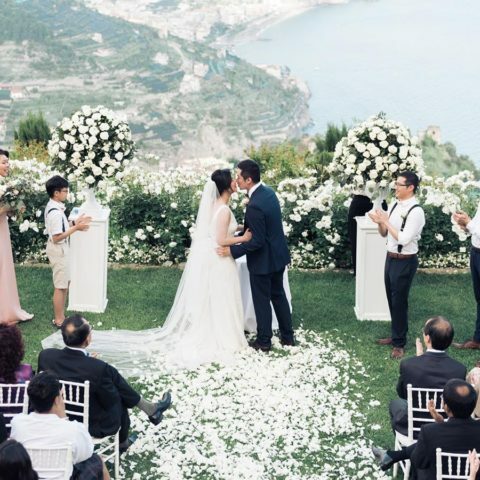 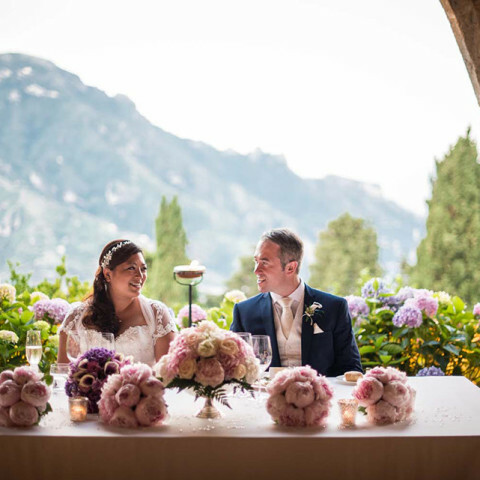 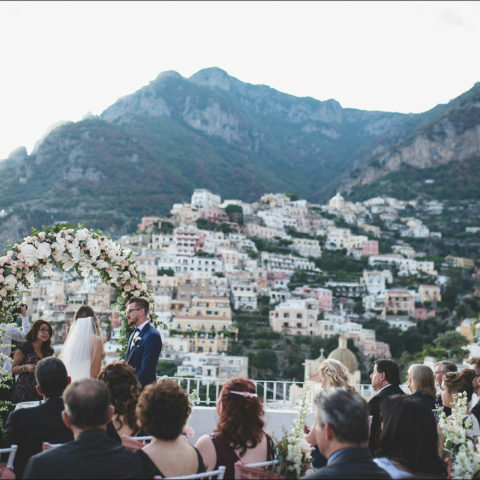 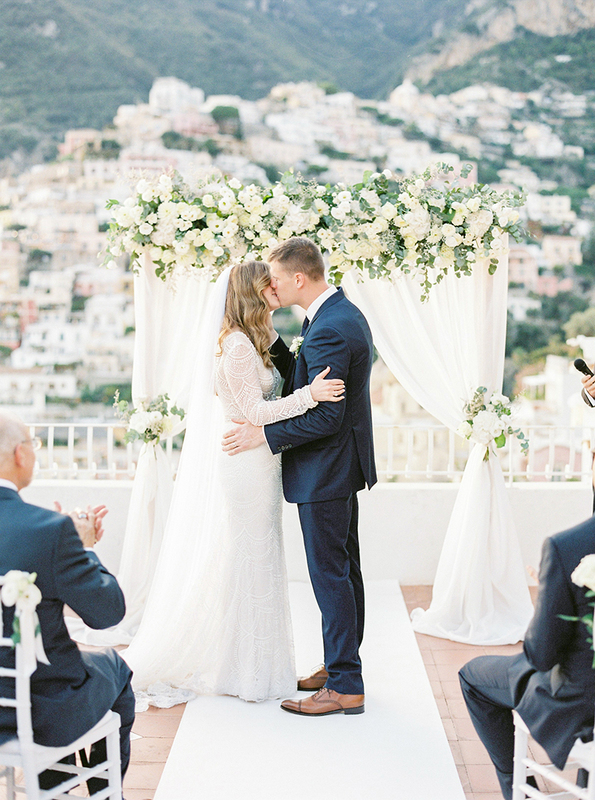 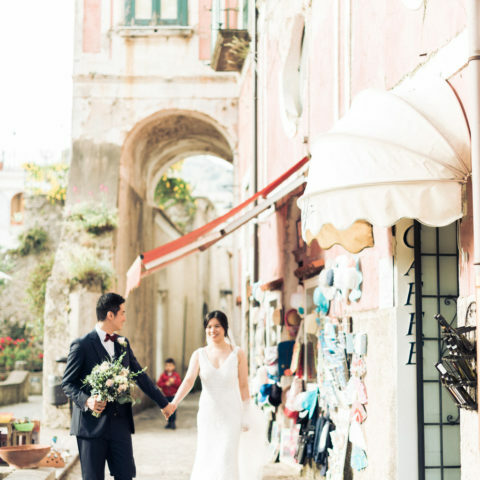 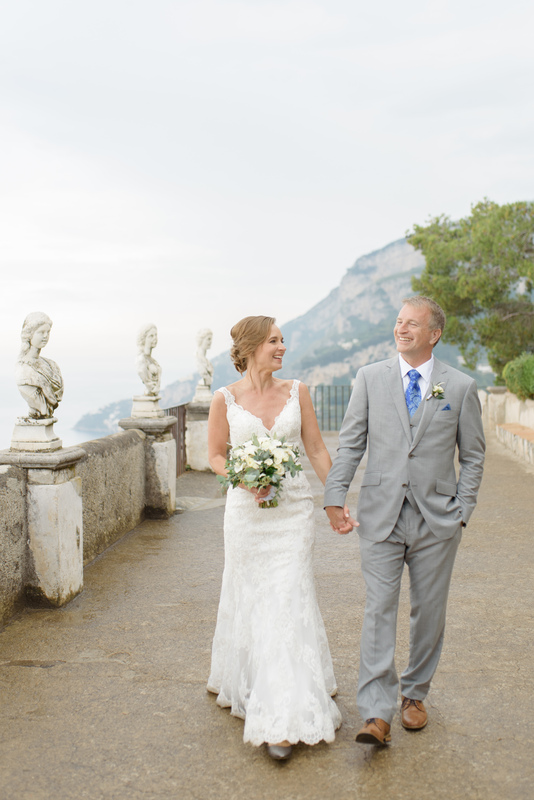 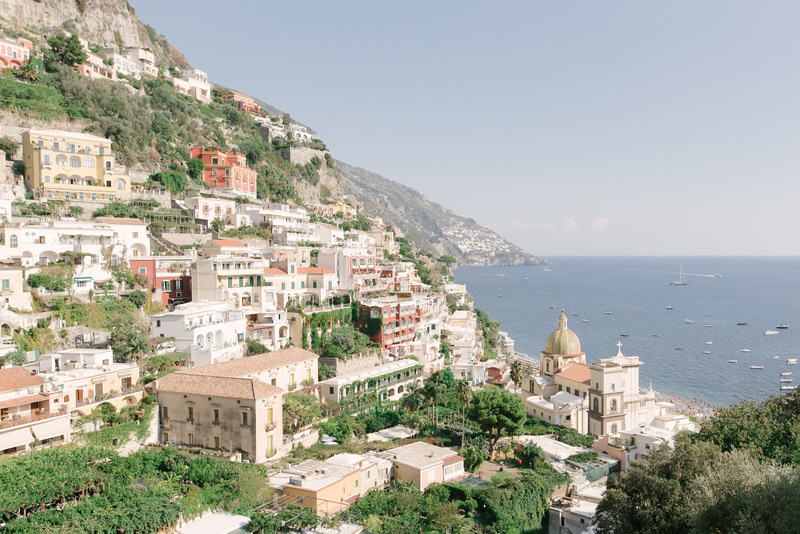 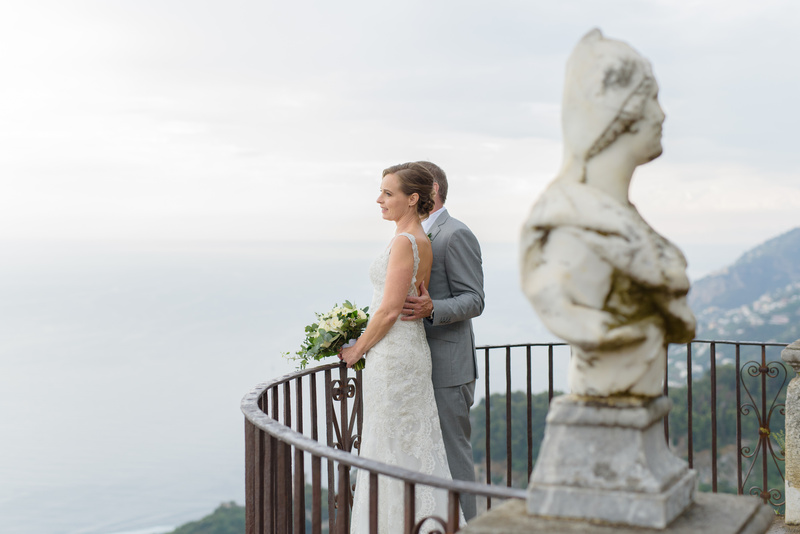 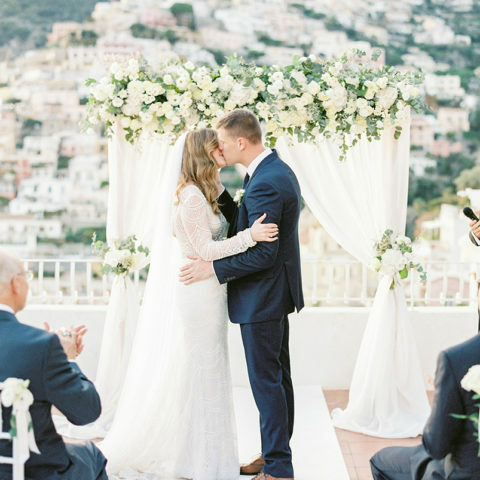 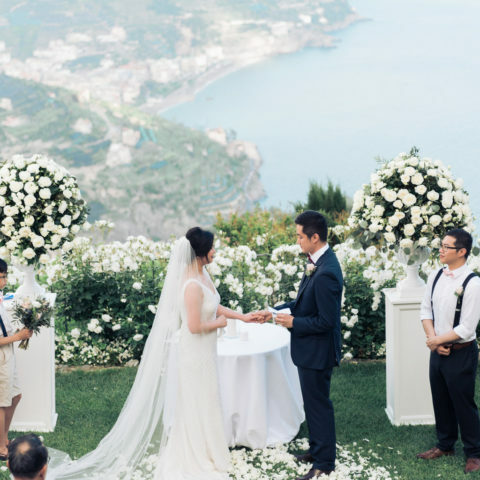 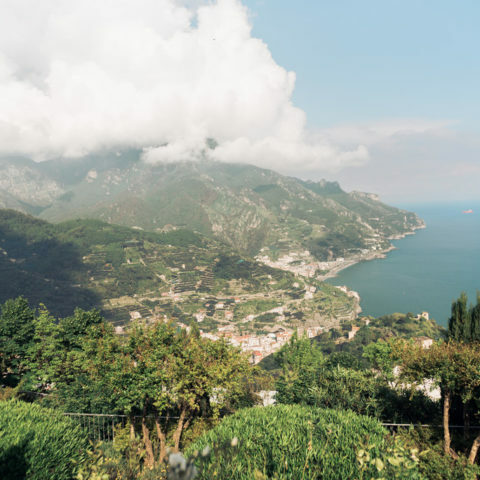 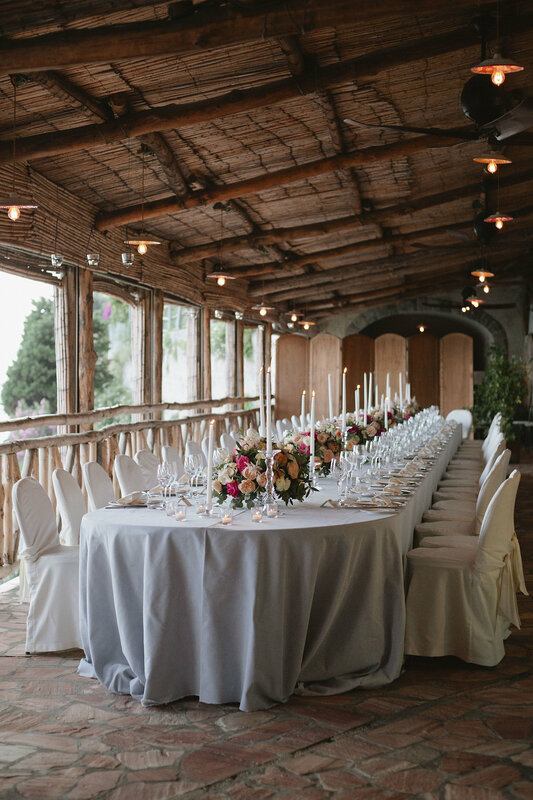 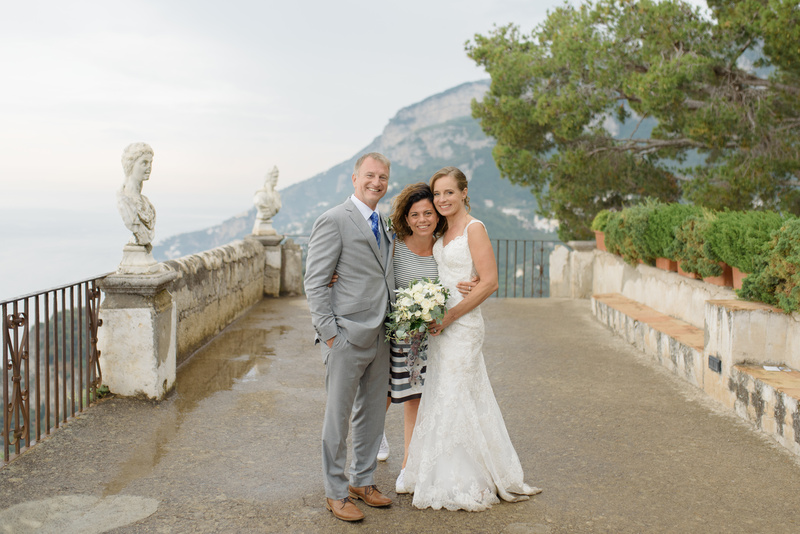 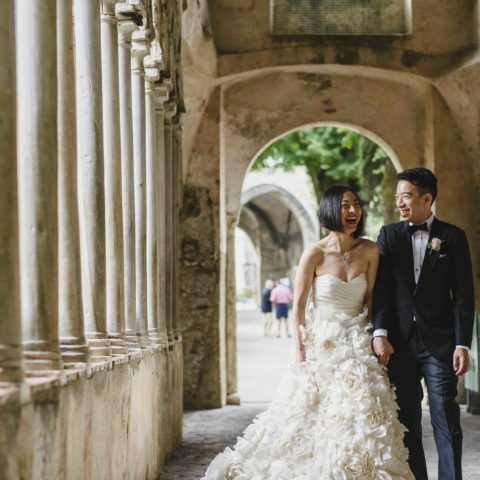 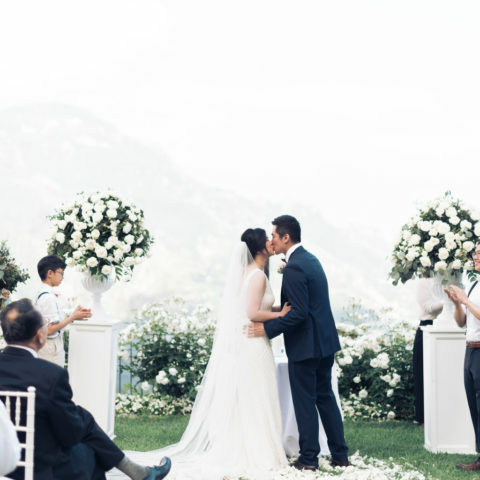 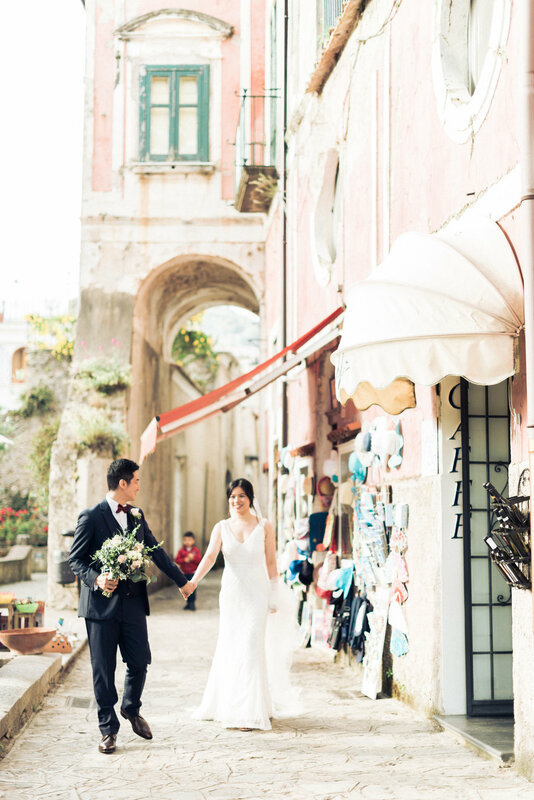 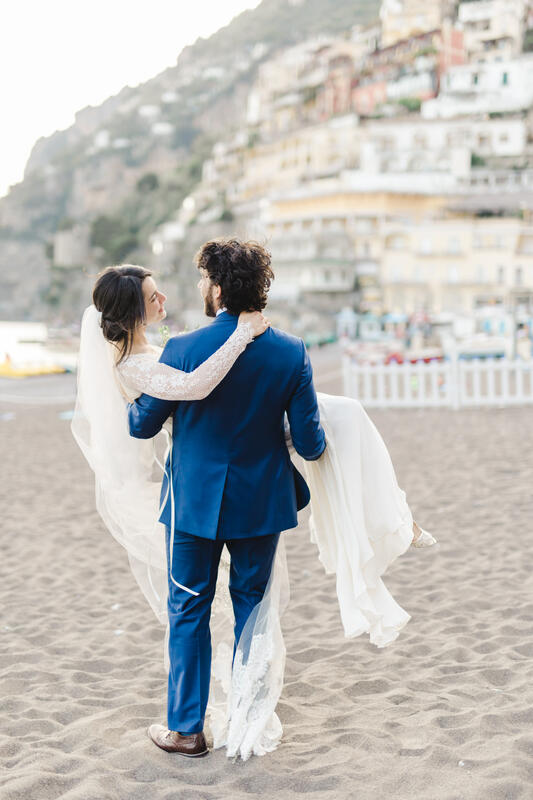 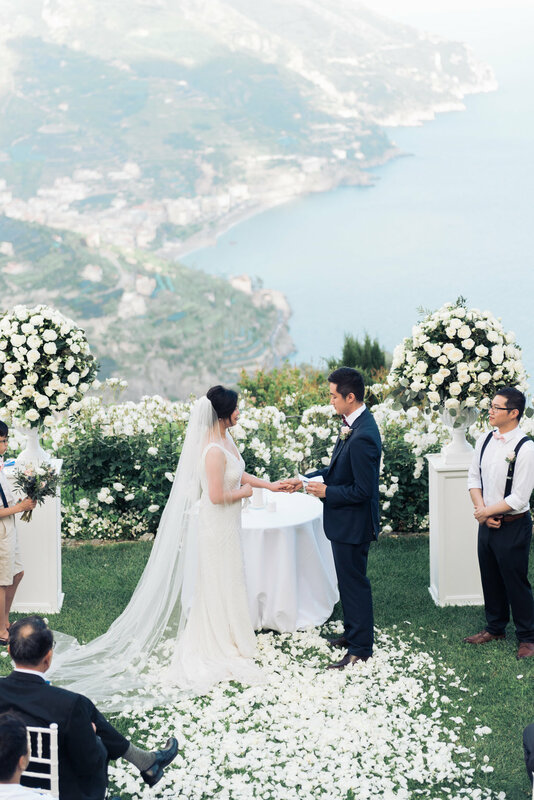 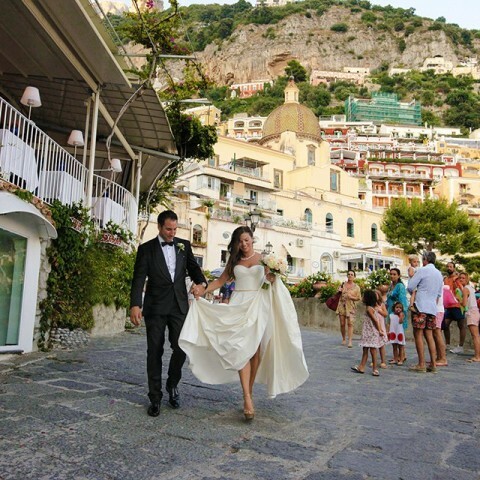 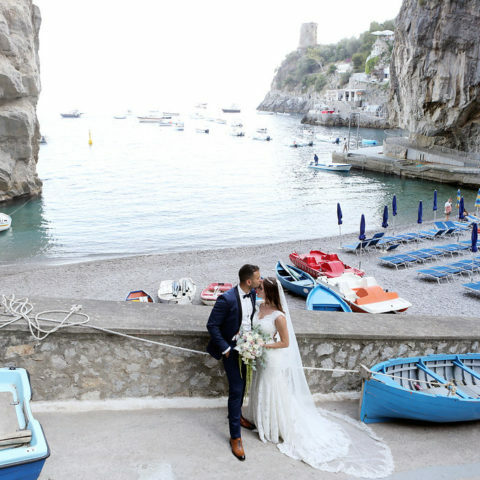 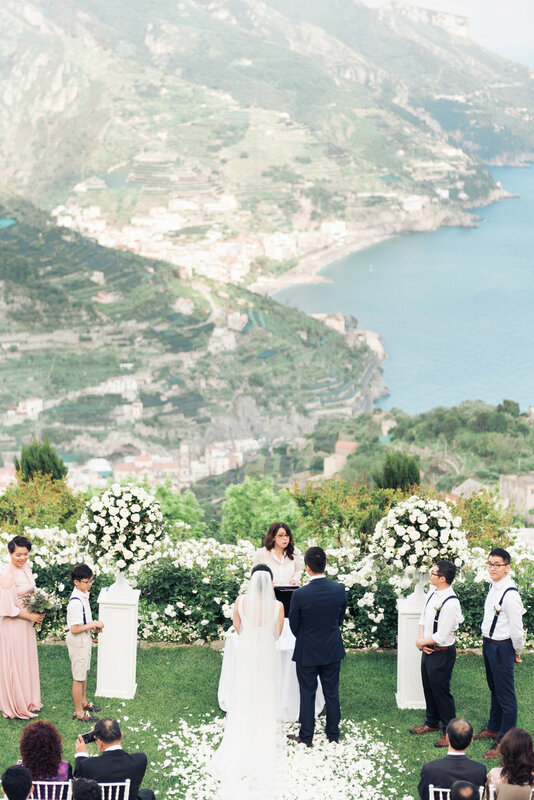 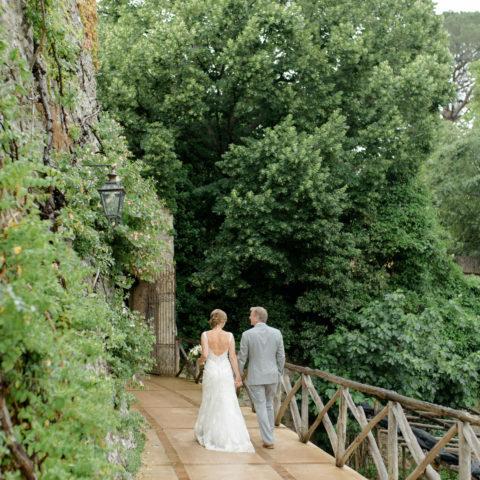 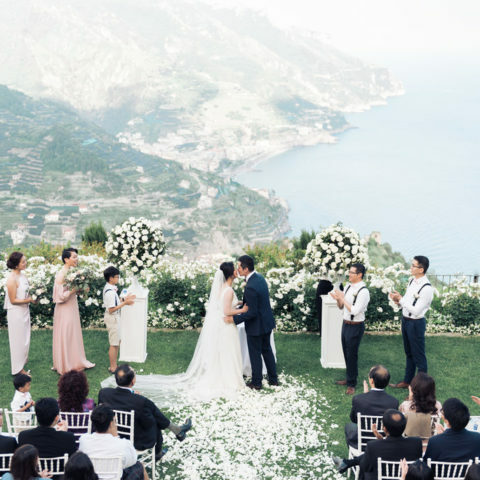 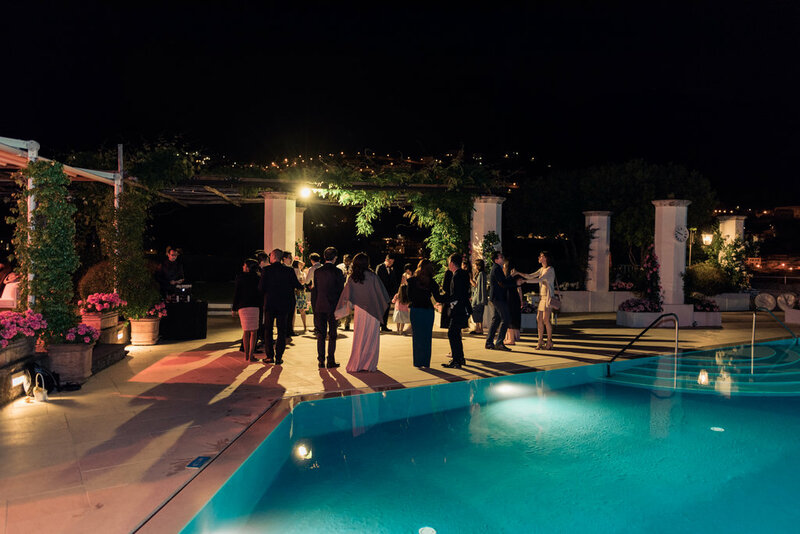 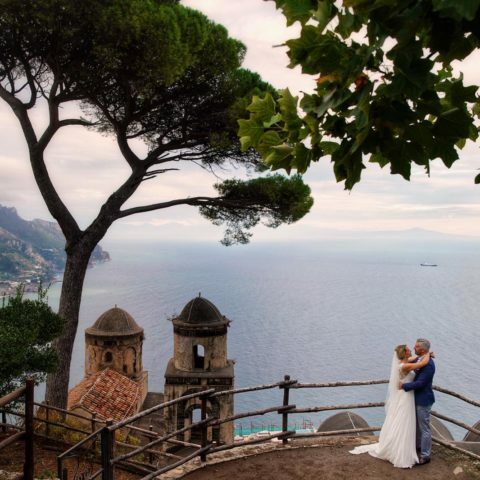 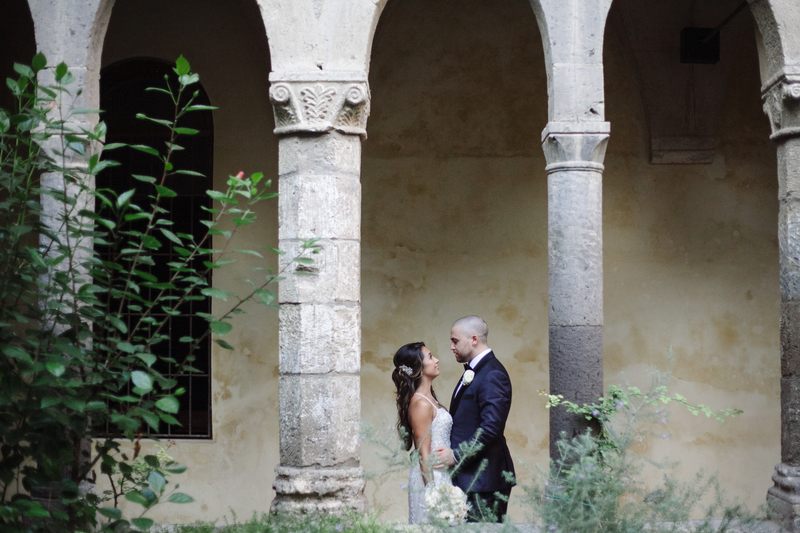 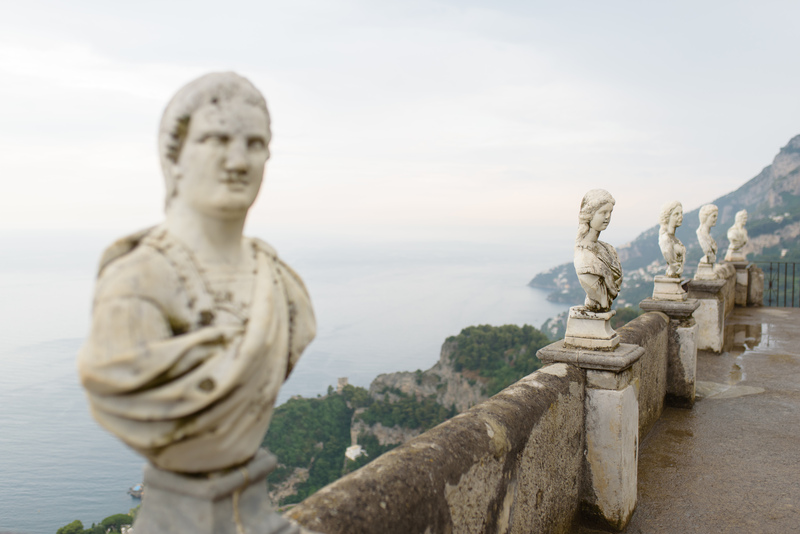 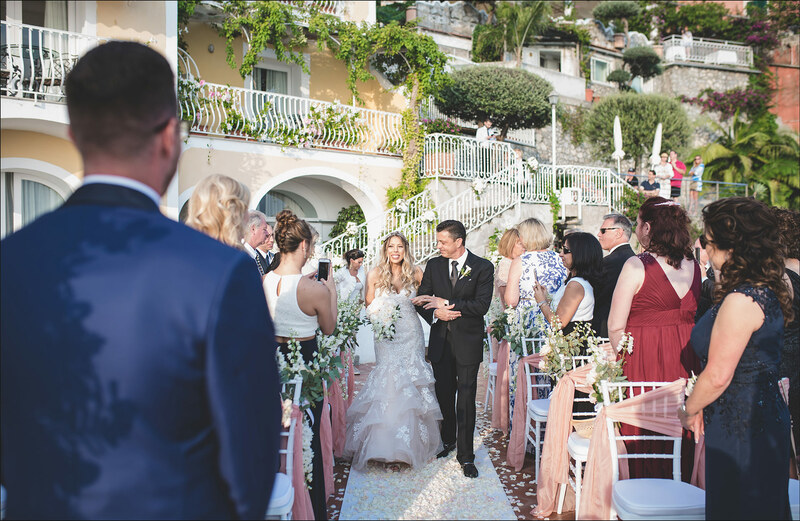 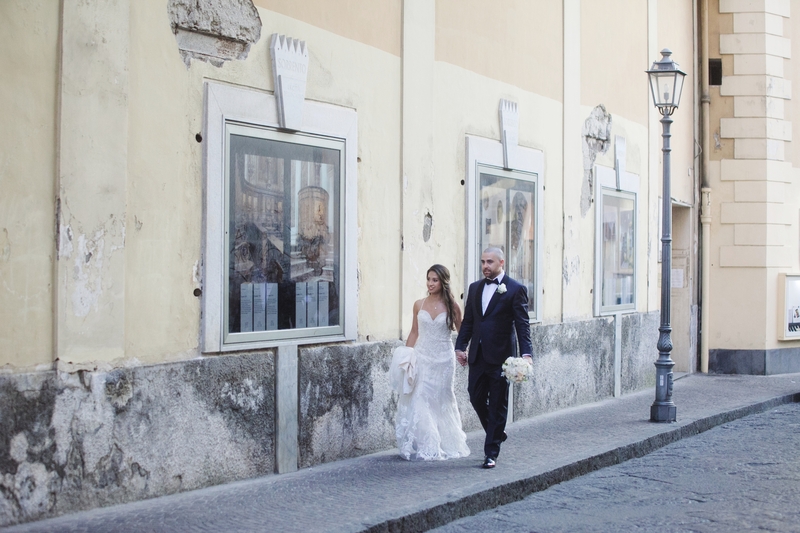 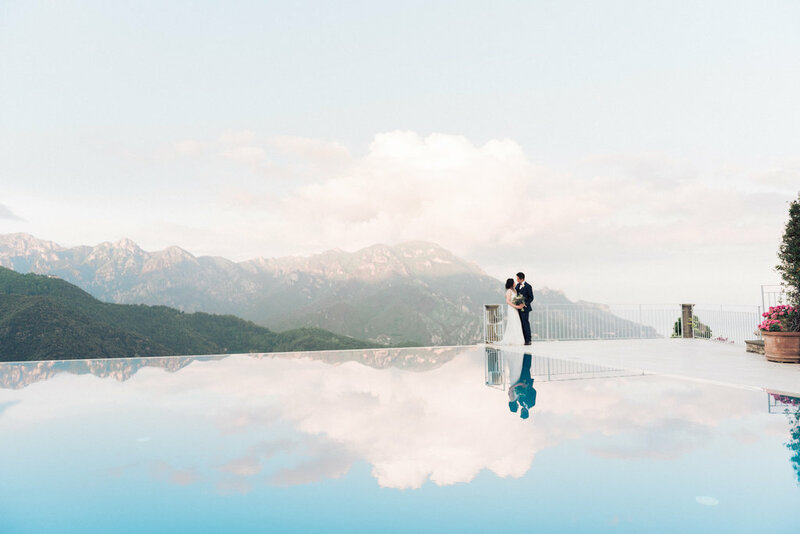 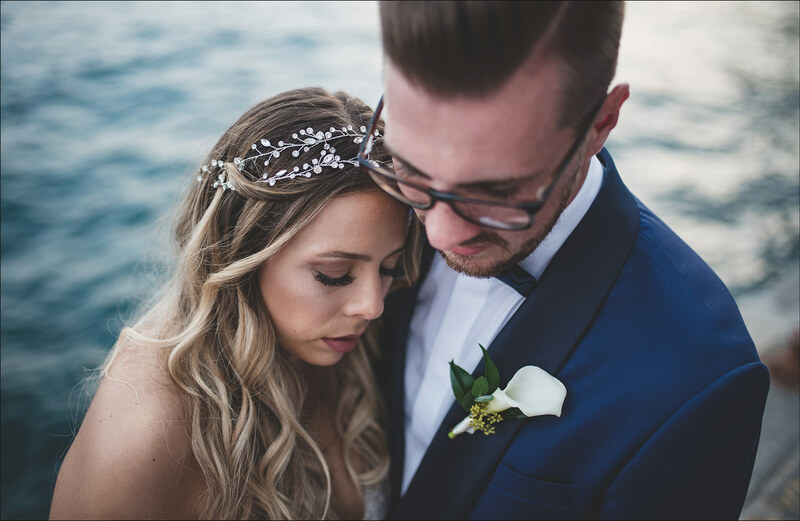 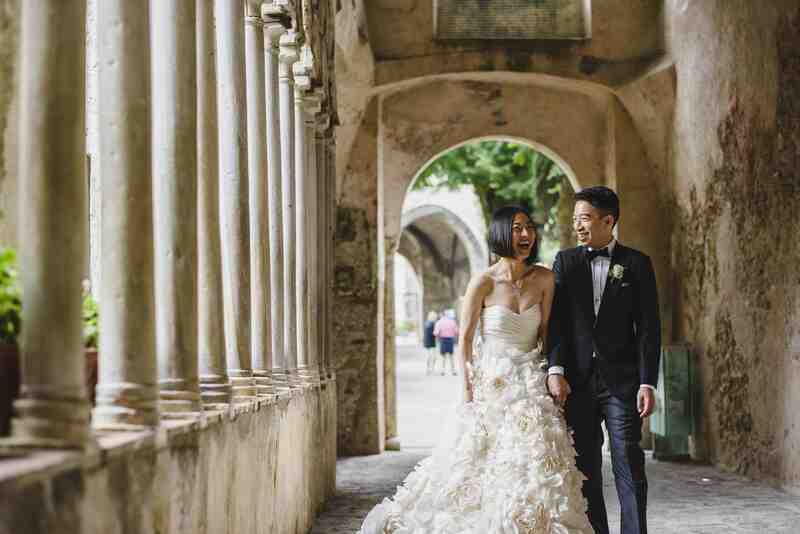 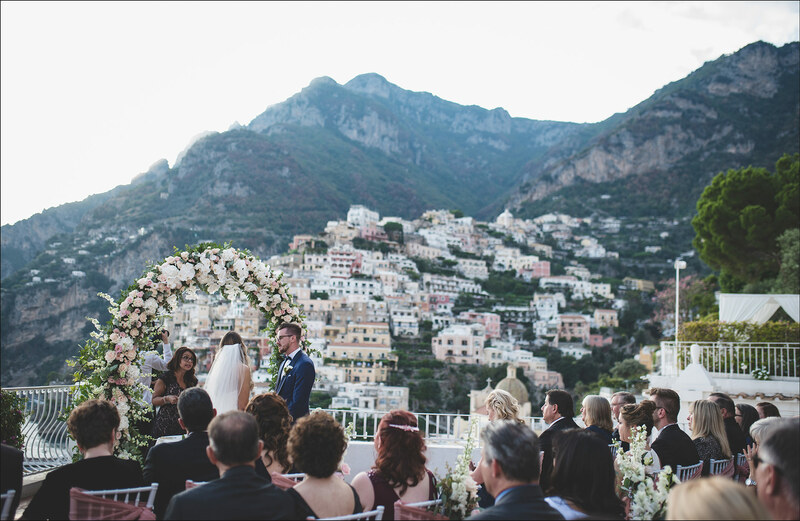 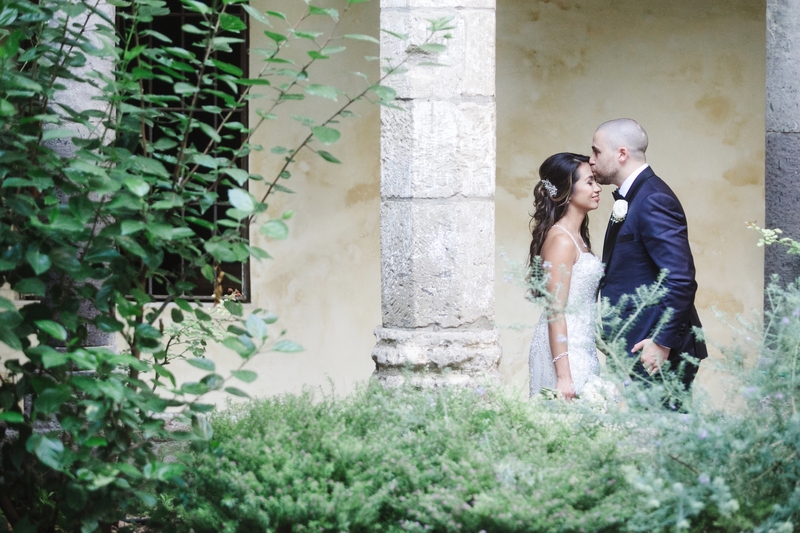 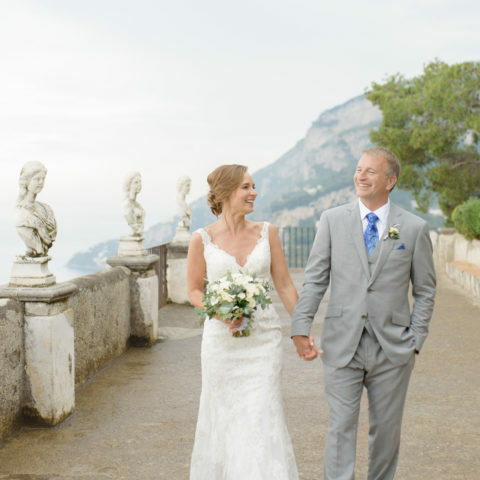 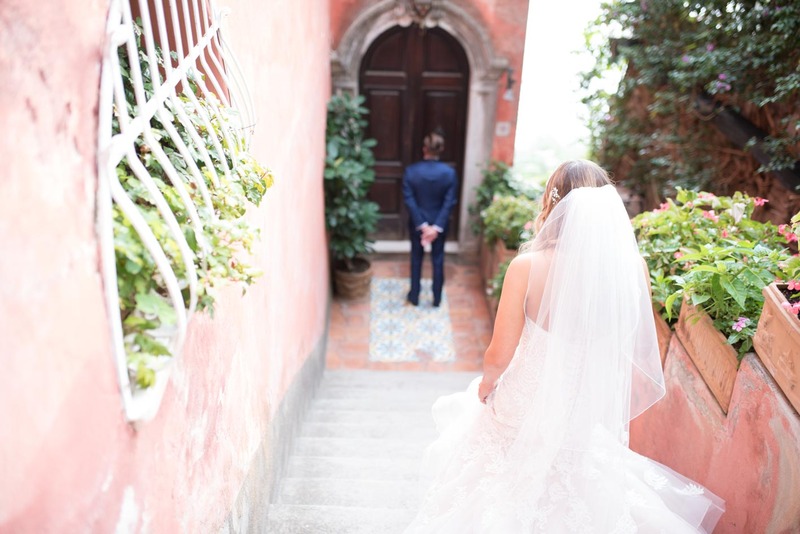 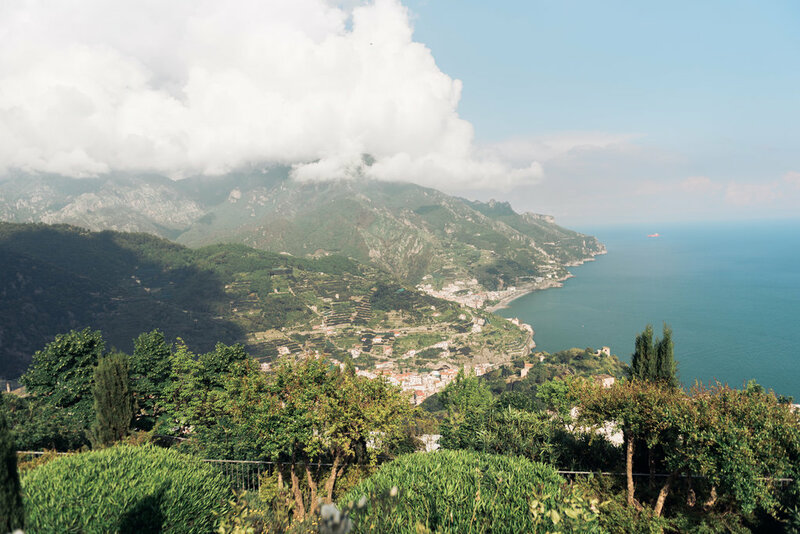 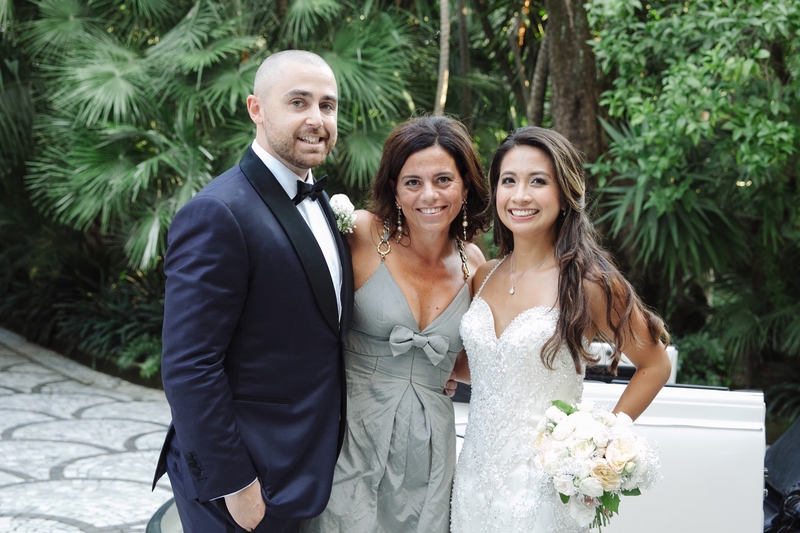 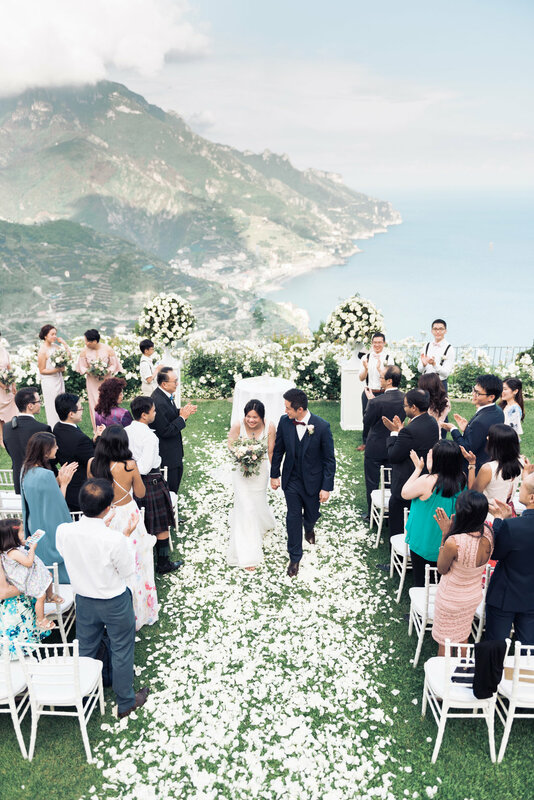 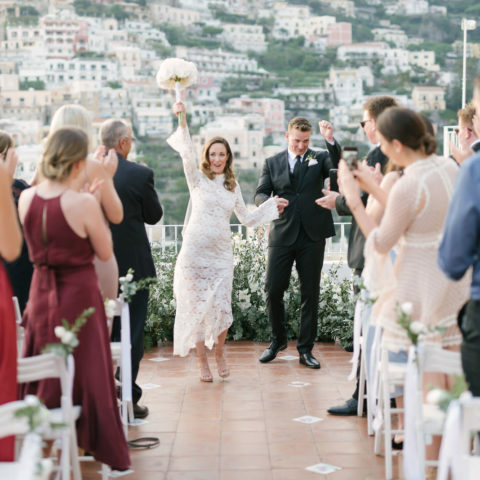 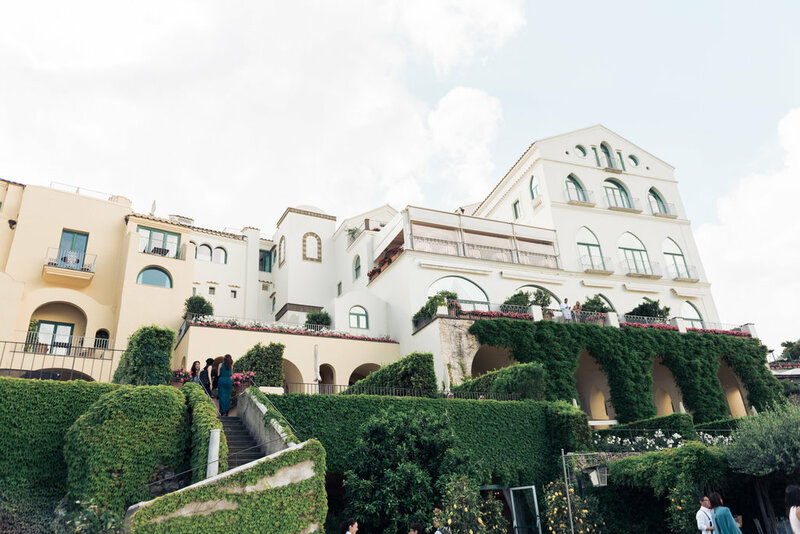 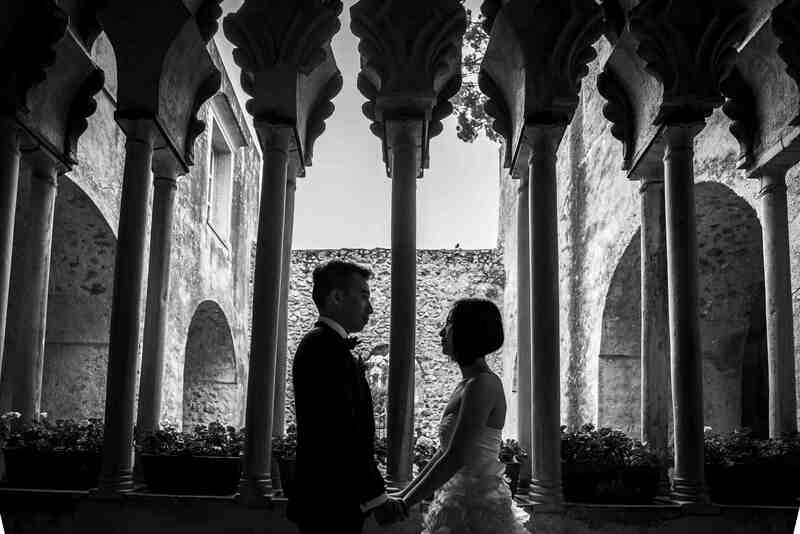 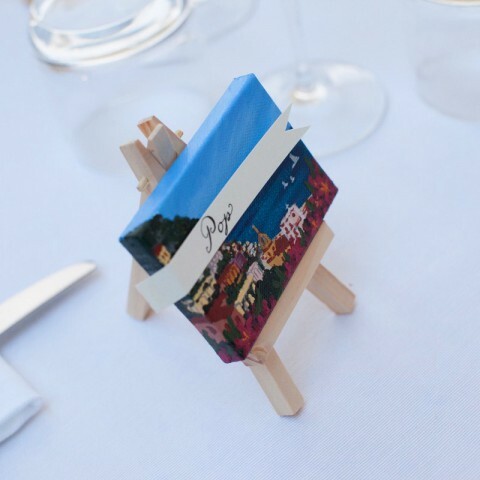 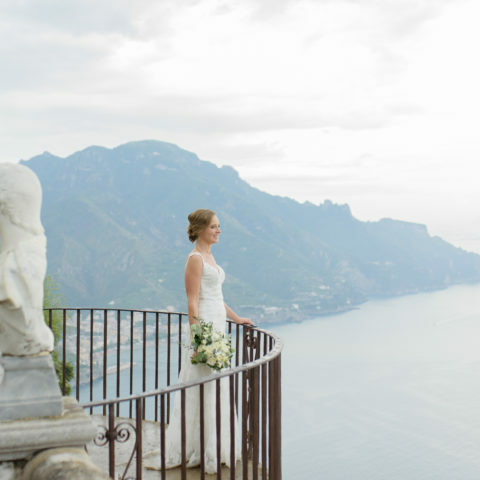 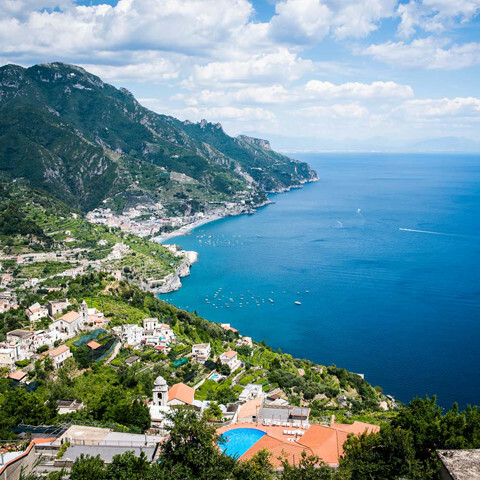 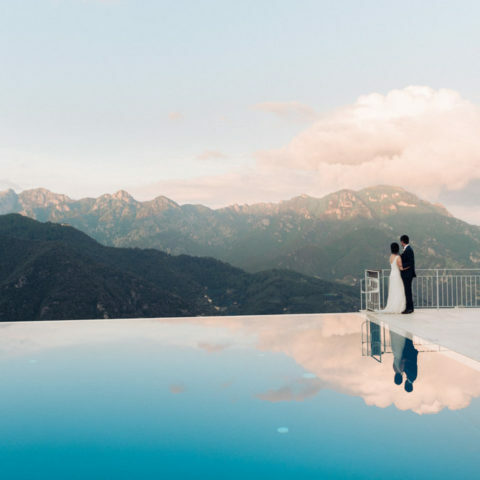 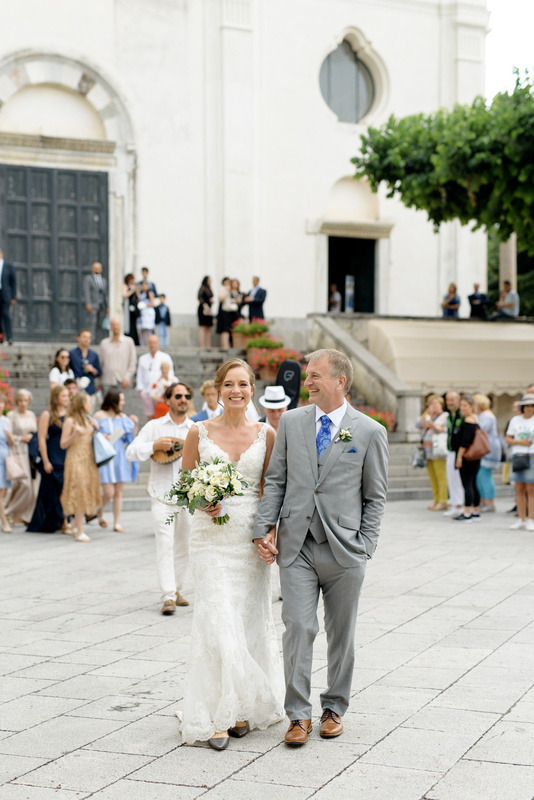 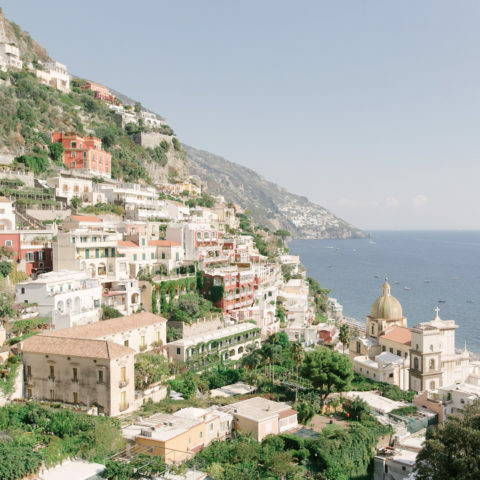 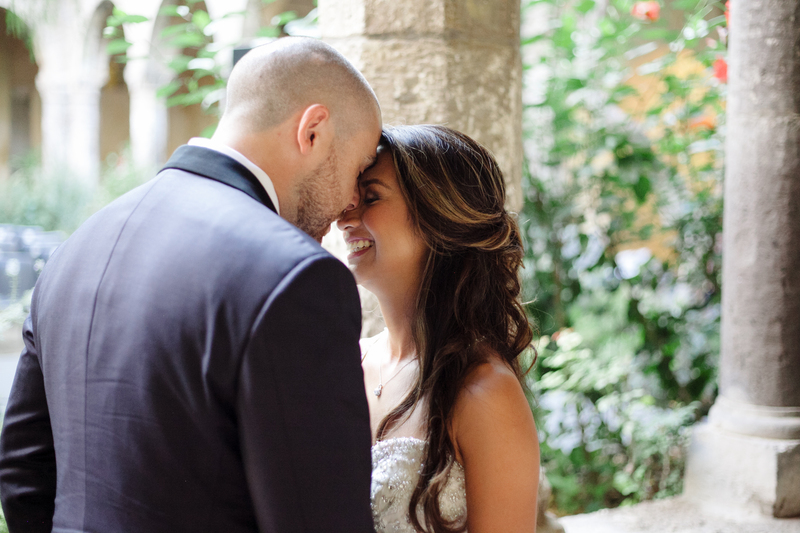 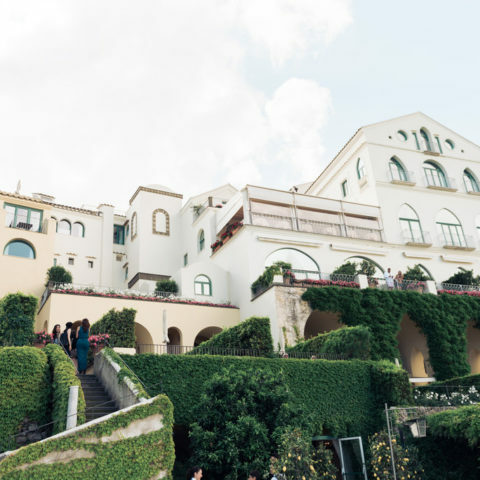 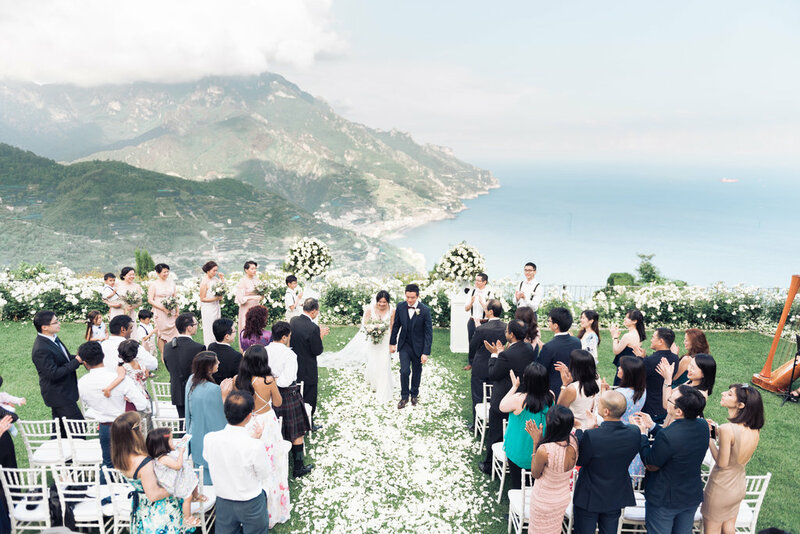 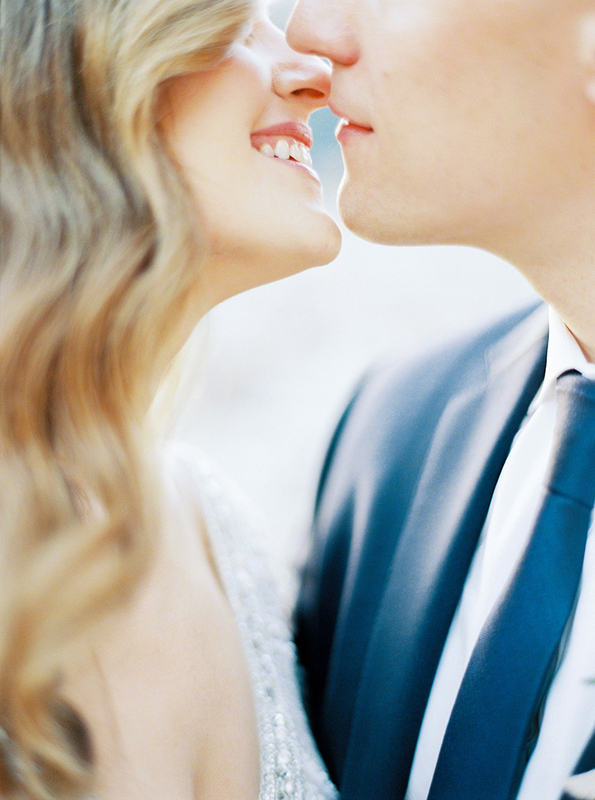 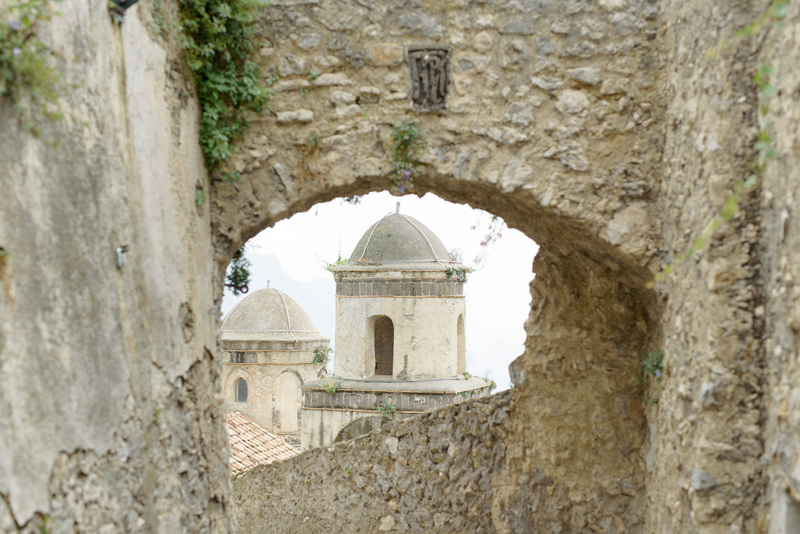 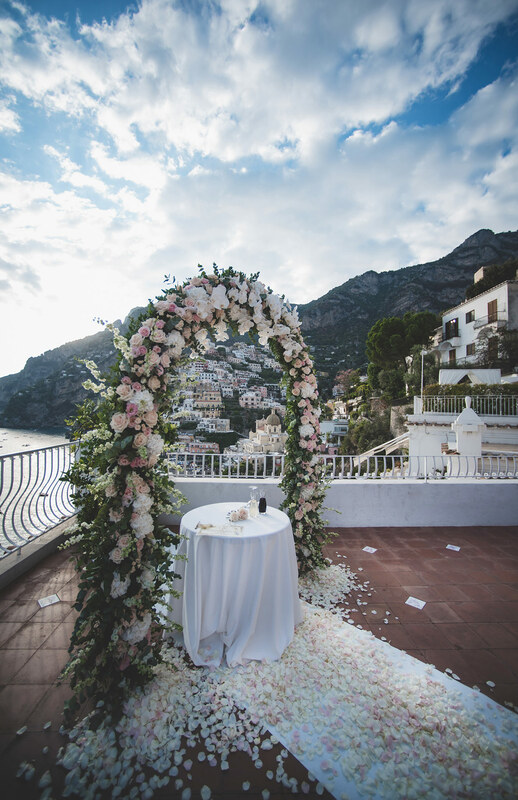 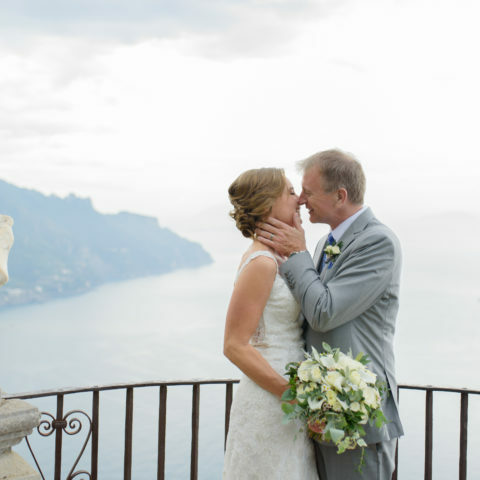 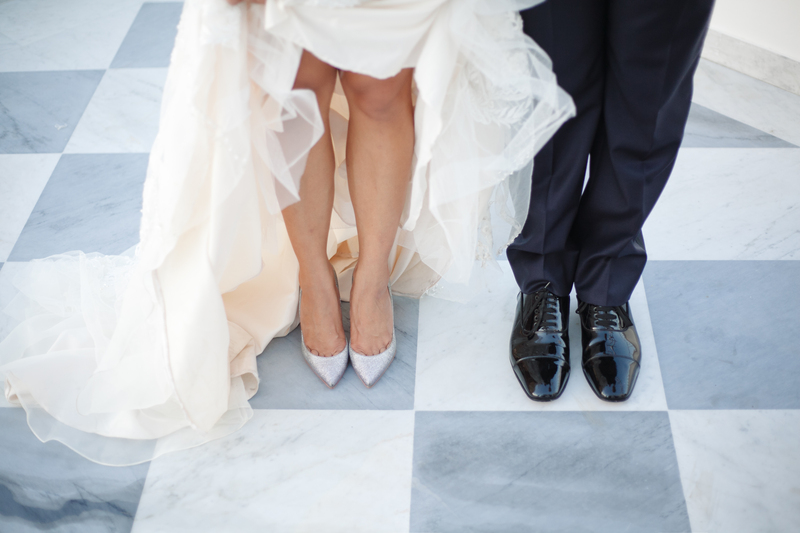 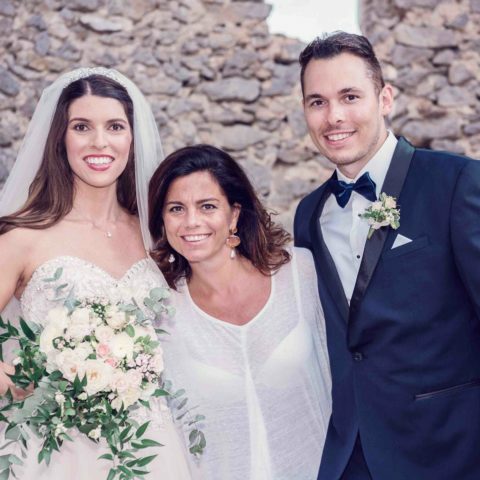 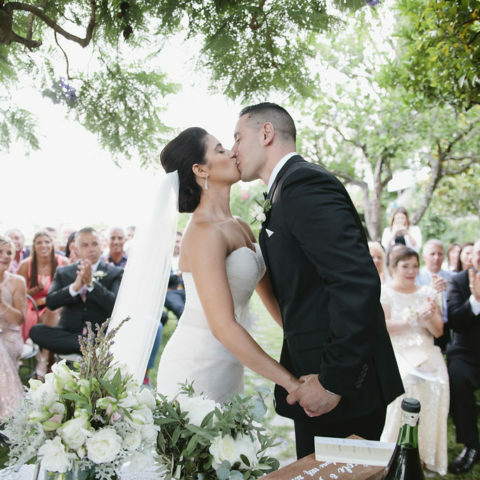 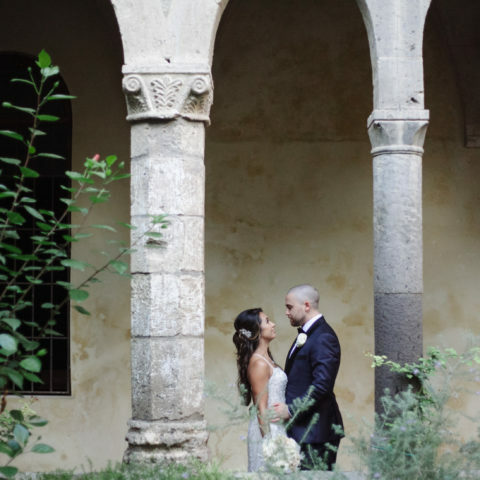 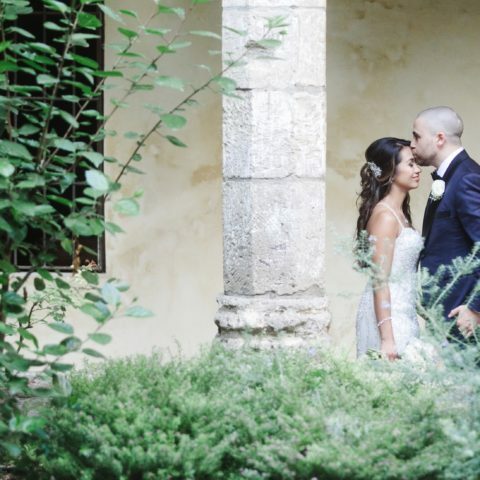 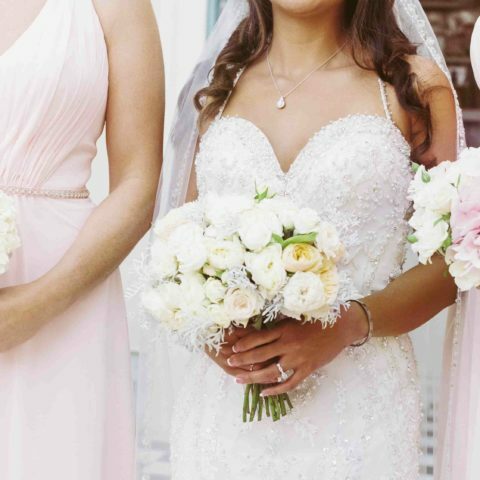 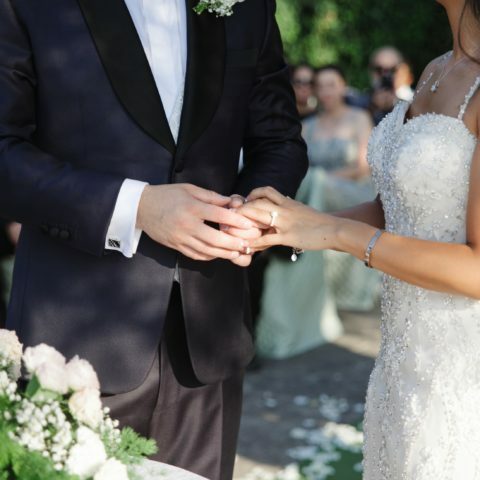 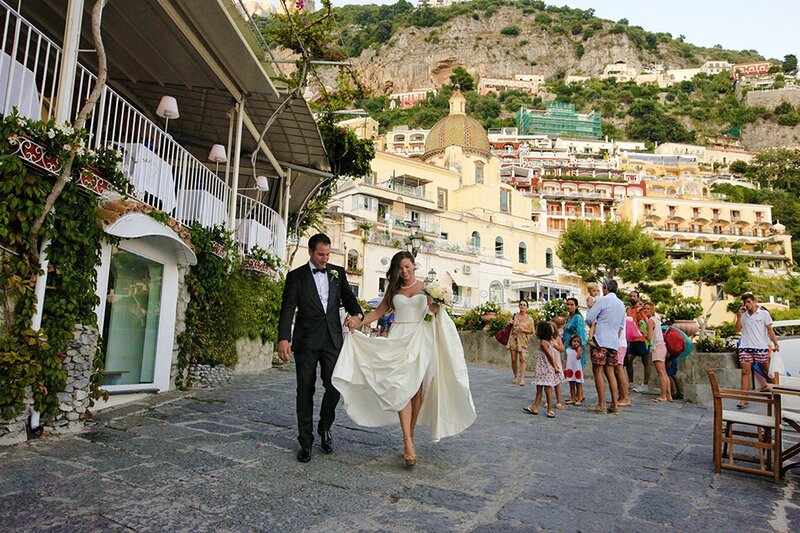 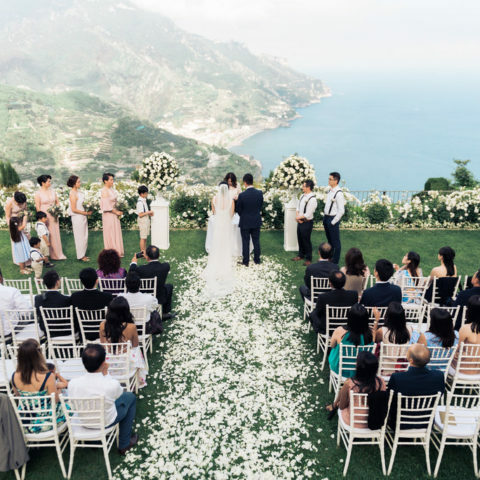 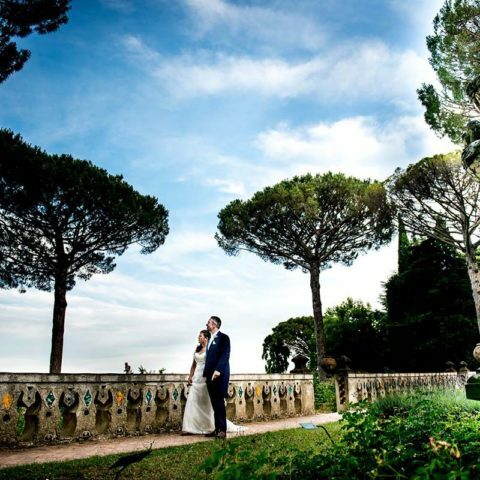 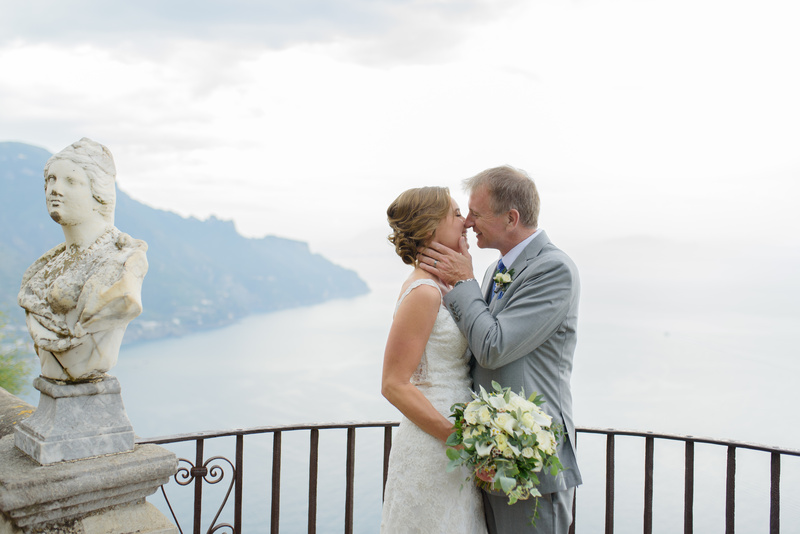 Lauren and Aaron decide to tie the knot in one of the most romantic and elegant town of the Amalfi Coast: Ravello. 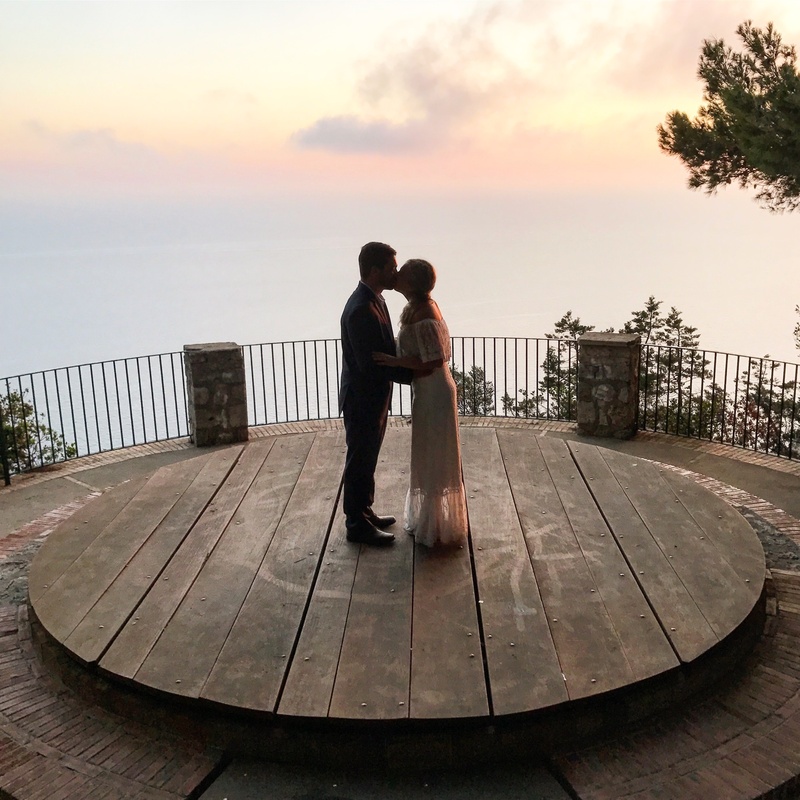 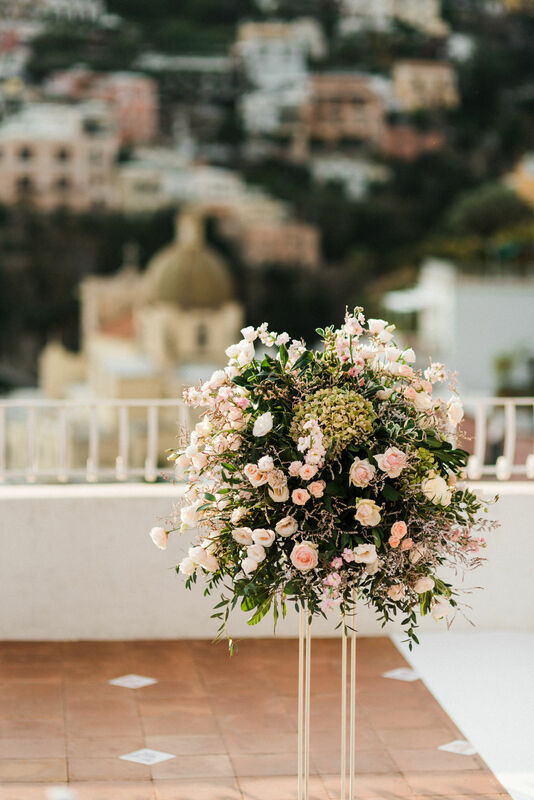 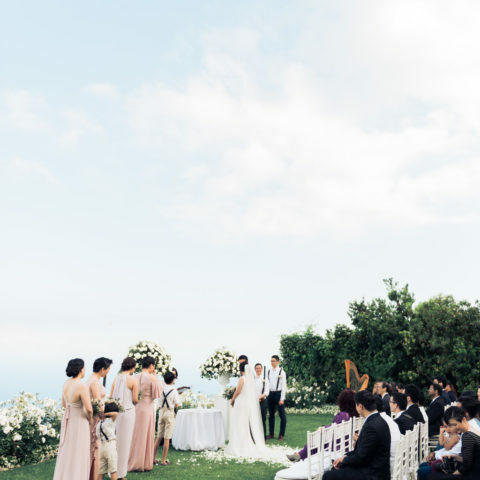 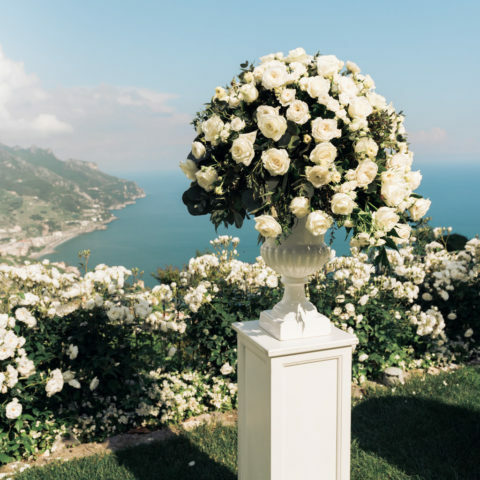 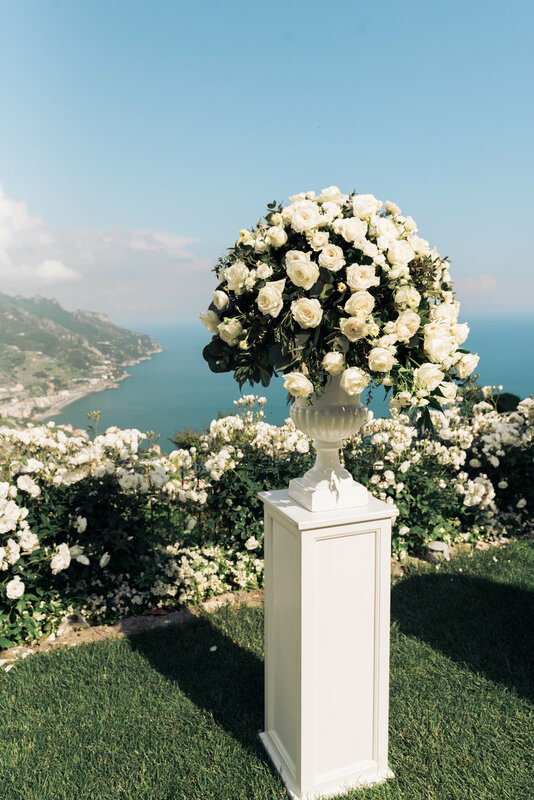 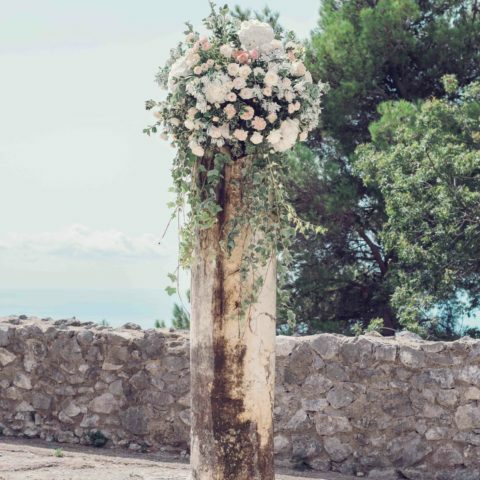 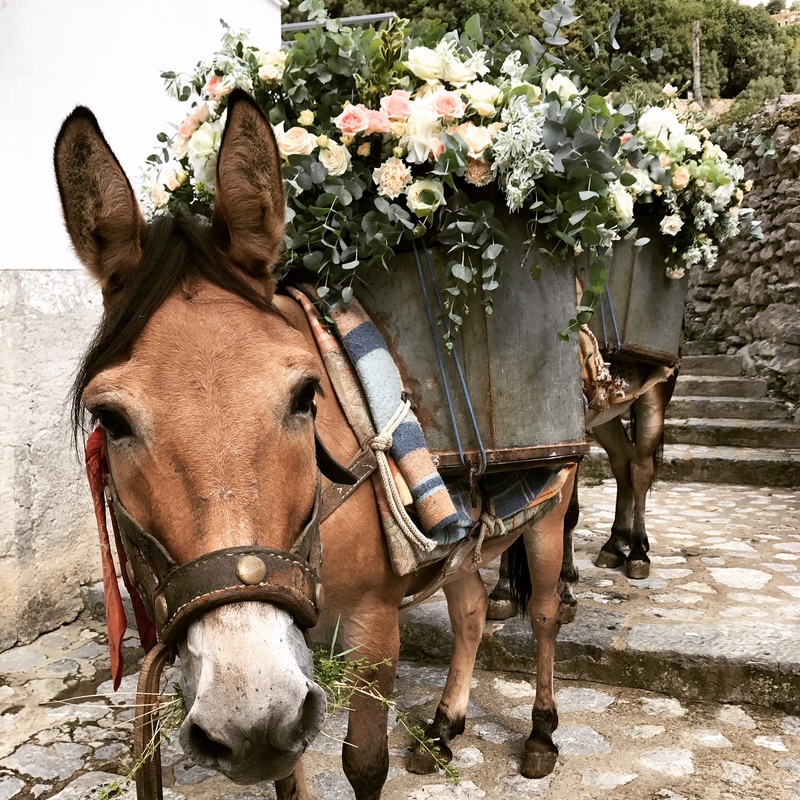 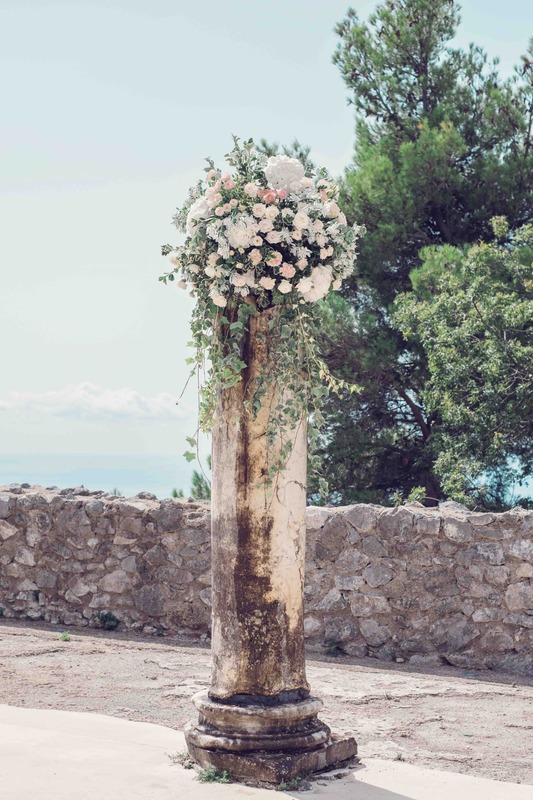 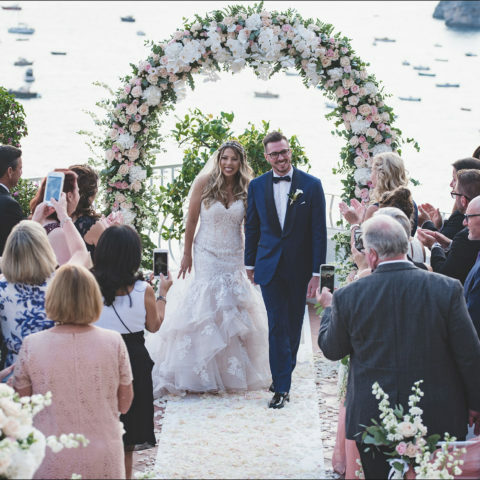 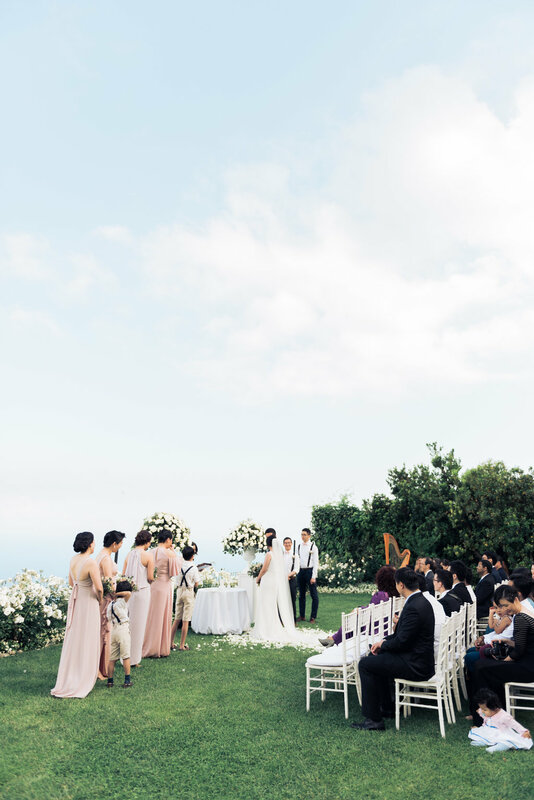 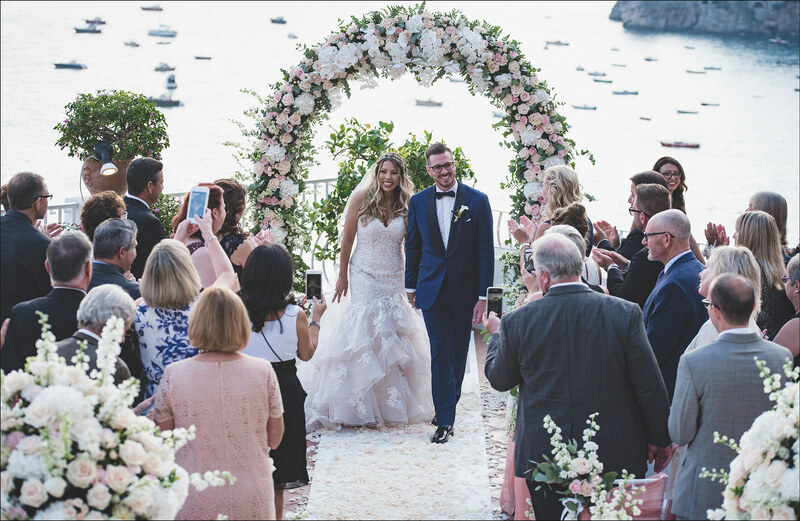 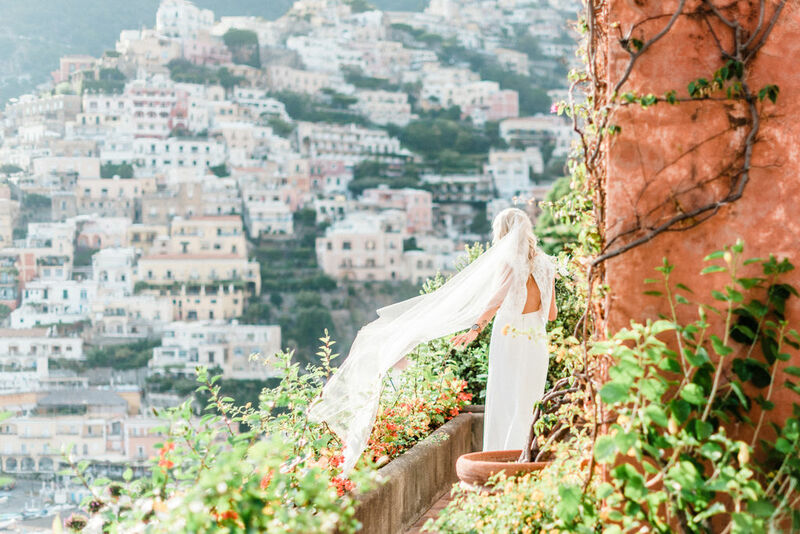 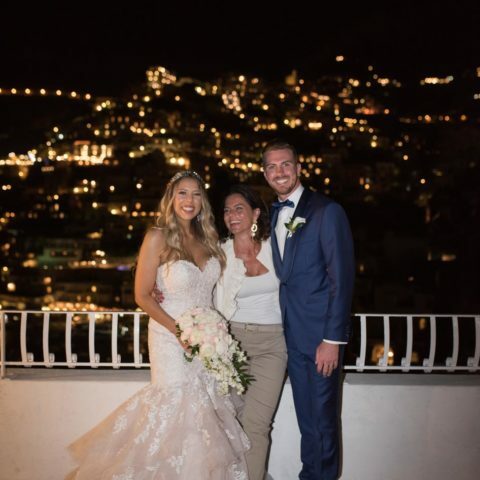 I planned a symbolic ceremony at the breathing Wagner garden of the Hotel Belmond Caruso and they seal their love overlooking one of the most magical costal view. 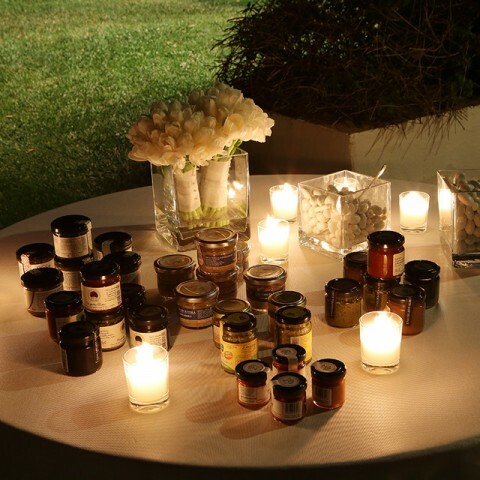 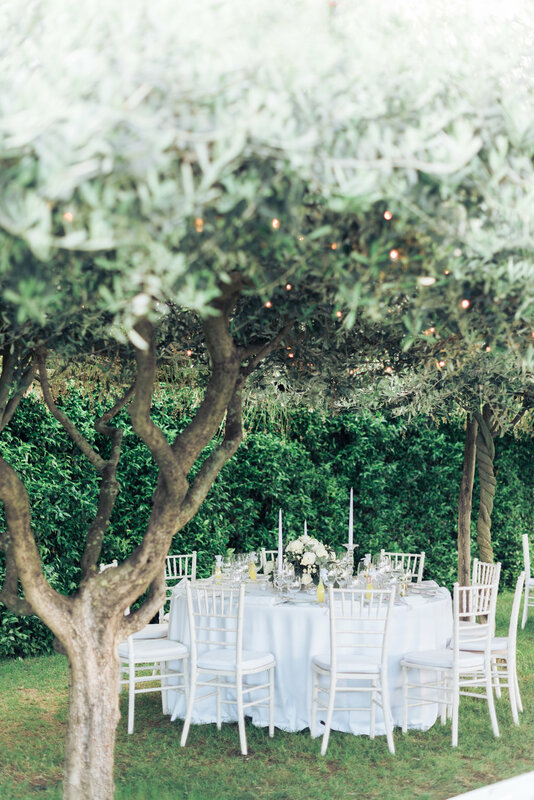 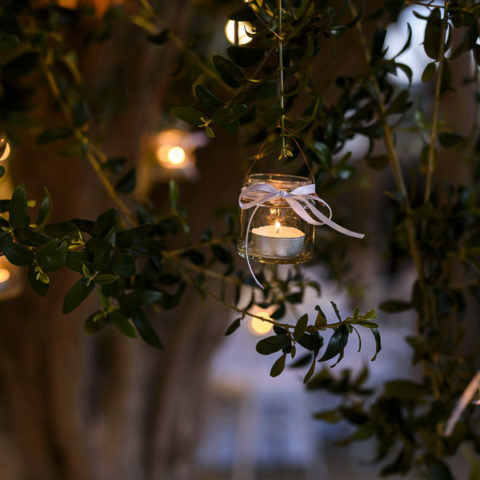 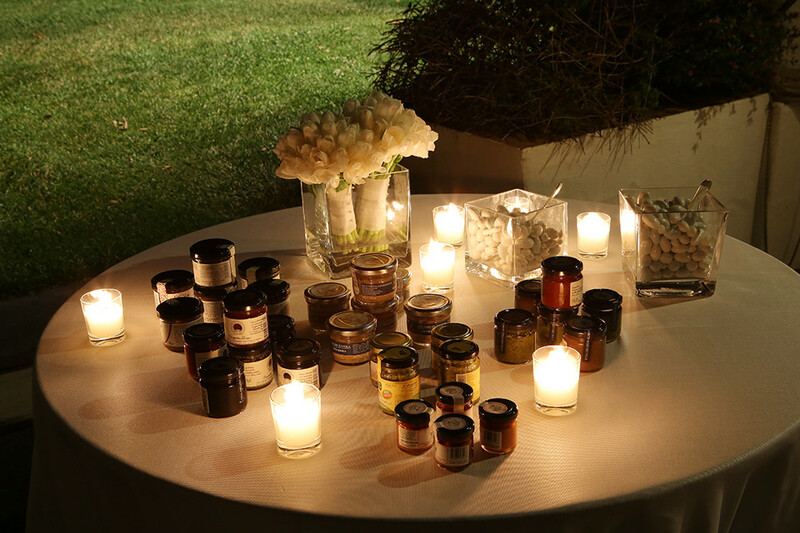 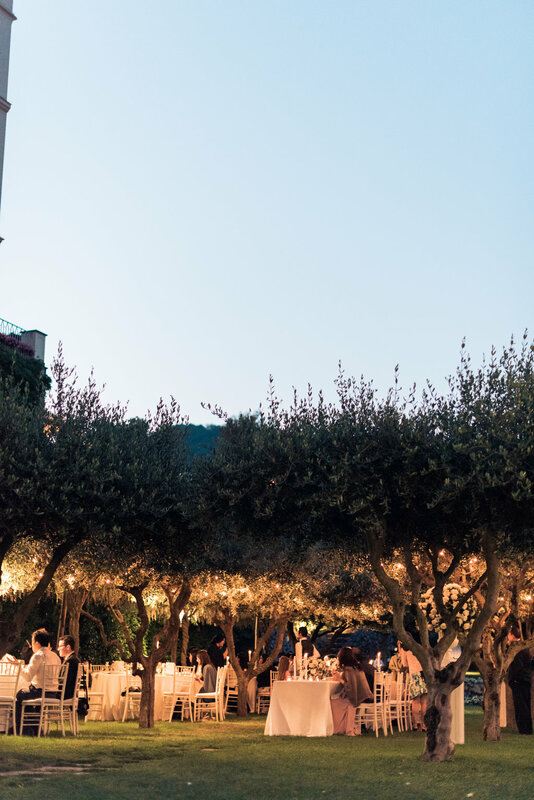 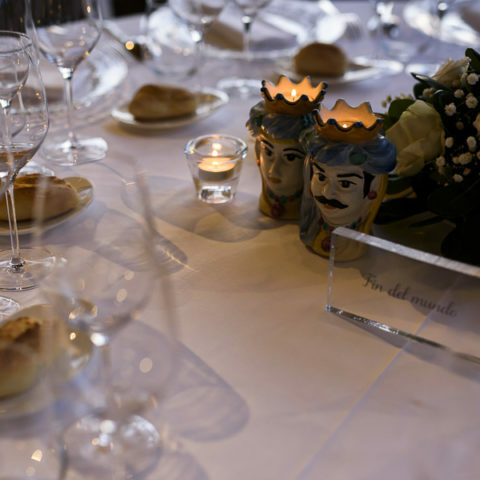 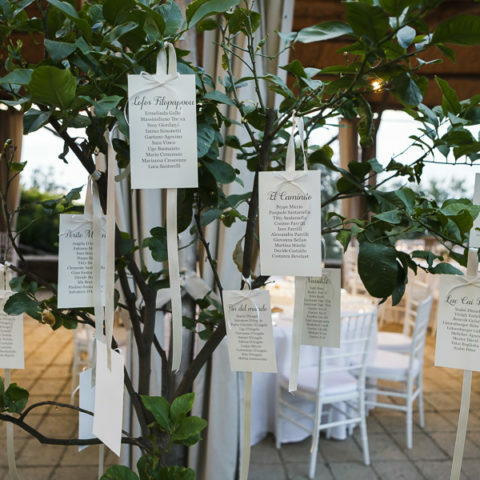 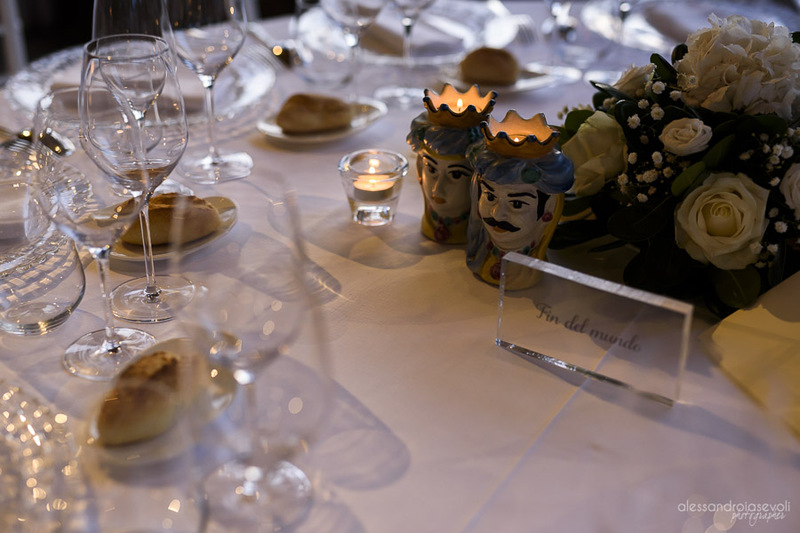 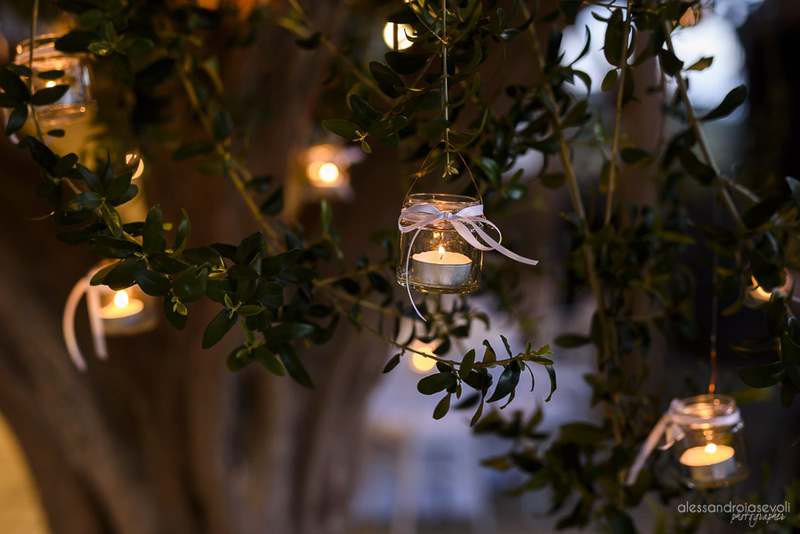 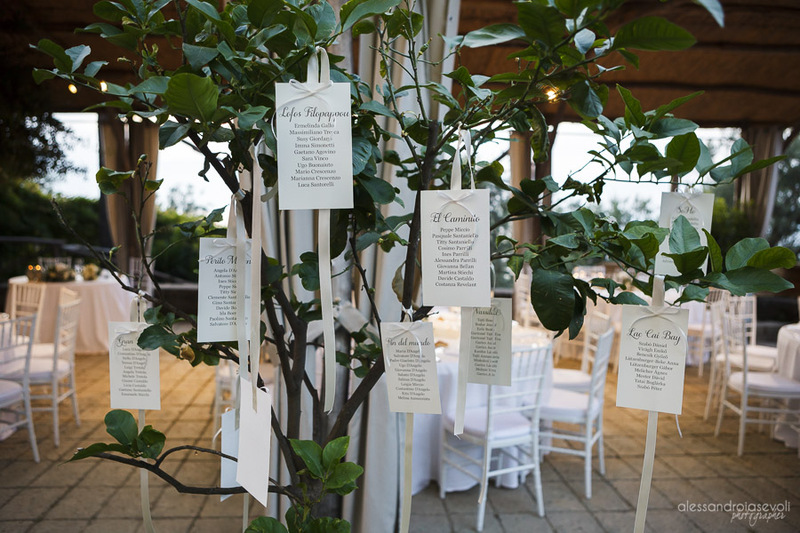 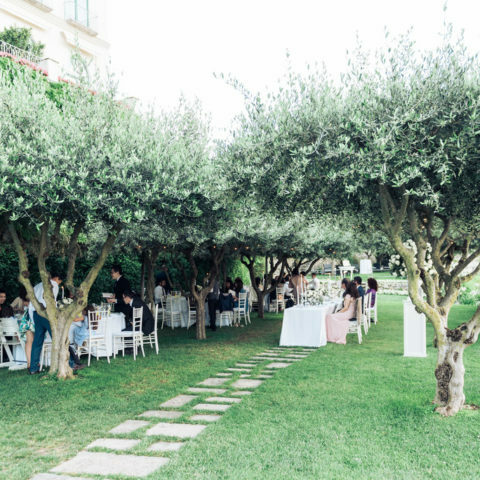 The reception dinner took place under the olive three and we illuminate the evening with fairly light, to make a more romantic atmosphere. 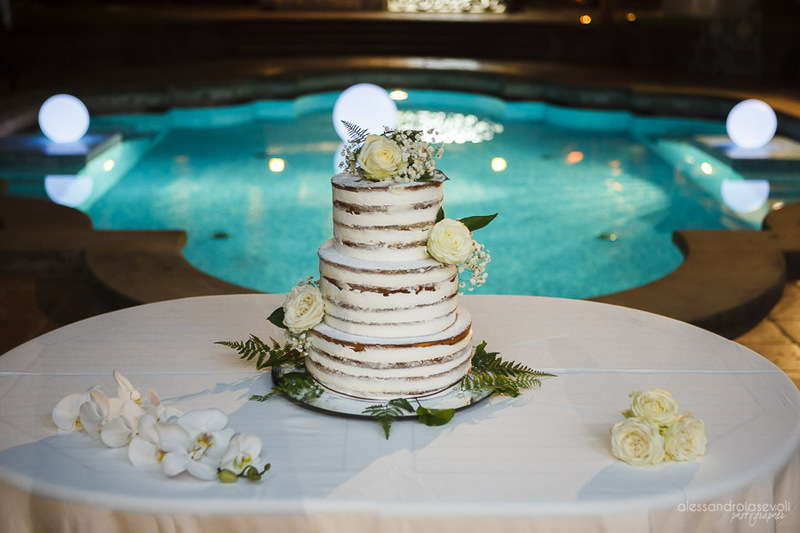 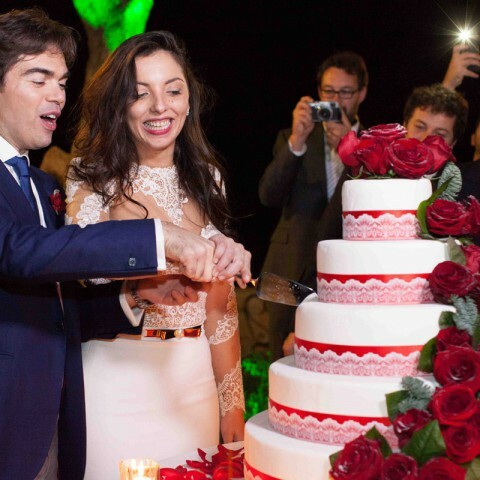 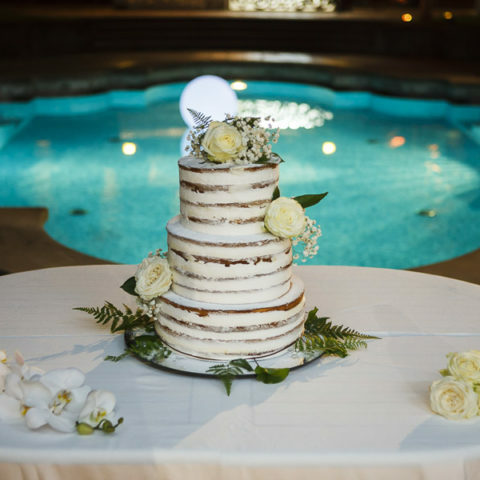 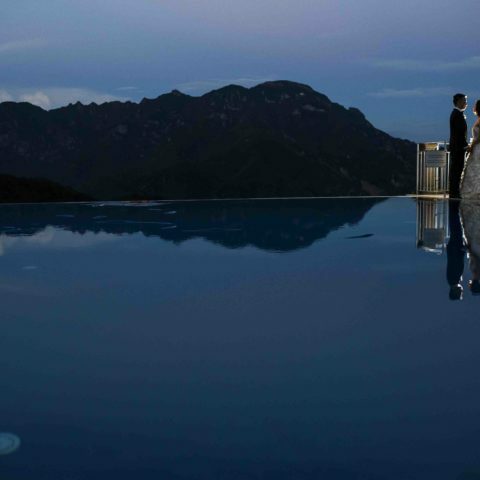 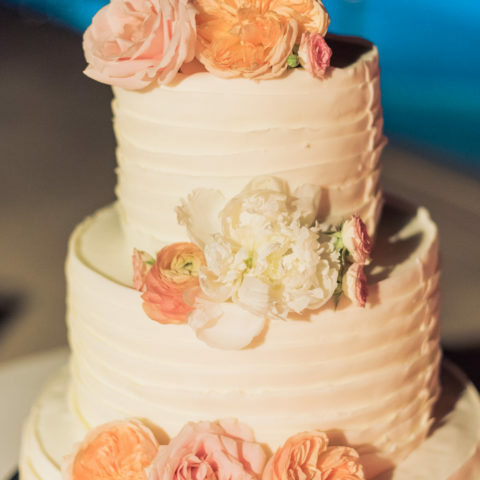 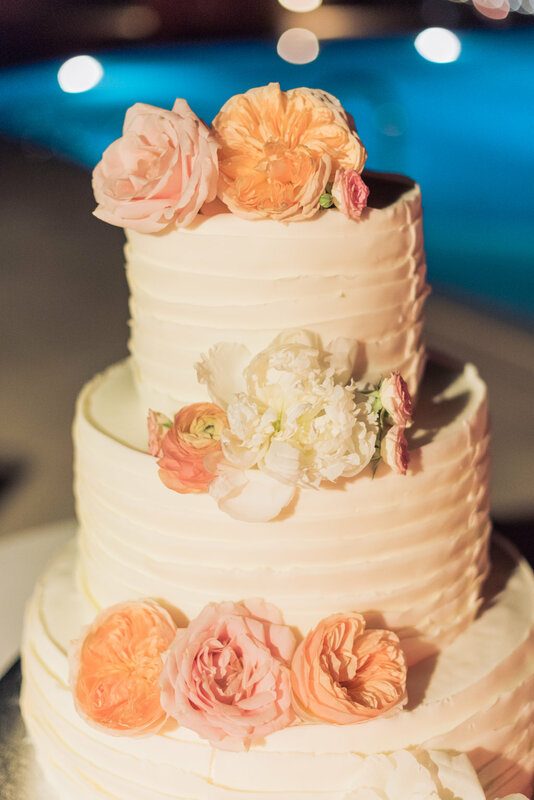 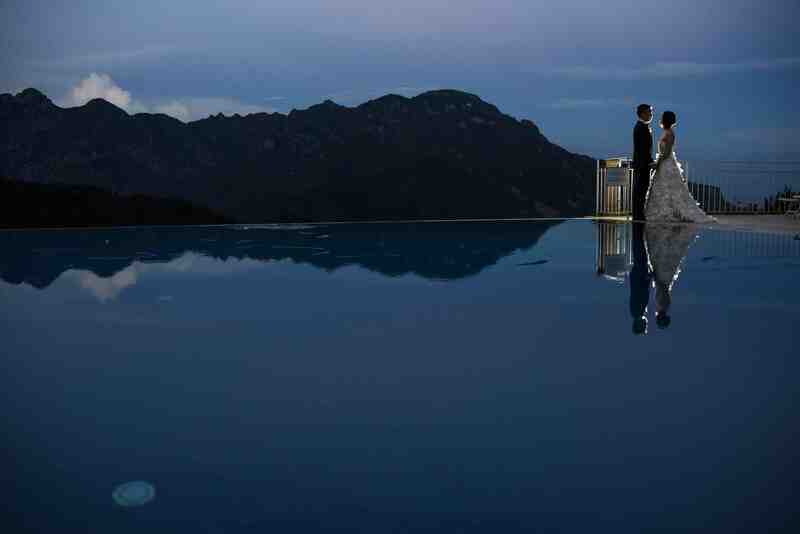 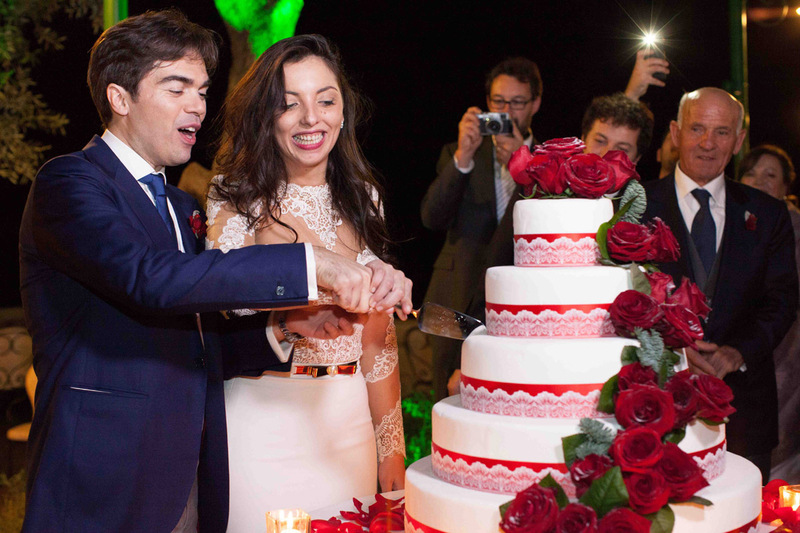 They cut the wedding cake by the infinity pool of the hotel considered out of the 10 most beautiful of the world. 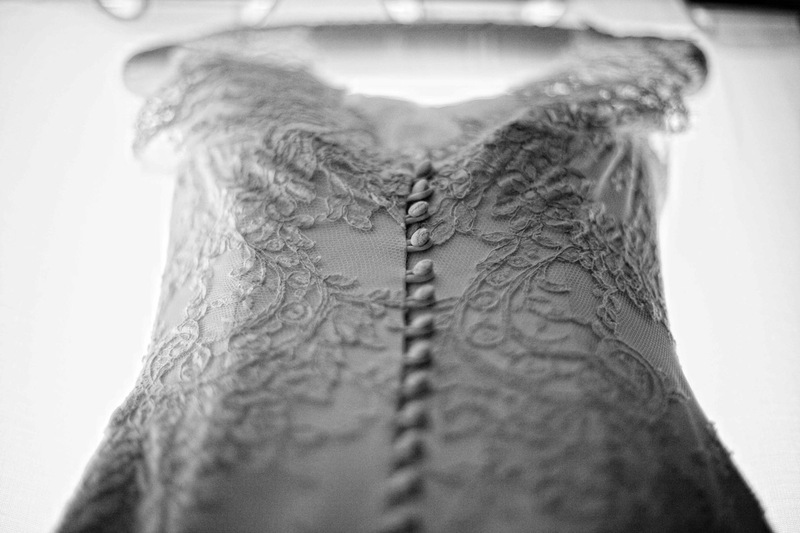 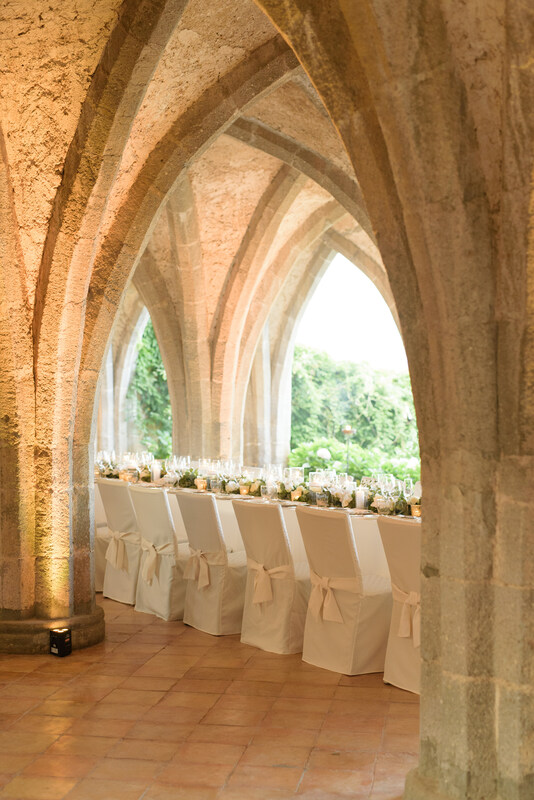 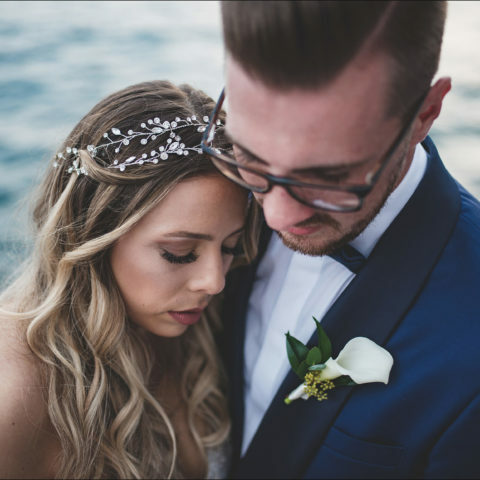  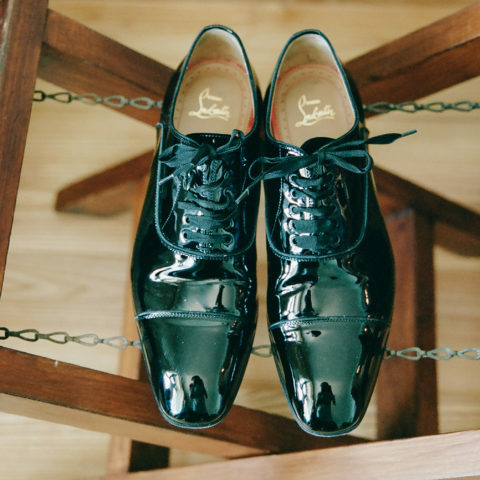 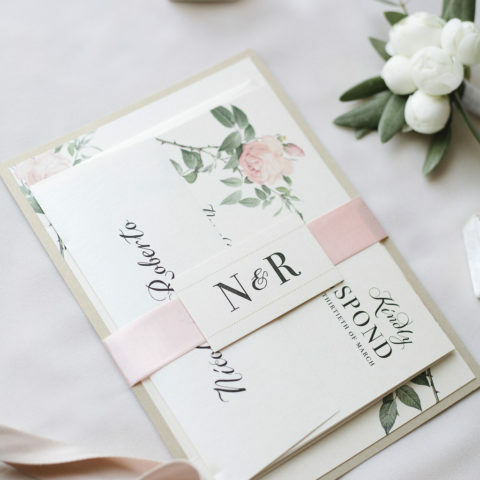 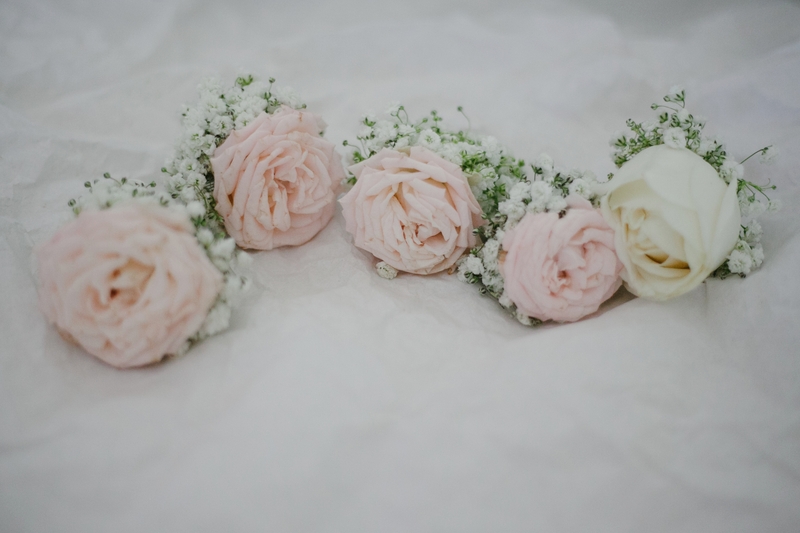  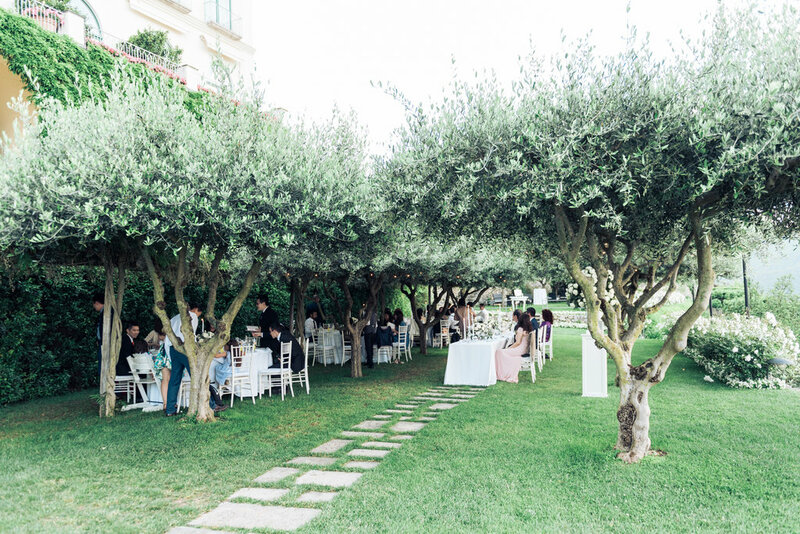 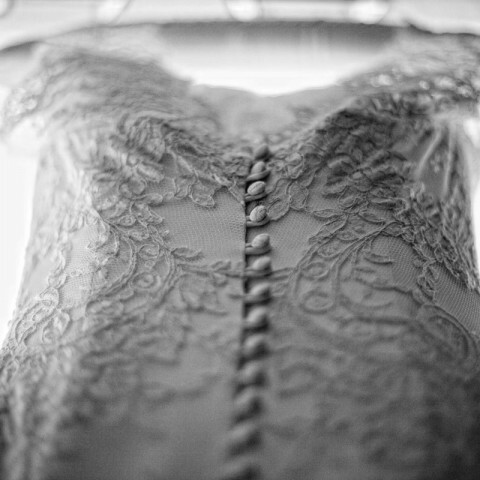 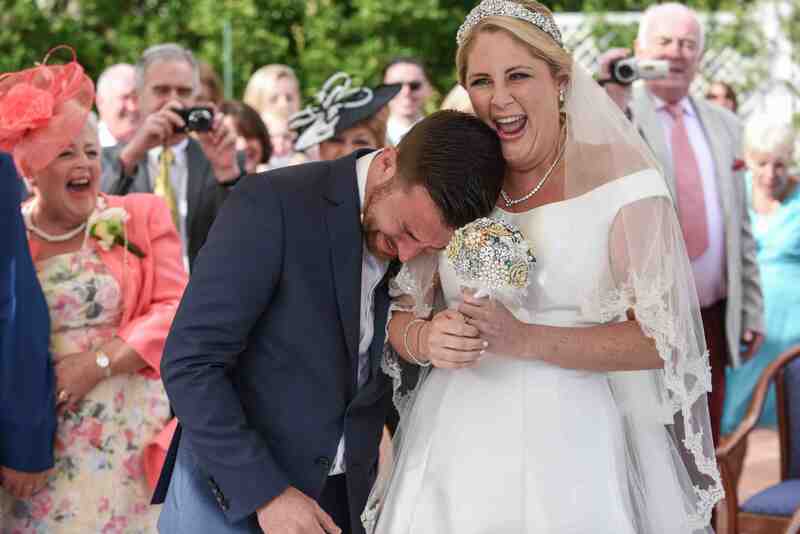 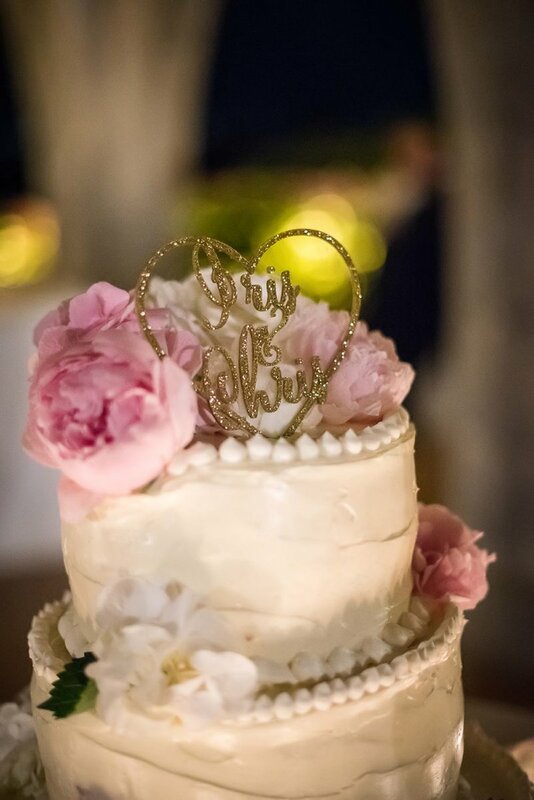 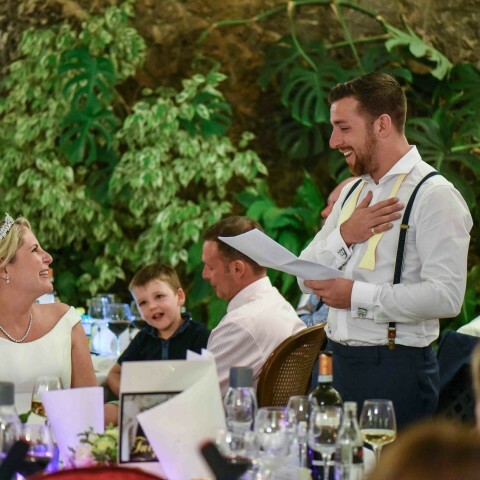 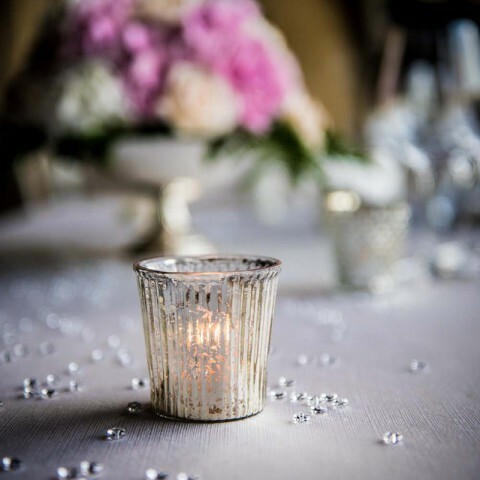 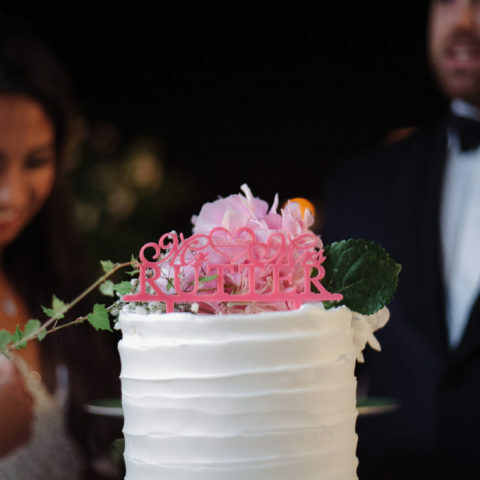 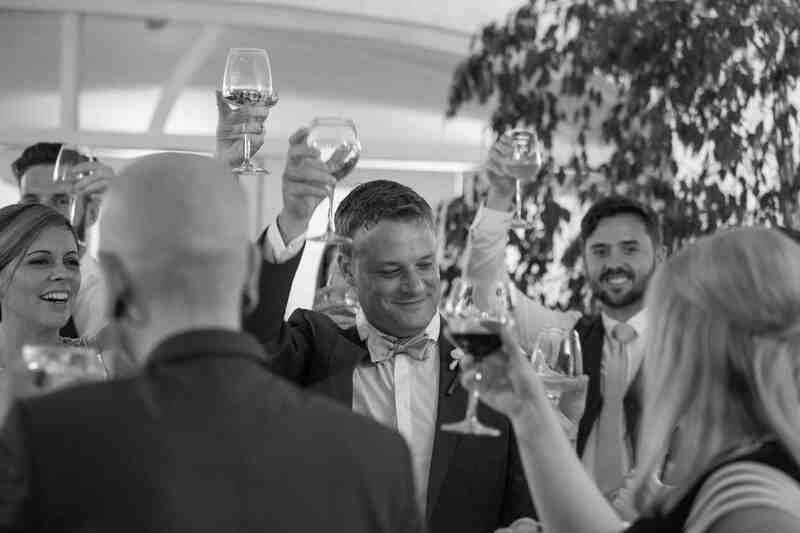 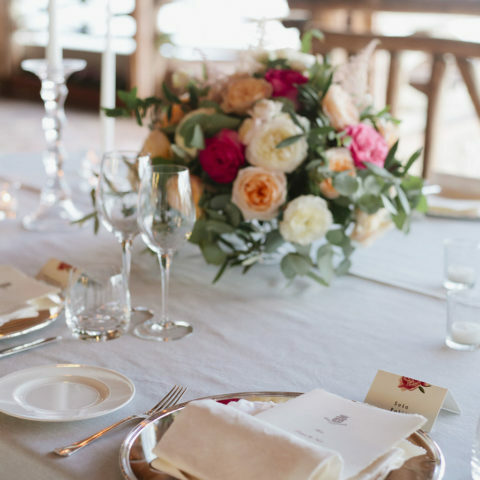 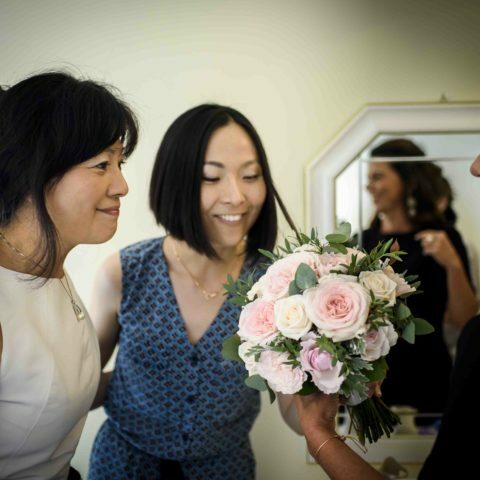 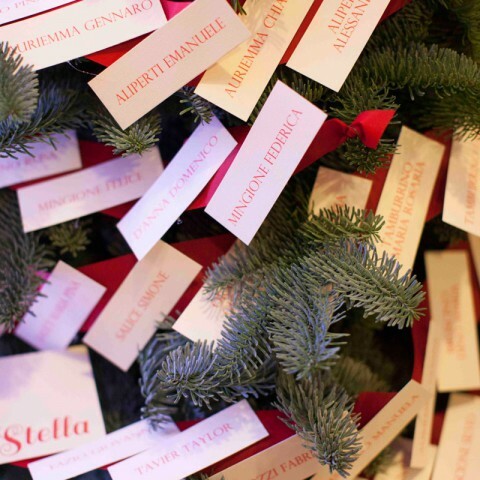 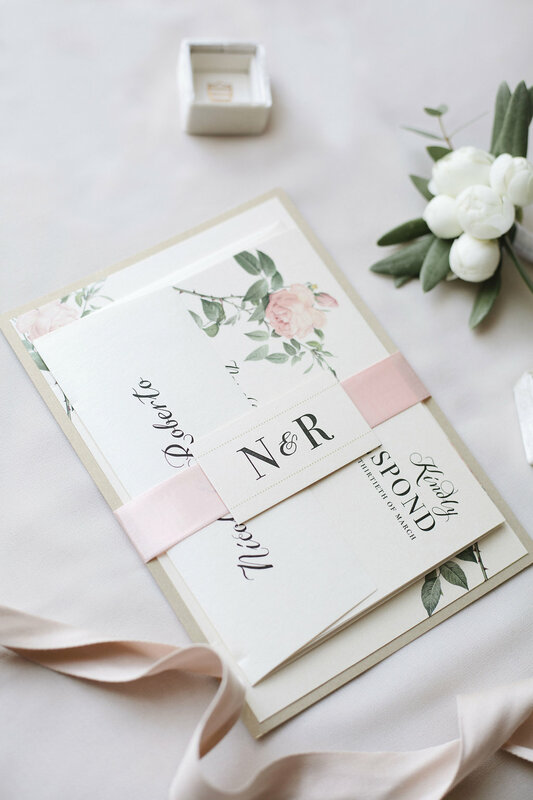 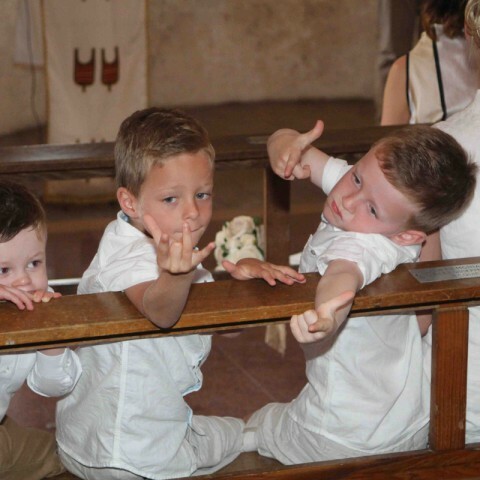 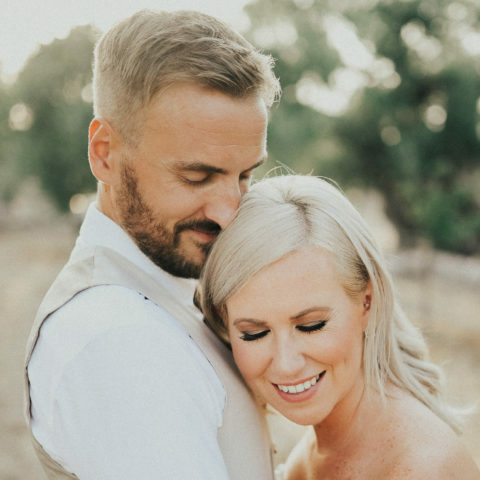 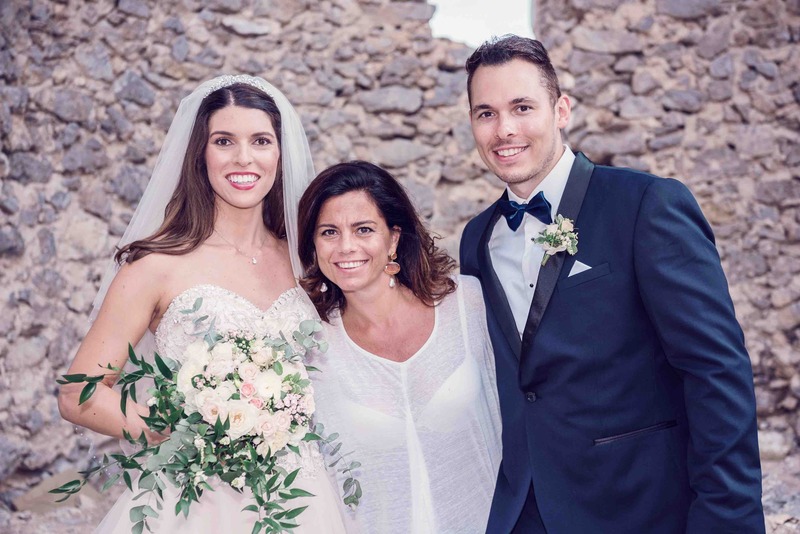 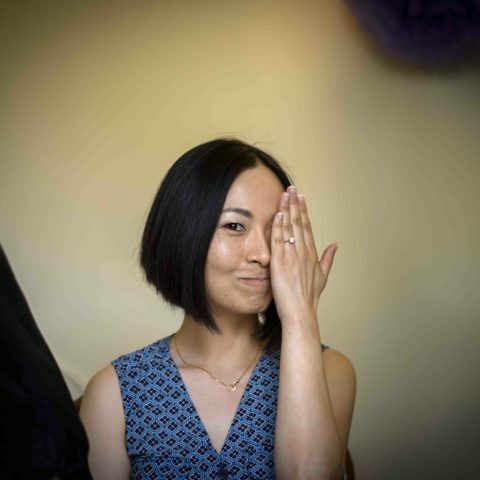 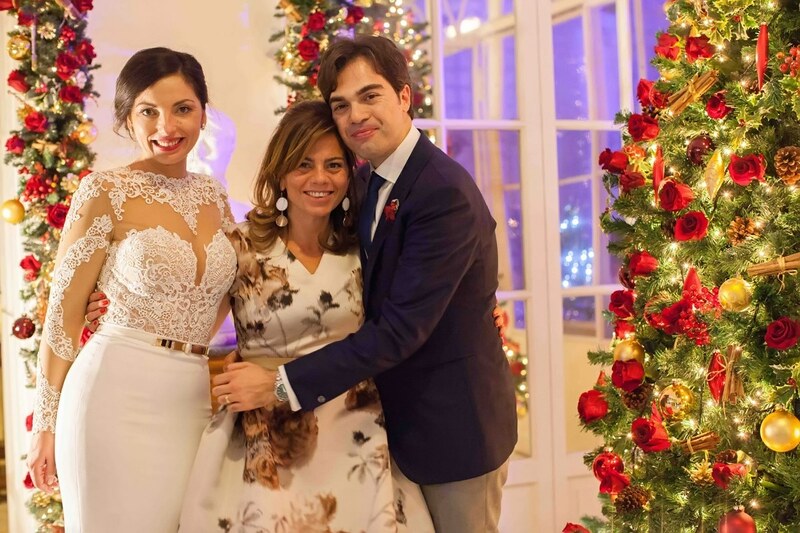 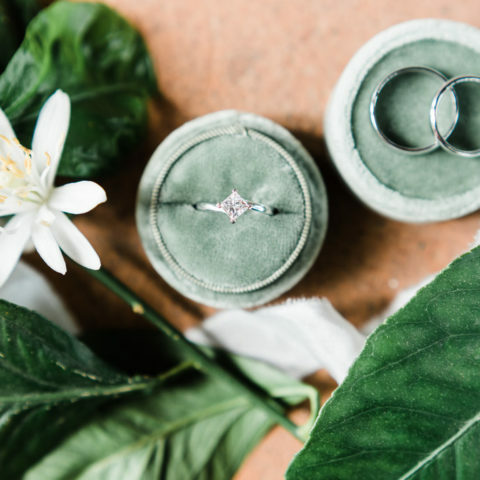 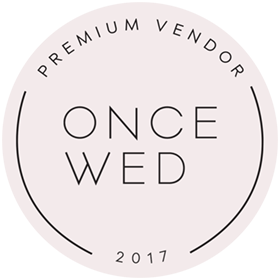 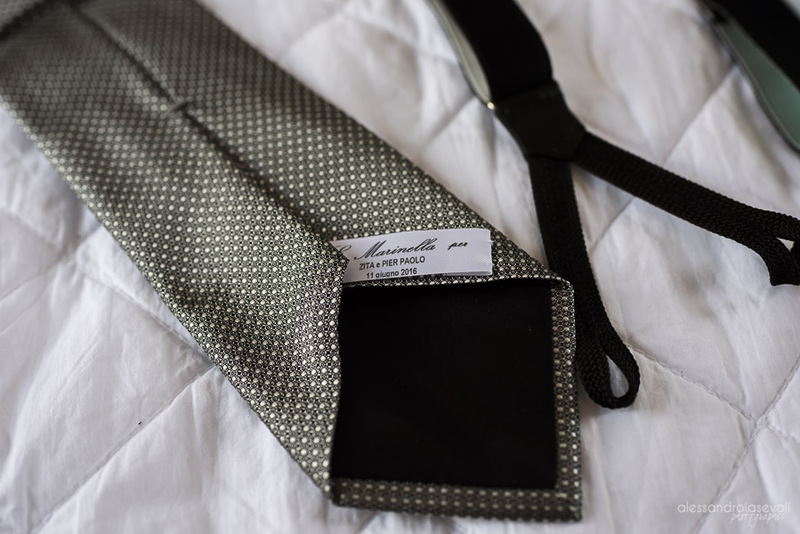 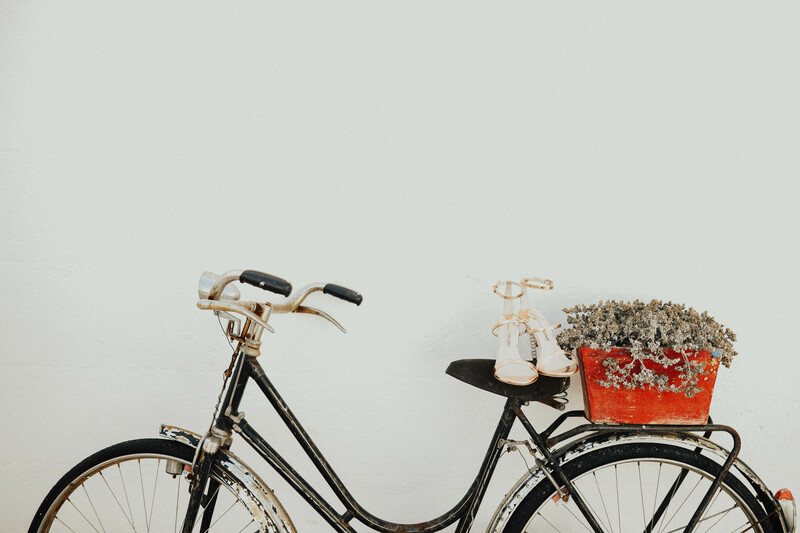 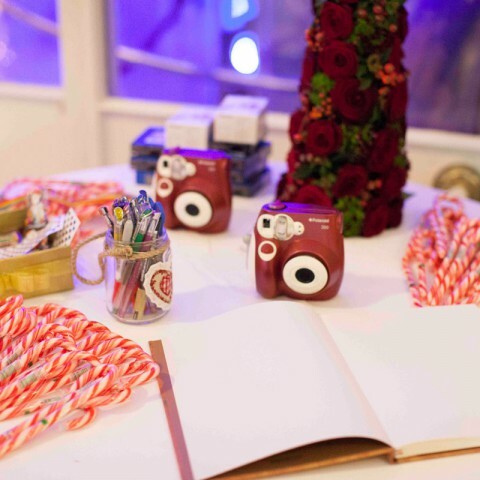 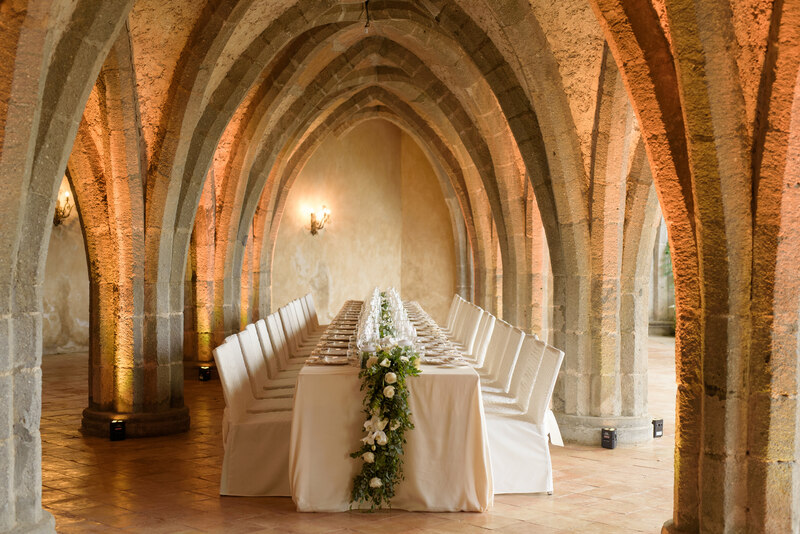 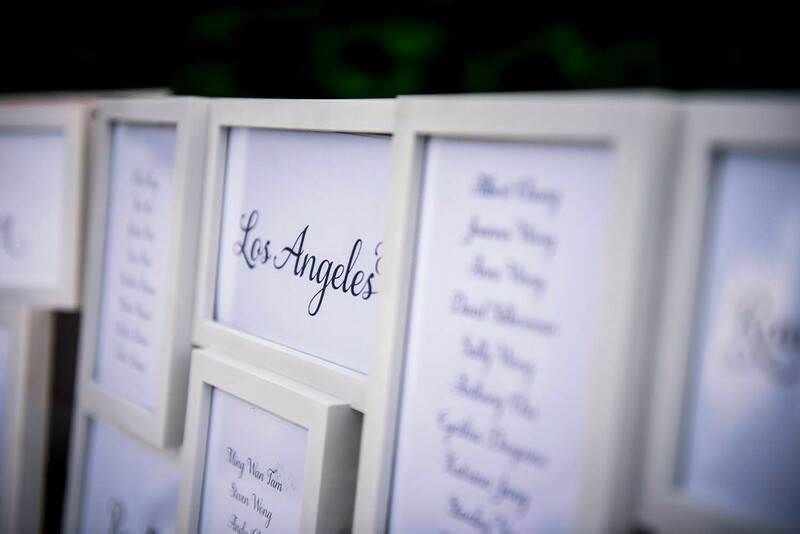 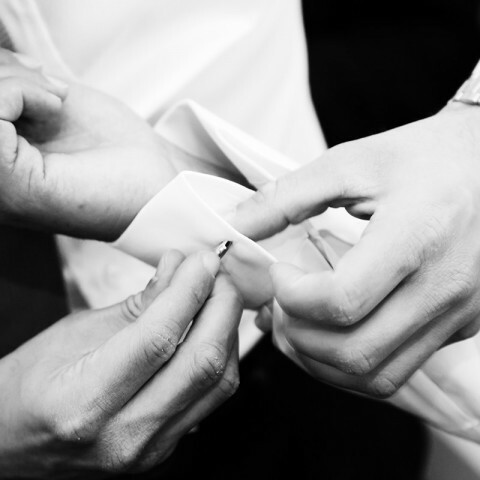 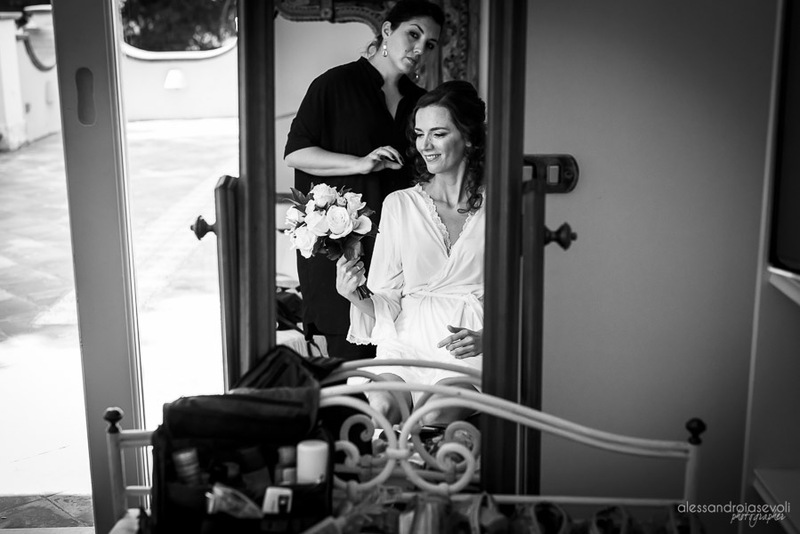 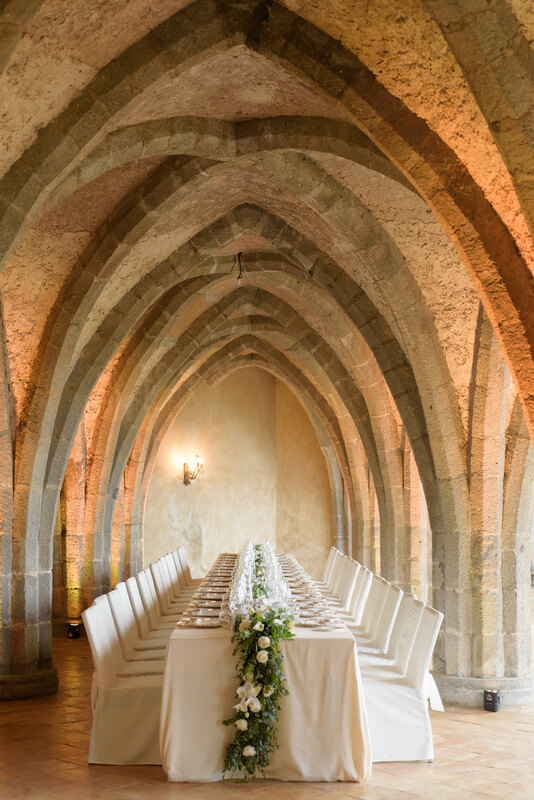 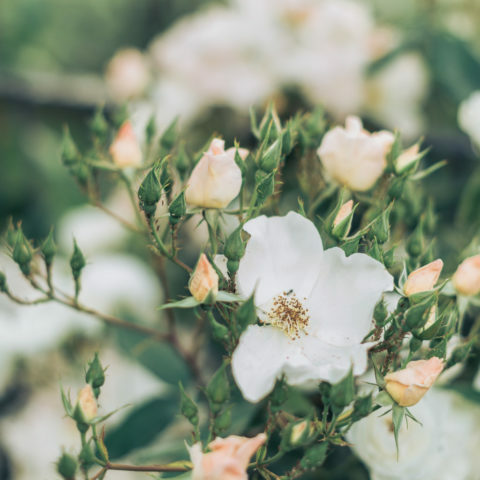 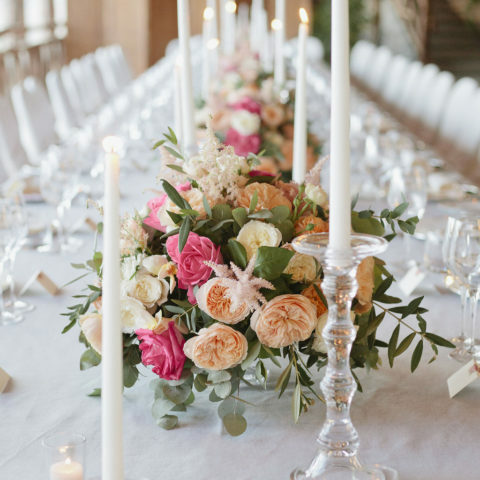 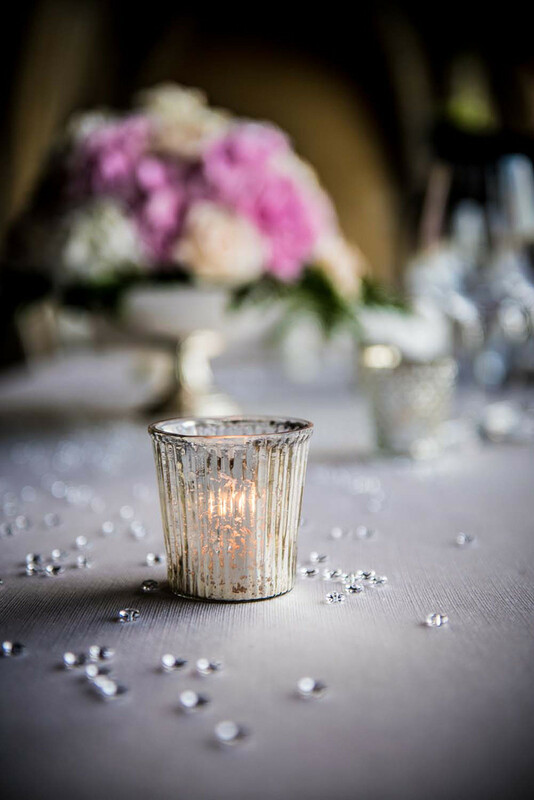 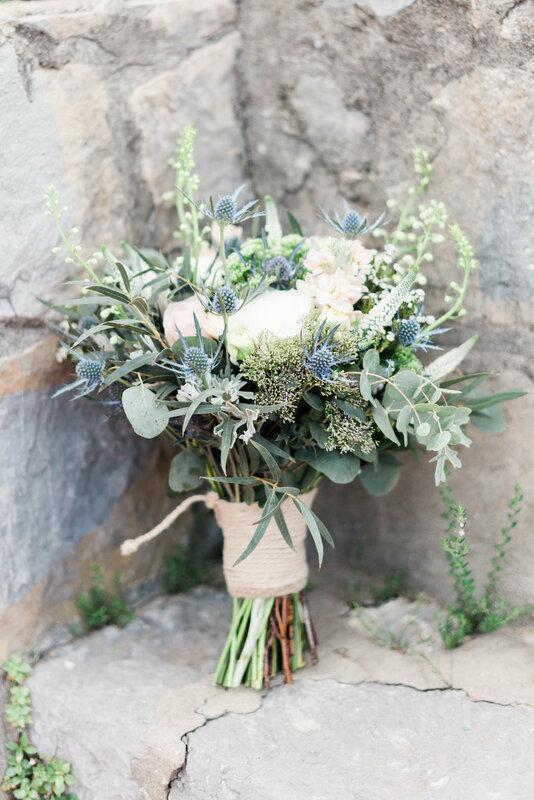 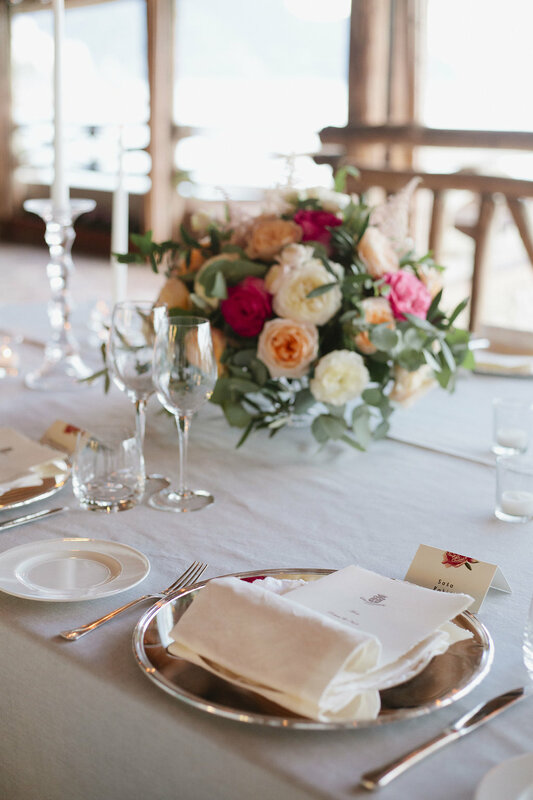 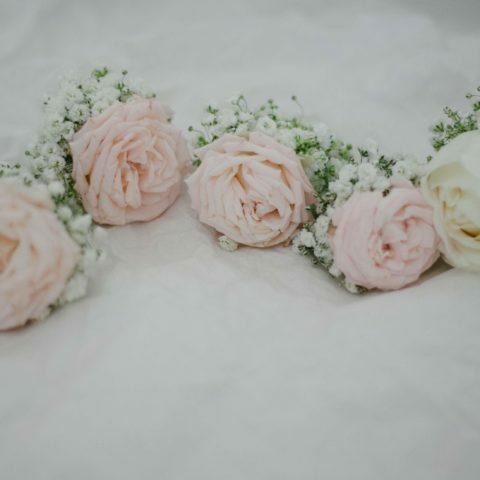 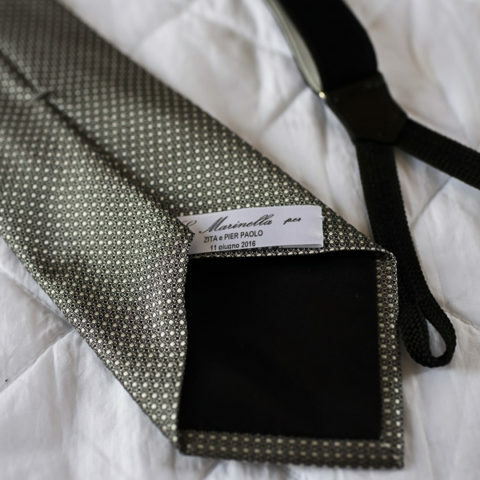 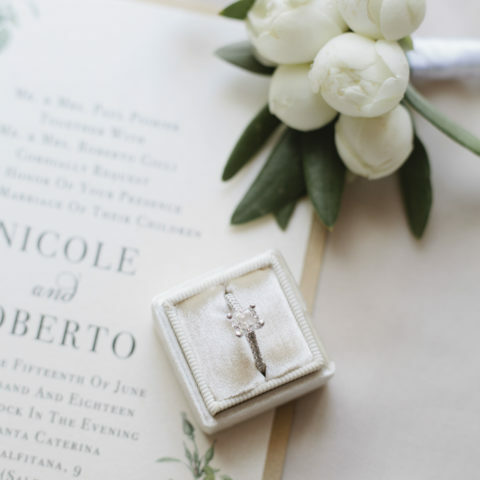 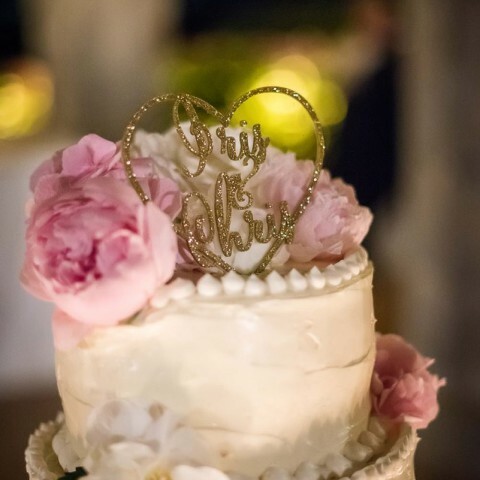 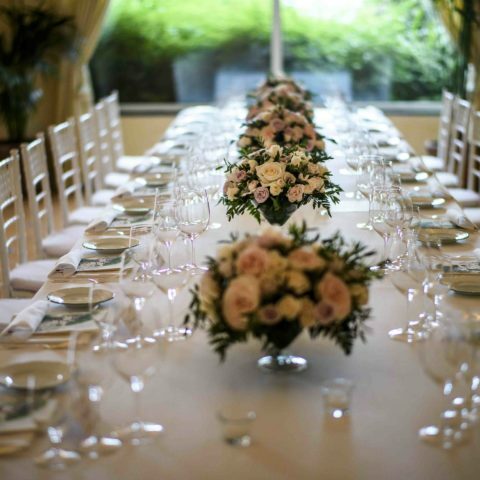 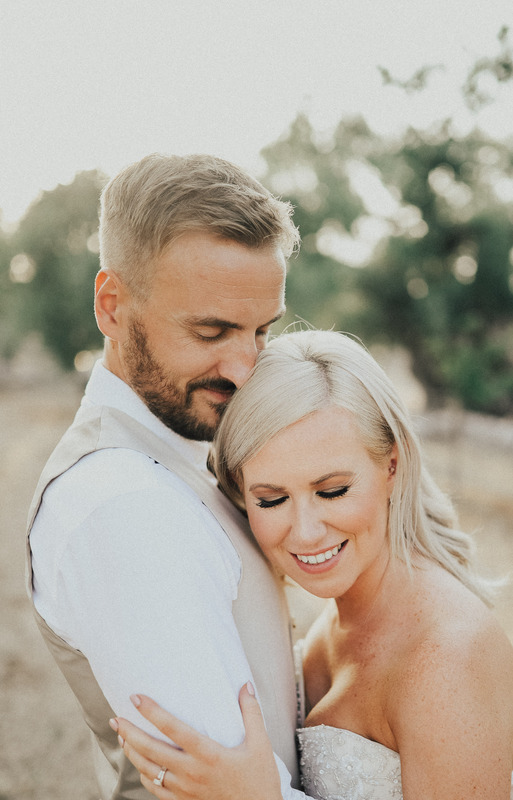 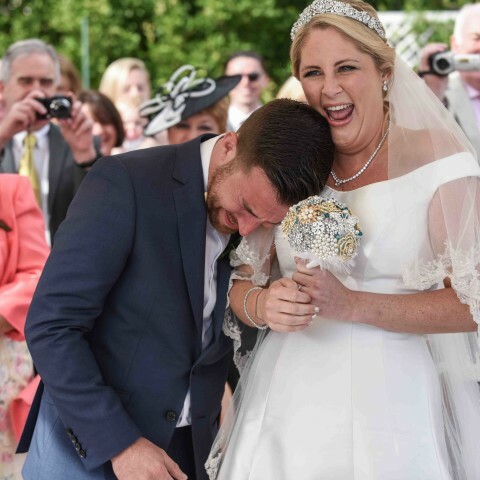 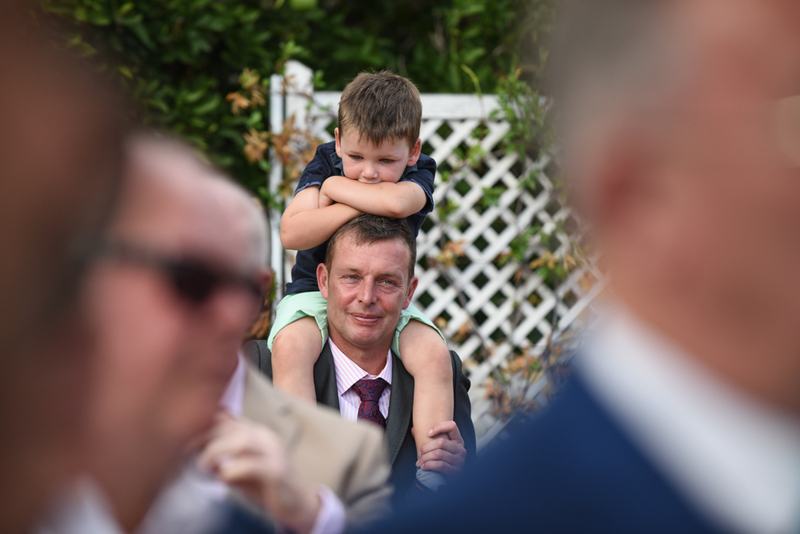 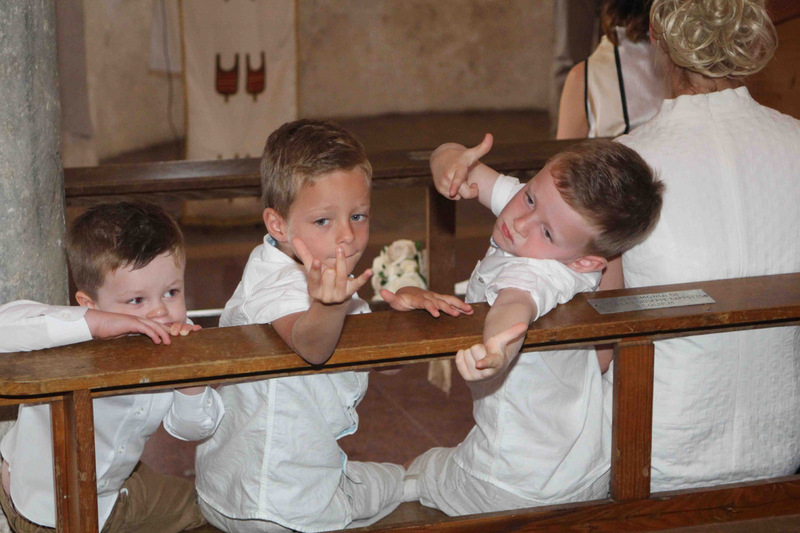 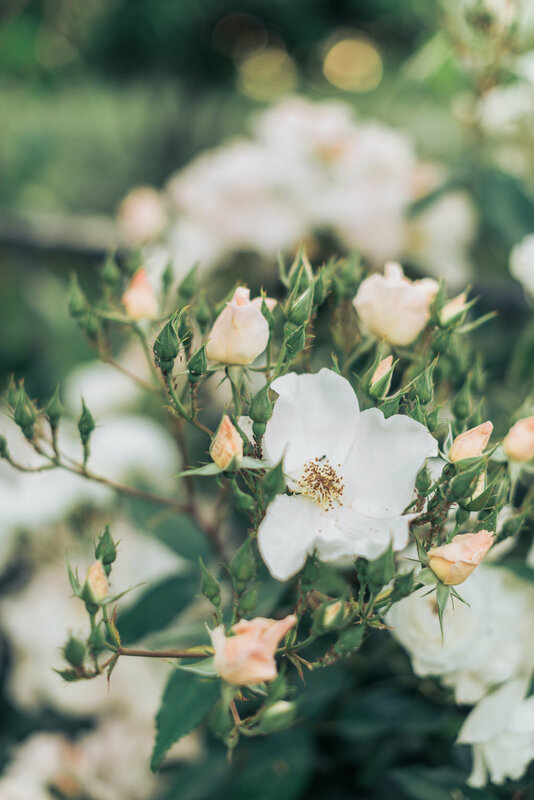 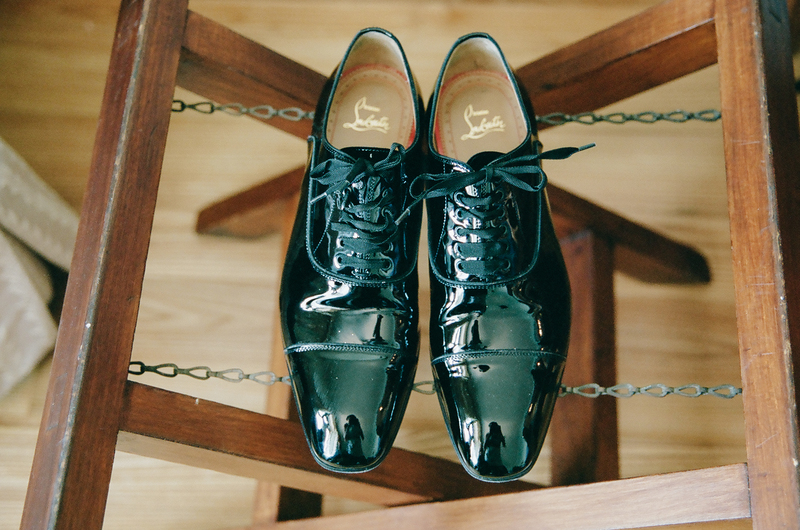 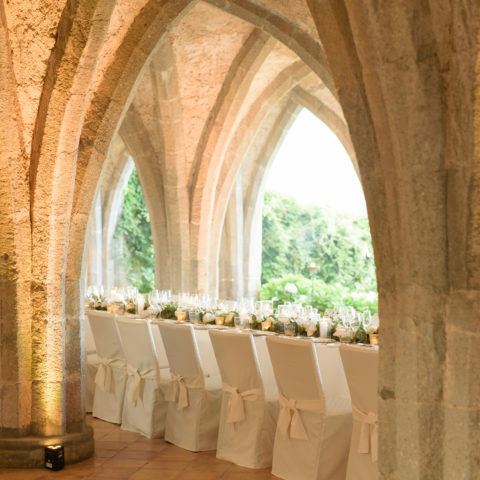 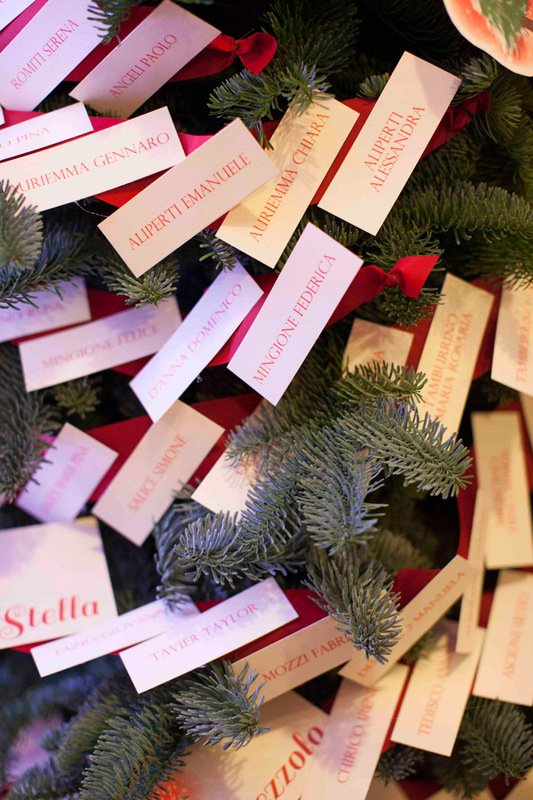 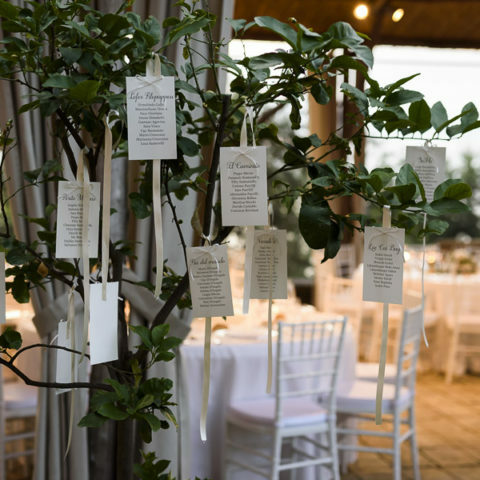 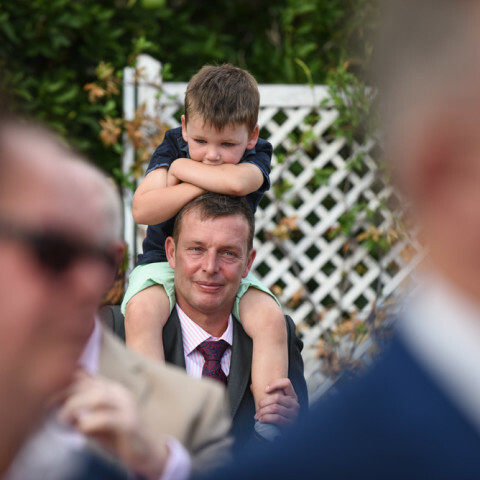 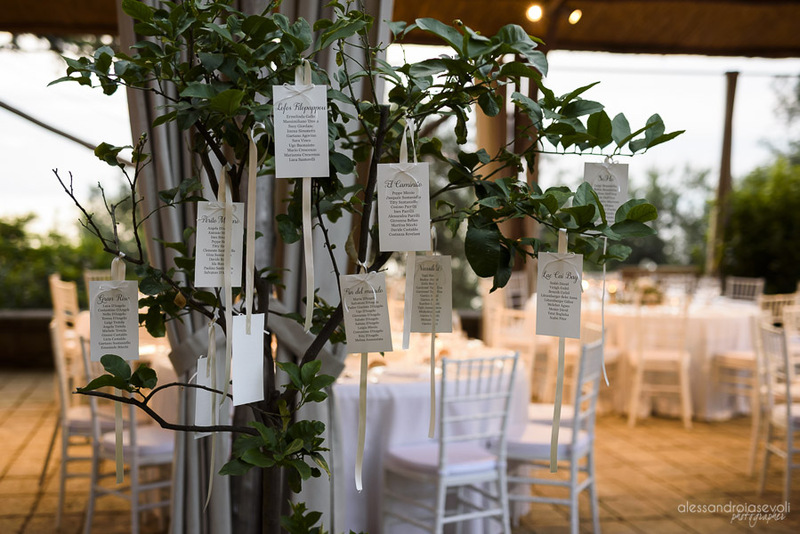 Below you can enjoy the nice word they share about the planning we did together and of course the picture captured by Lace and Luce of a magical wedding day! 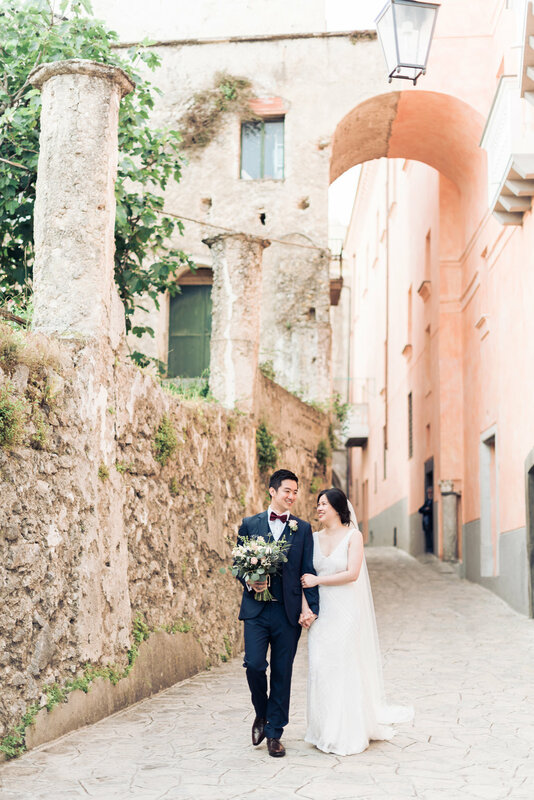 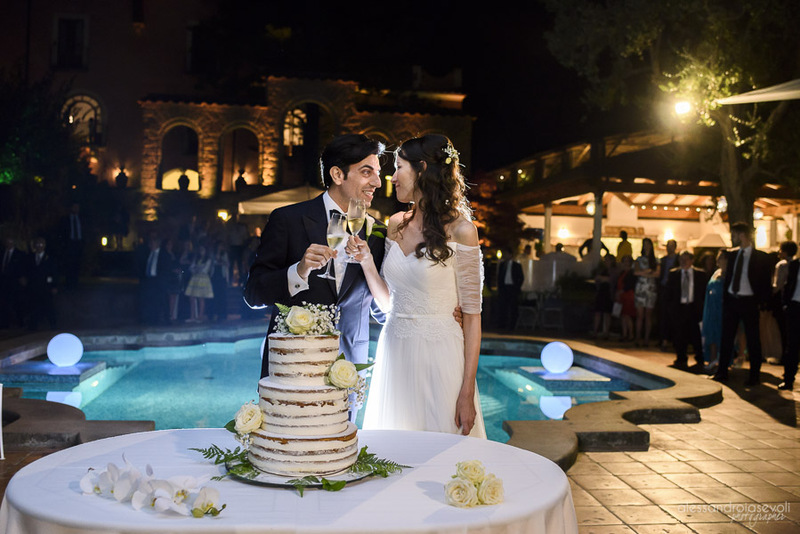 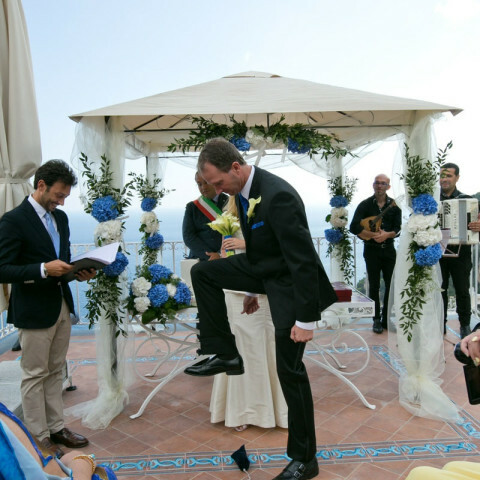 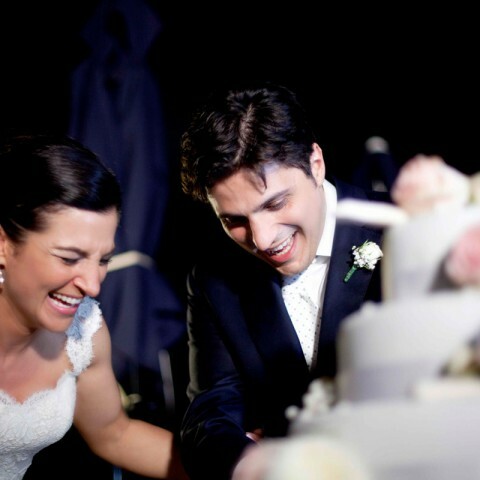 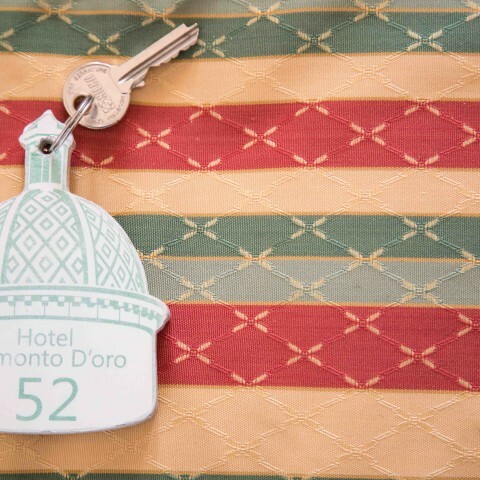 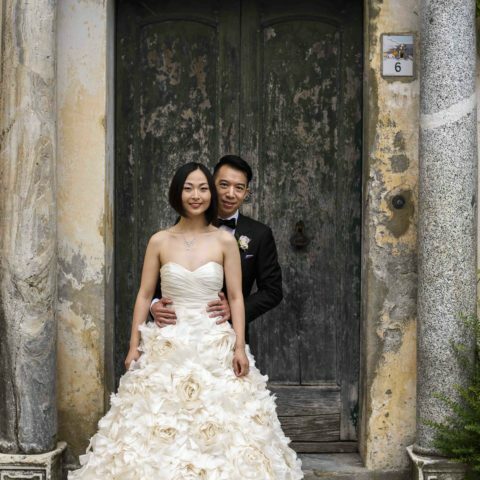 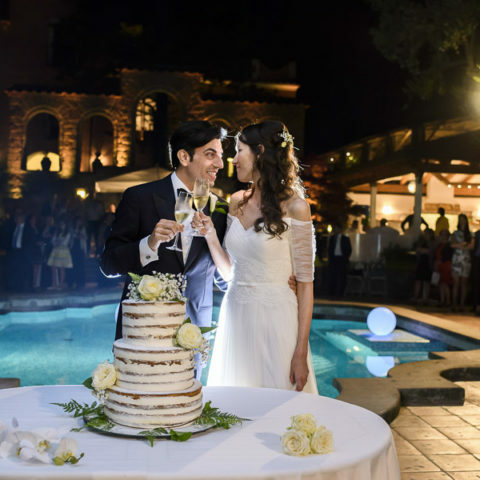 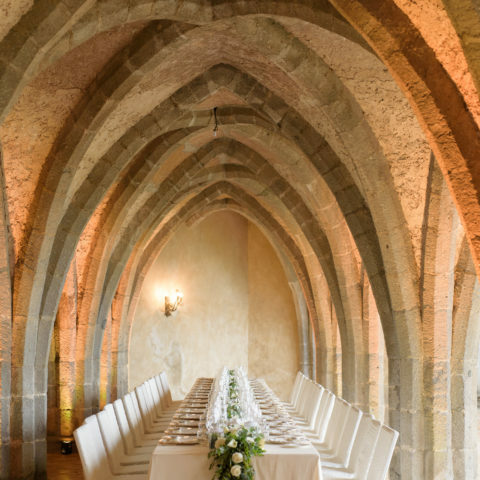 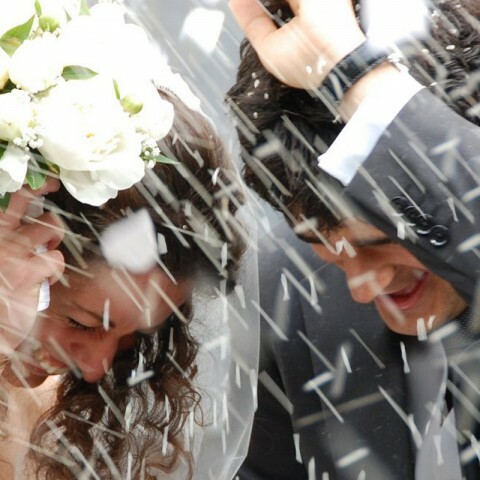 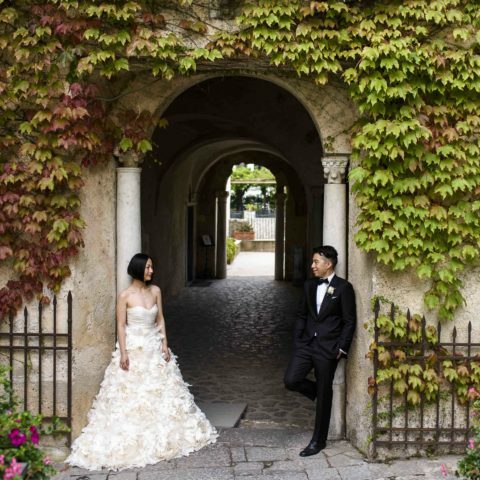 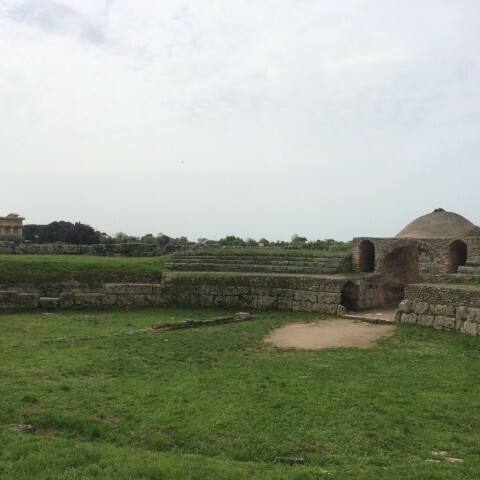 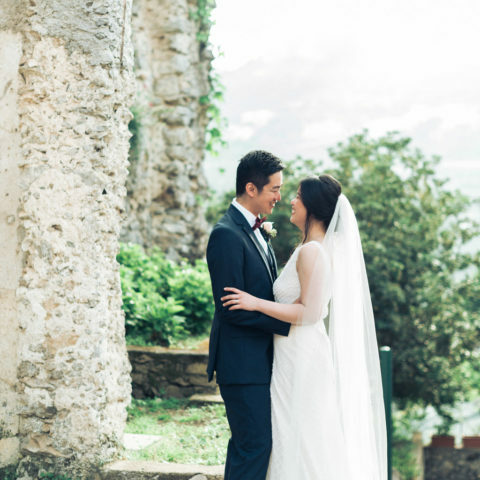 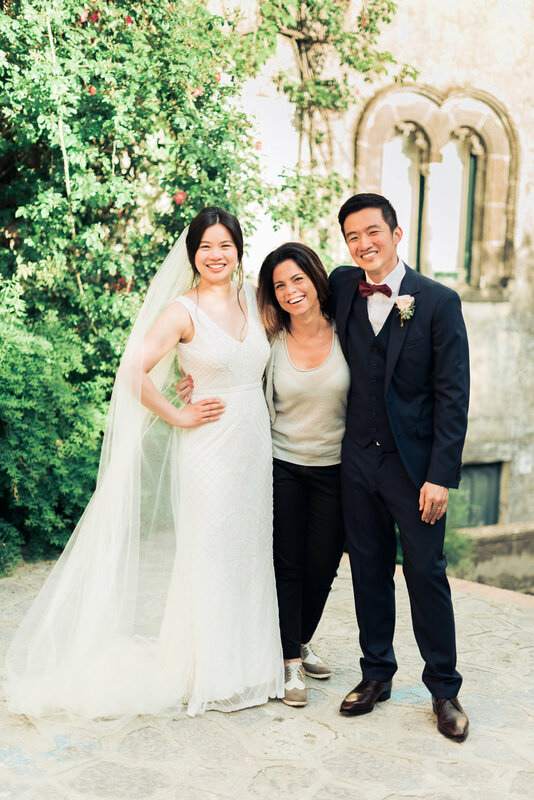 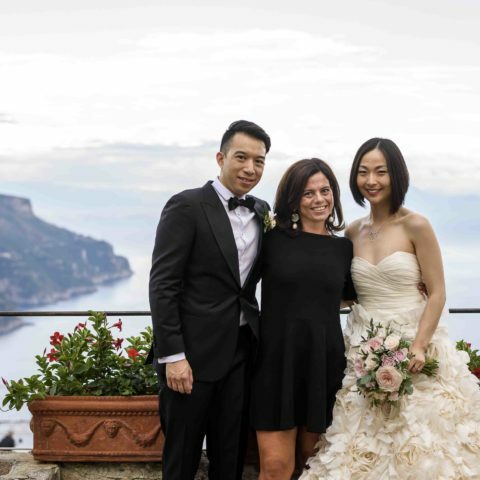 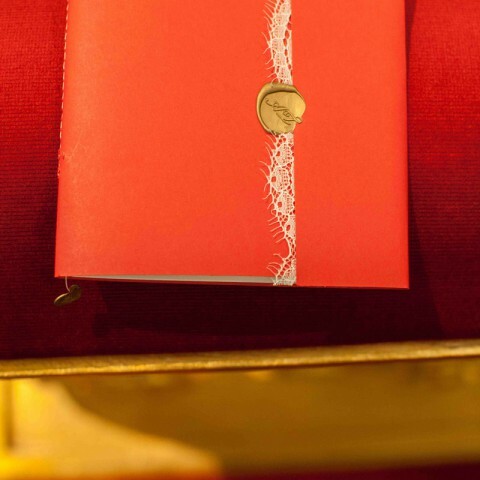 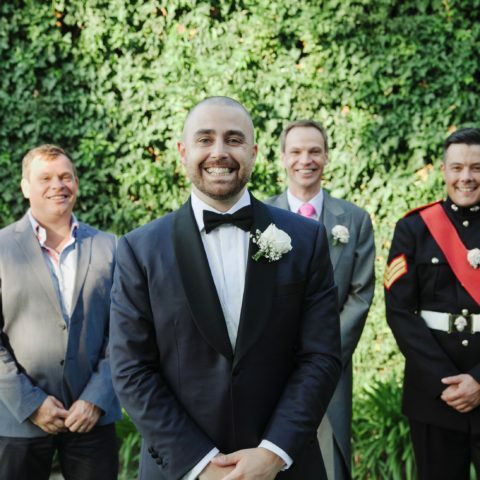 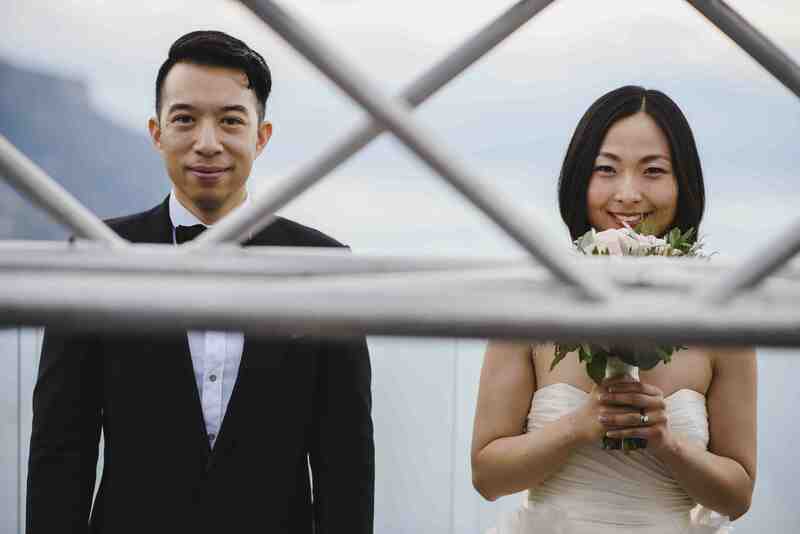 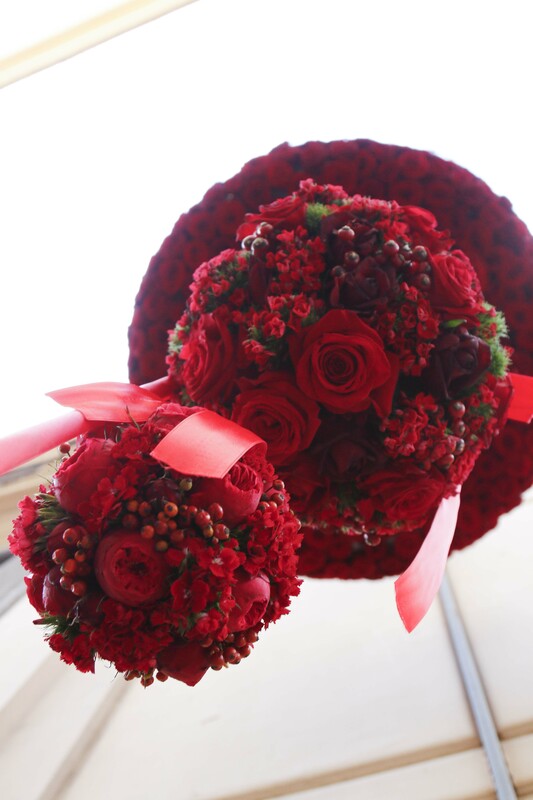 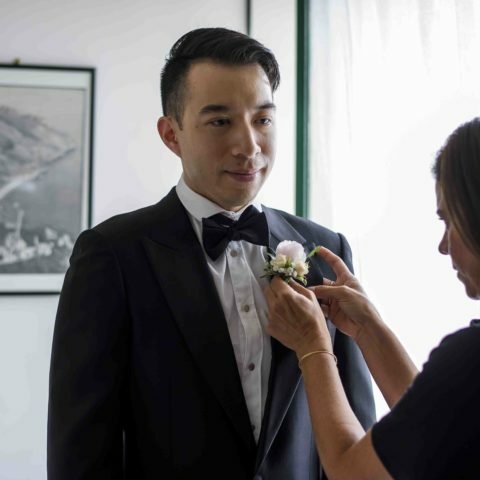 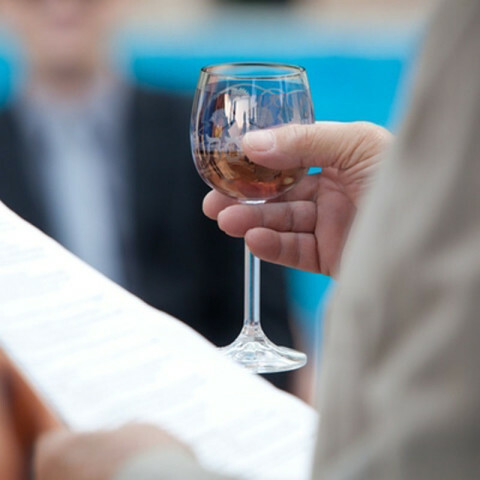 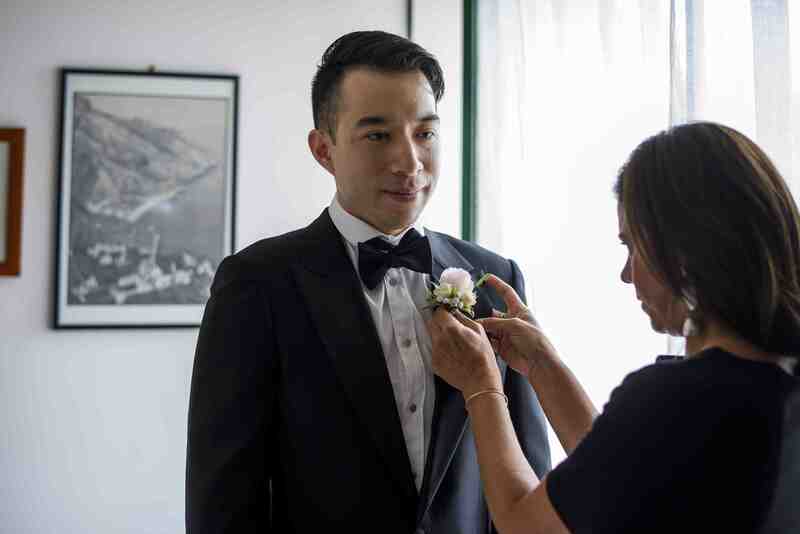 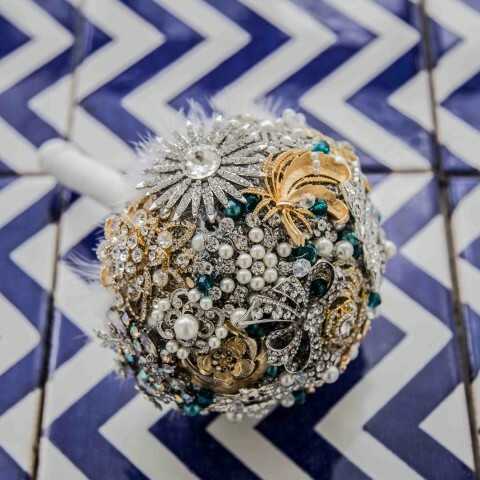 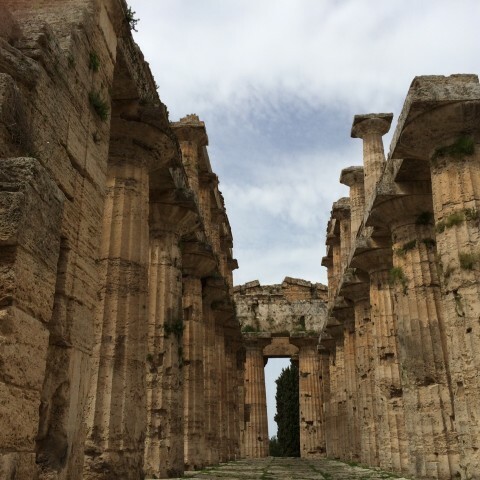 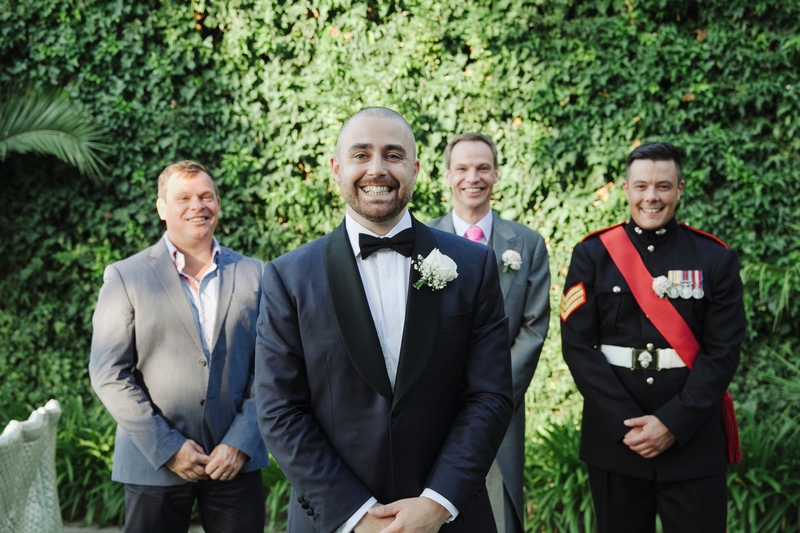 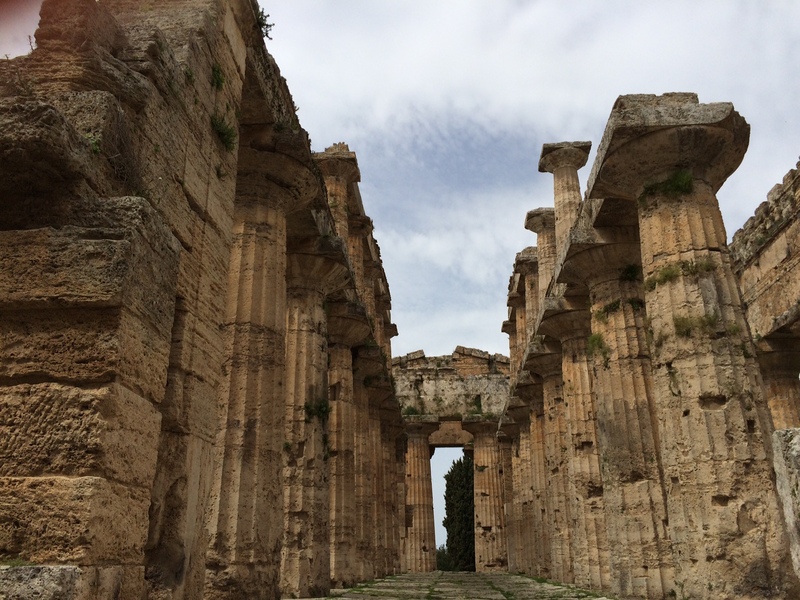 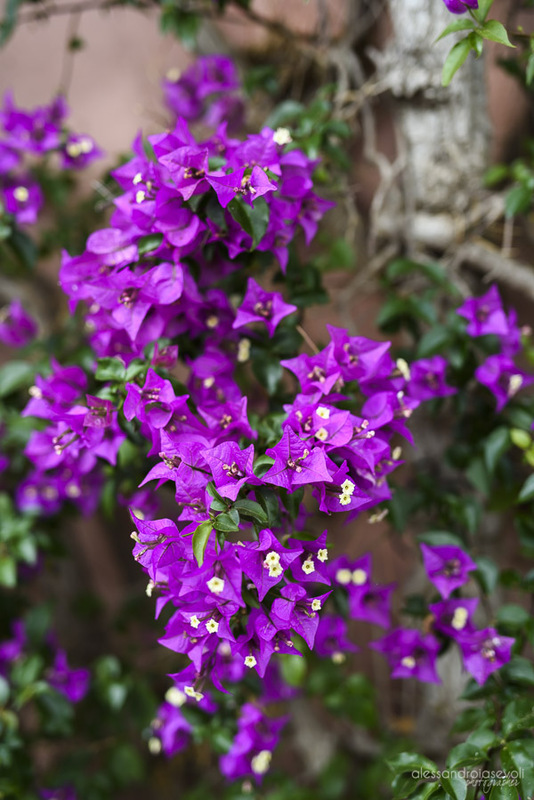 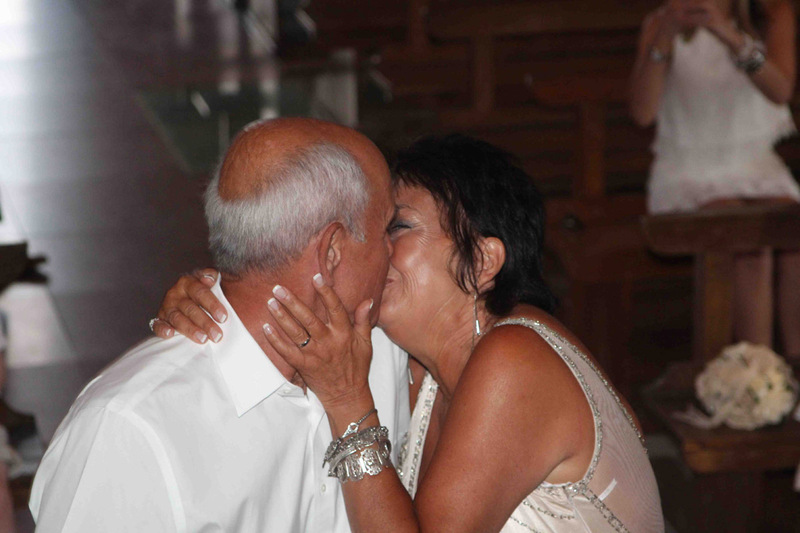 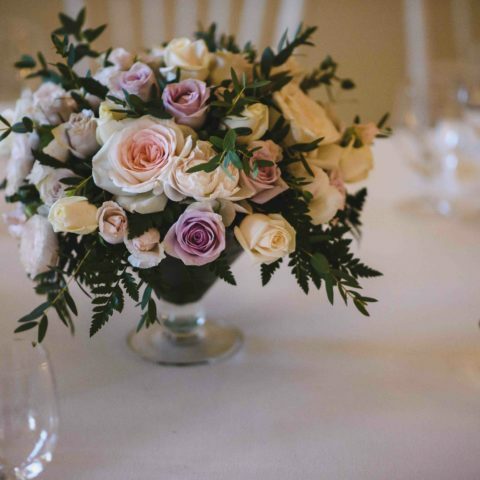 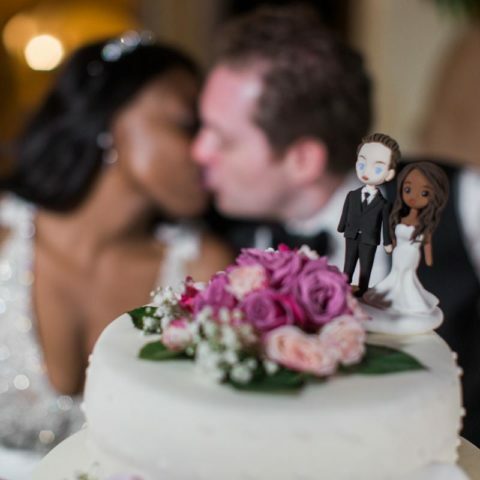 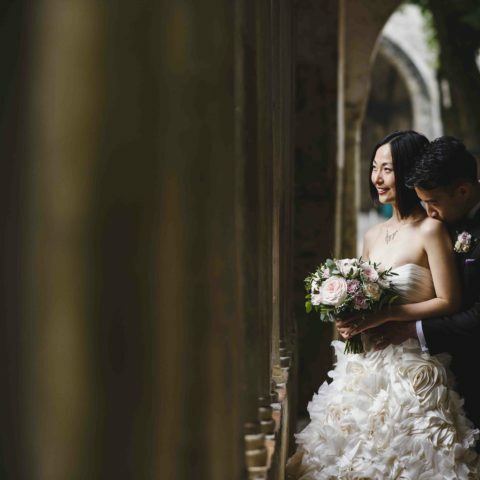 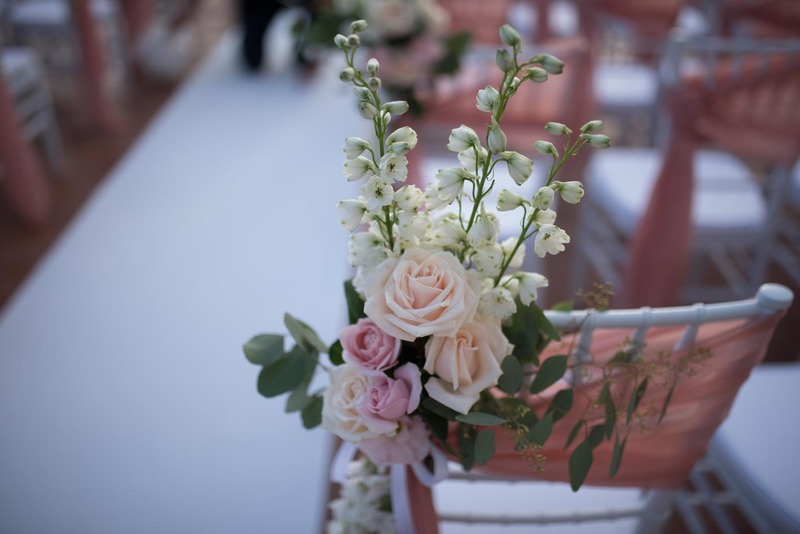 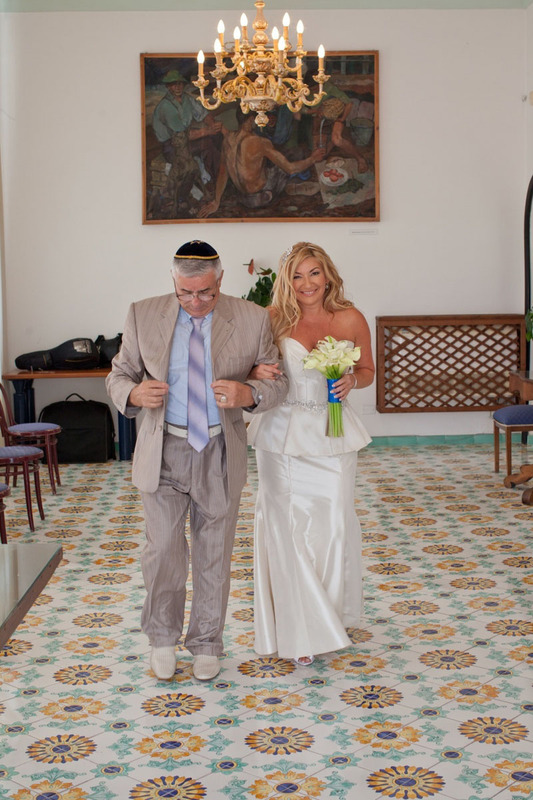 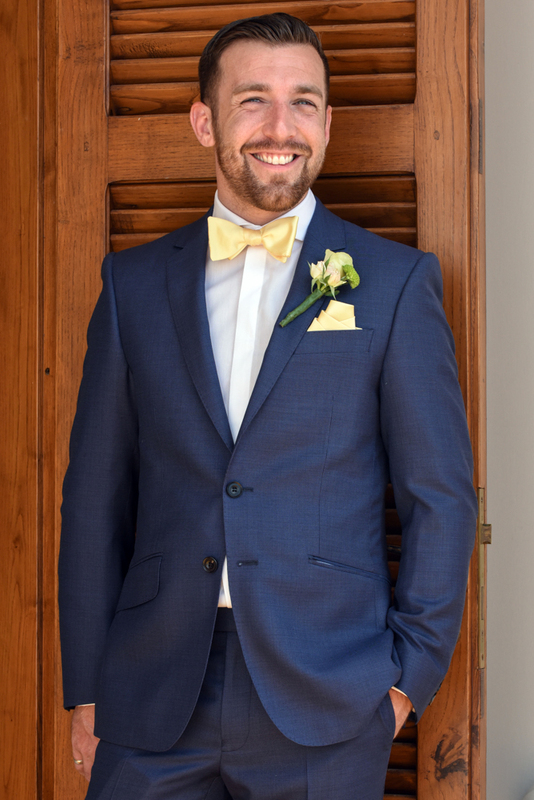 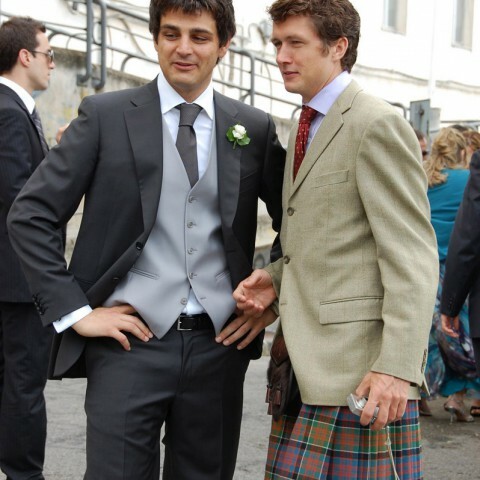 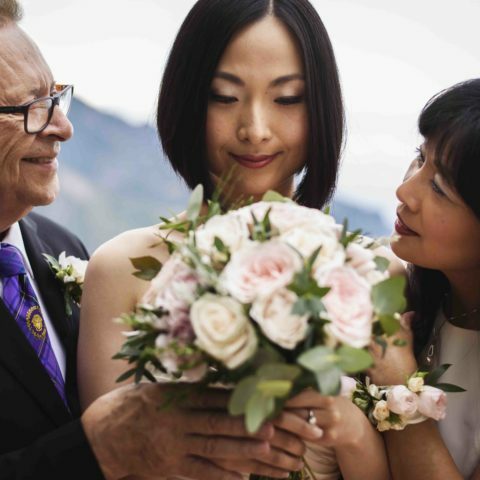 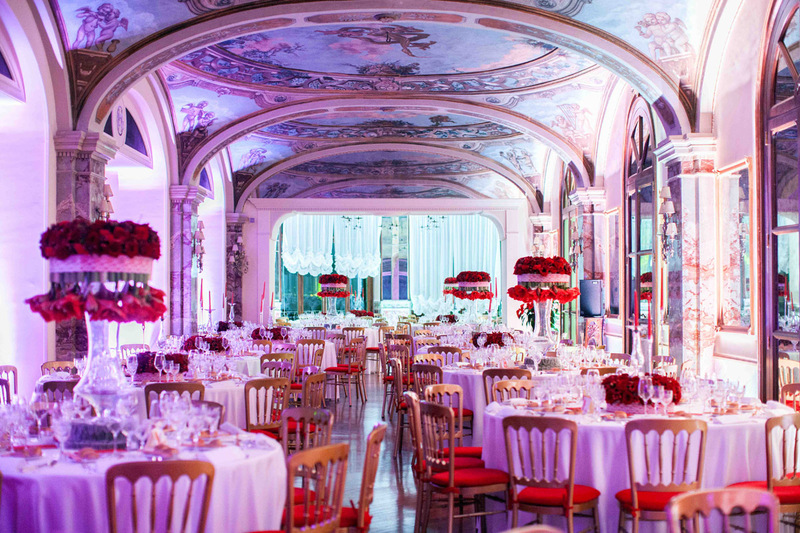 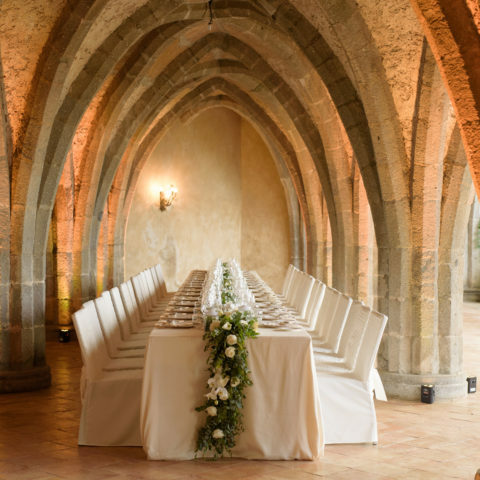 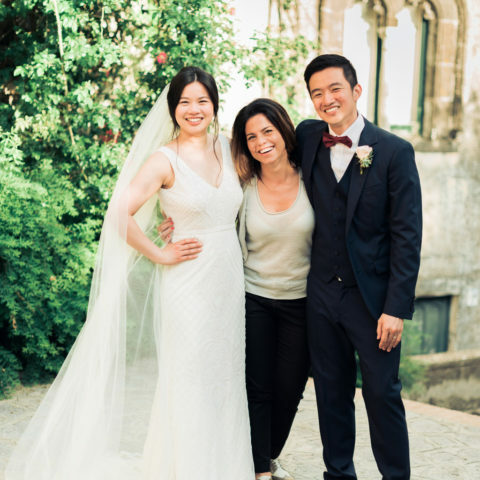 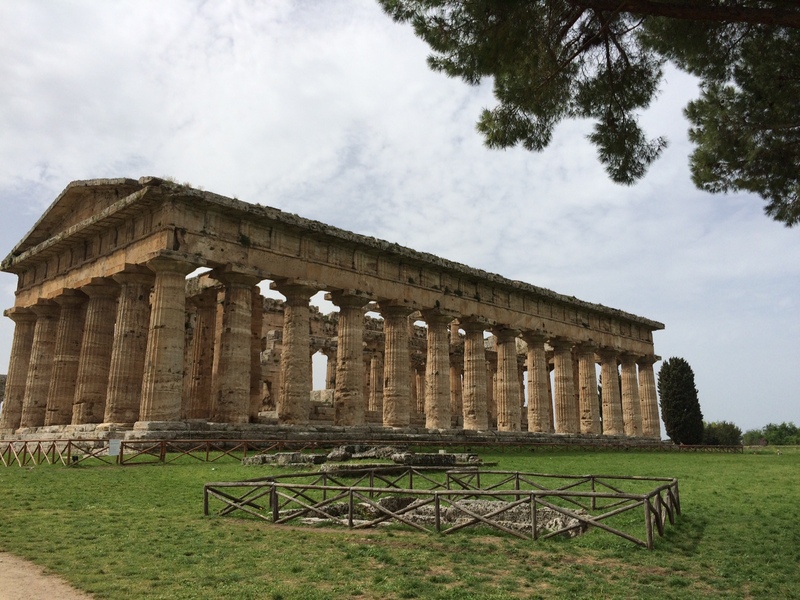 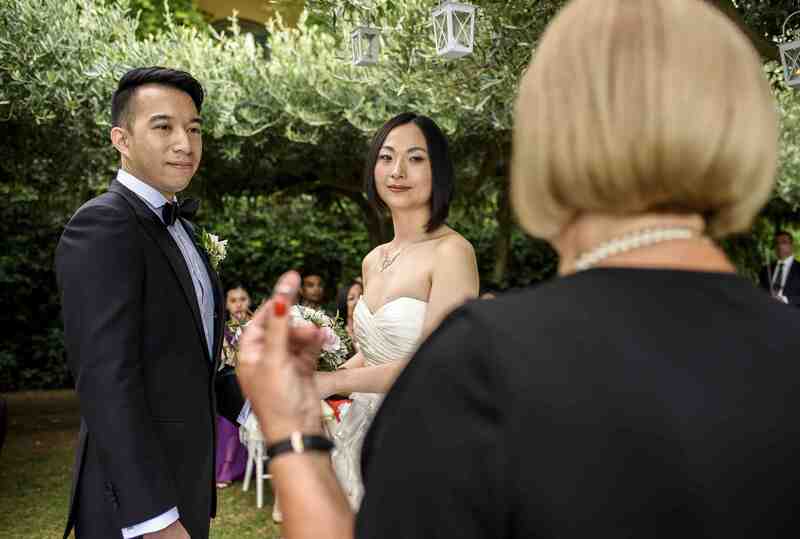 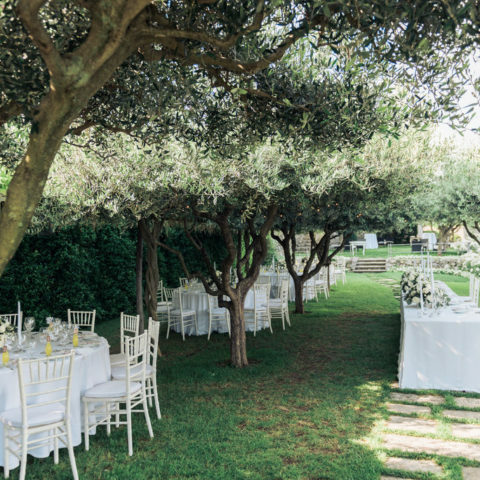 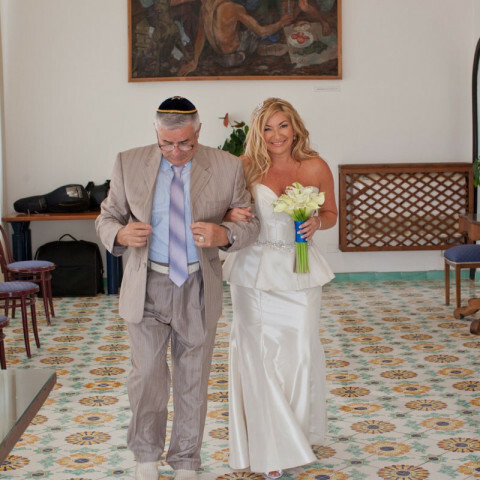 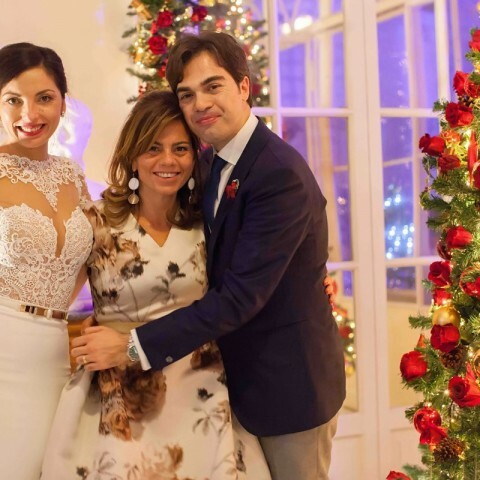 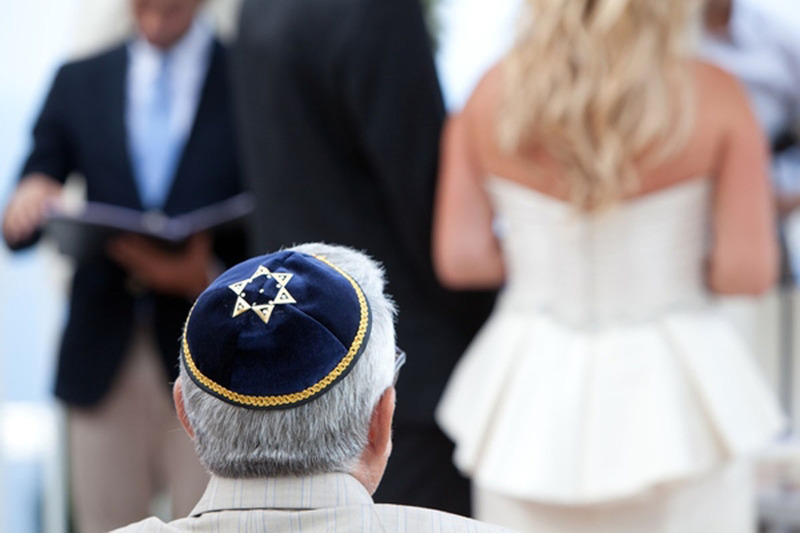 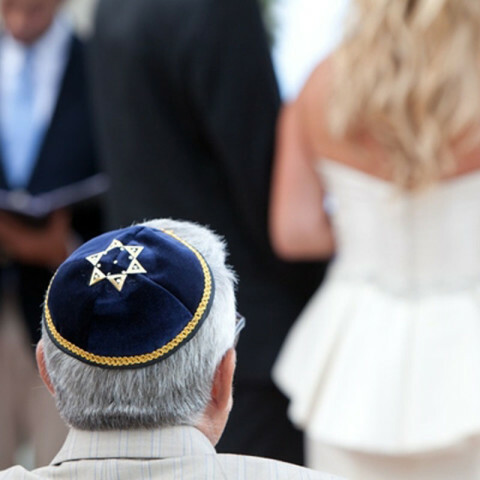 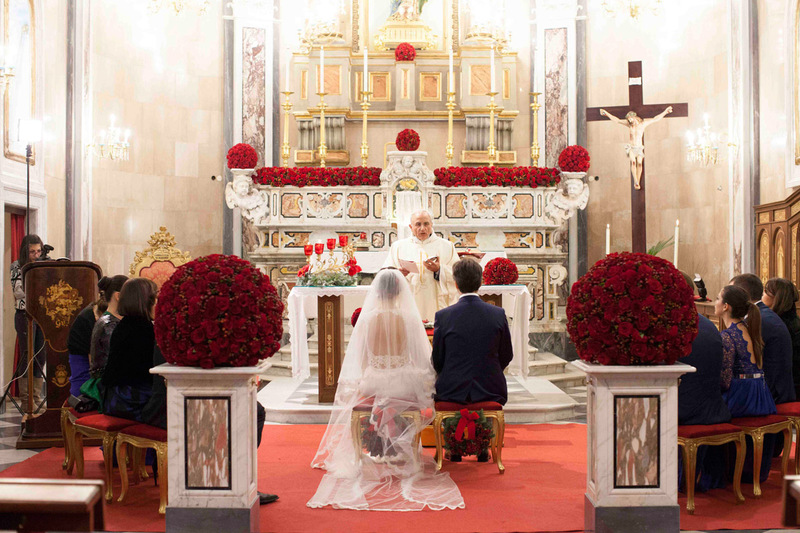 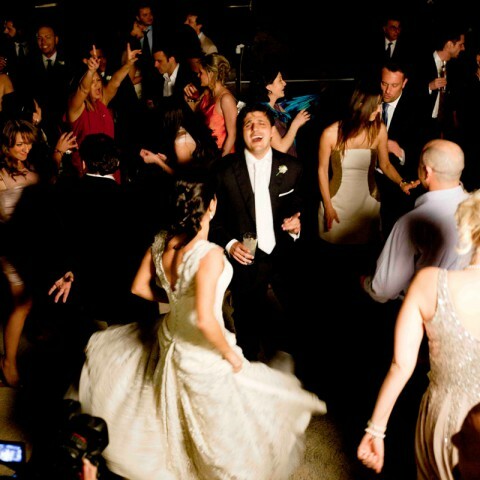 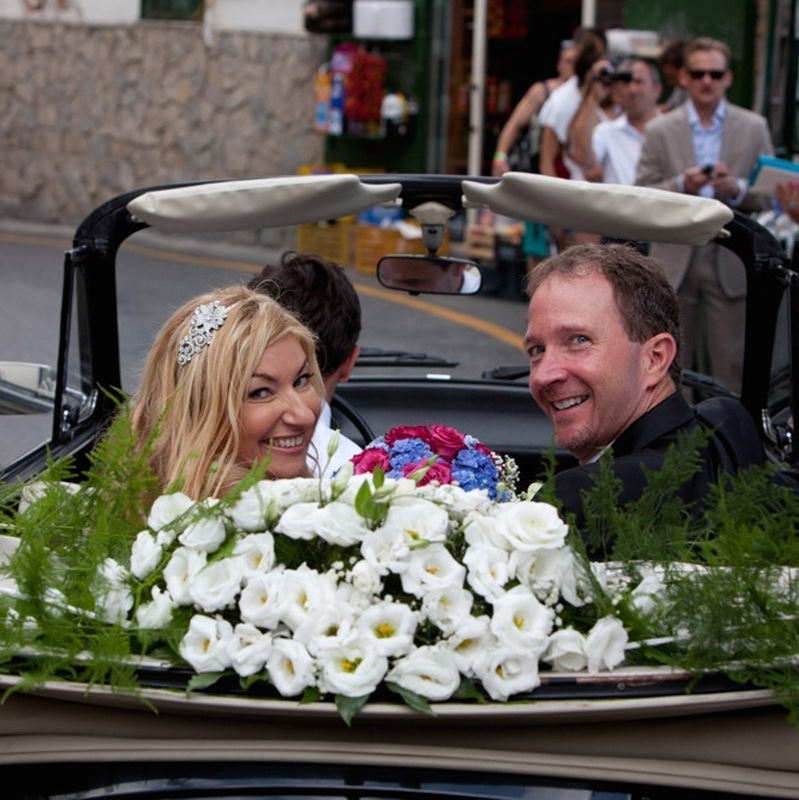 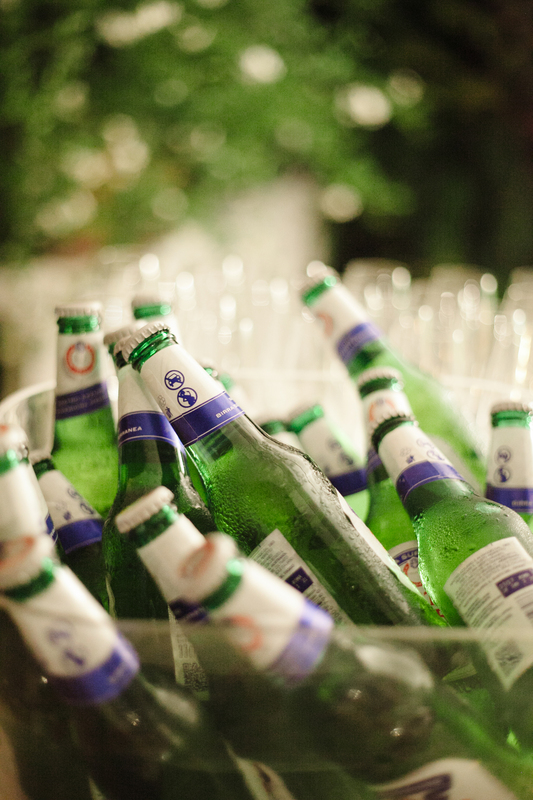 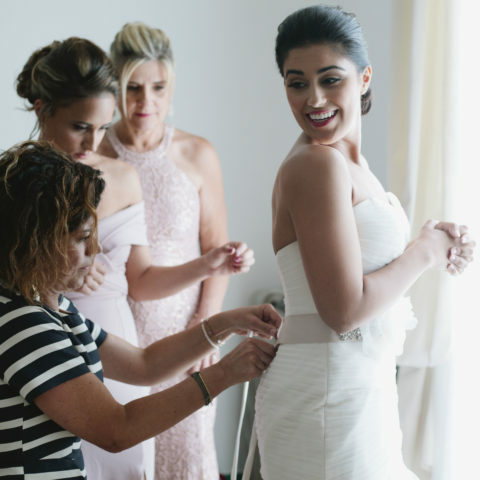 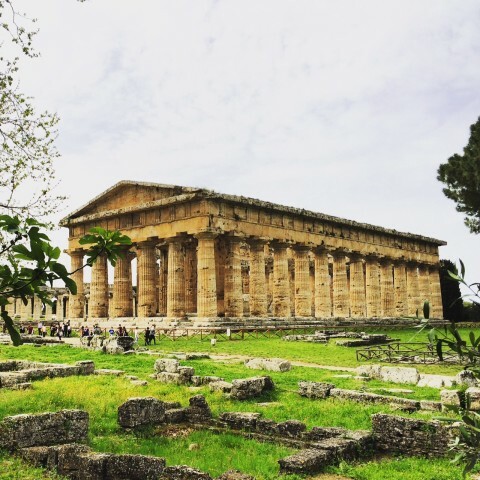 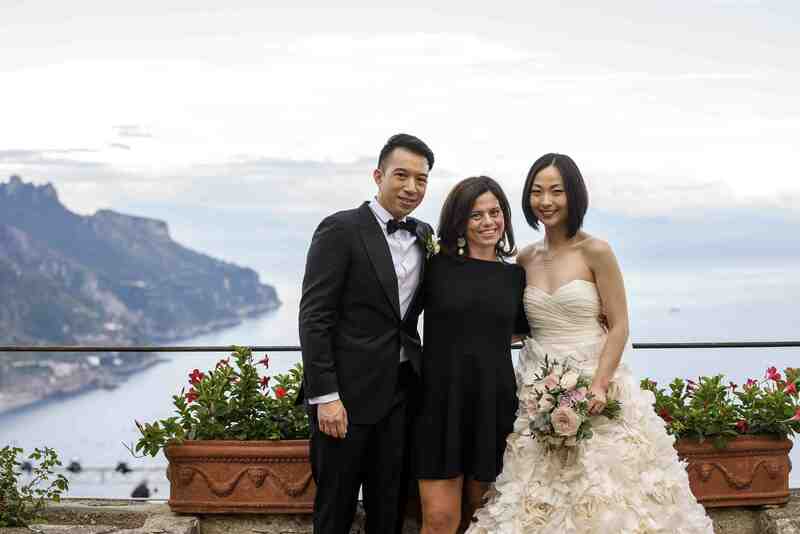 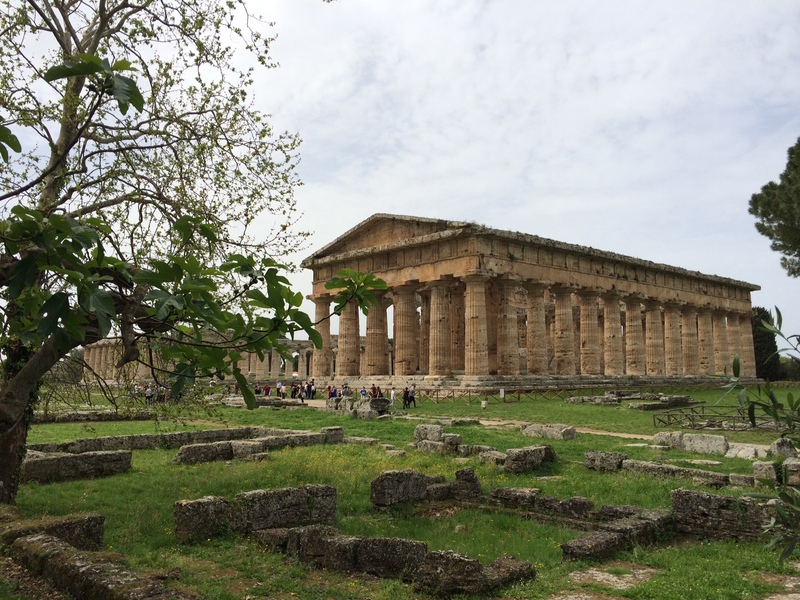 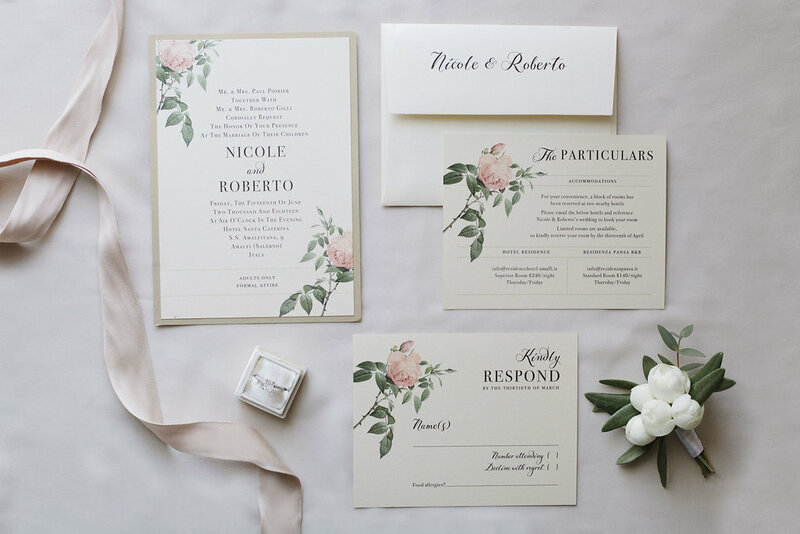 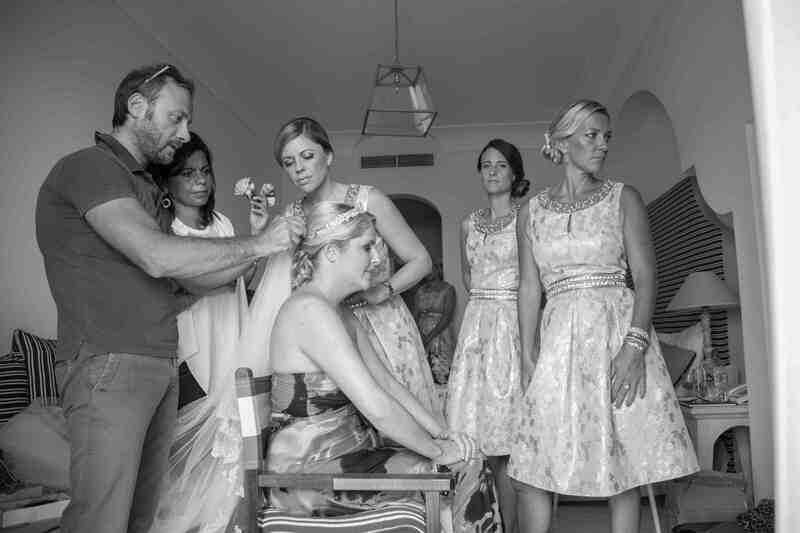 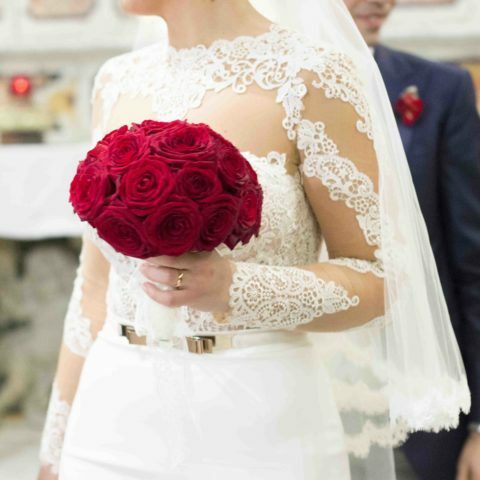 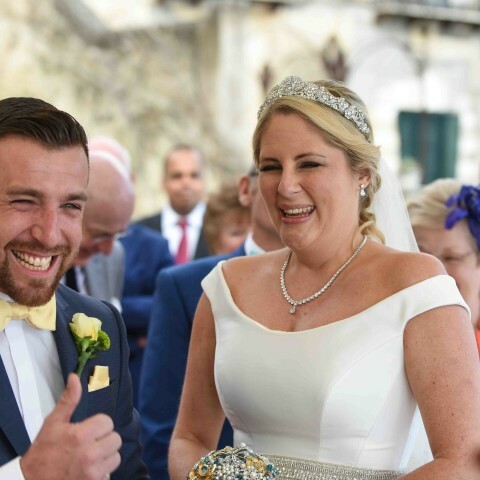 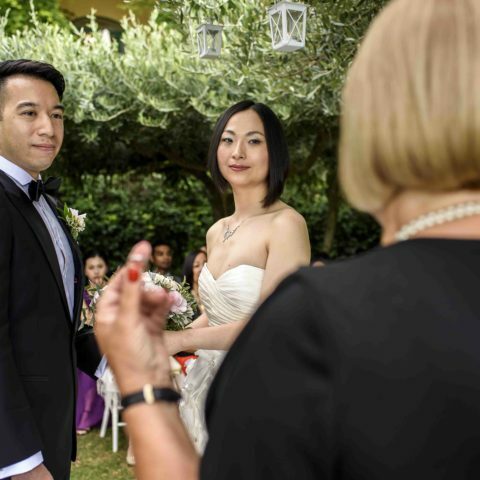 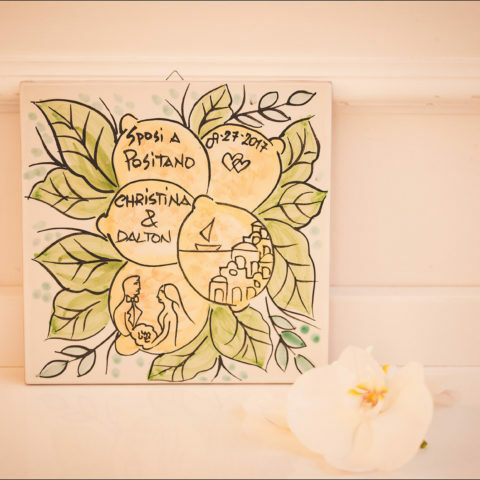 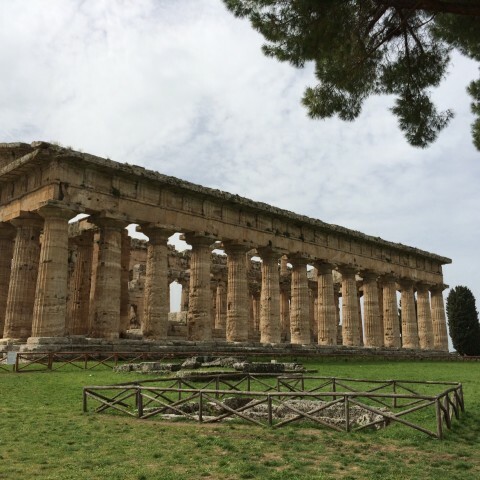 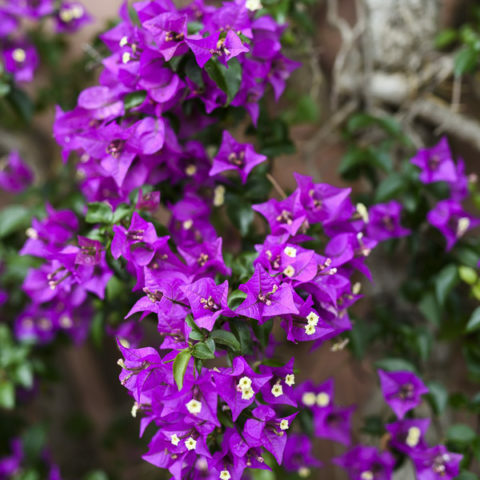 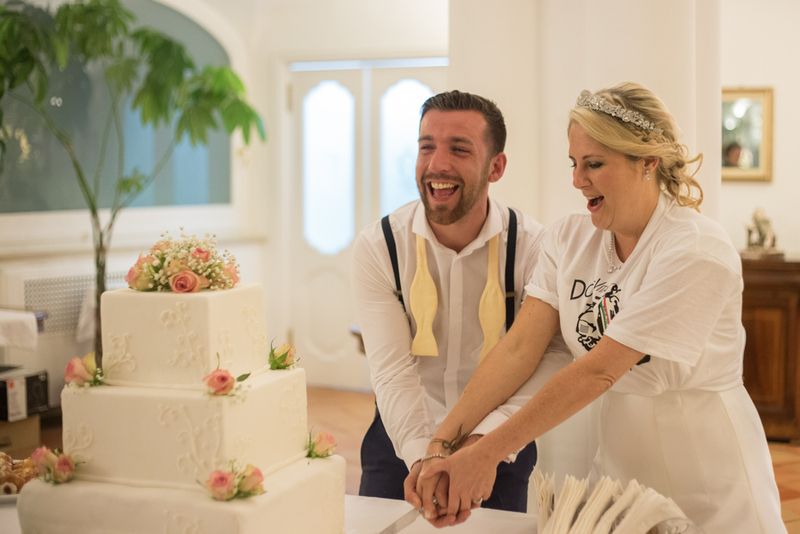 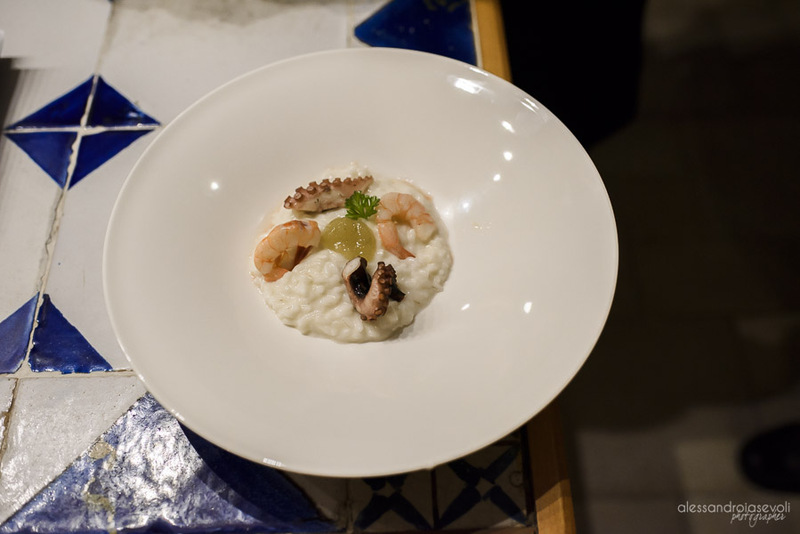 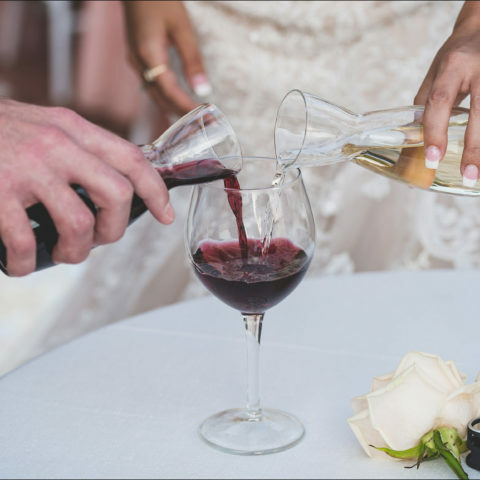 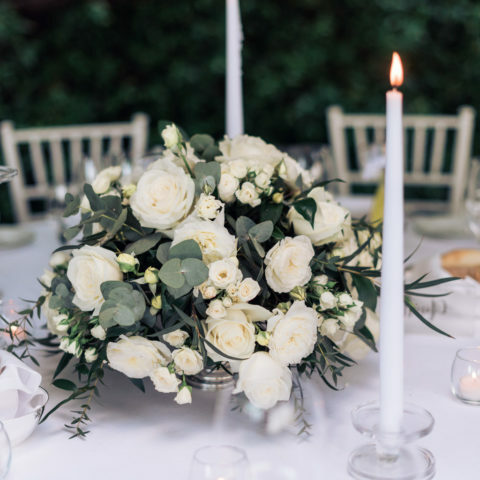 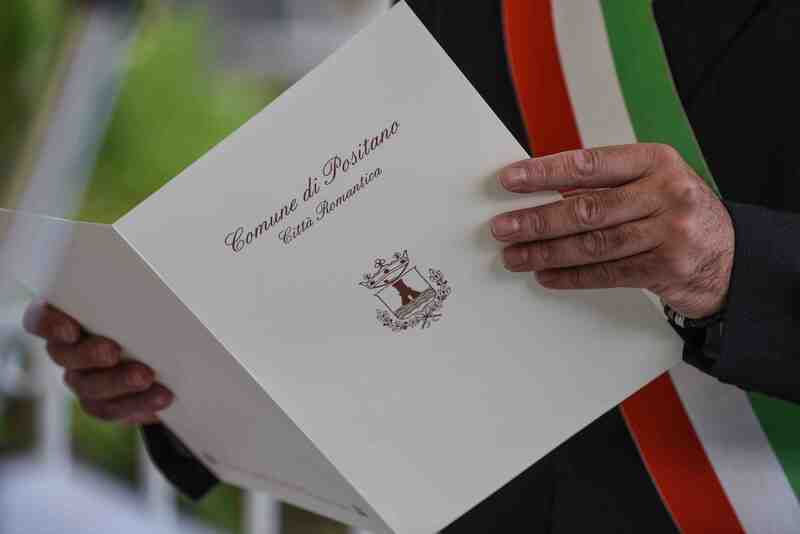 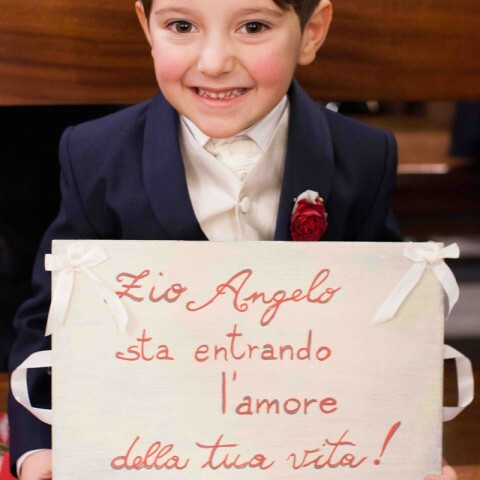 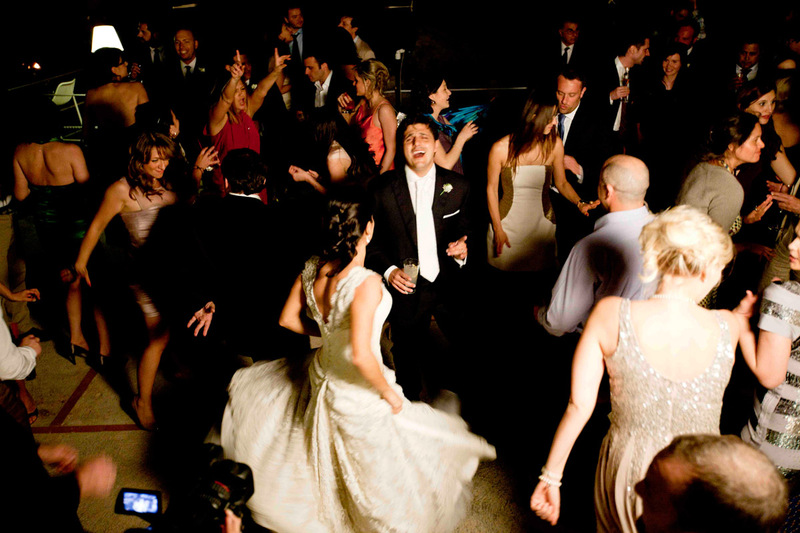 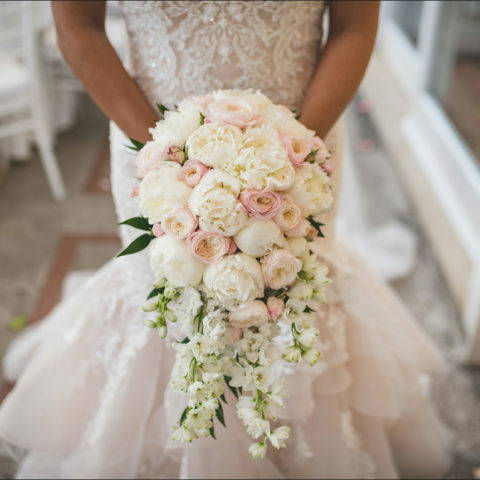 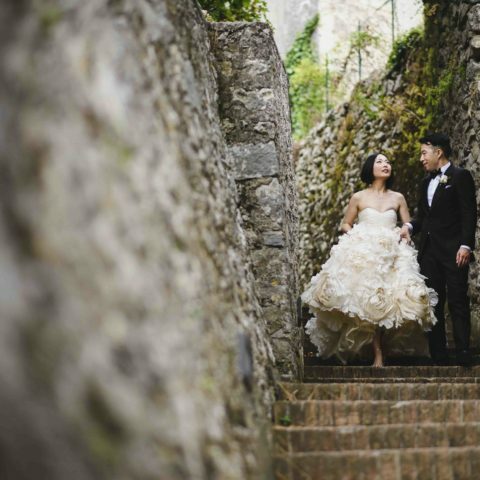 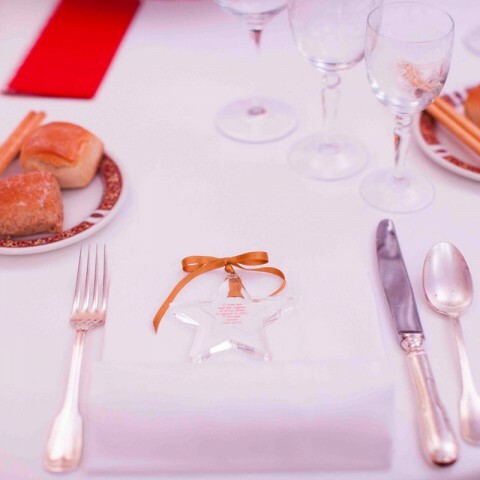 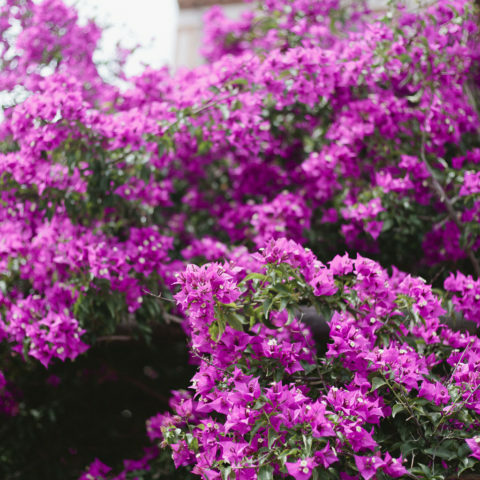 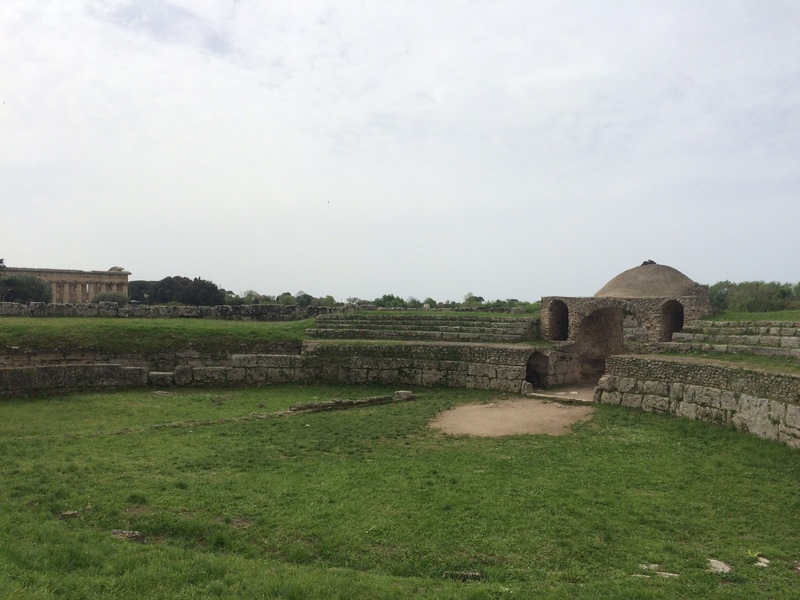 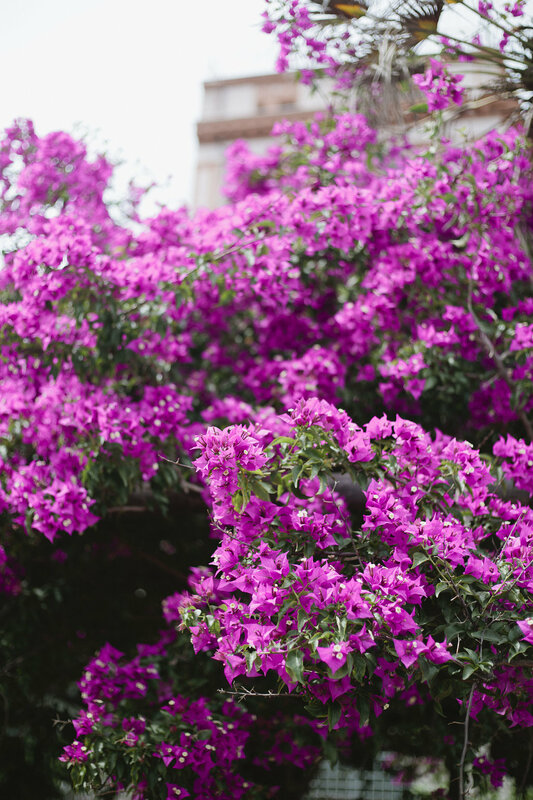 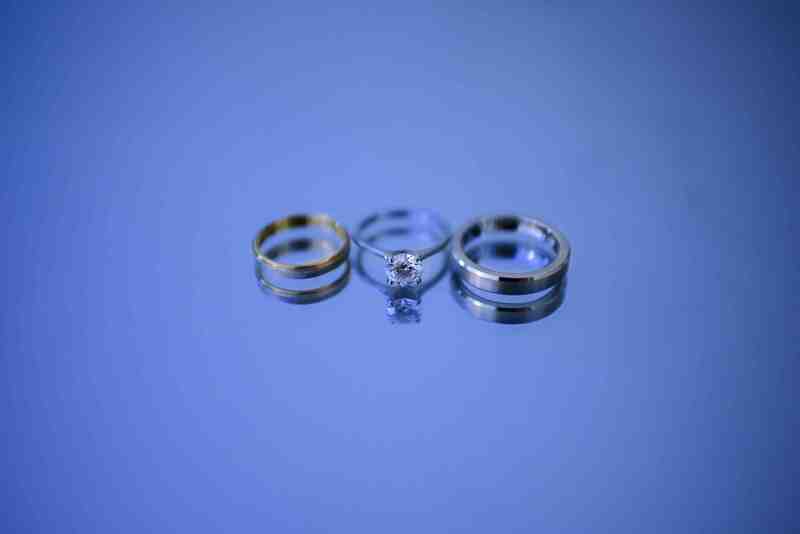 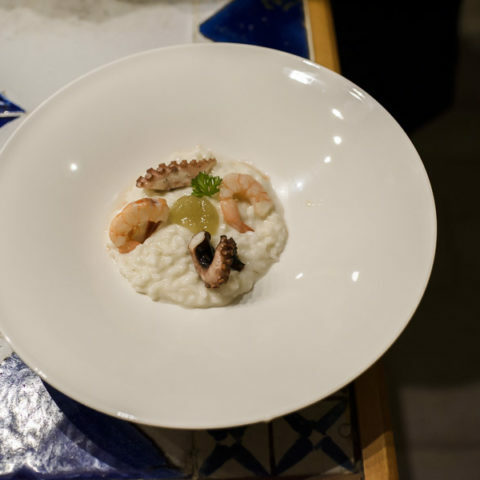 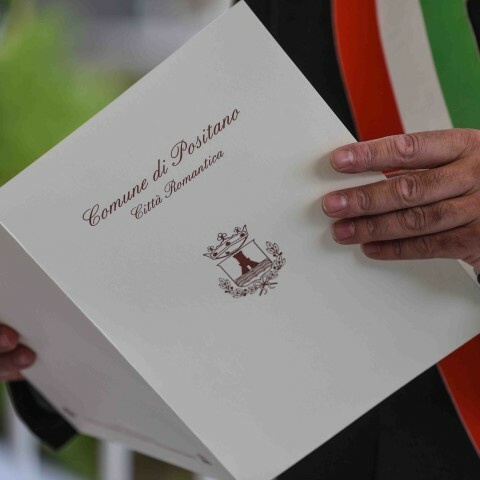 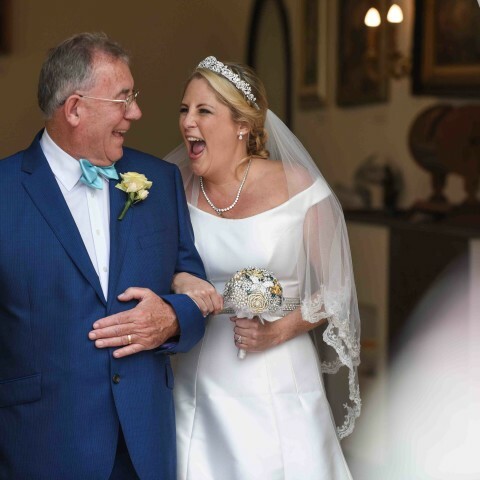 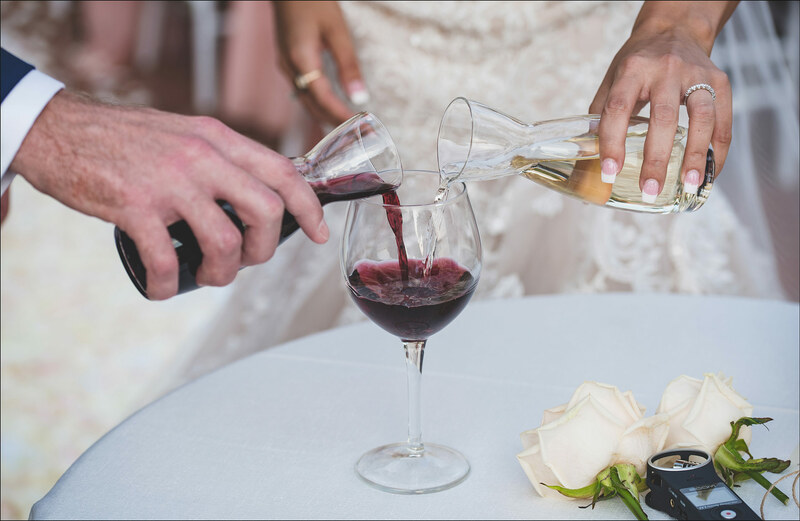 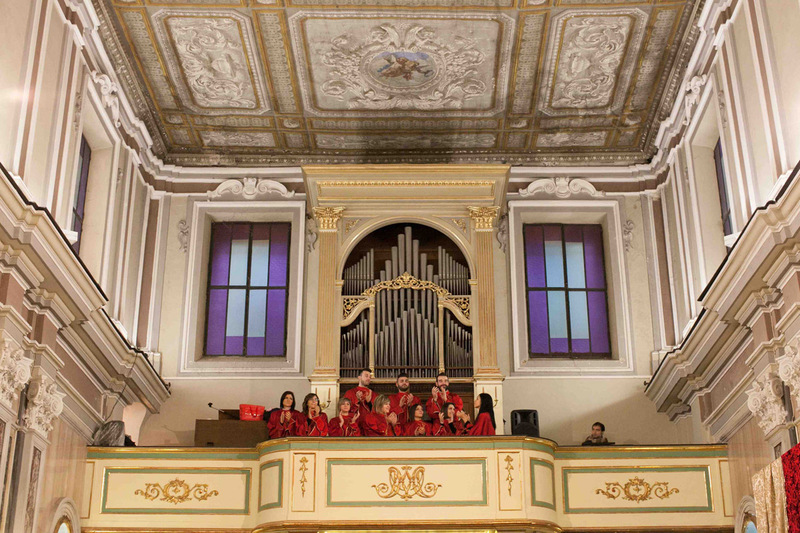 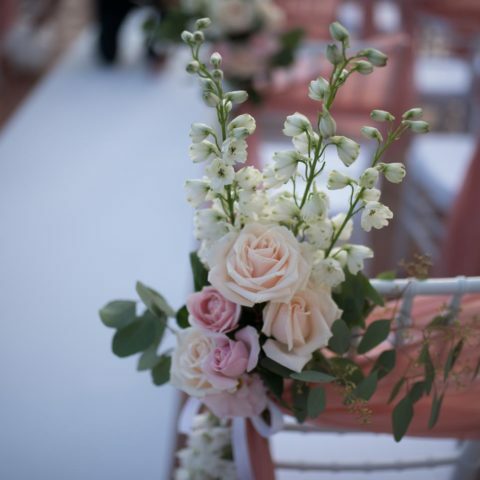 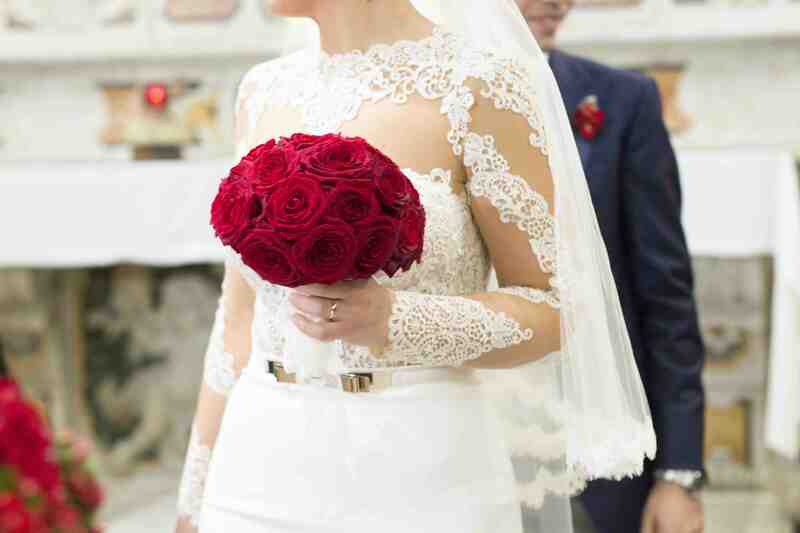 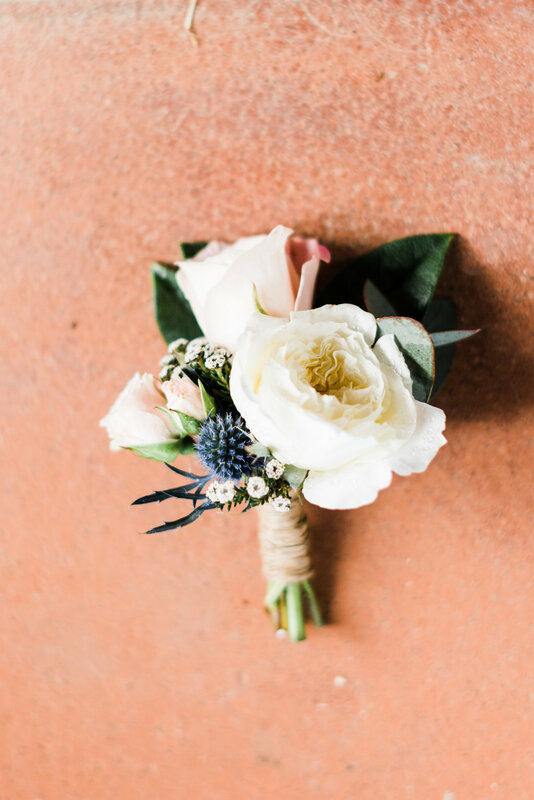 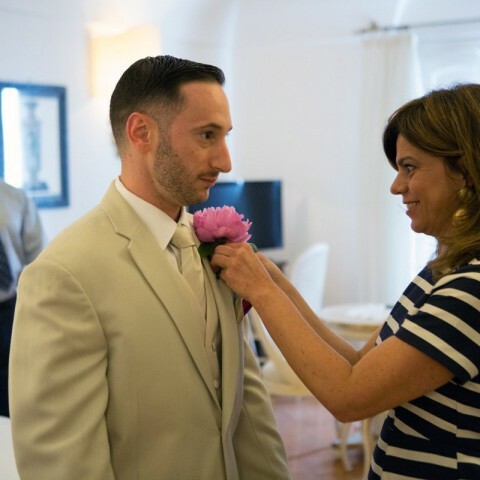 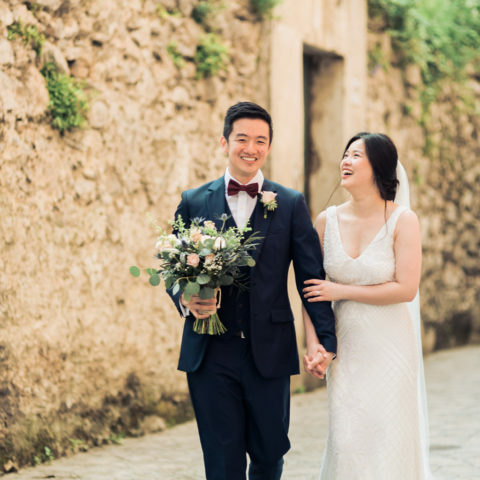 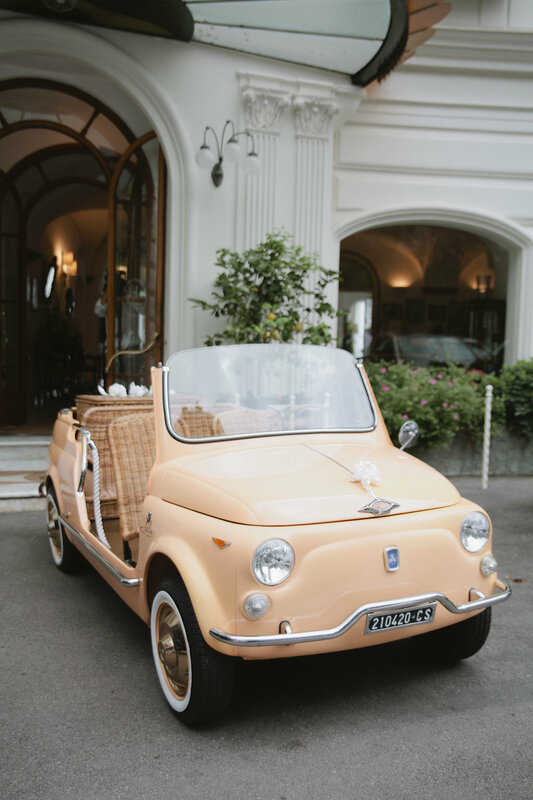 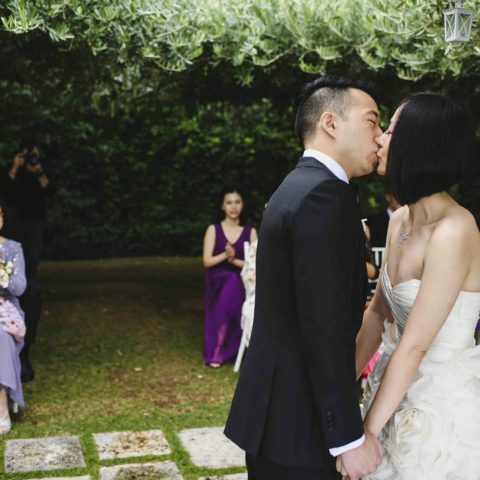 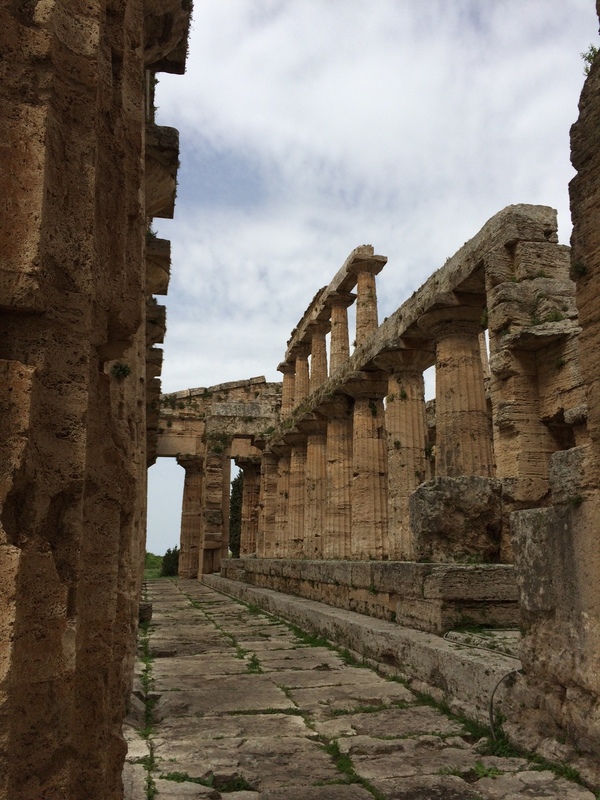 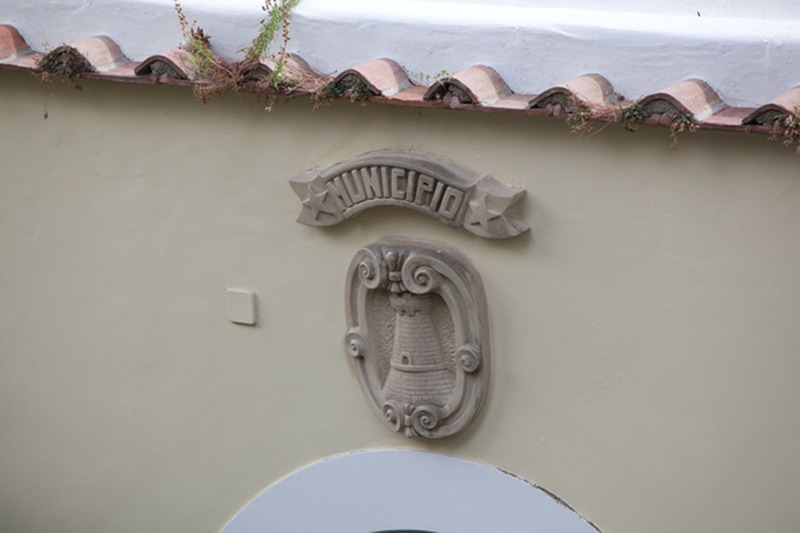 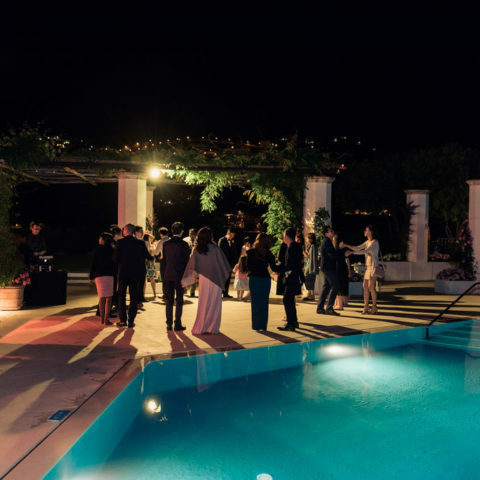 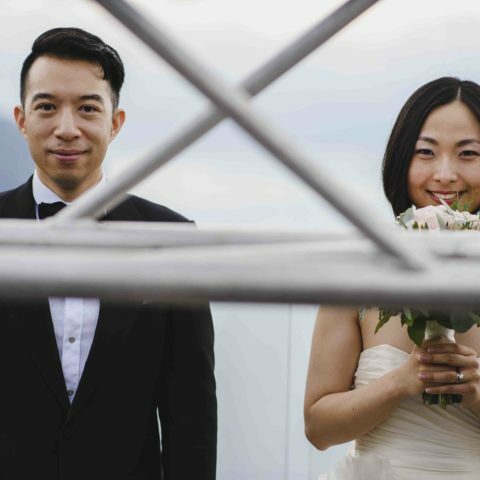 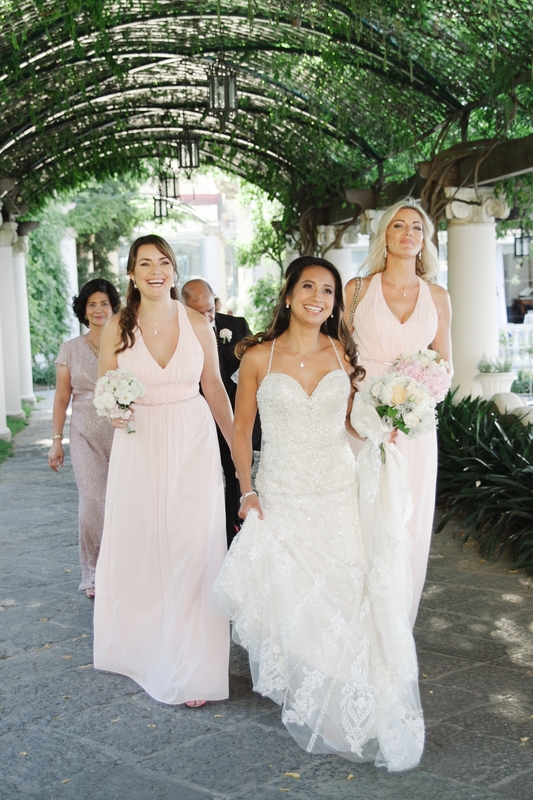 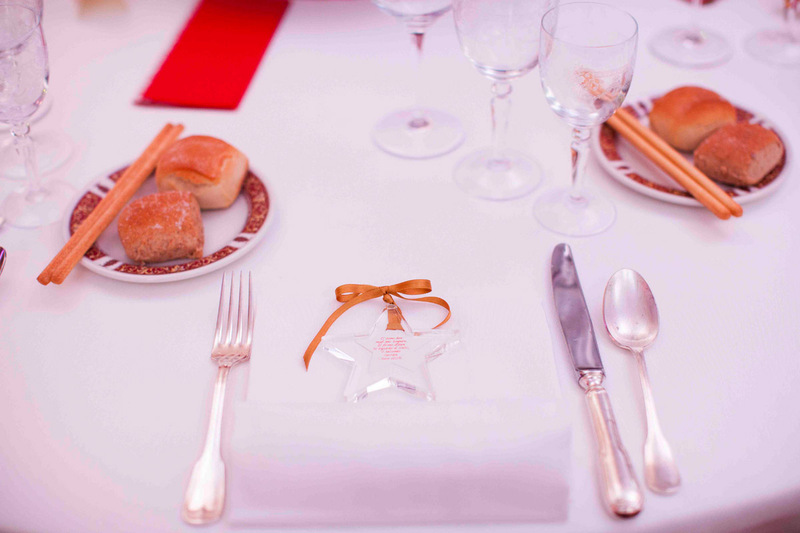 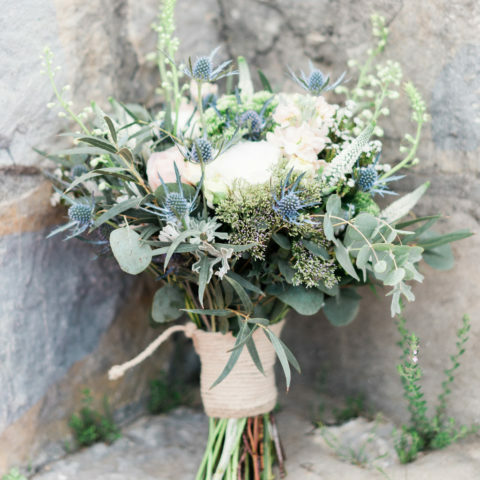 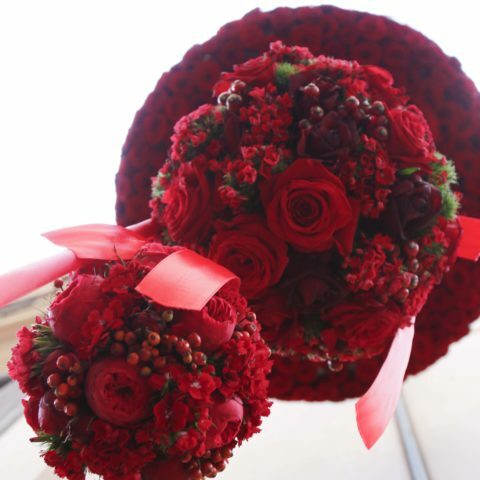 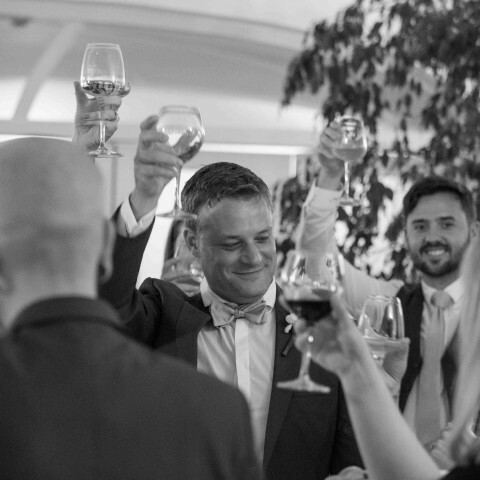 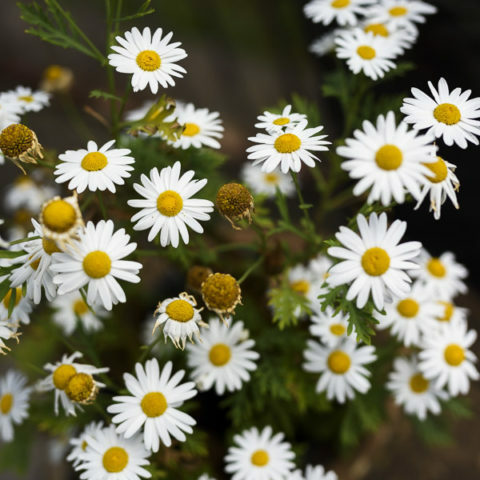 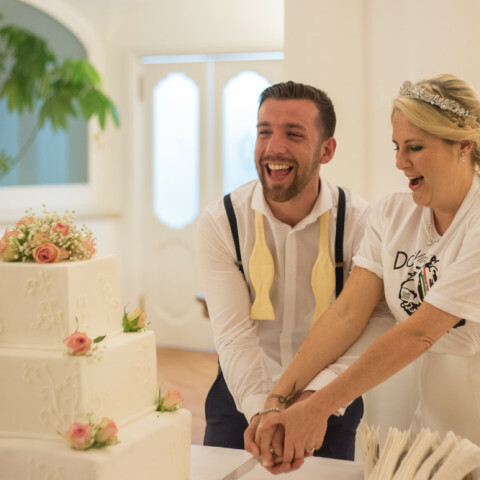 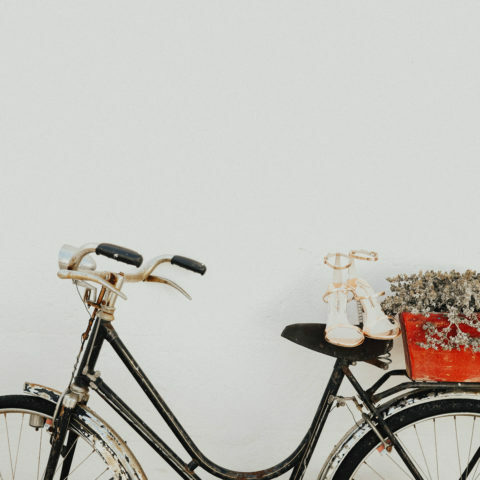 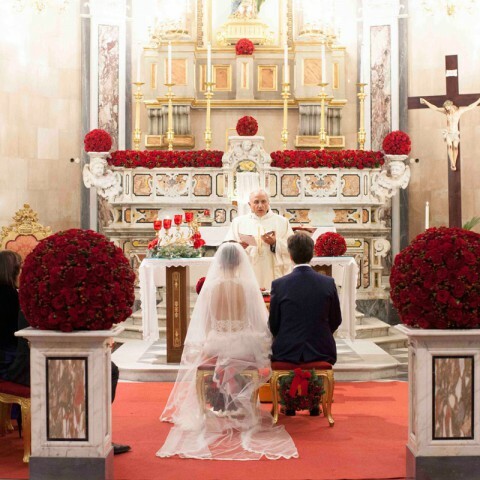 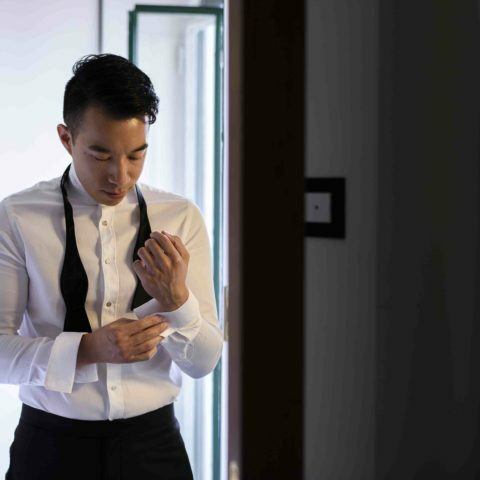 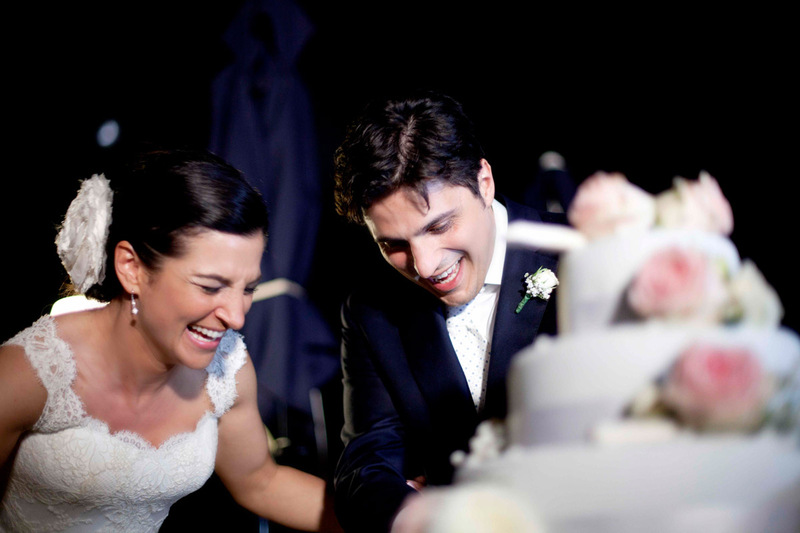 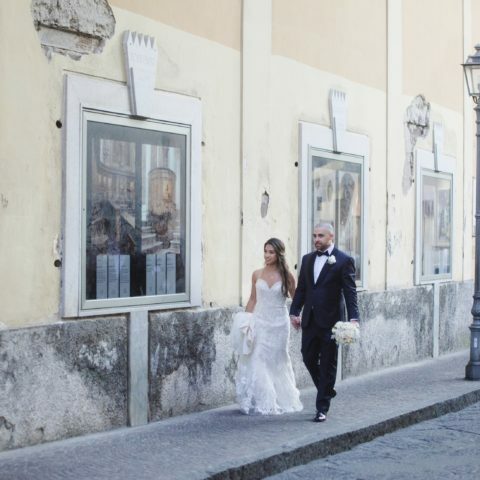 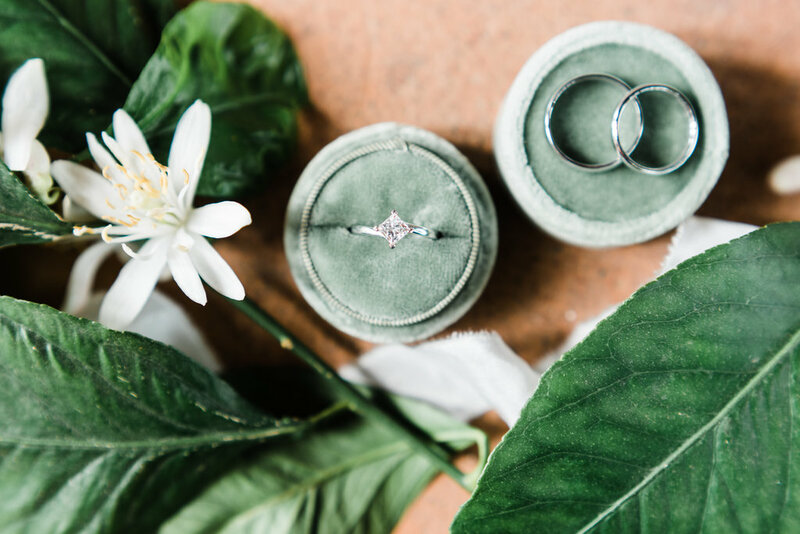 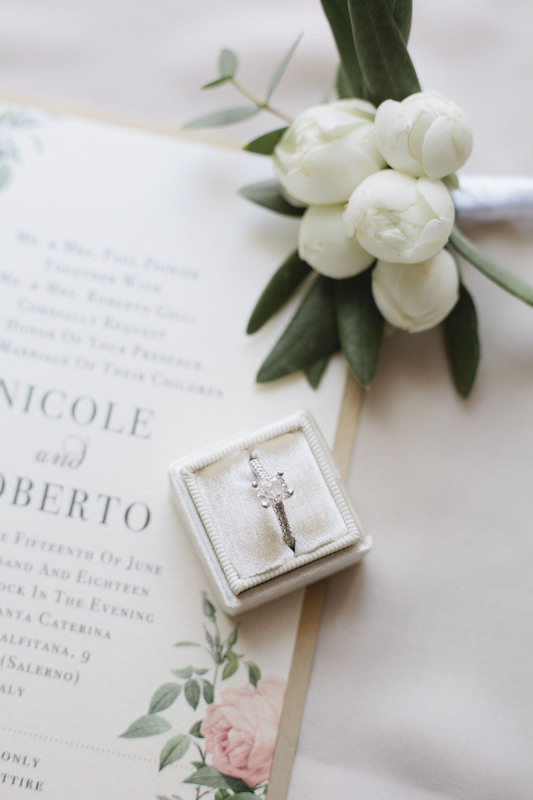 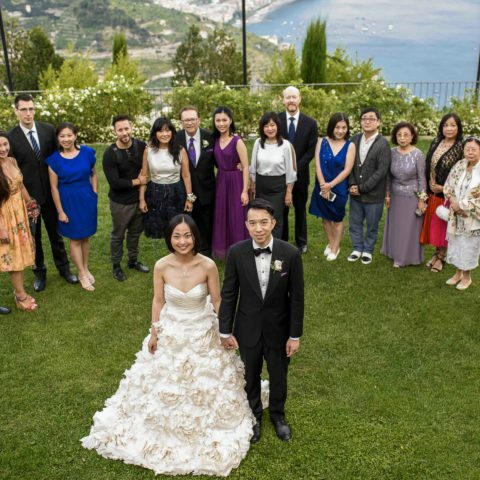 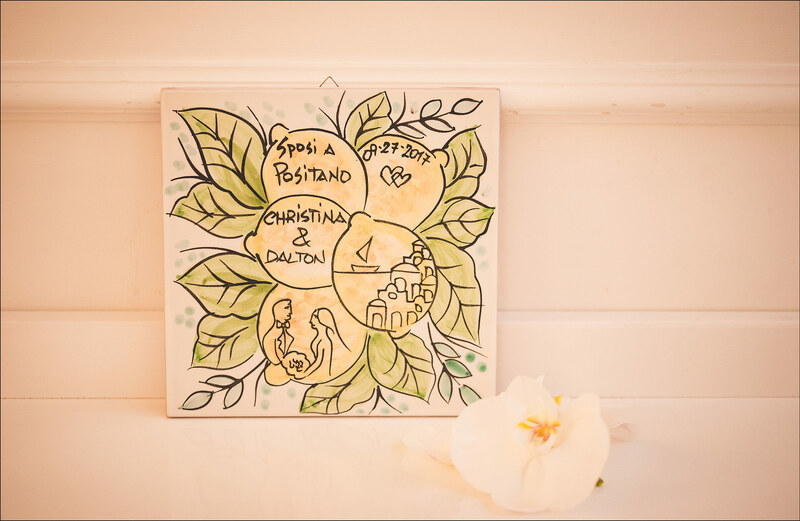 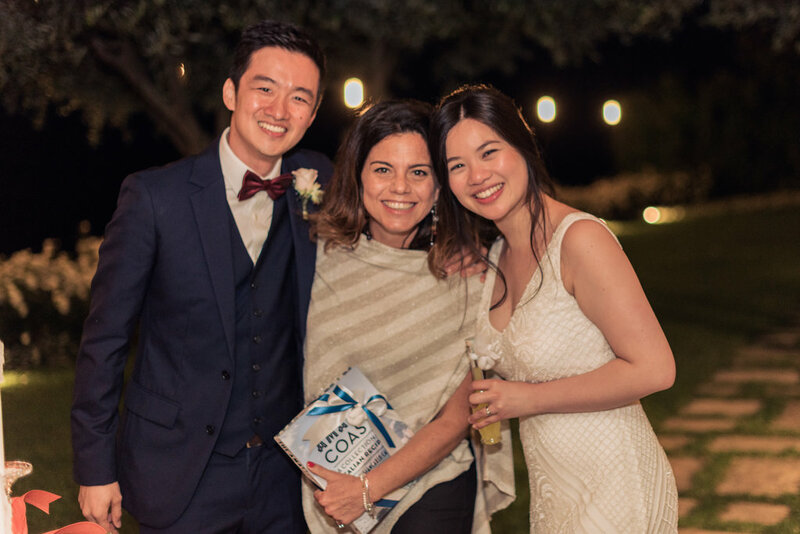 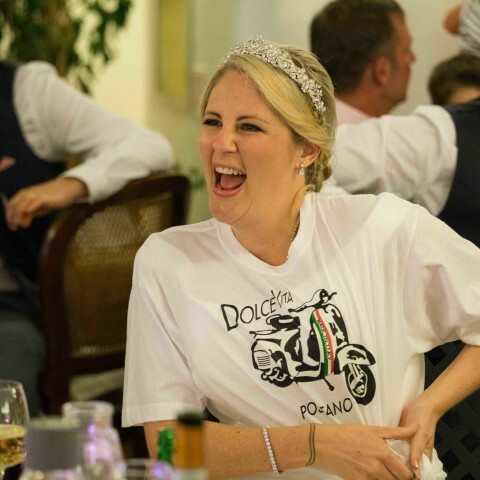 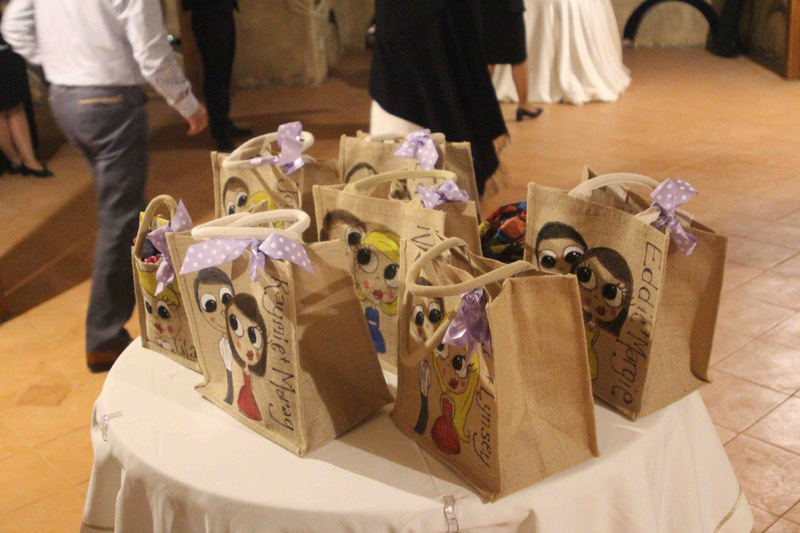 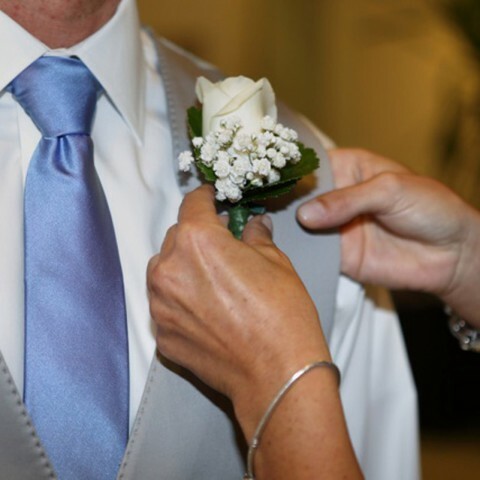 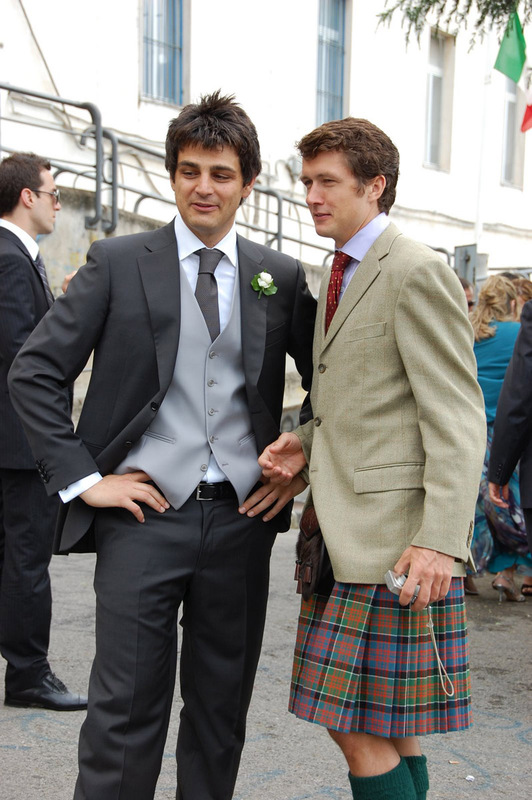 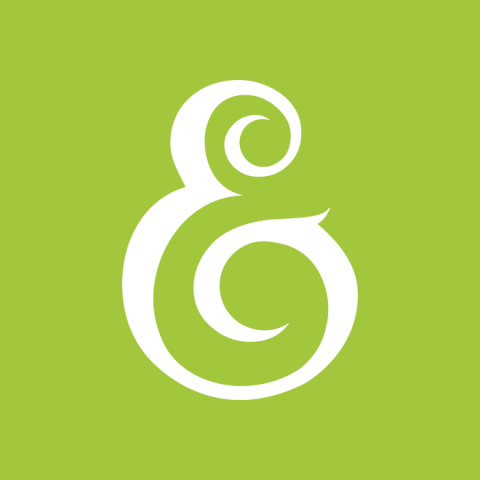 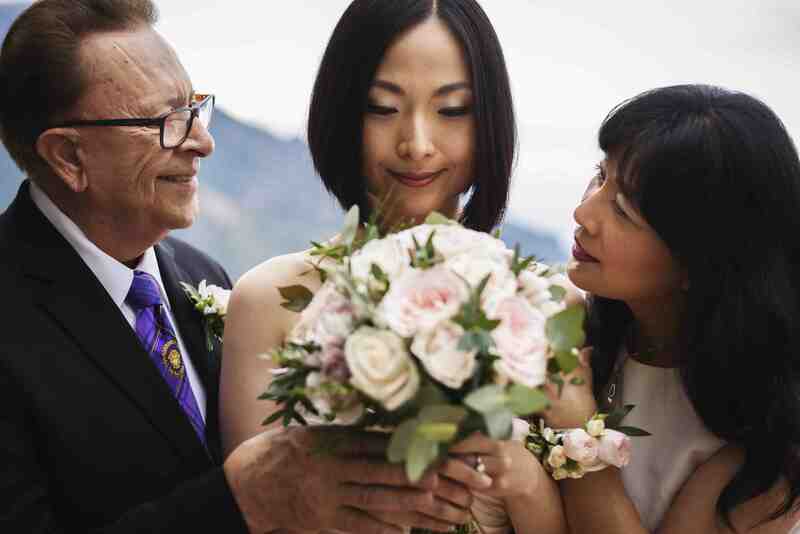 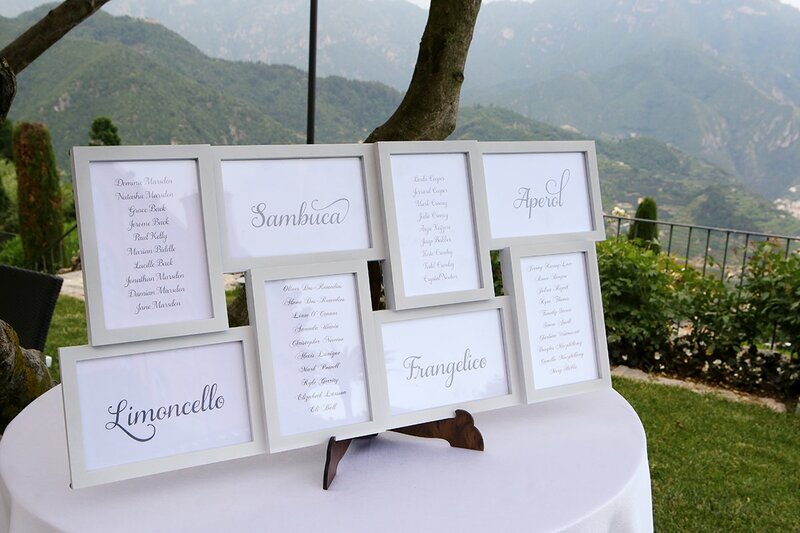 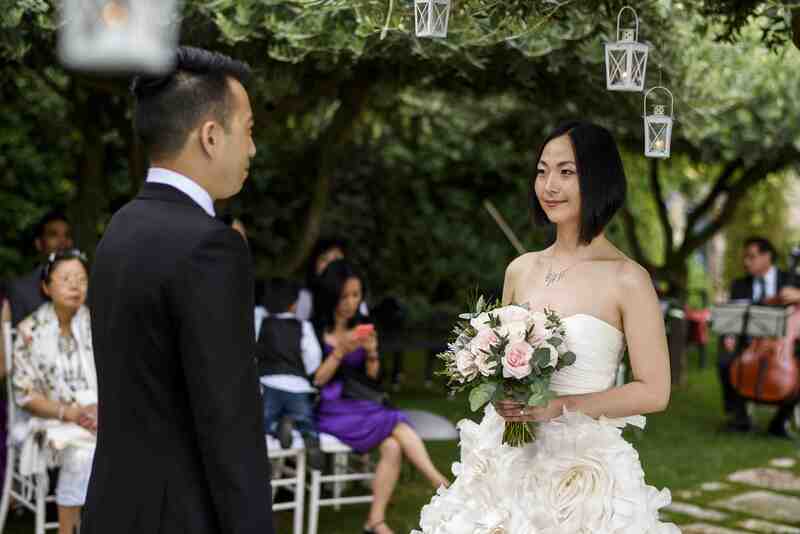 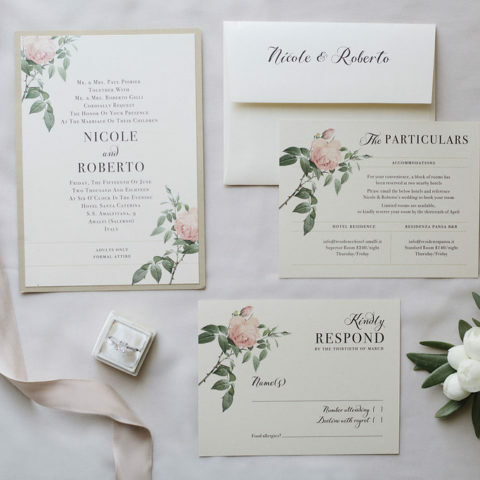 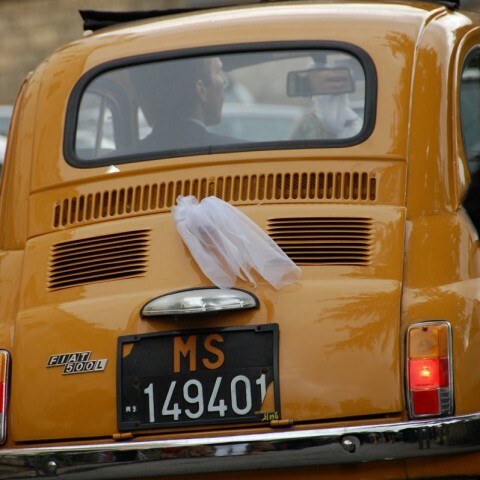 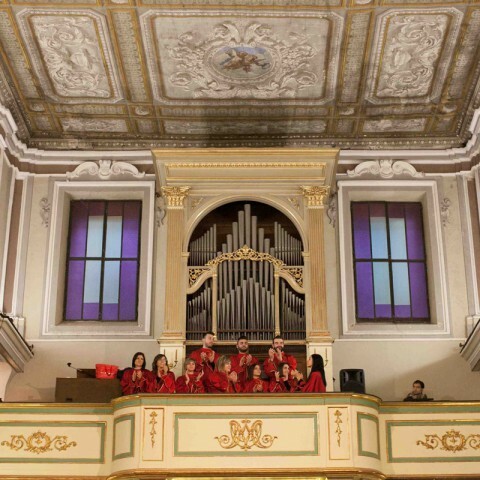 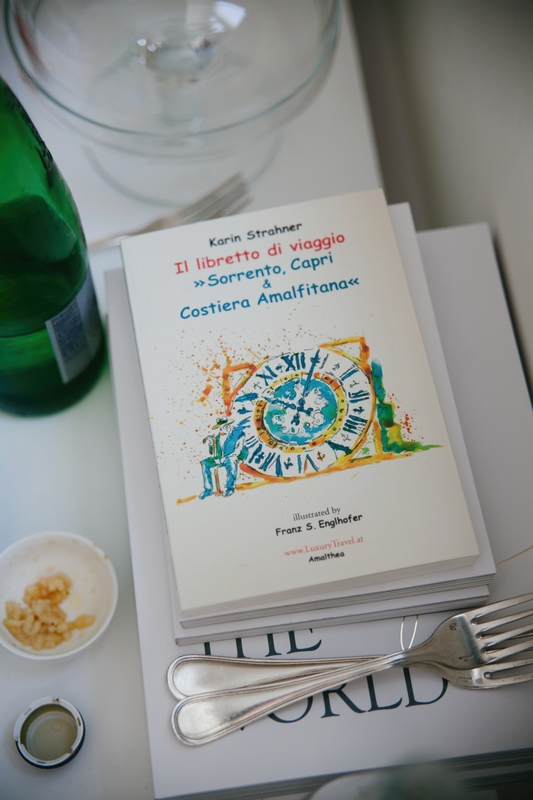 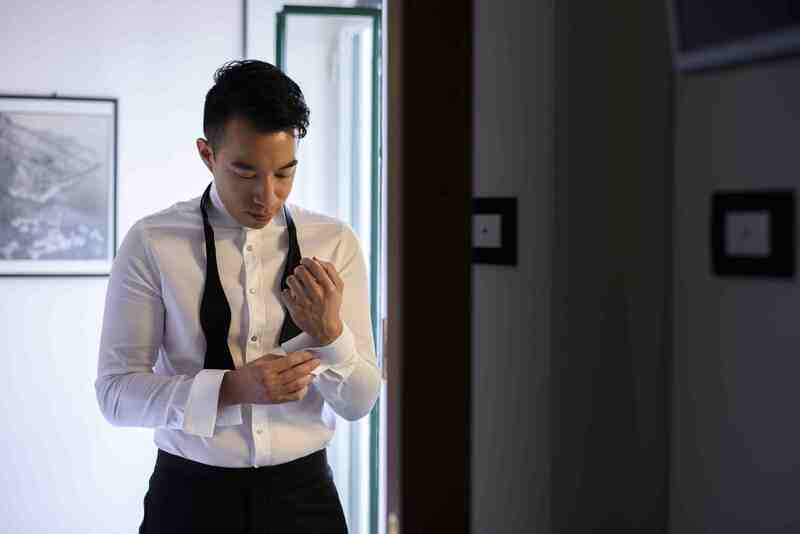 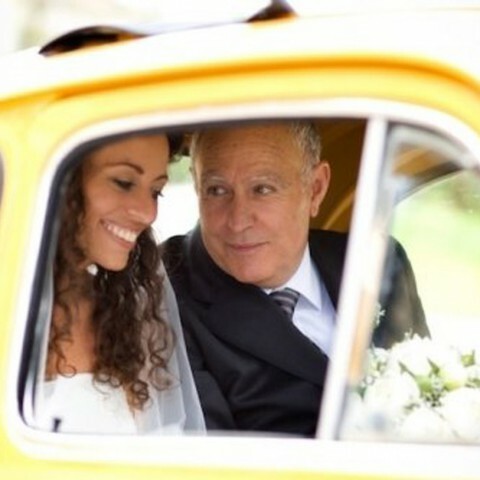 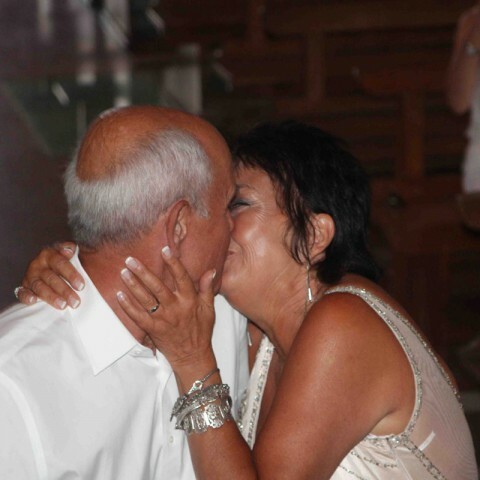 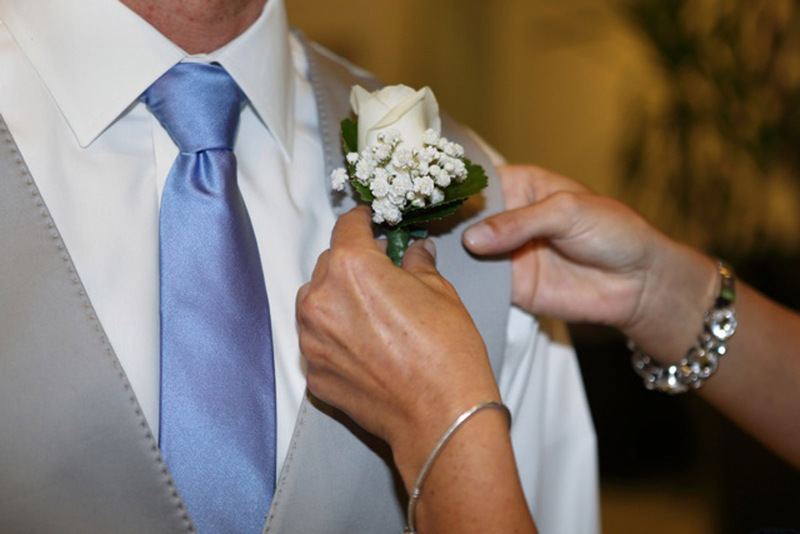 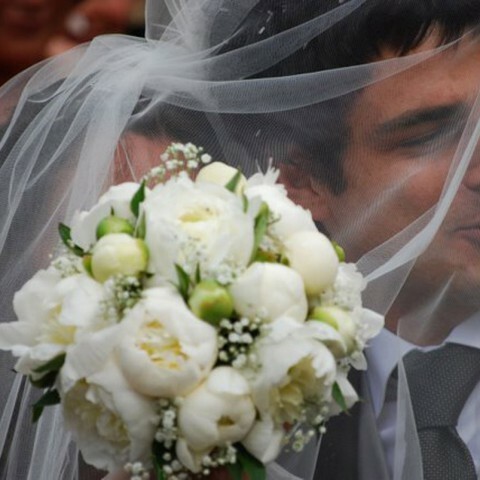 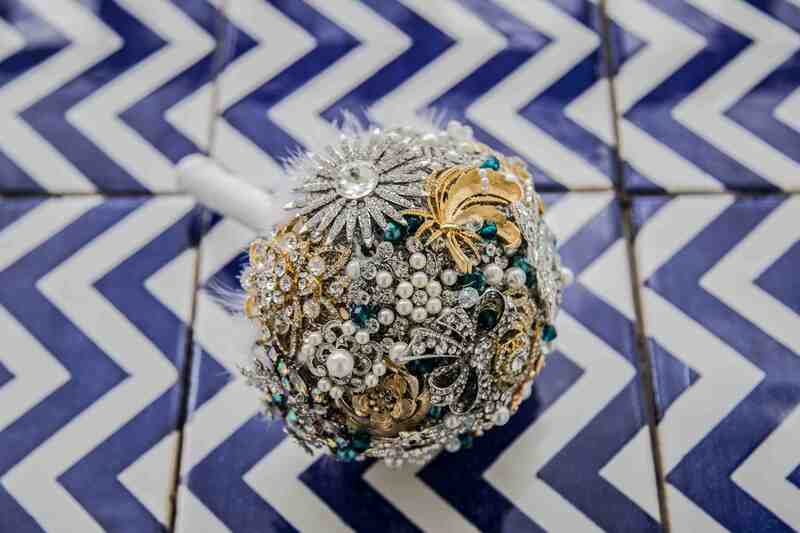 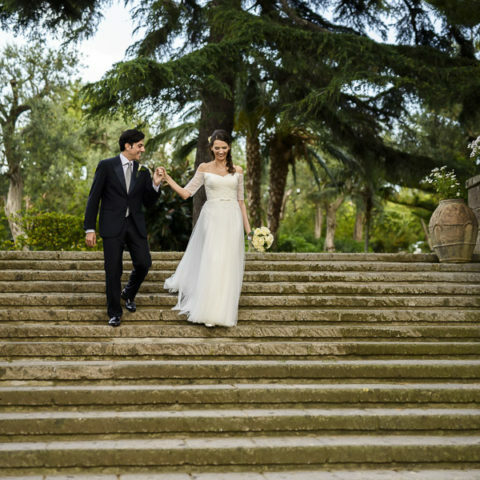 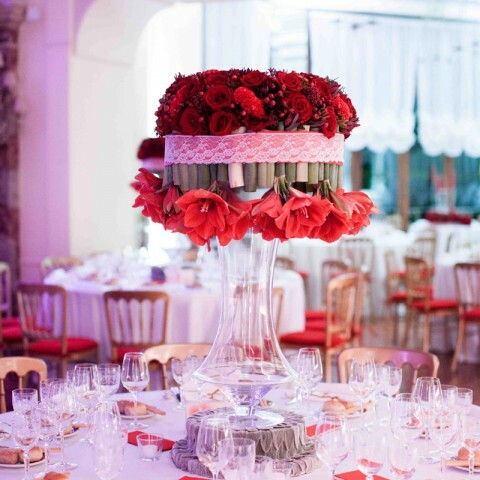 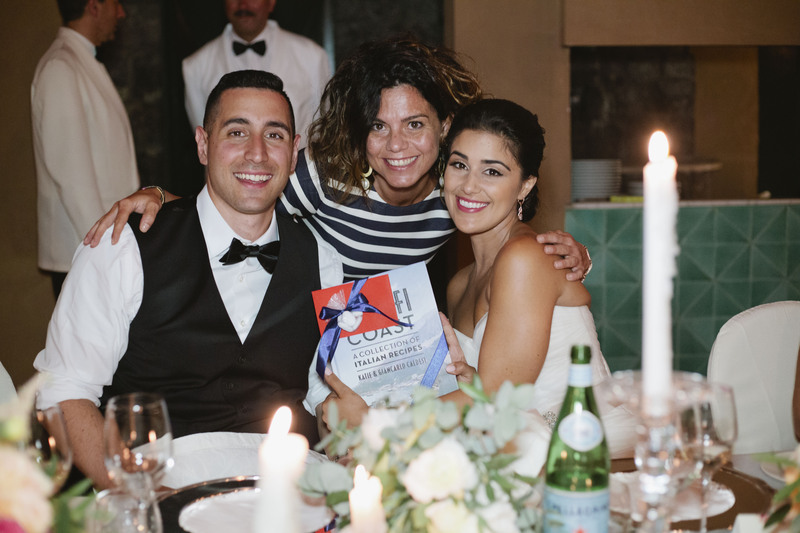 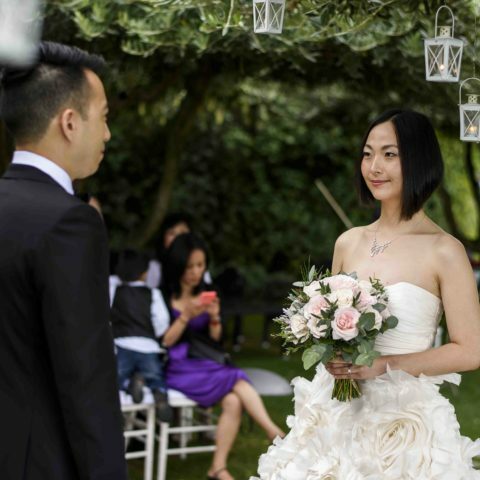 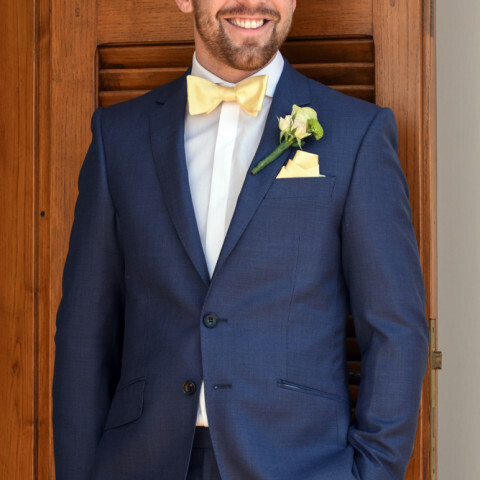 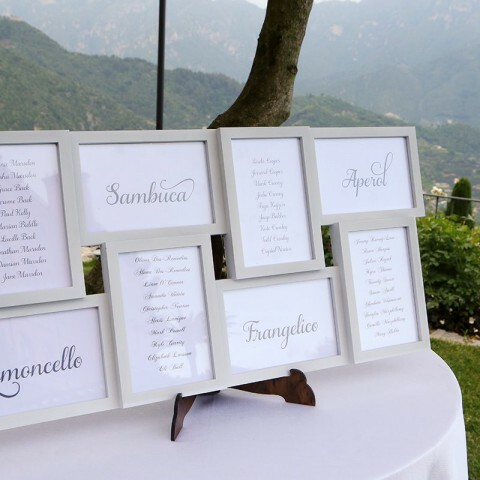 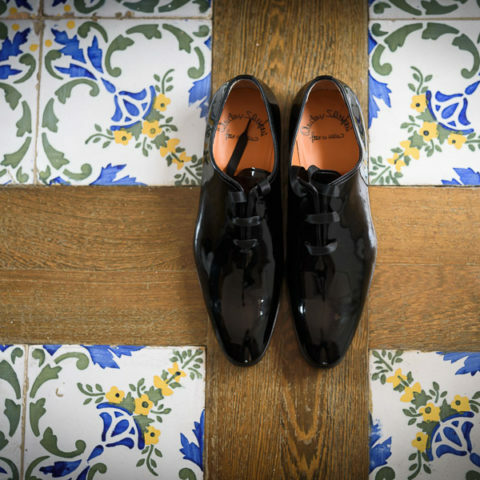 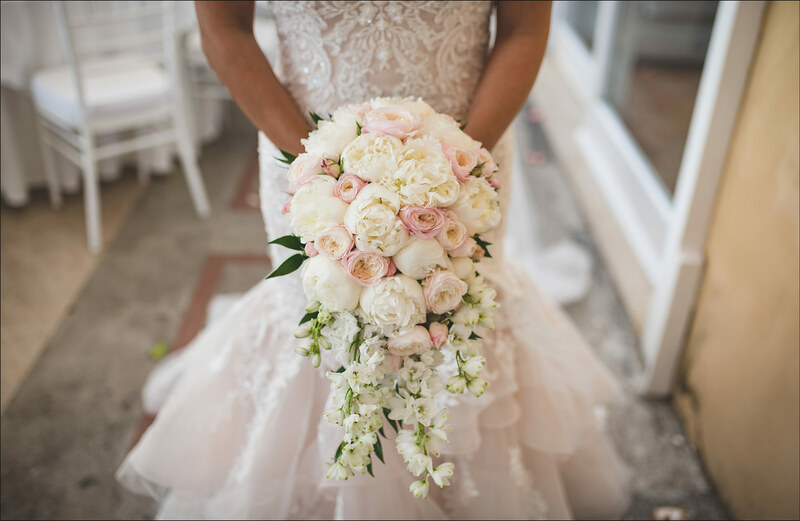 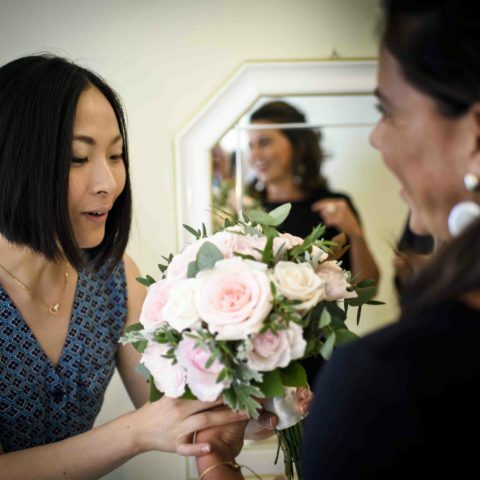 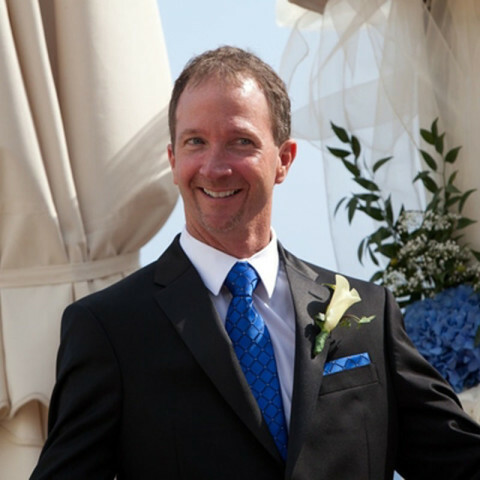 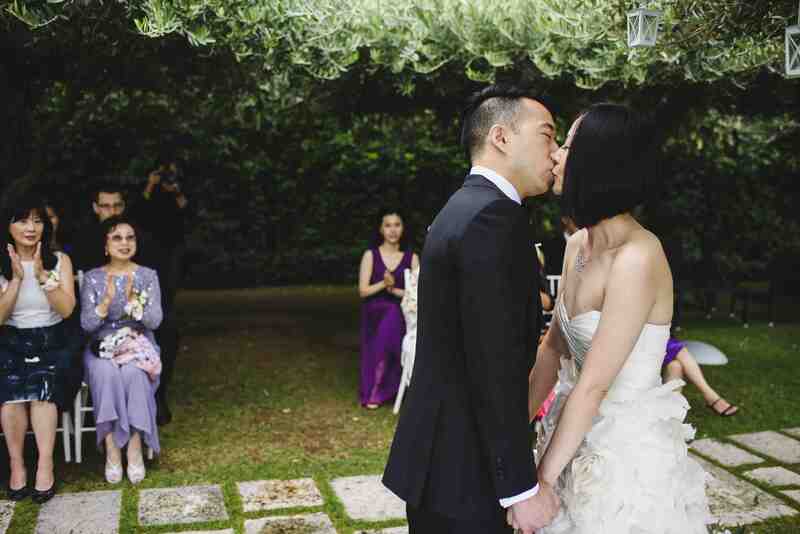 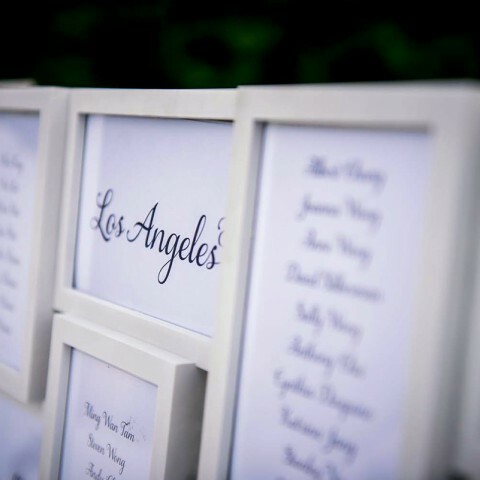 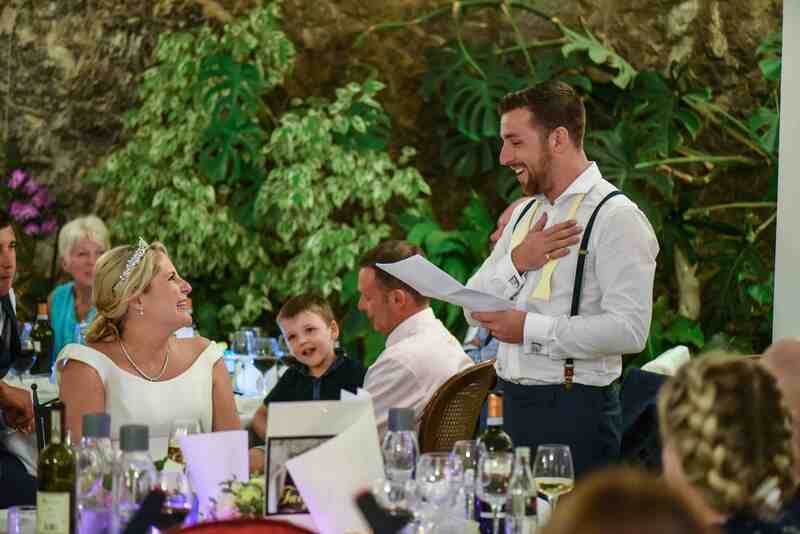 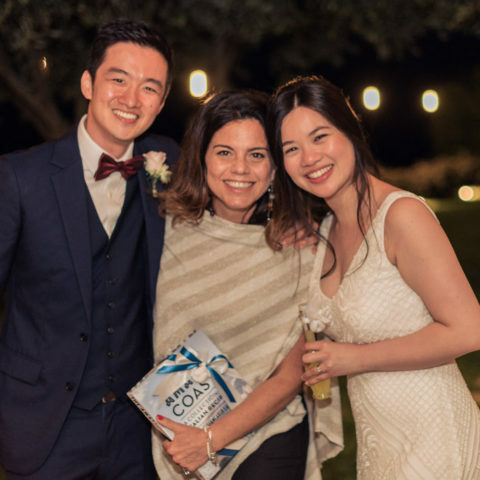 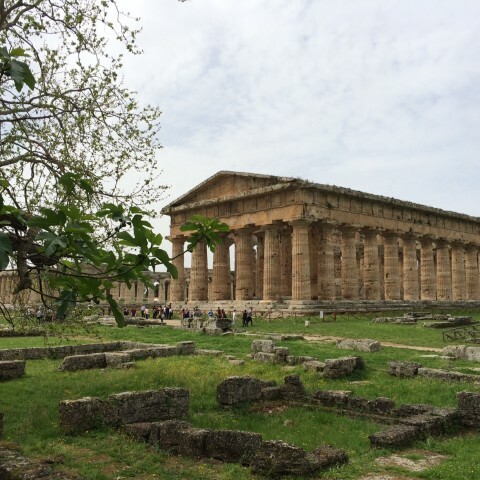 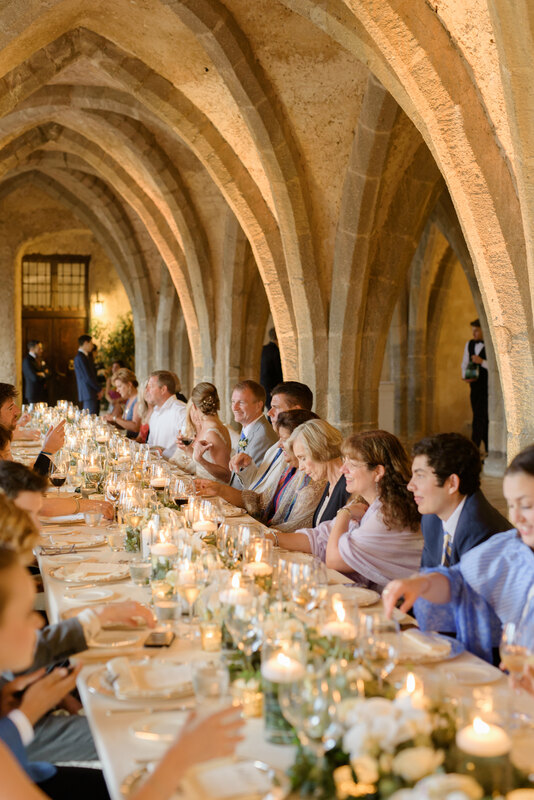 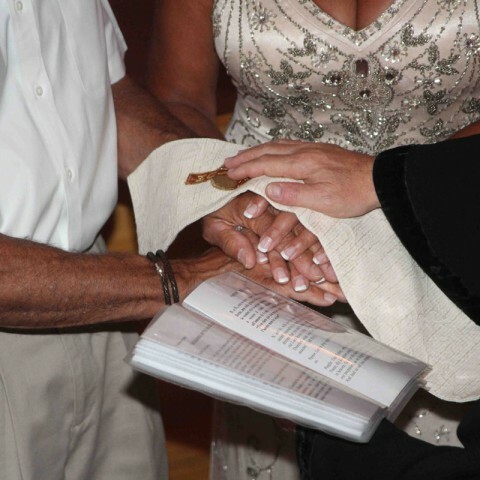 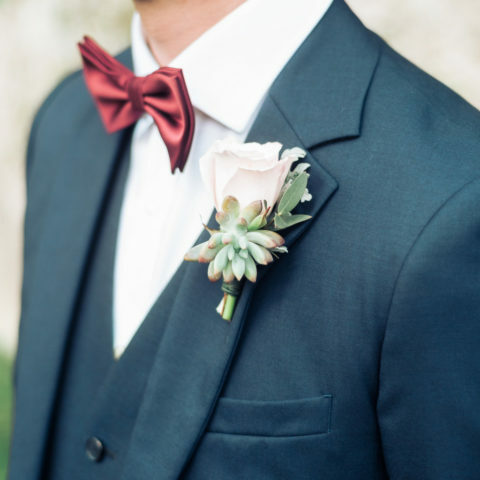 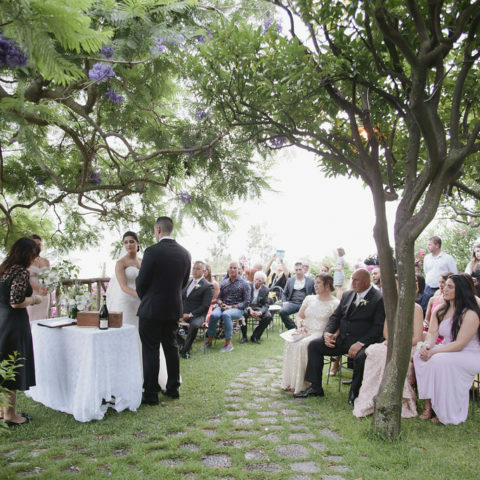 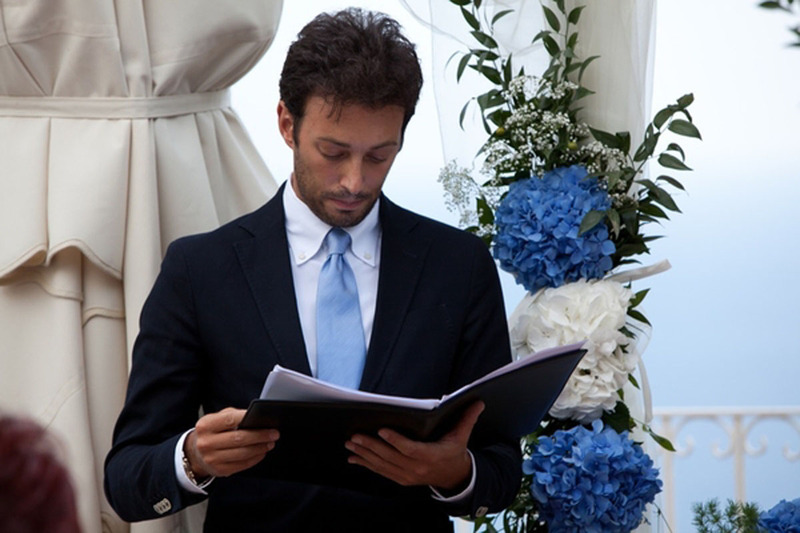 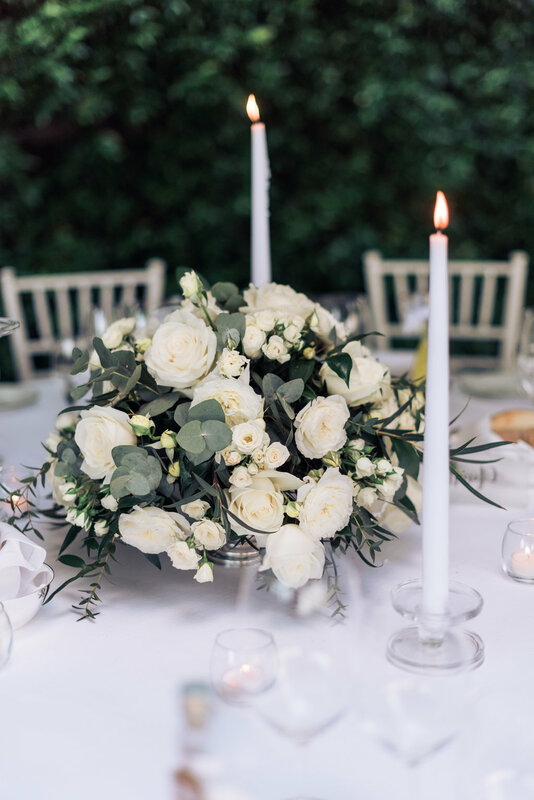 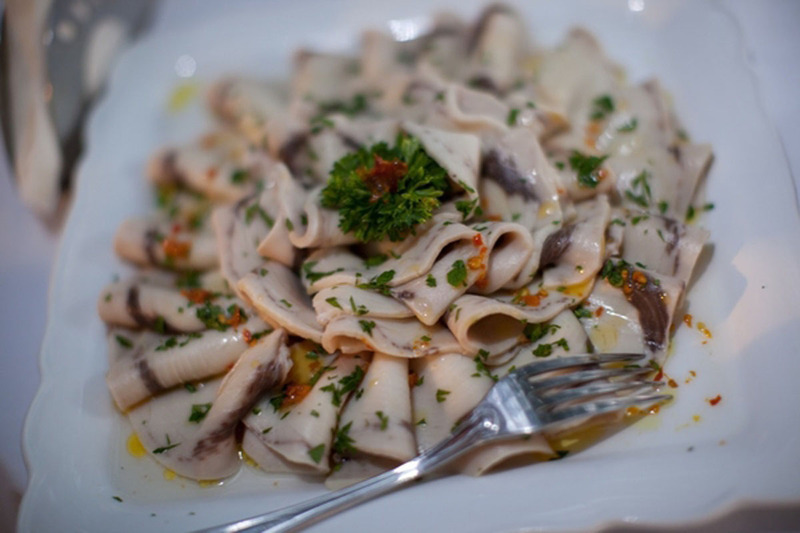 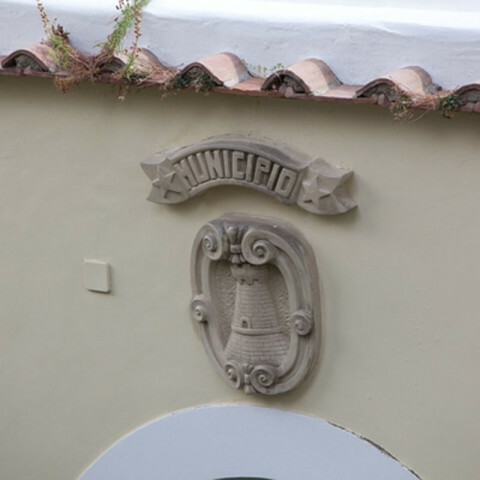 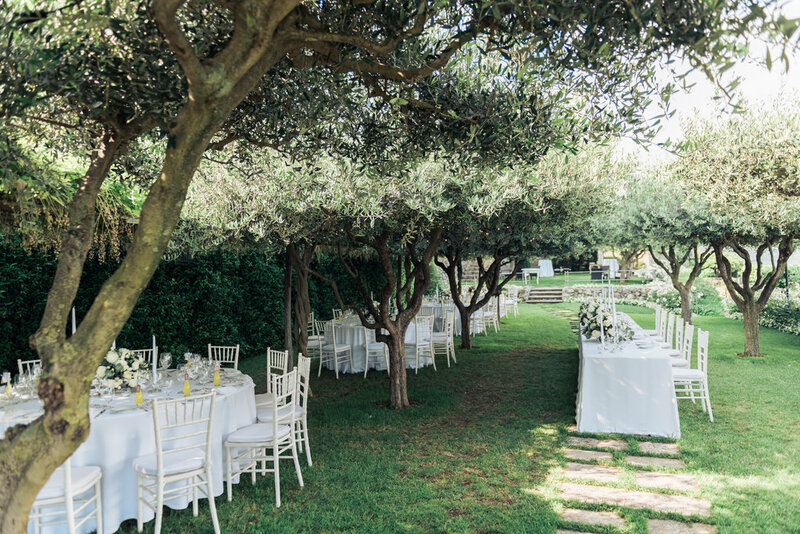 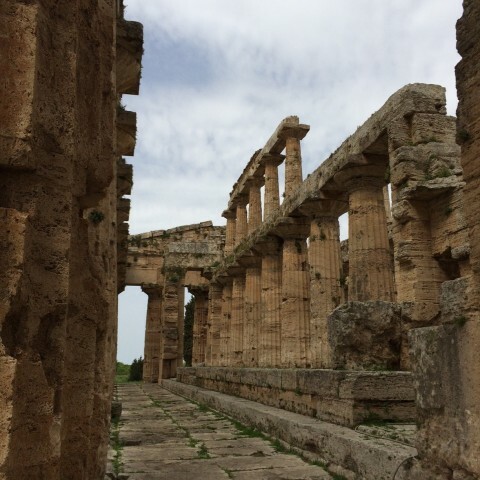 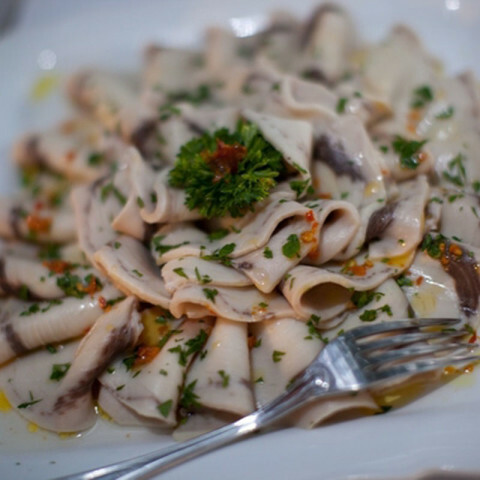 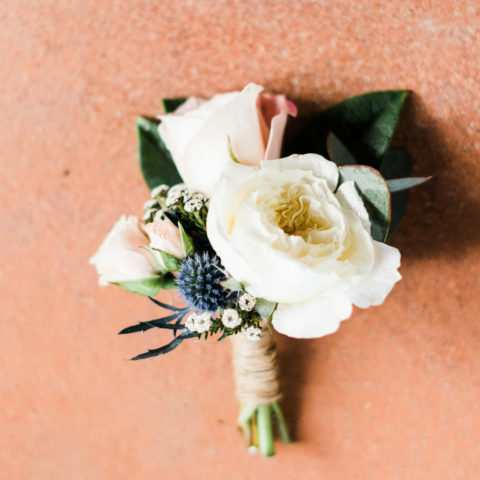 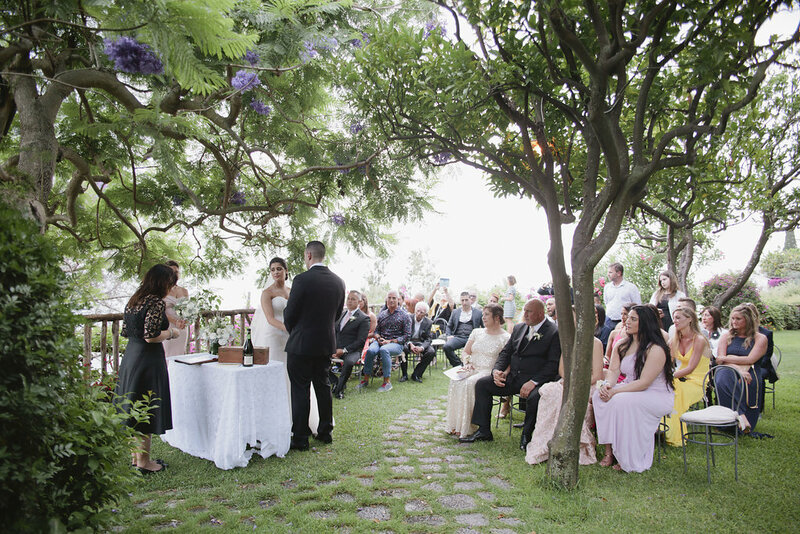 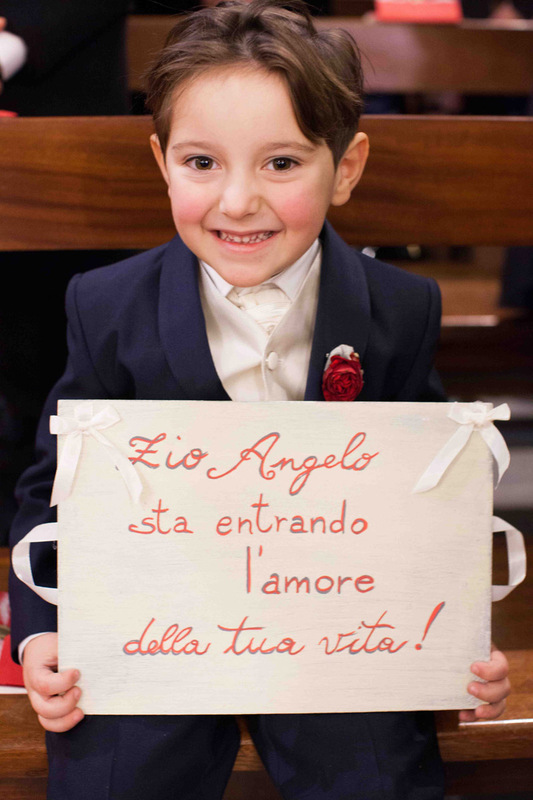 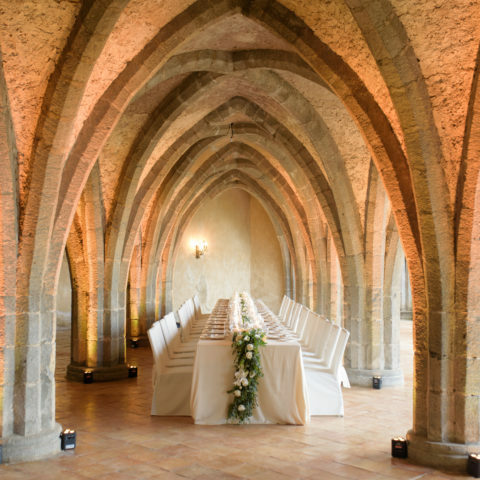 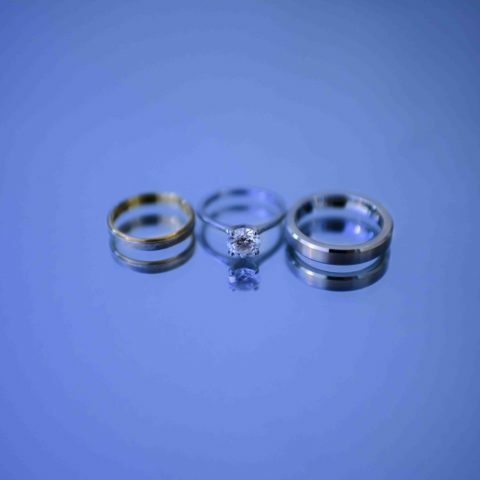 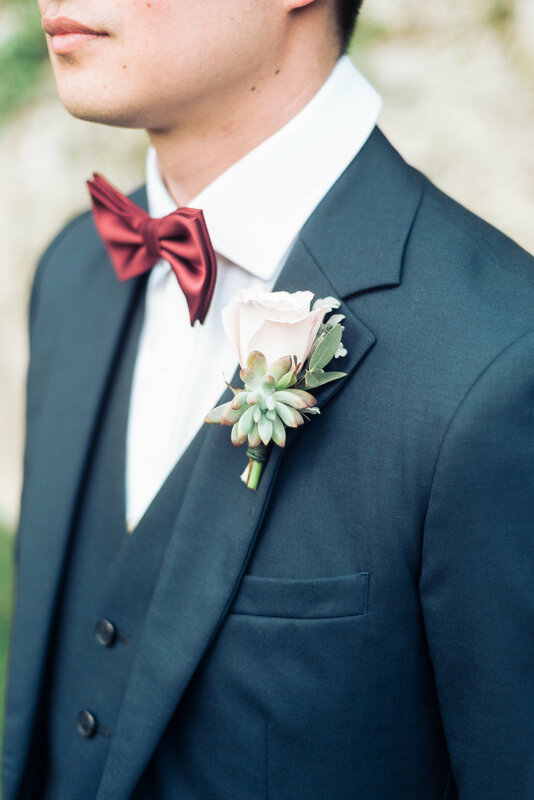 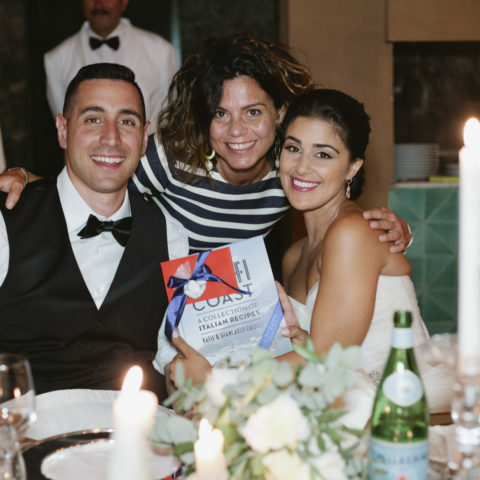 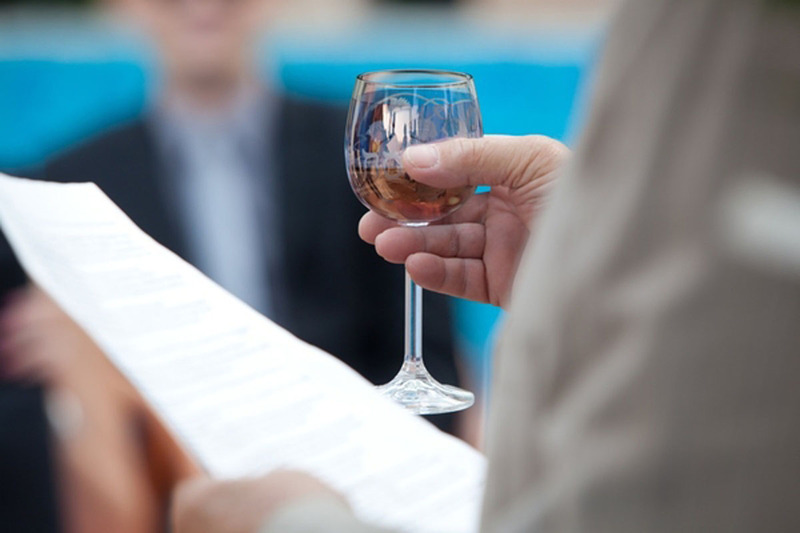 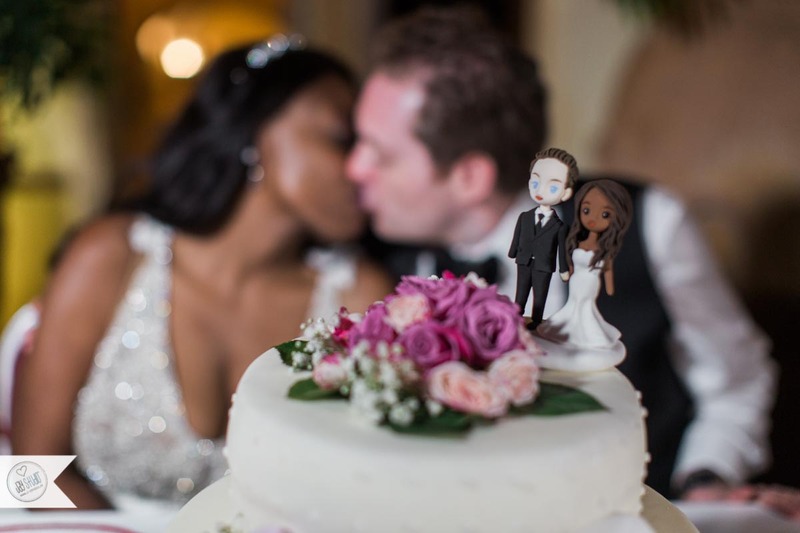 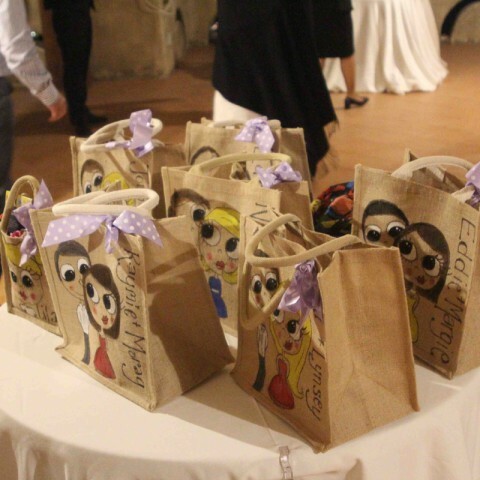 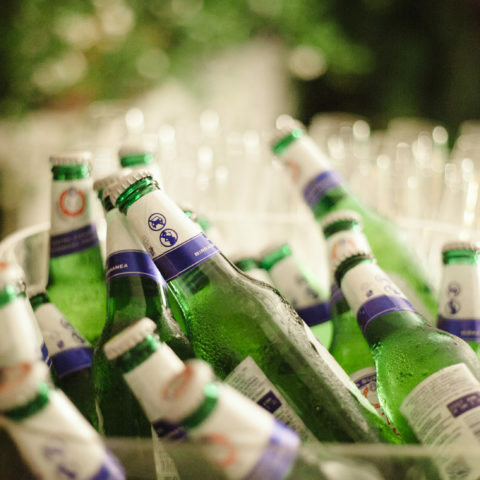 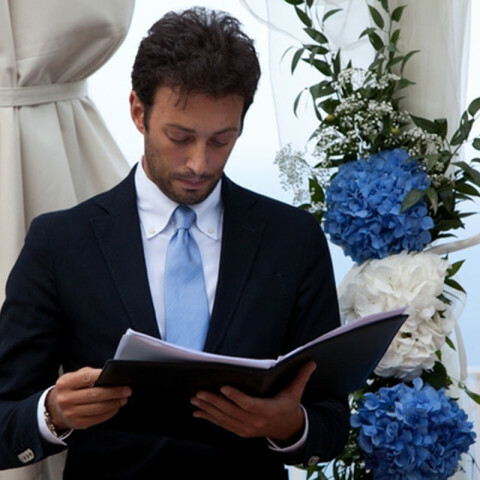 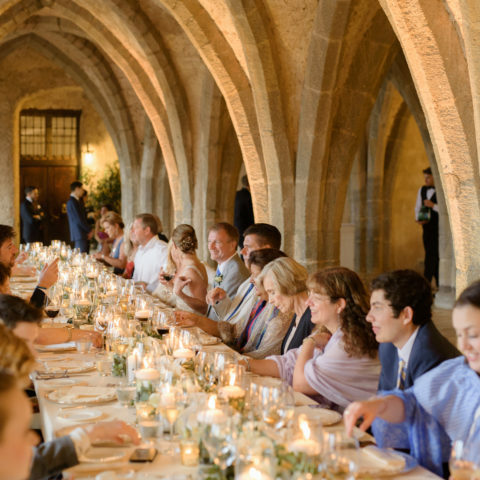 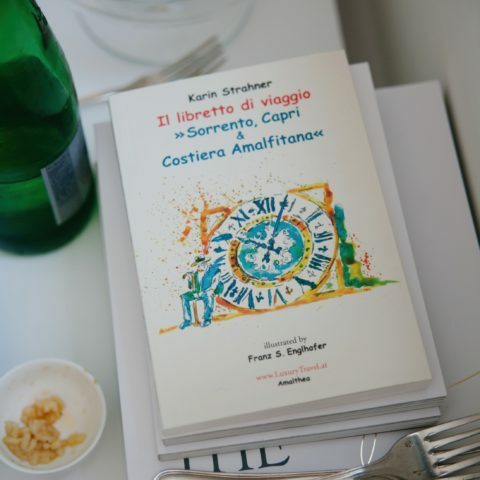 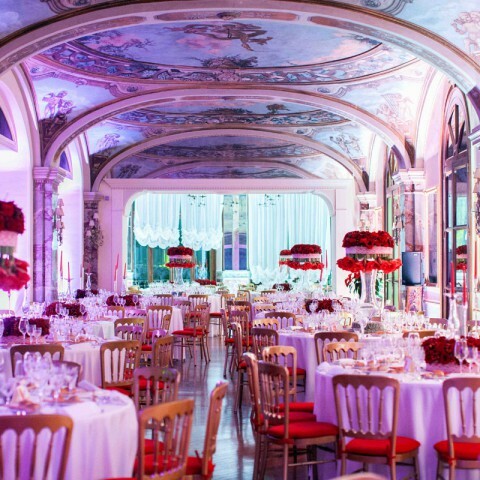 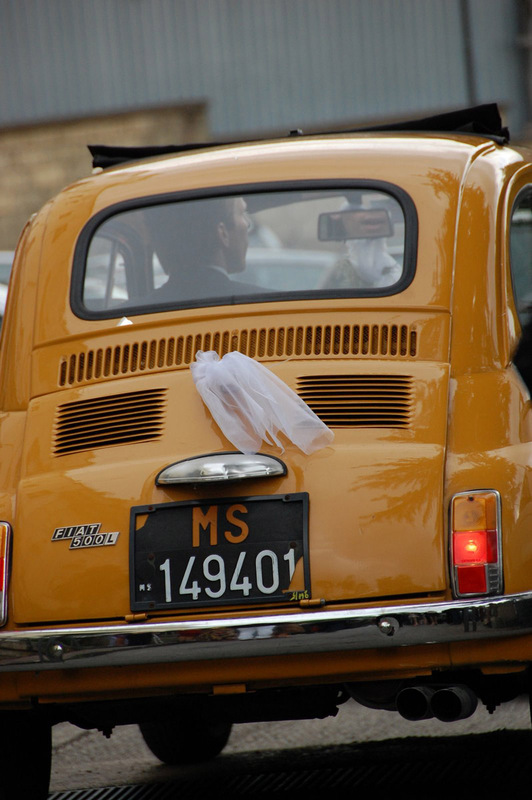 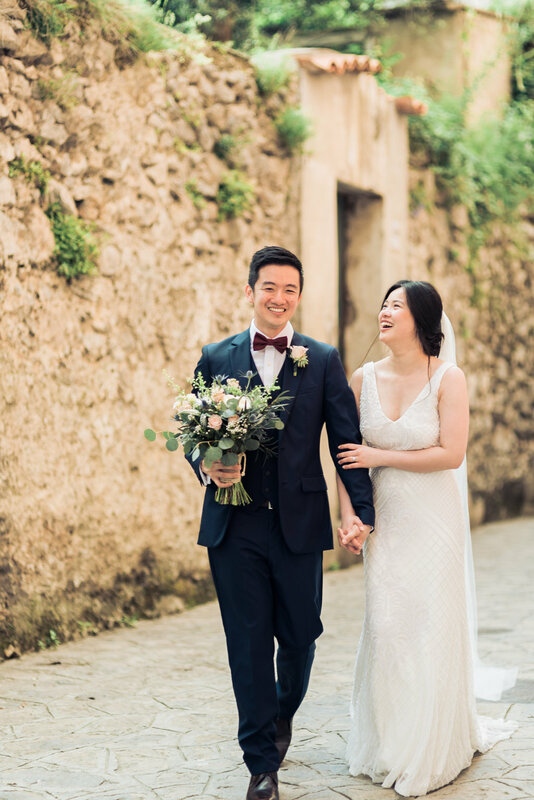 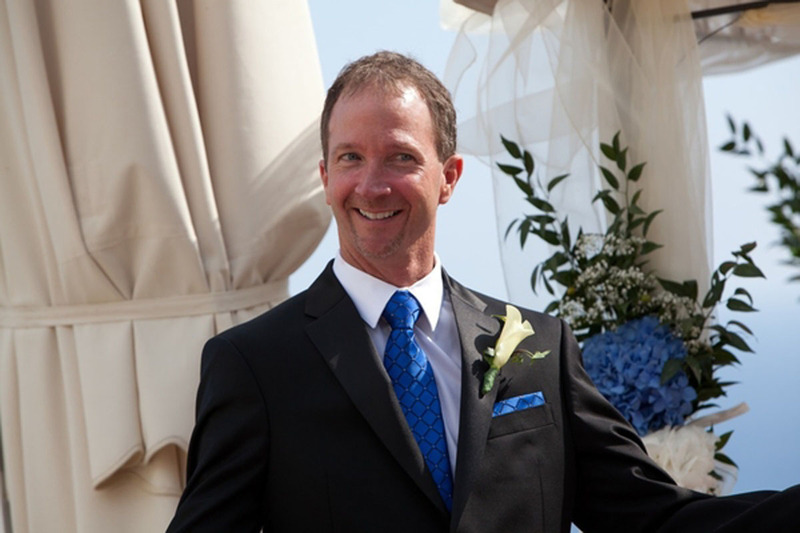 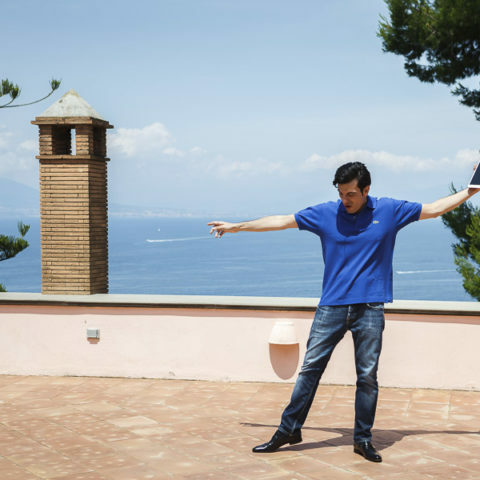 When we decided upon Italy as our destination wedding, we had not appreciated the difficulties of planning a wedding in a country and language that we were not familiar with. 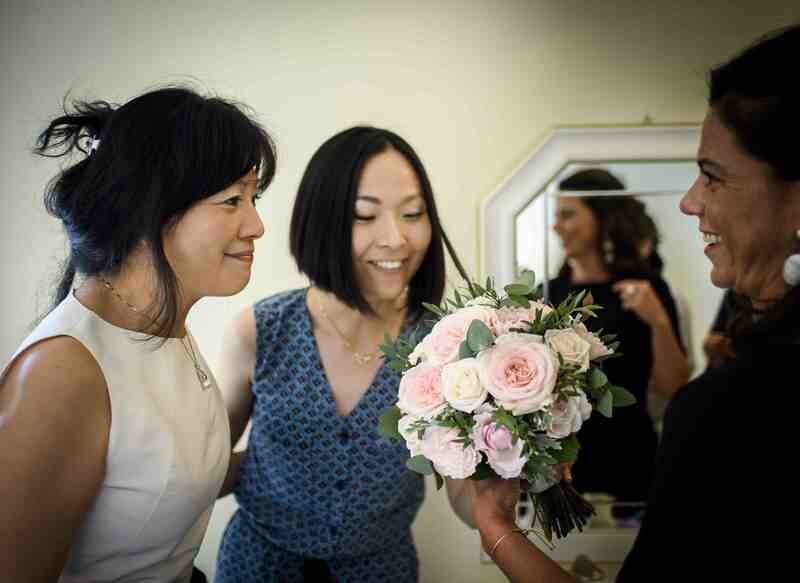 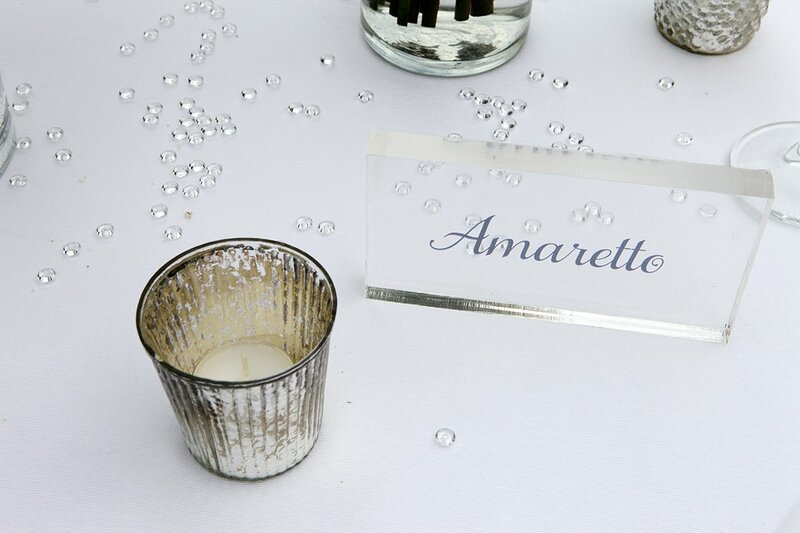 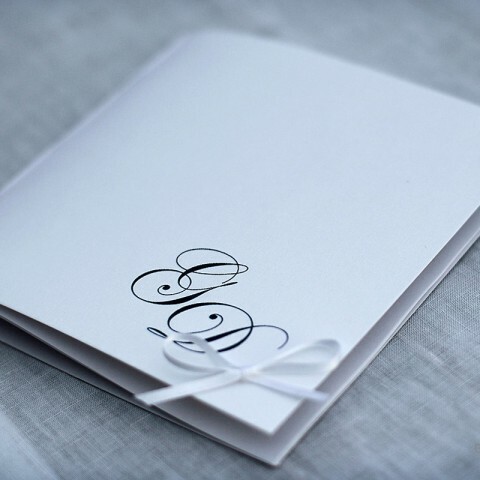 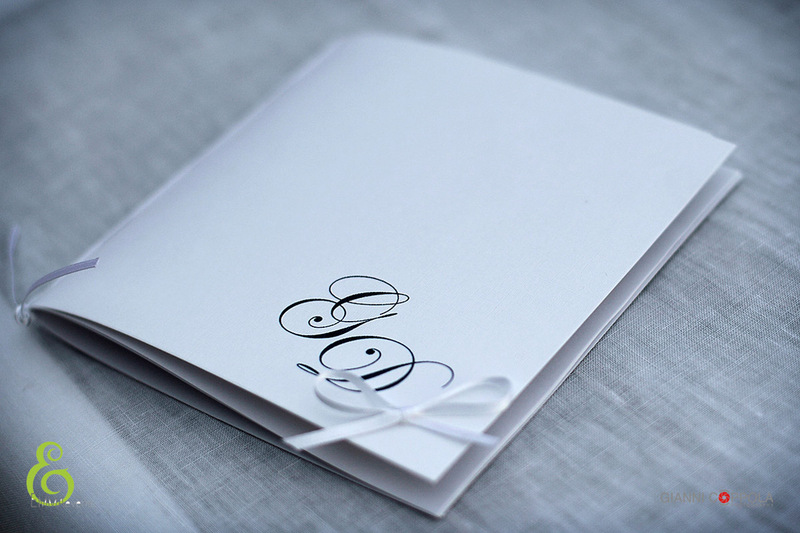 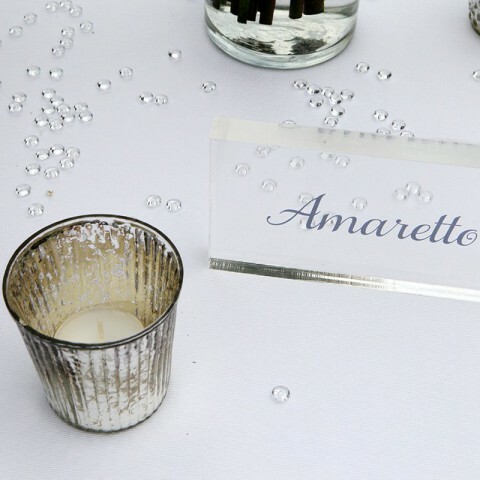 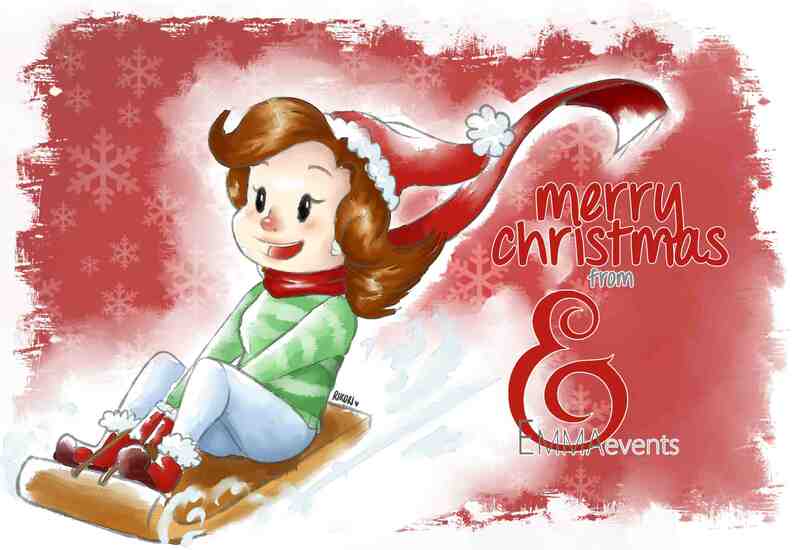 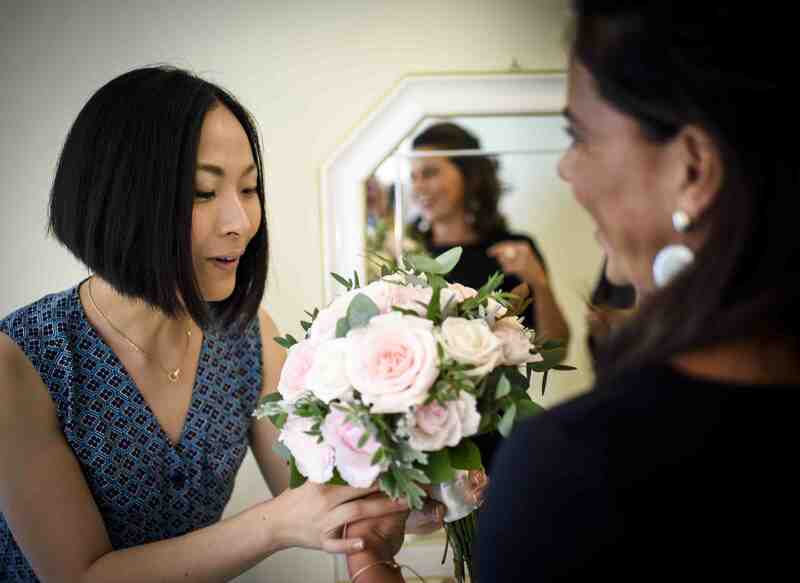 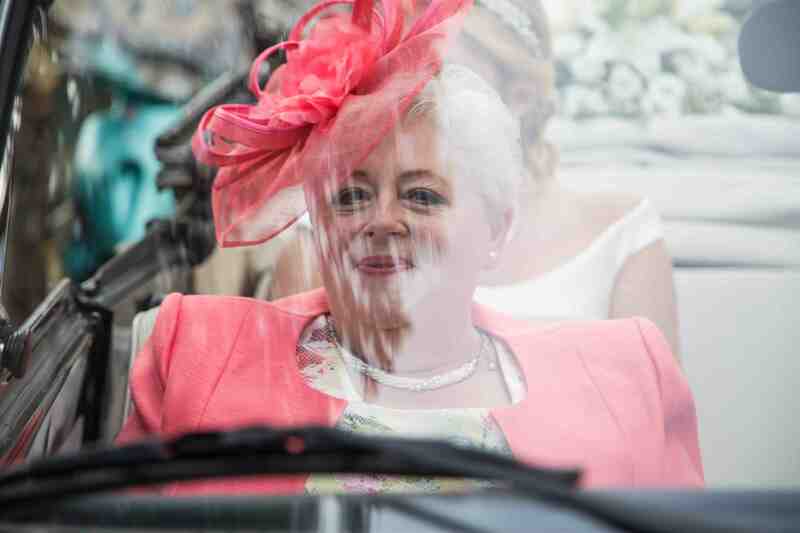 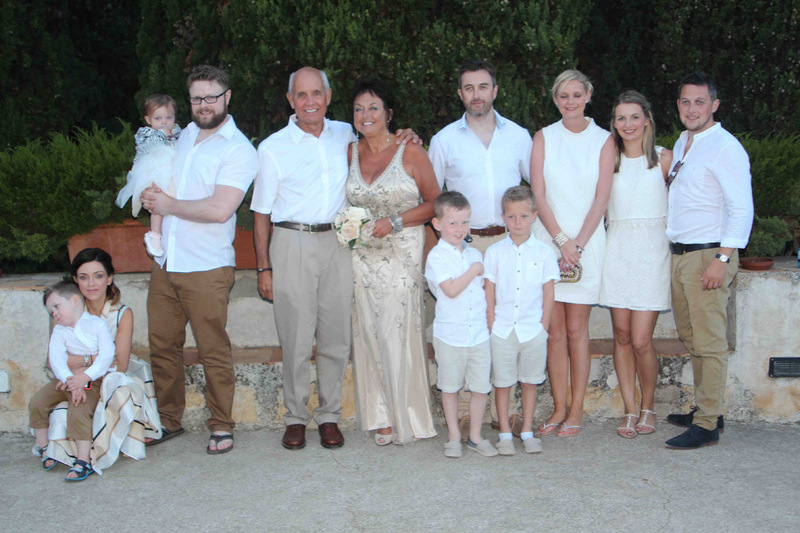 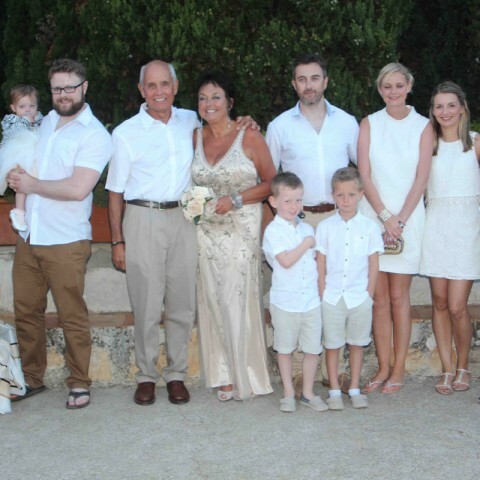 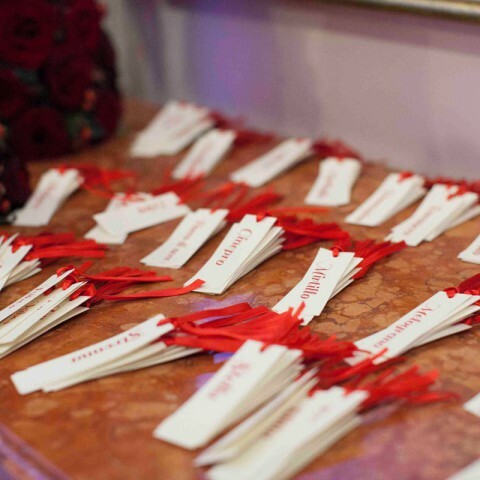 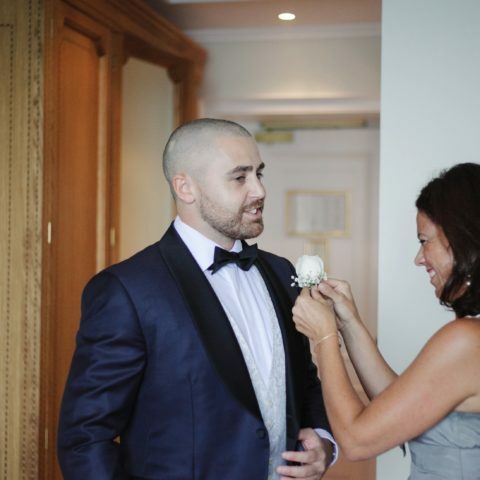 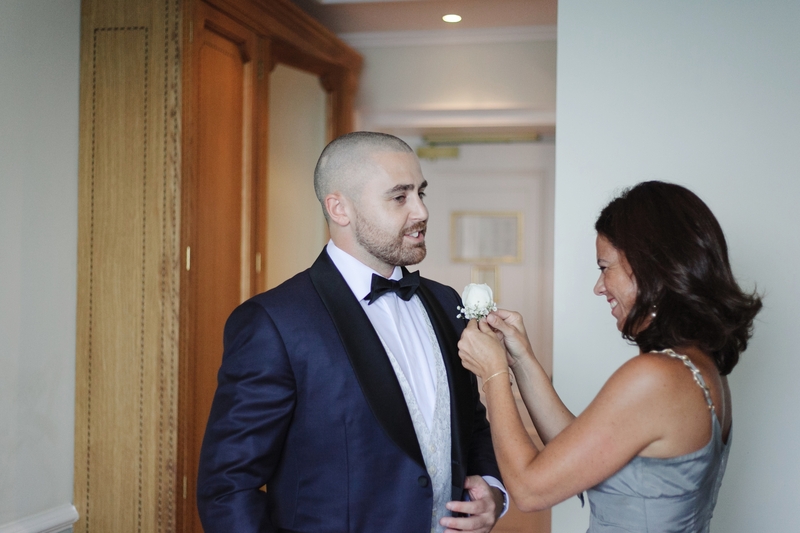 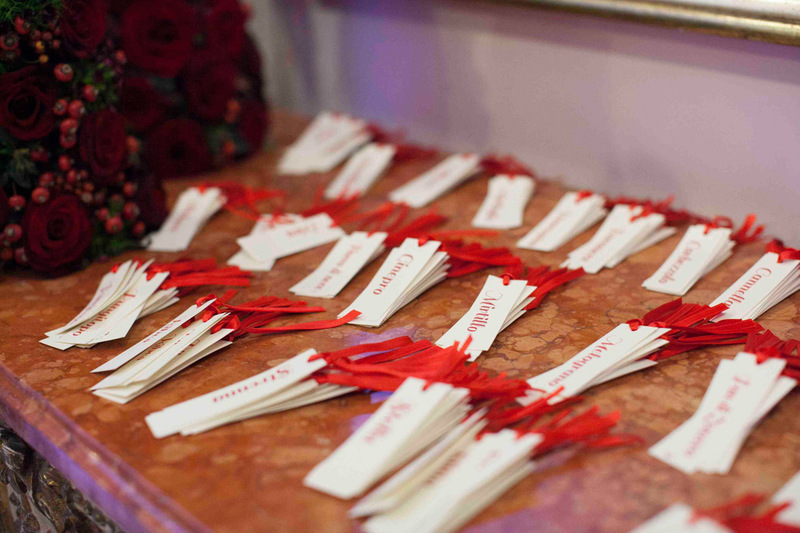 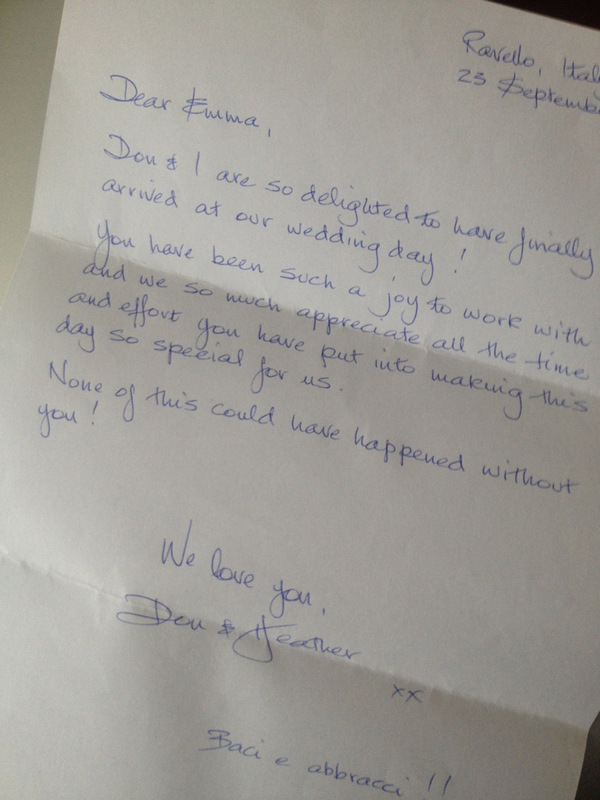 There were plenty of wedding planners to choose from but Emma stood out the most with a very personable vibe. 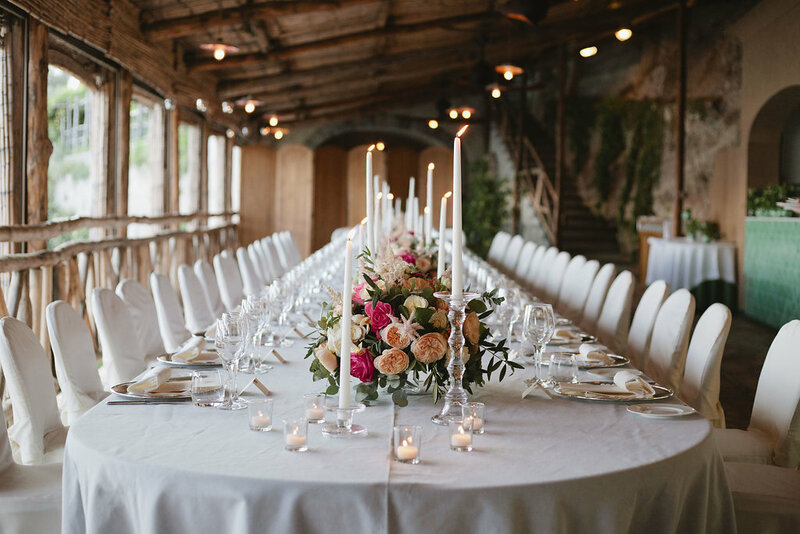 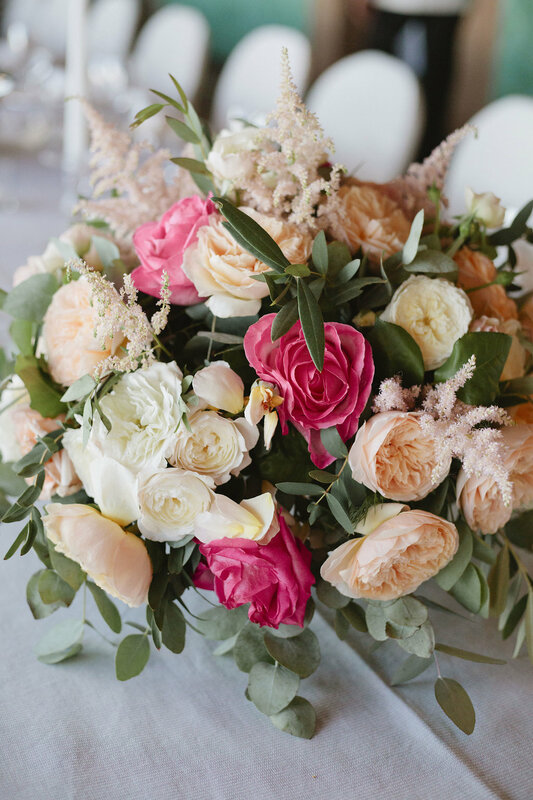 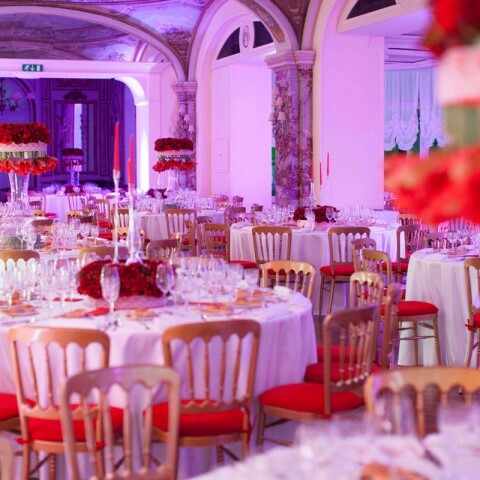 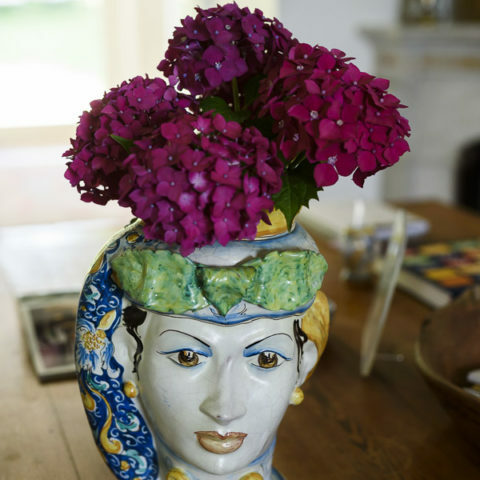 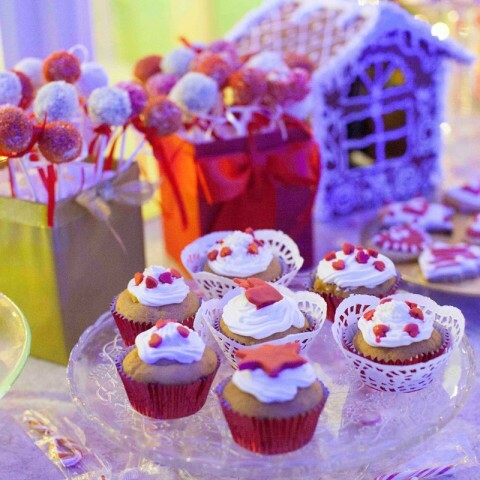 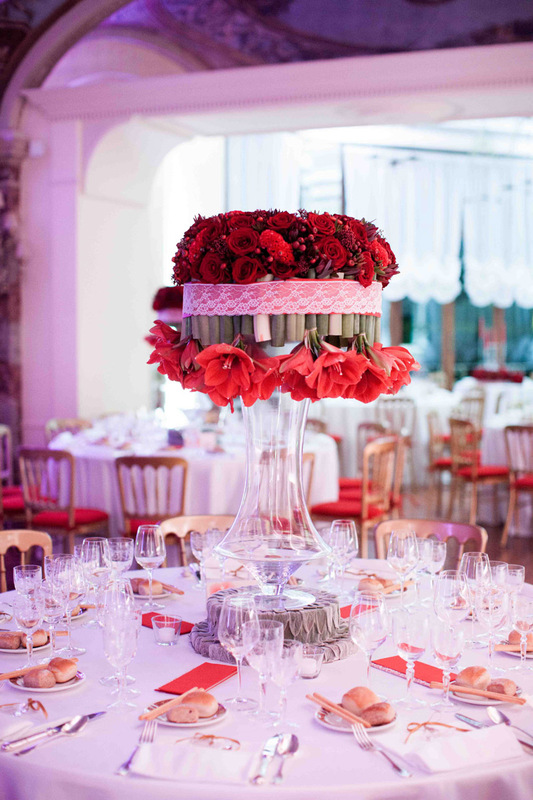 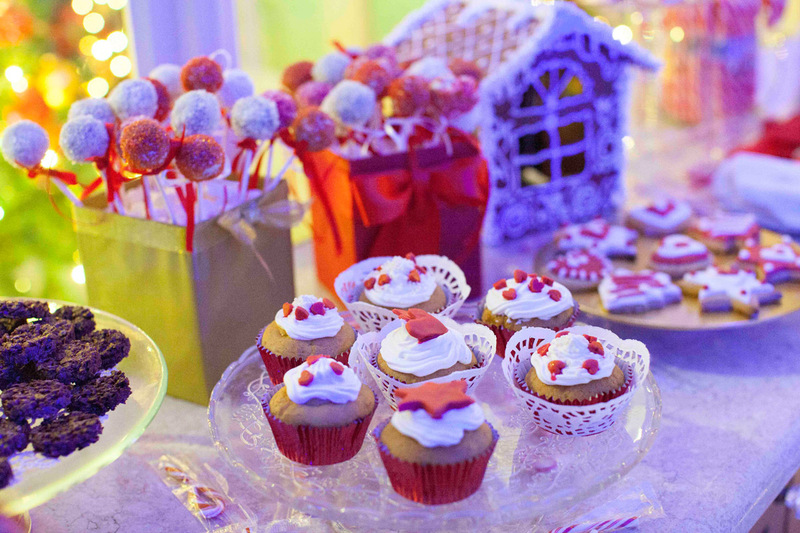 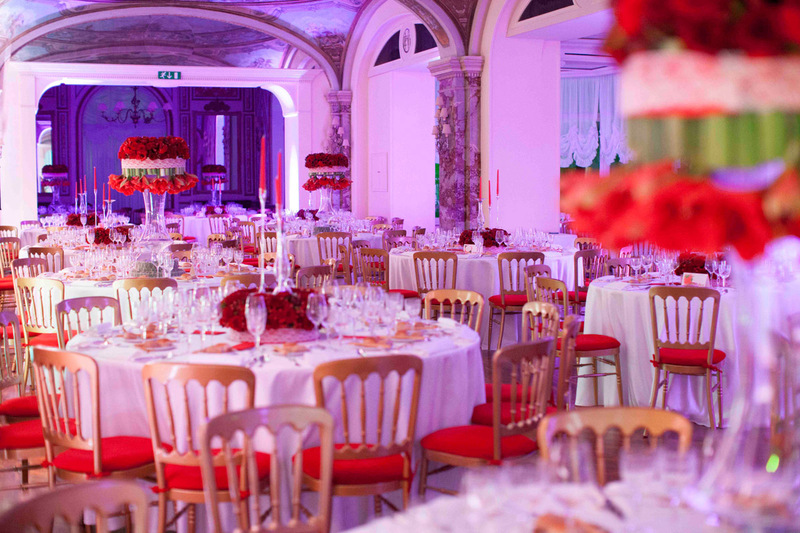 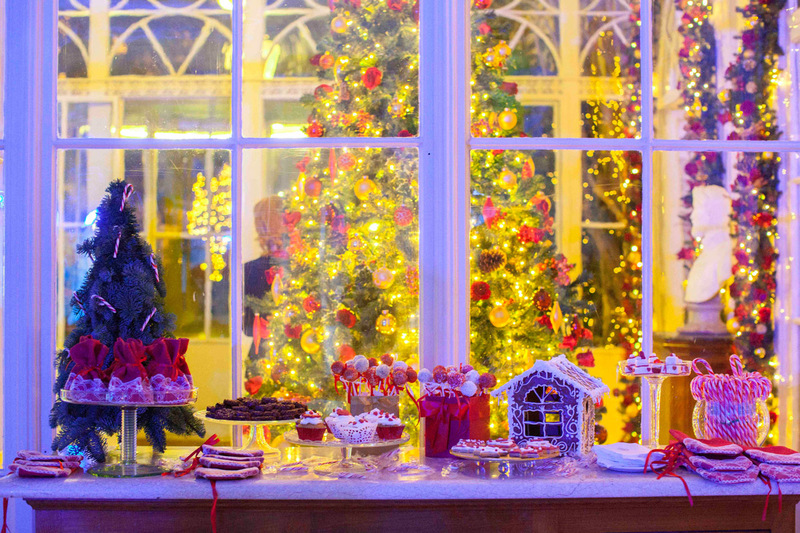 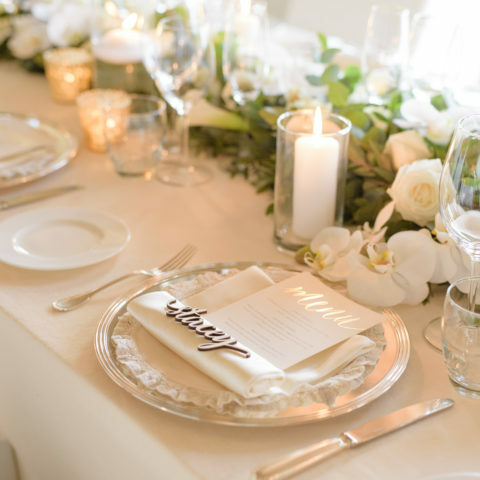 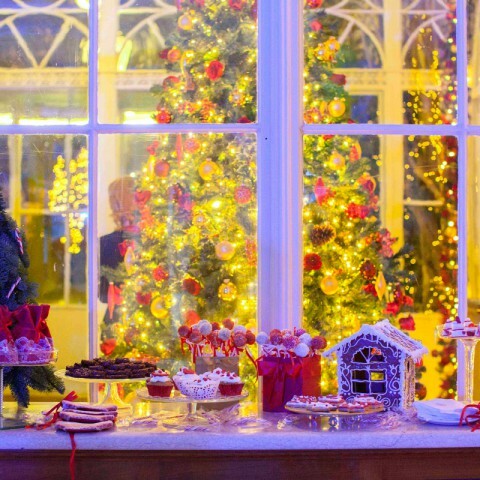 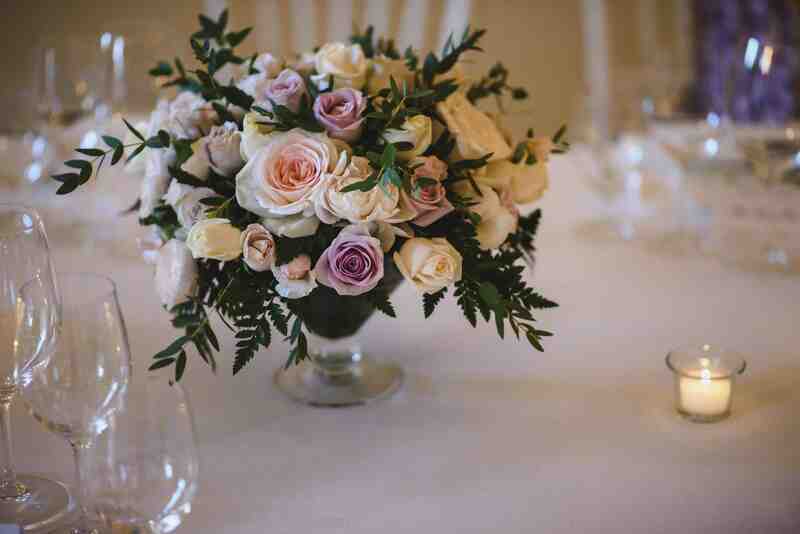 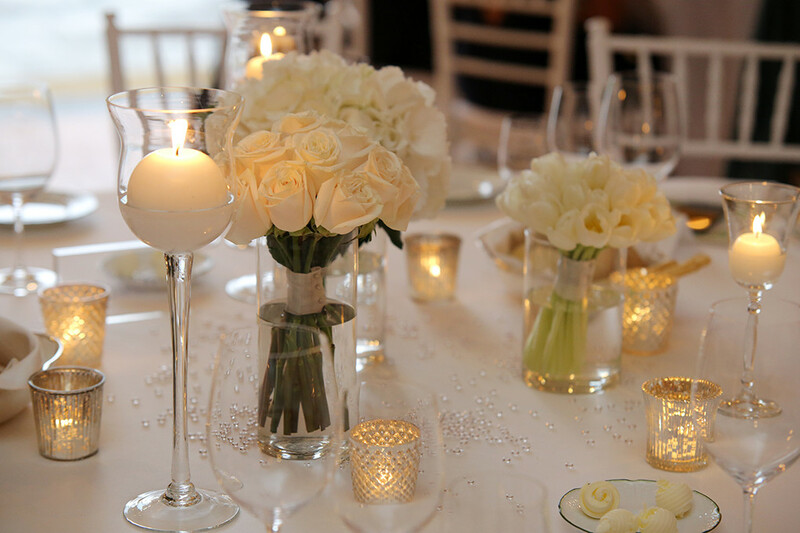 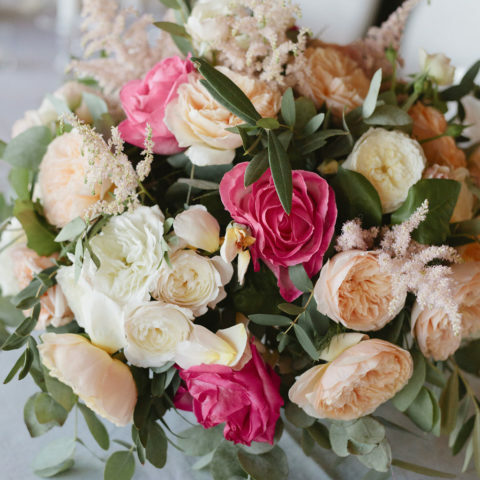 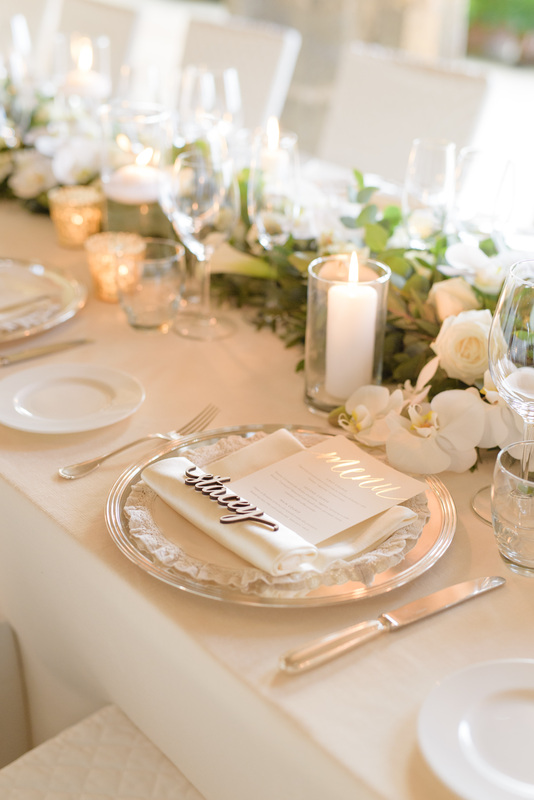 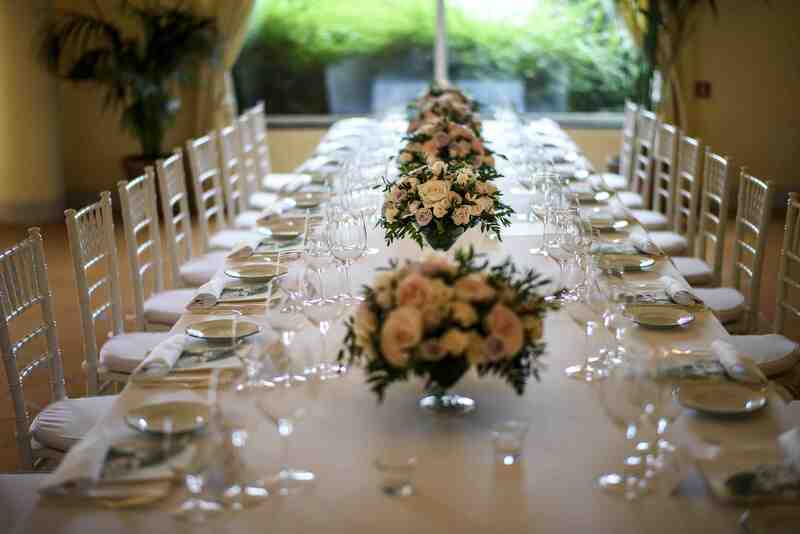 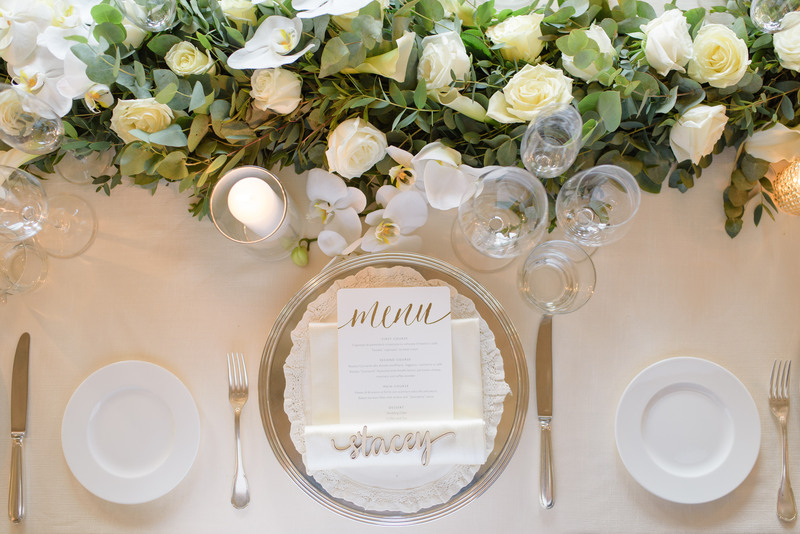 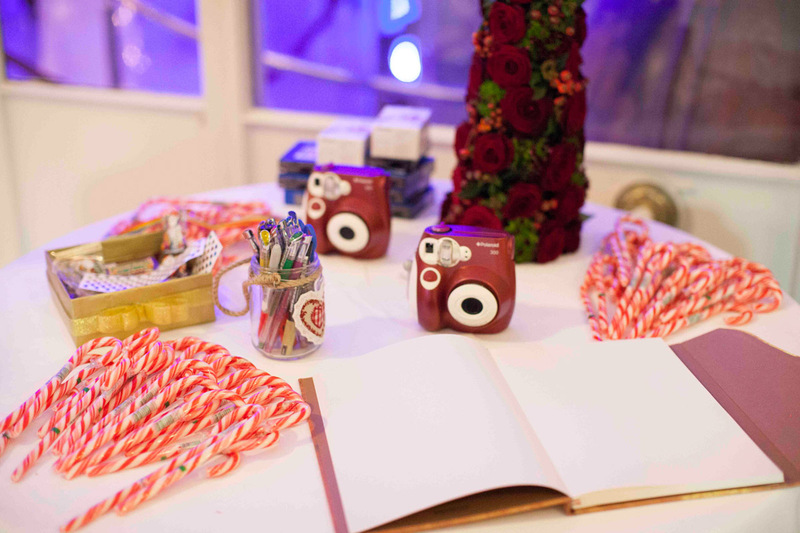 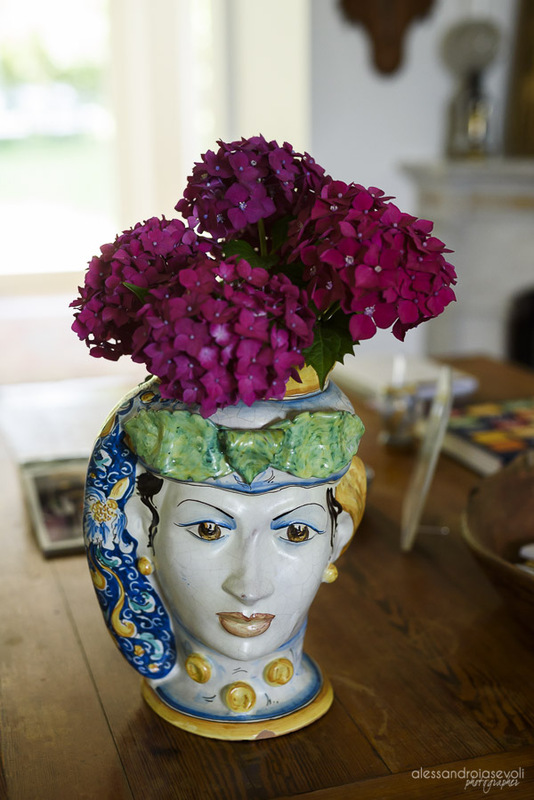 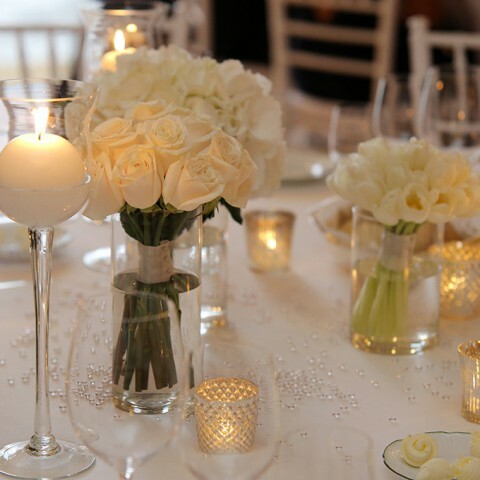 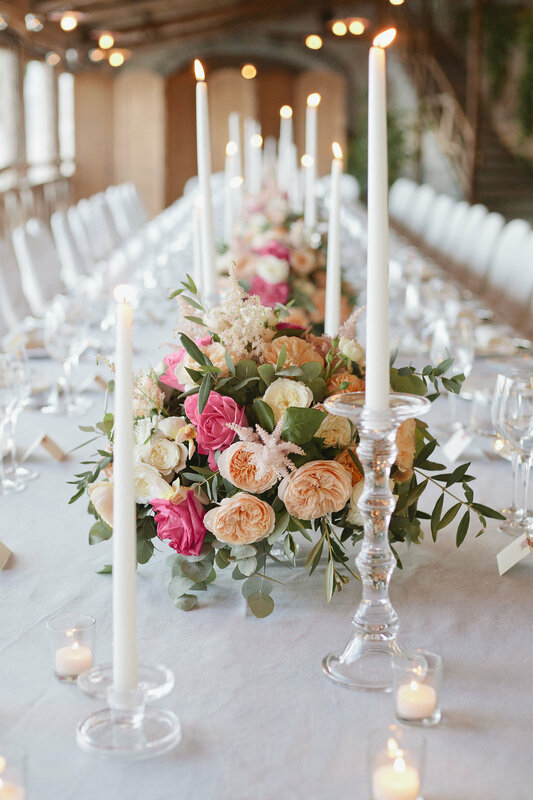 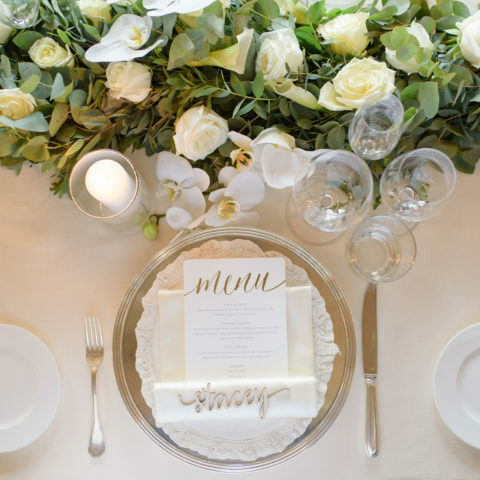 We can safely say that we made the absolute best decision in deciding on hiring Emma as our wedding planner. 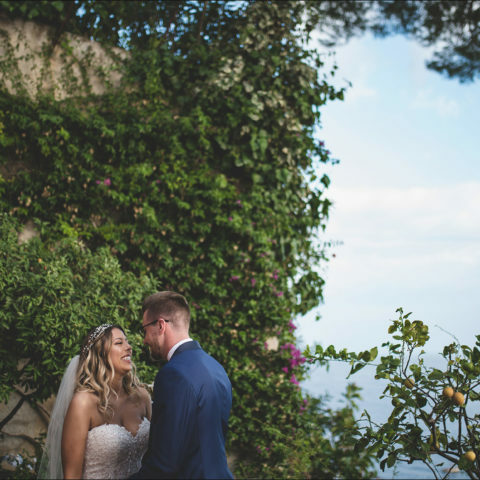 From the initial internet video conversation, Emma had a can-do attitude and was so knowledgeable about every query we had. 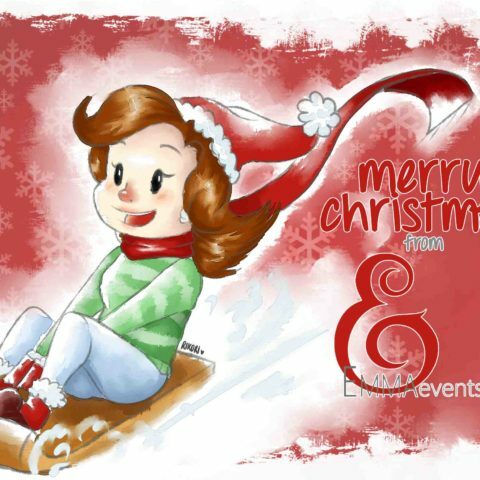 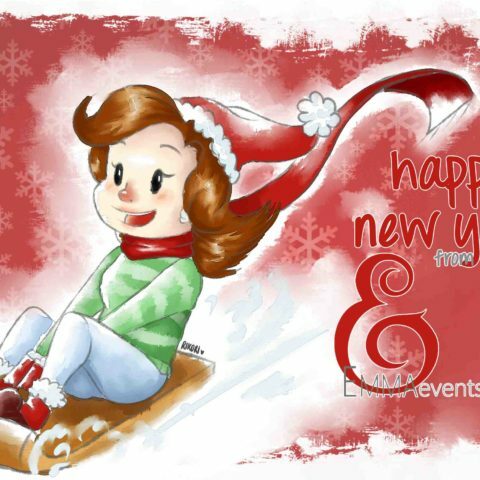 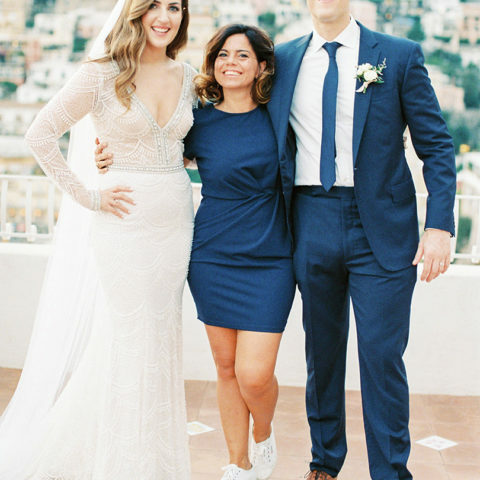 Our planning started one year before the event and Emma made sure to stay in touch regularly to ensure that every step of the planning was taken care of. 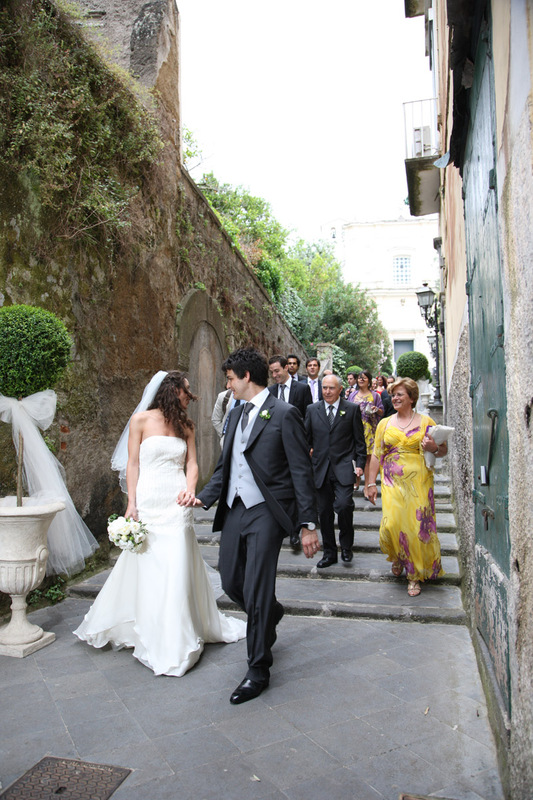 She was very receptive of our requests and did not push for things that we felt were unnecessary. 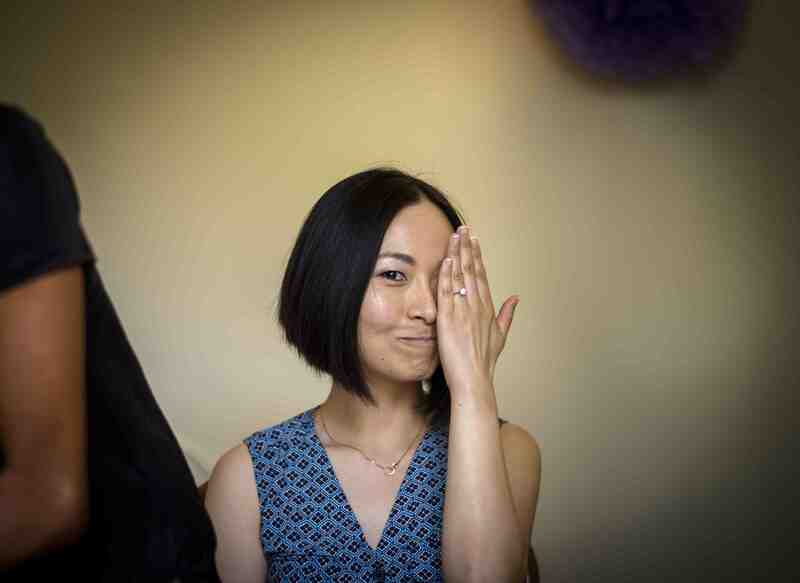 She seemingly had a solution for everything. 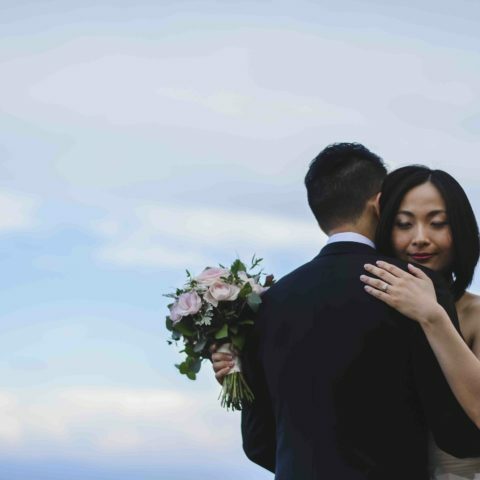 Her memory of things that we had discussed even months ago was amazing and it felt like our wedding was the only that she was planning (although she must have been so busy with other couples as well). 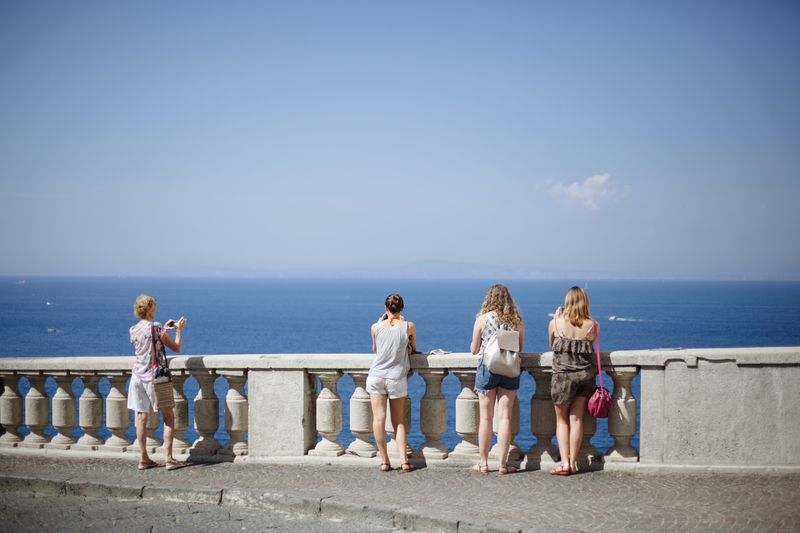 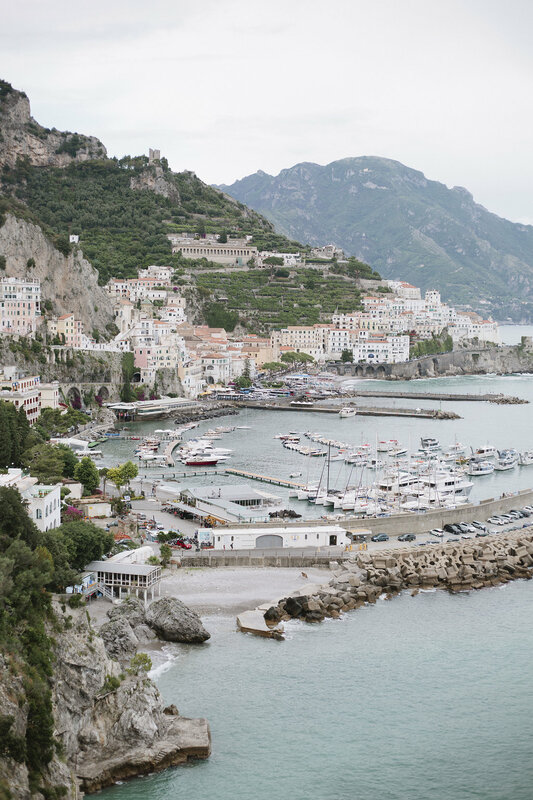 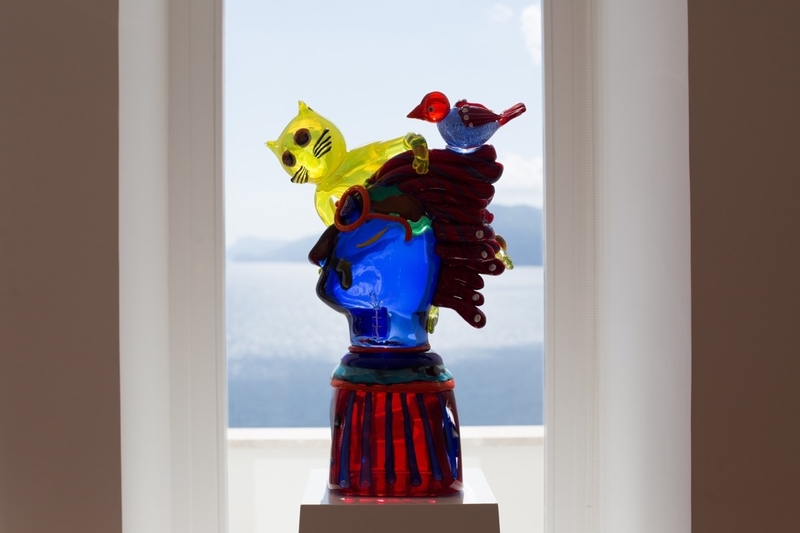 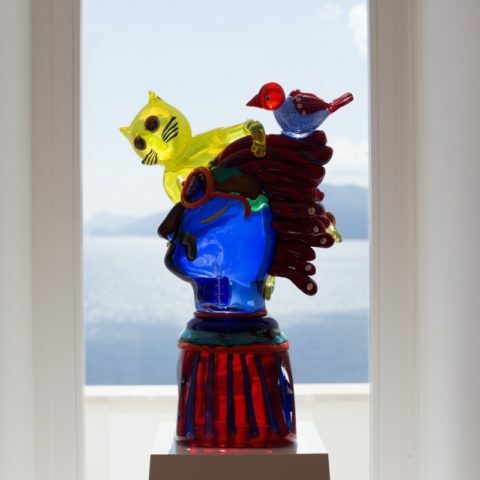 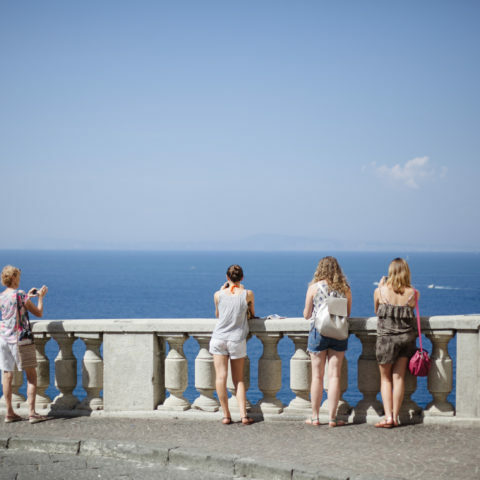 As we had friends and family flying into Italy, she even ensured that we had arrangements to reach the Amalfi Coast safely. 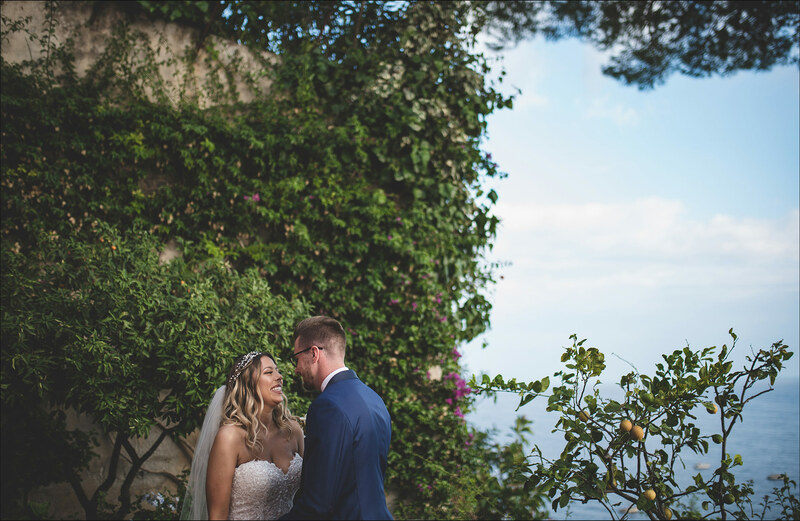 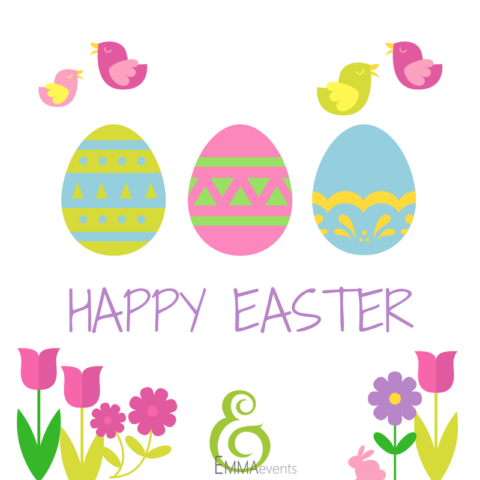 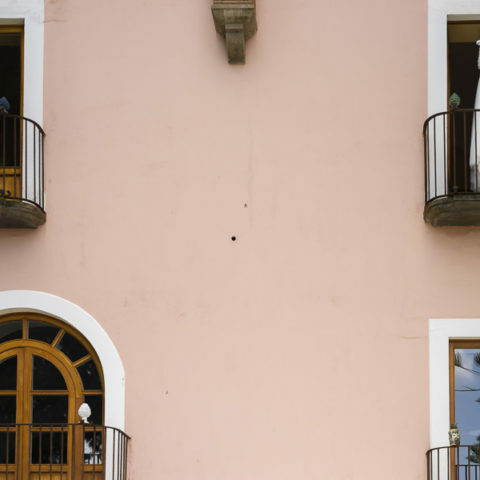 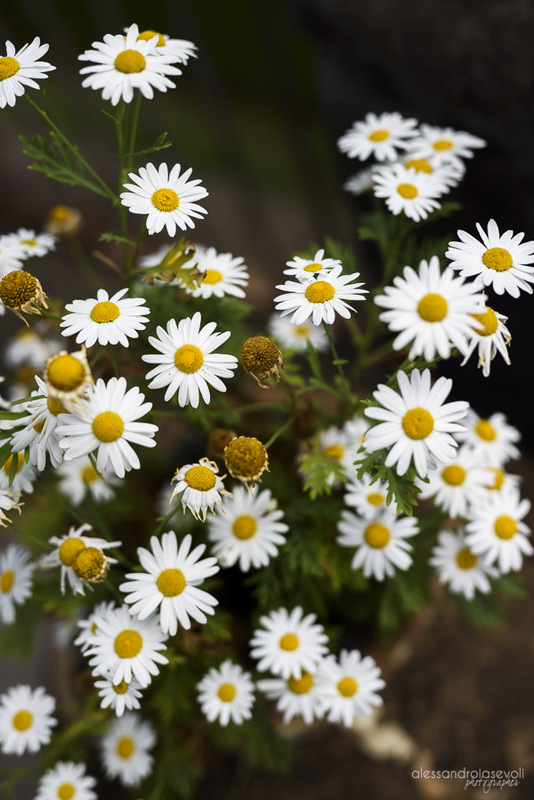 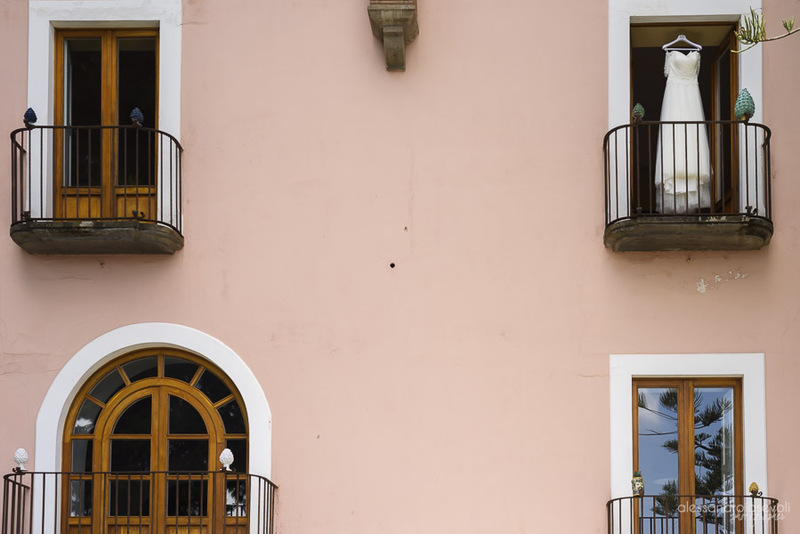 Due to unforeseen circumstances, we had our travel plans and itinerary affected but Emma never broke a sweat and sorted things for us with no fuss. 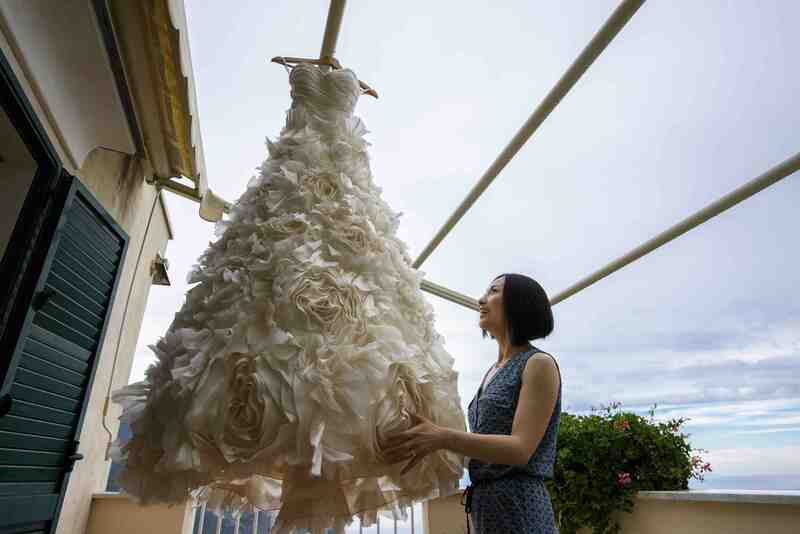 A testament to her can-do attitude! 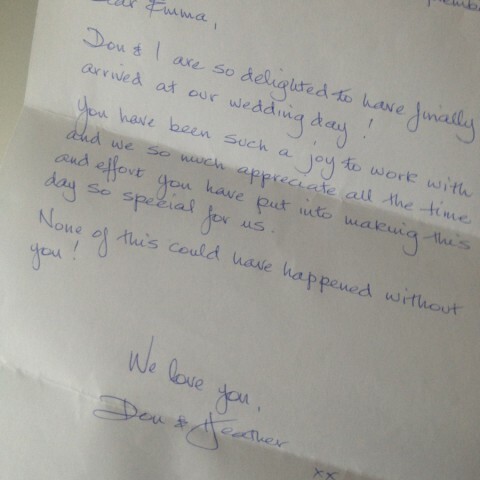 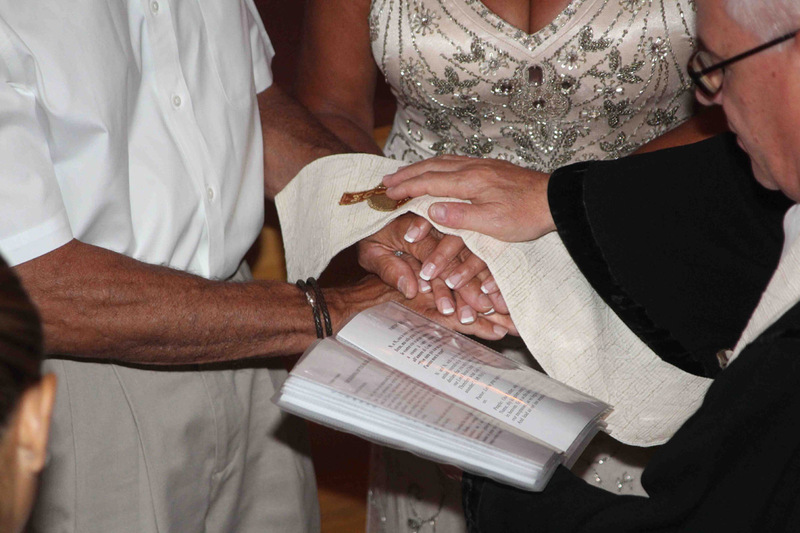 Finally, our wedding day itself.. it was perfect and we cannot thank Emma enough for this. 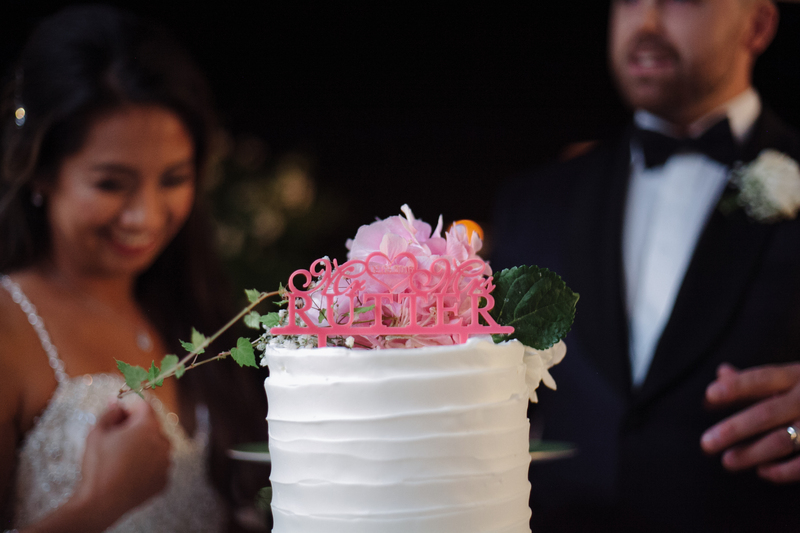 Everything went to plan and it was just so amazing to see all our planning come to fruition. 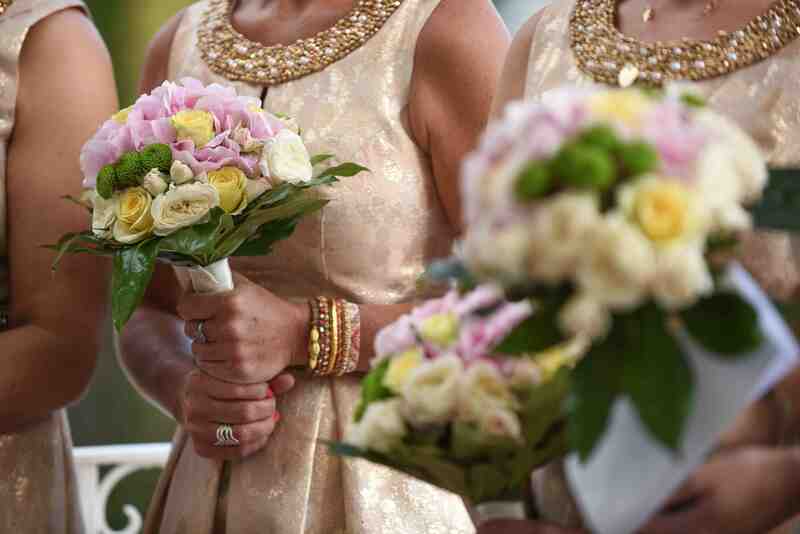 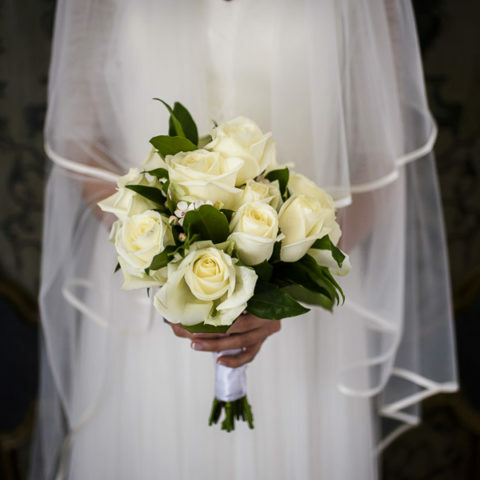 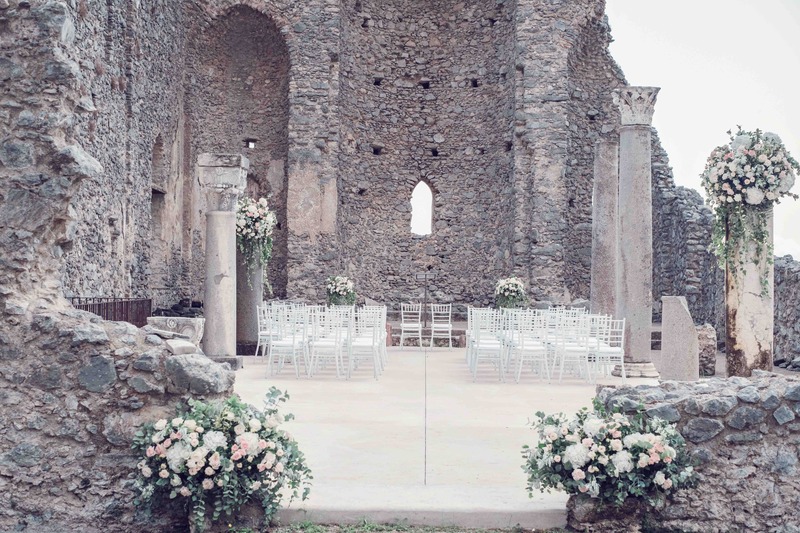 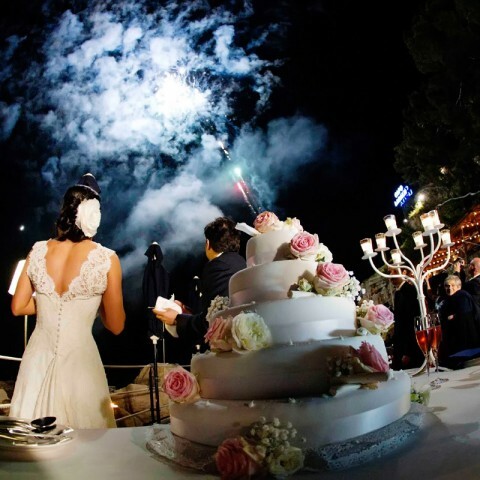 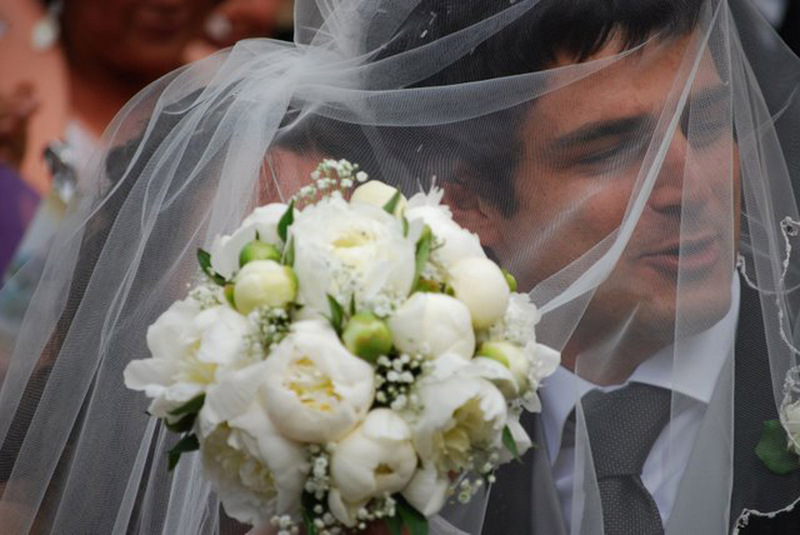 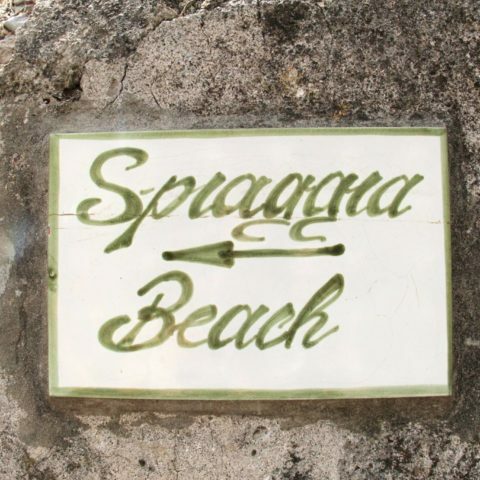 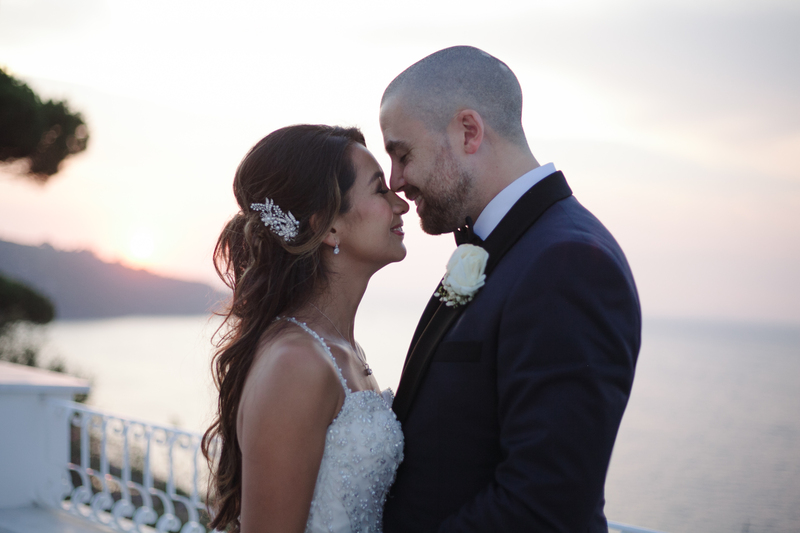 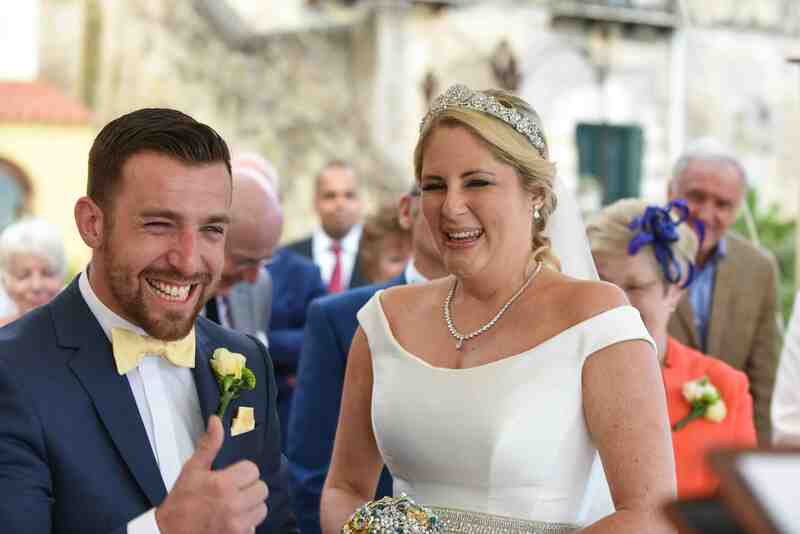 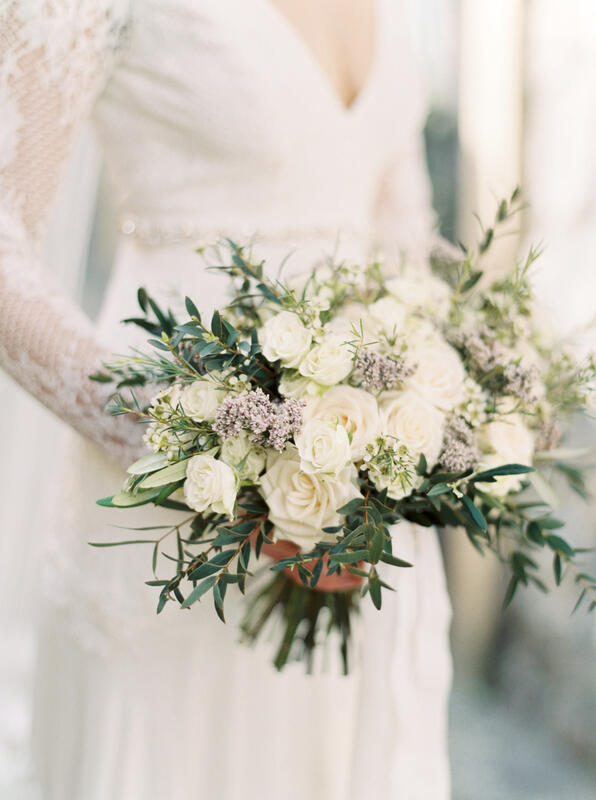 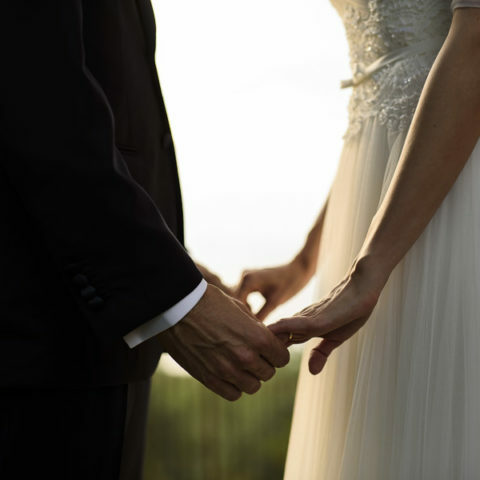 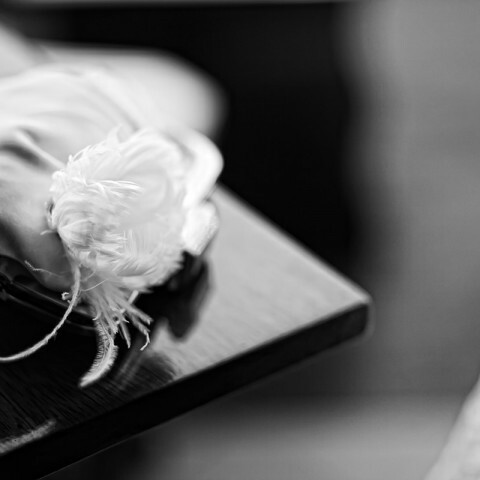 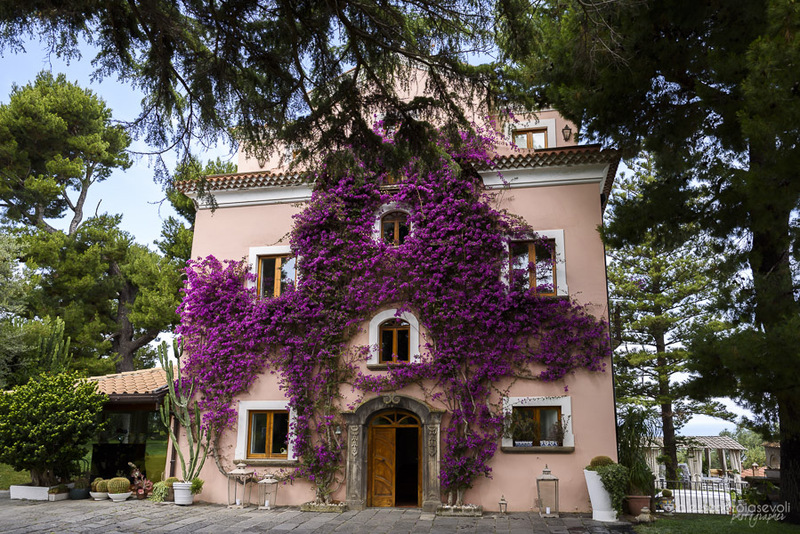 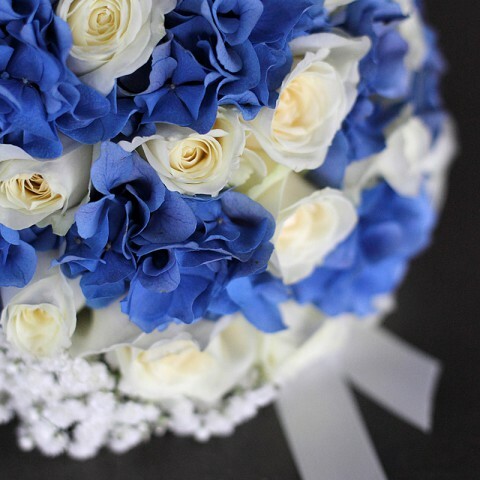 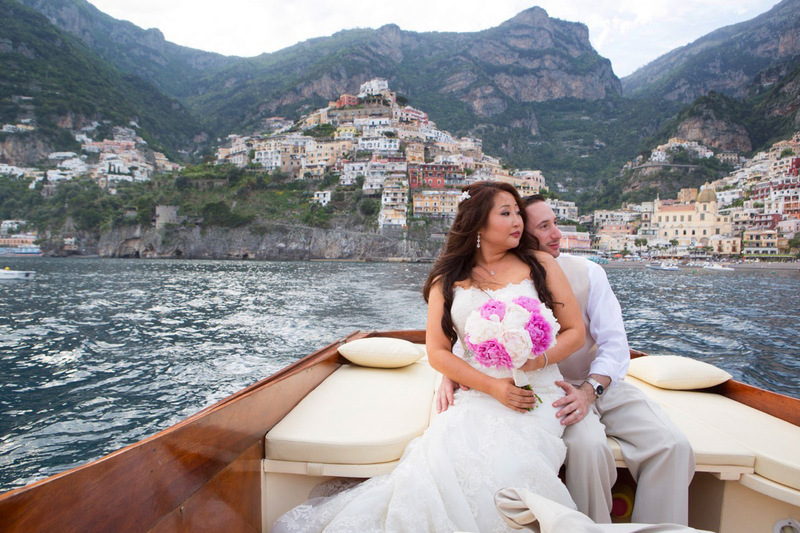 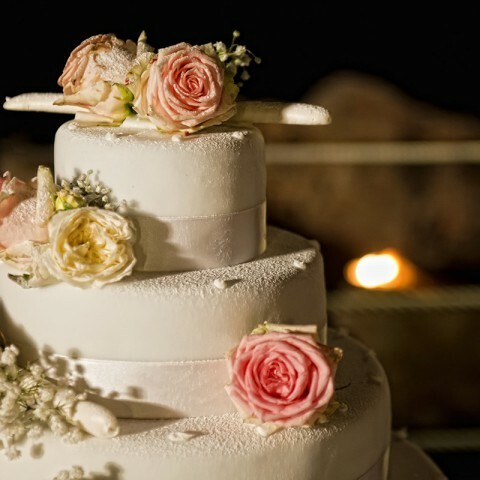 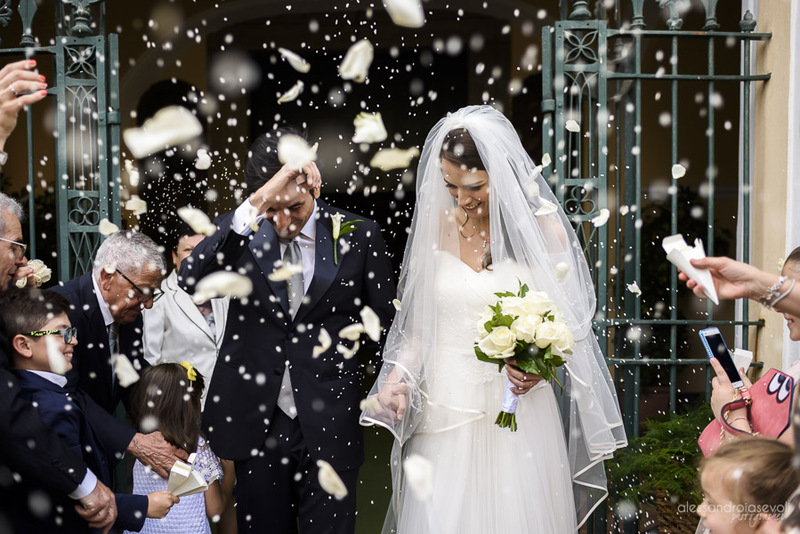 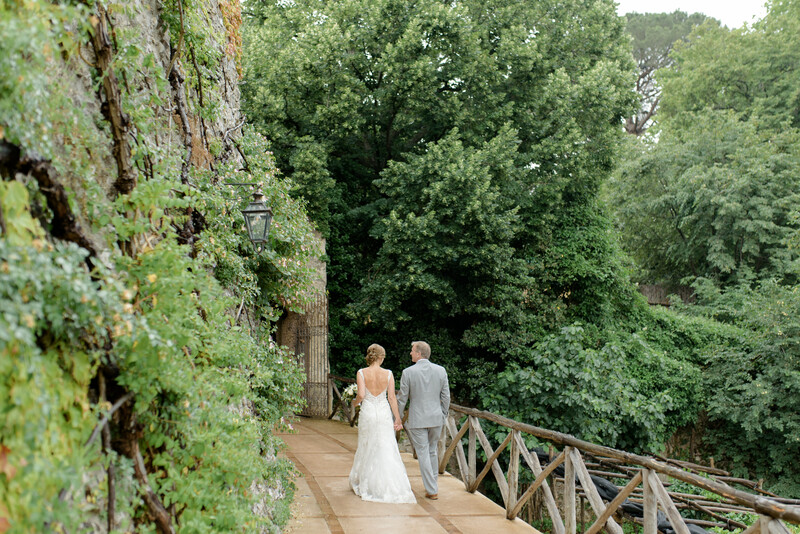 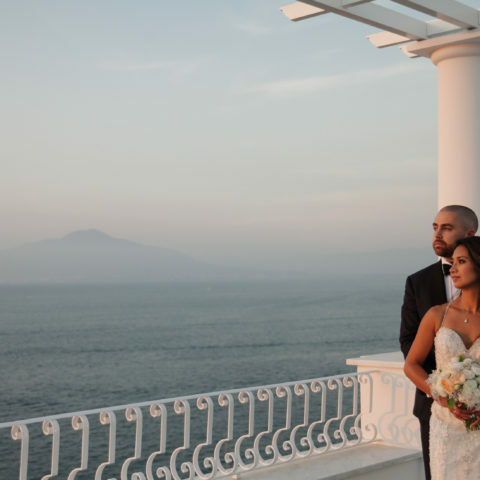 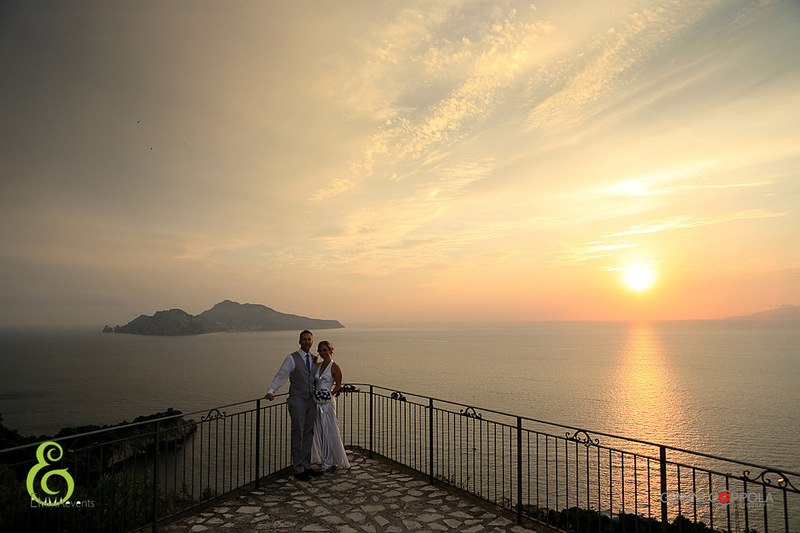 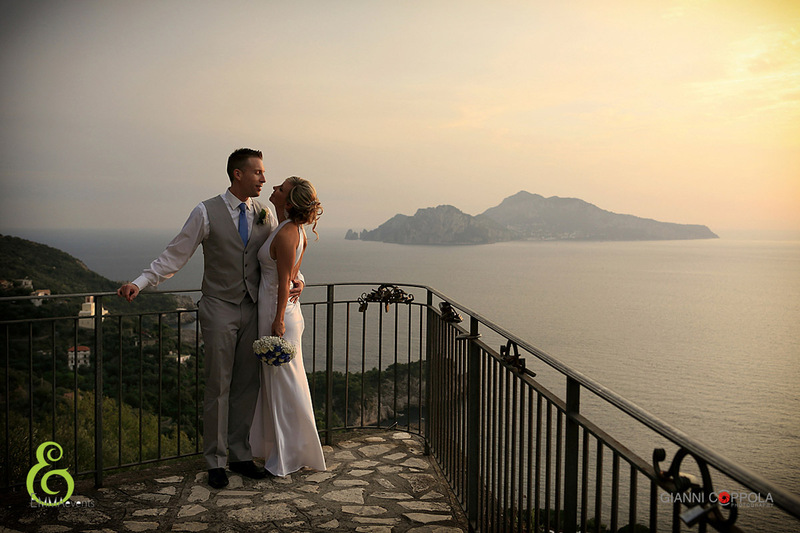 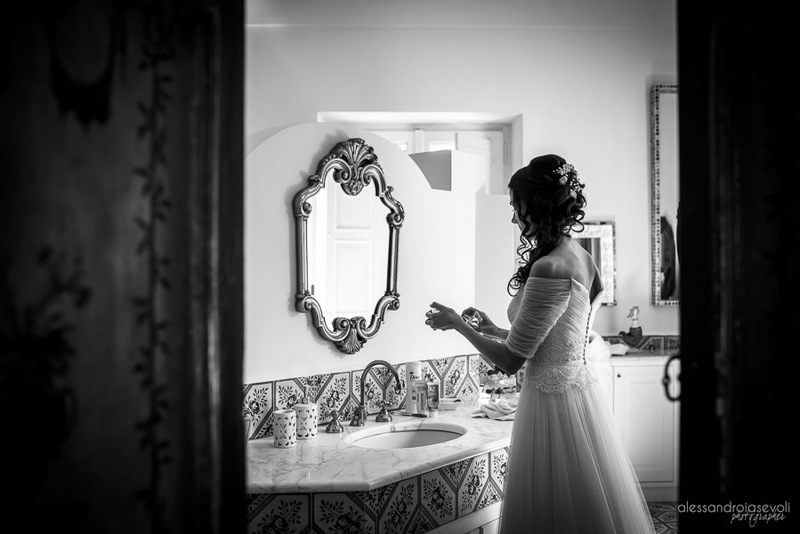 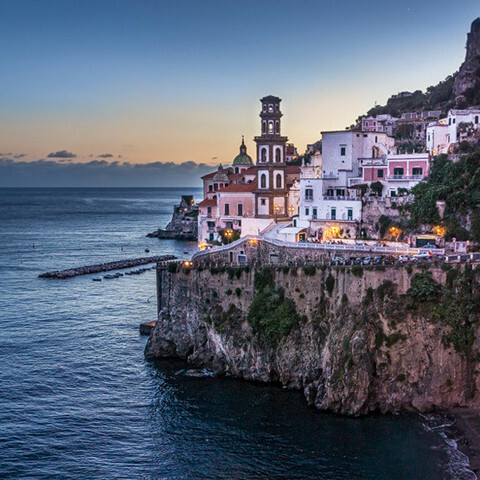 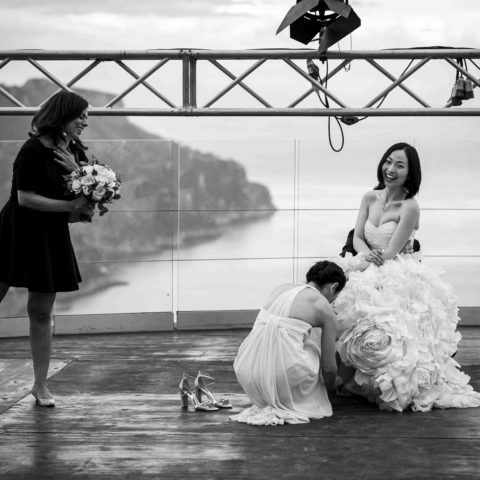 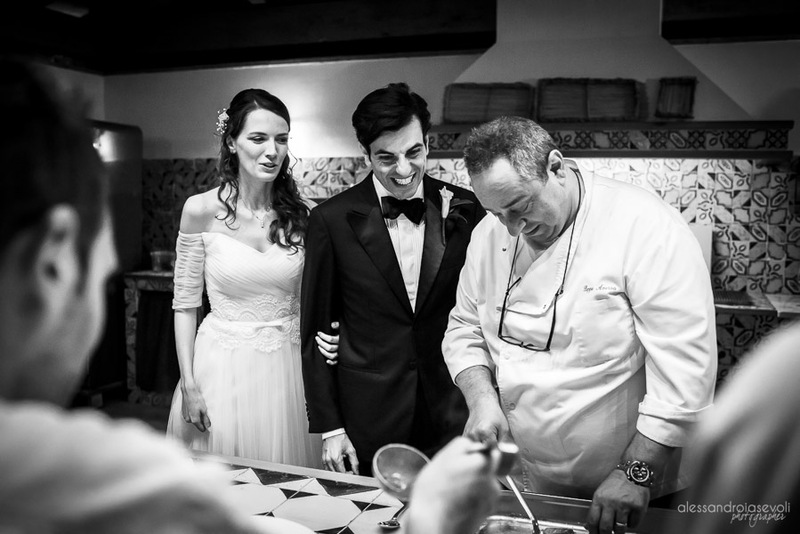 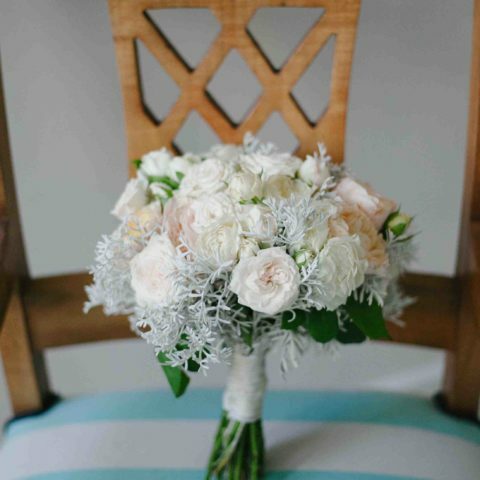 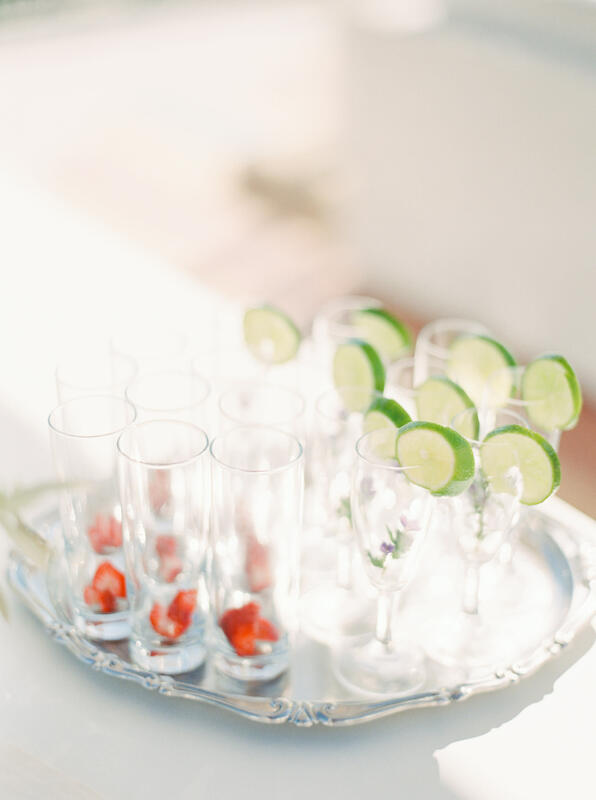 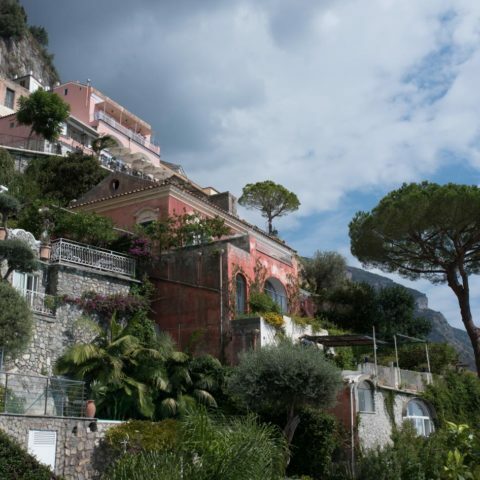 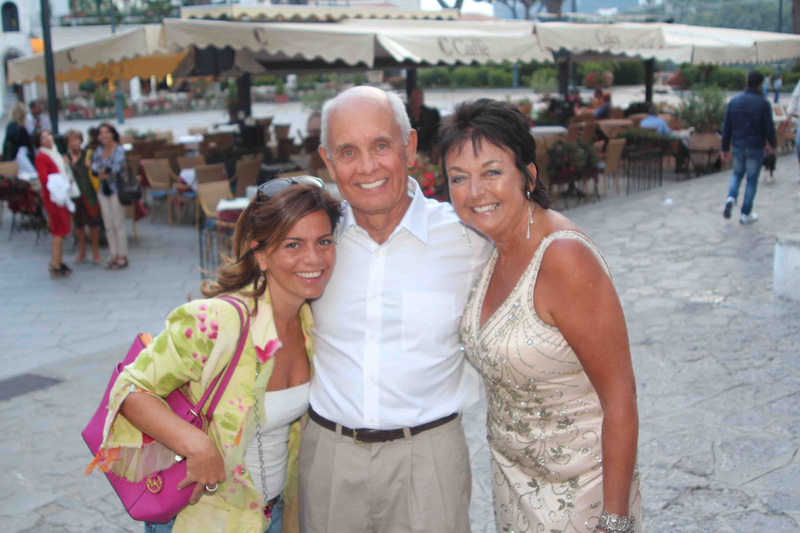 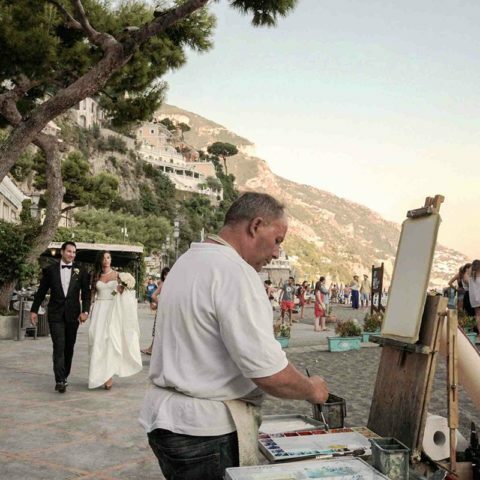 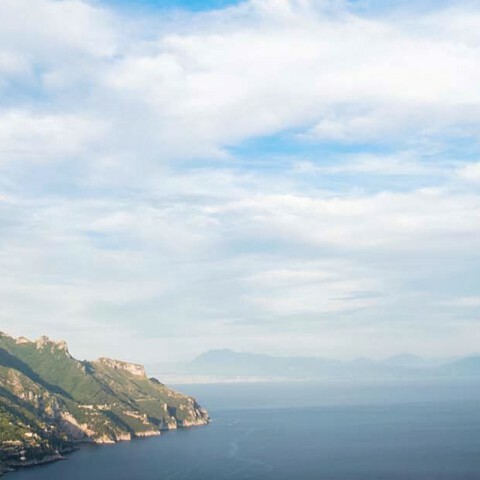 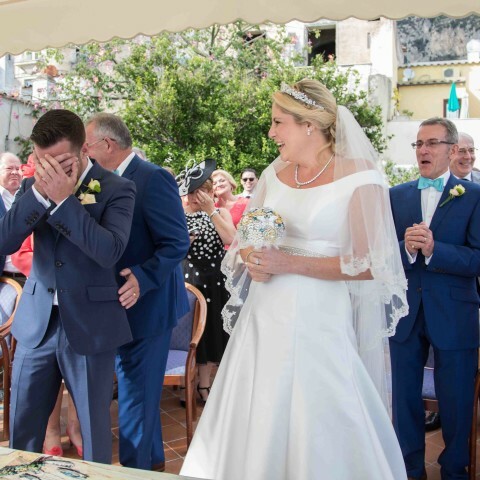 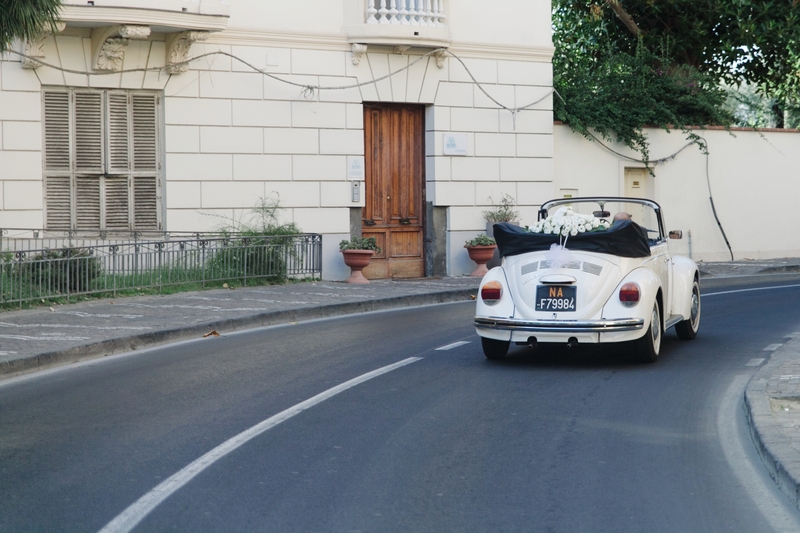 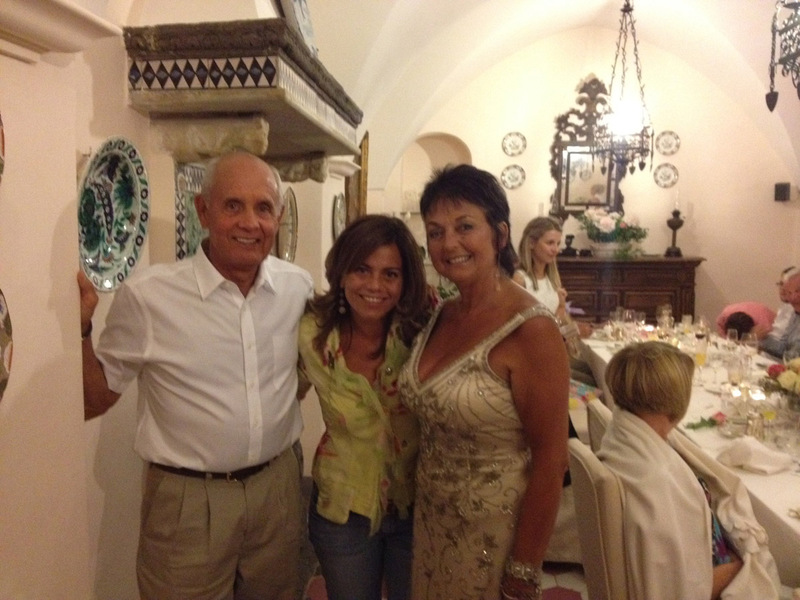 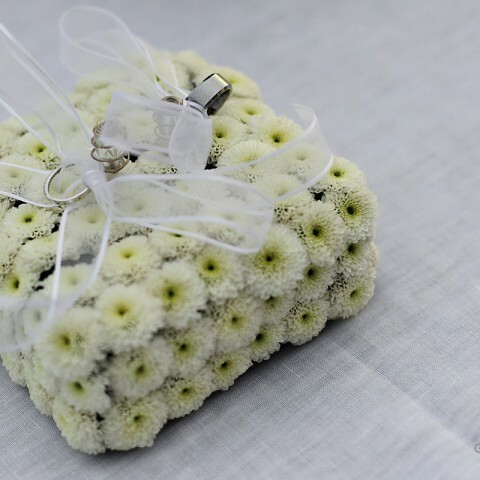 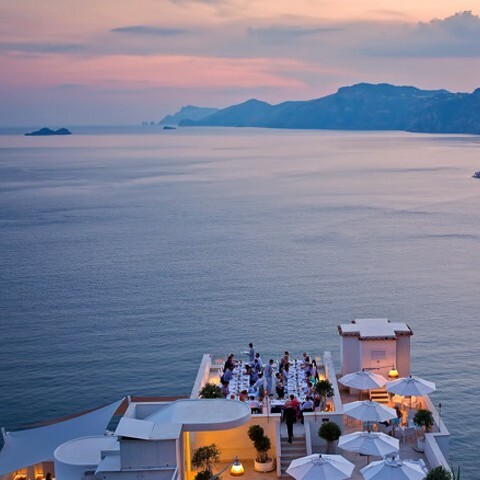 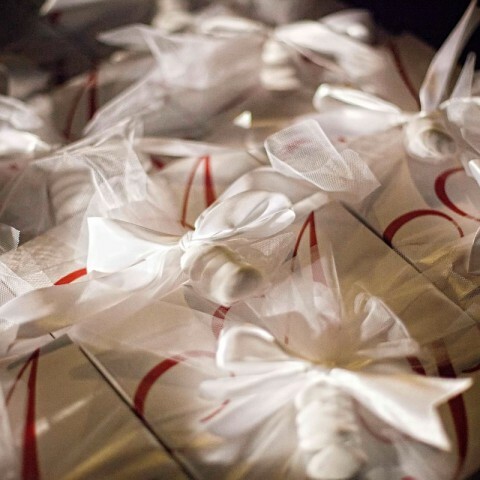 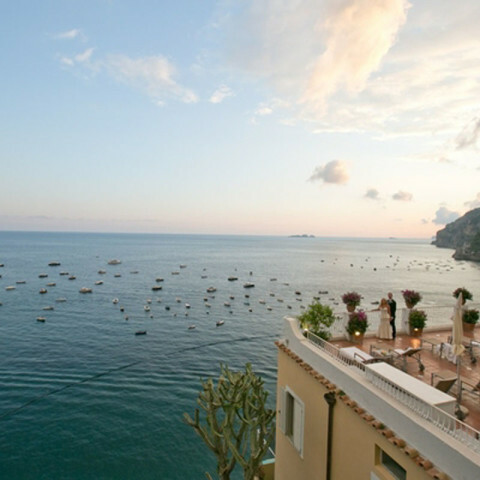 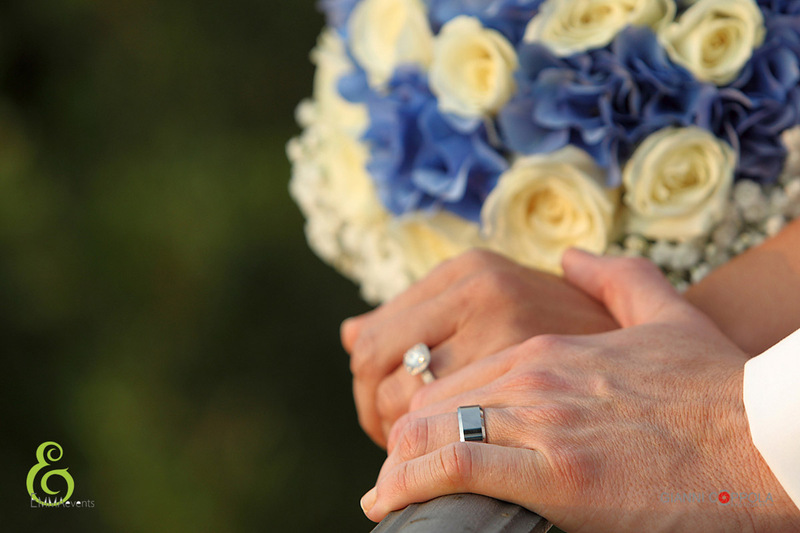 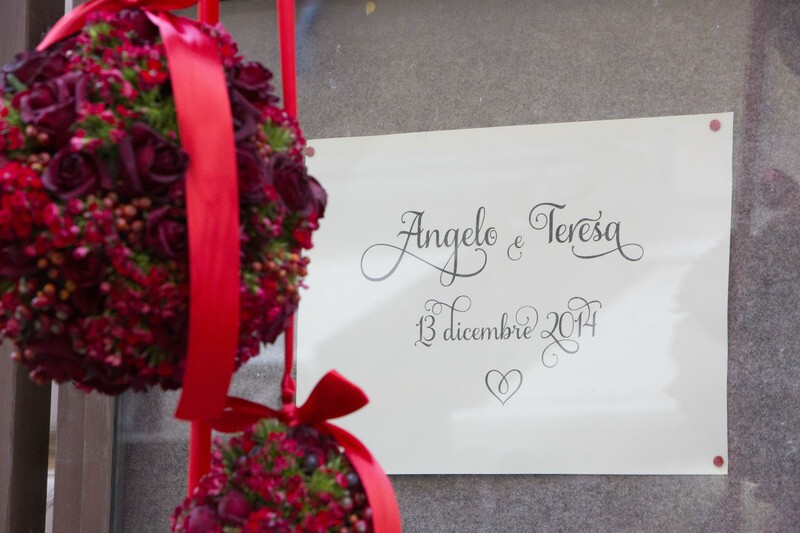 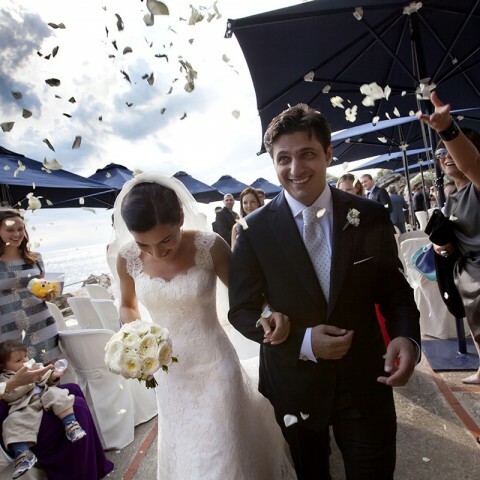 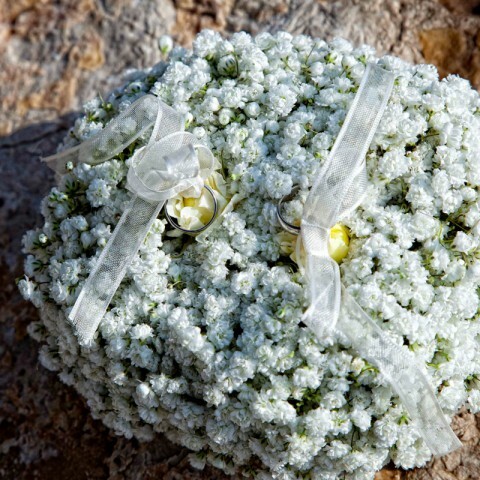 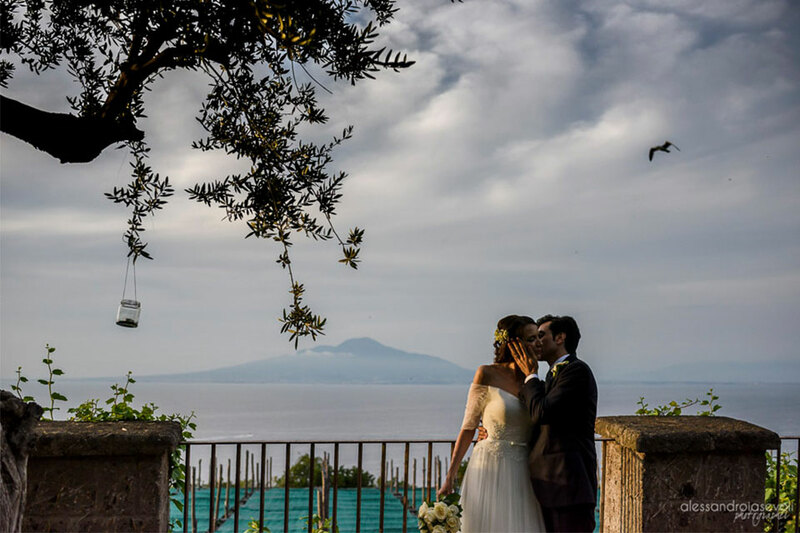 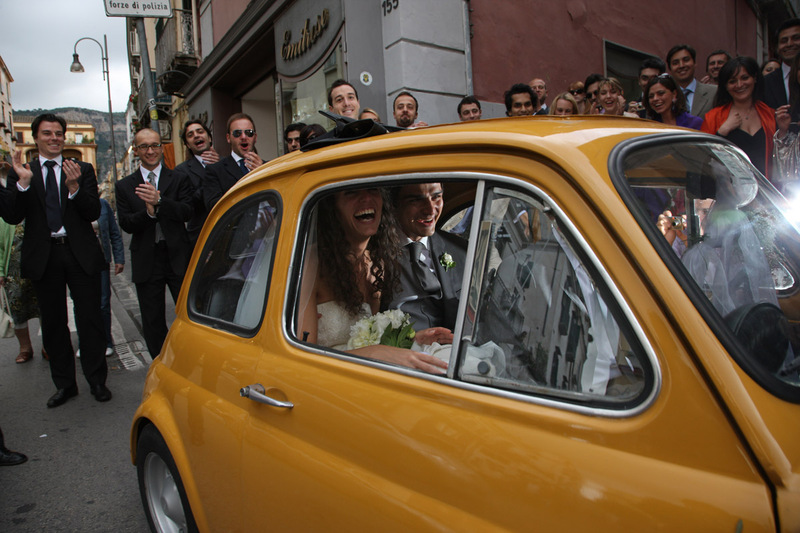 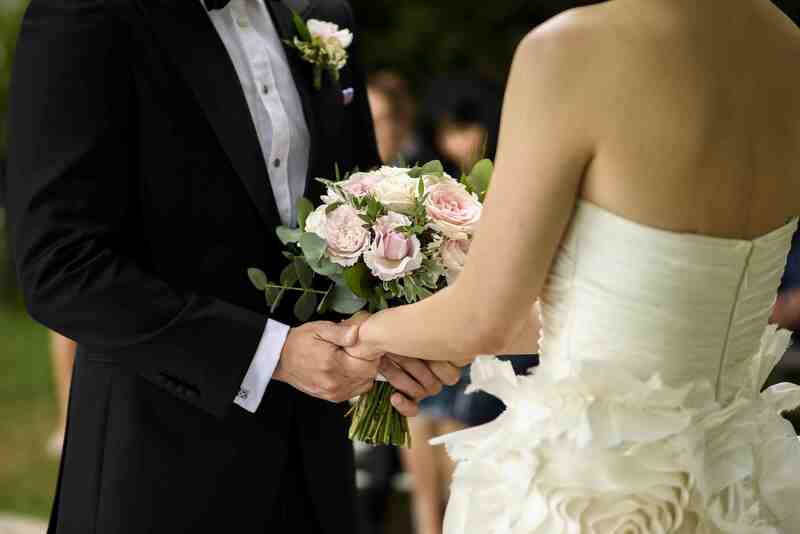 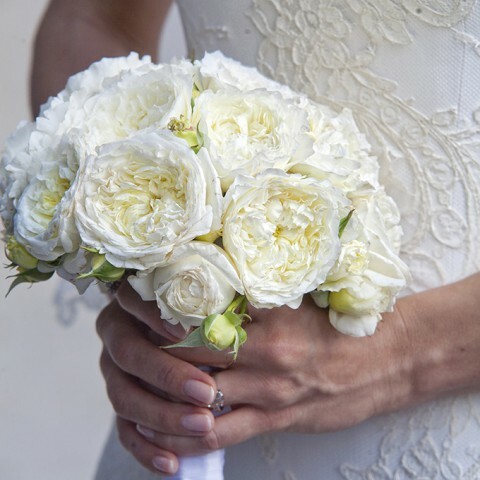 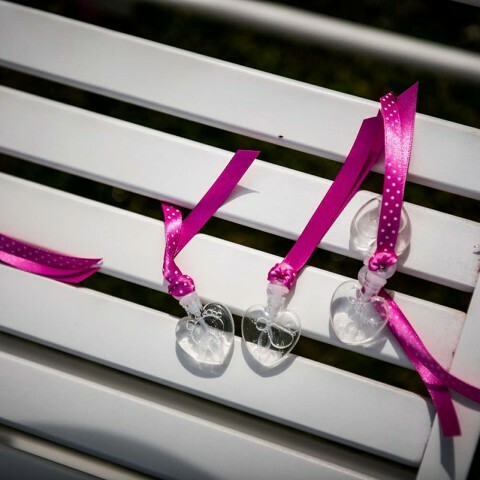 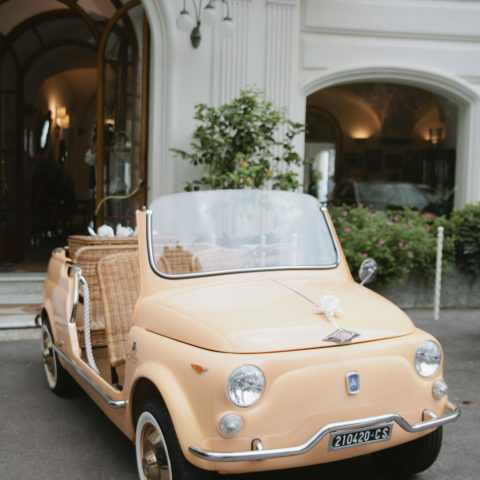 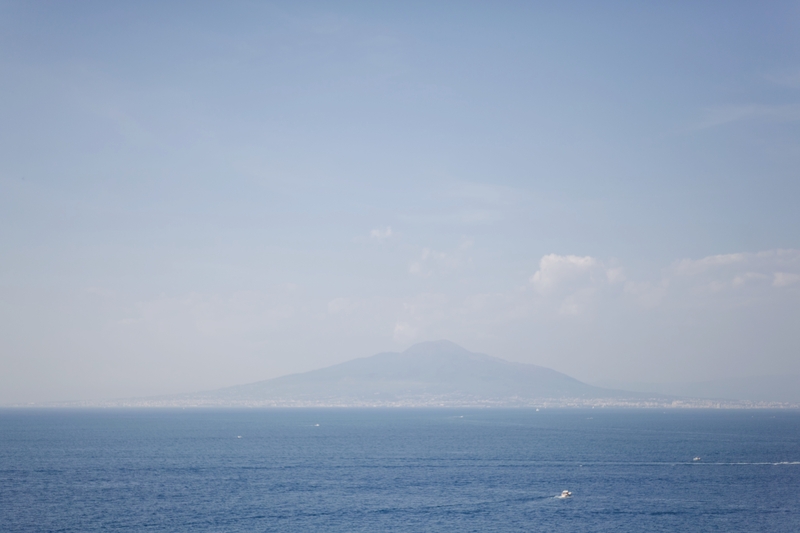 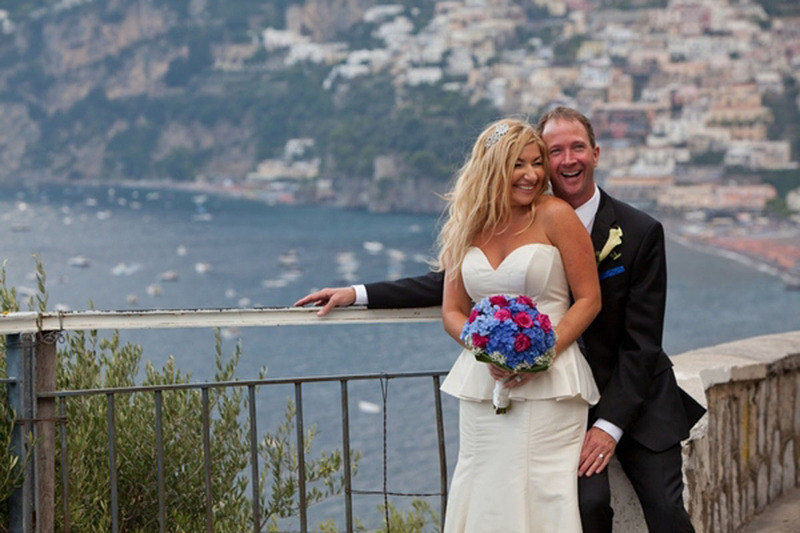 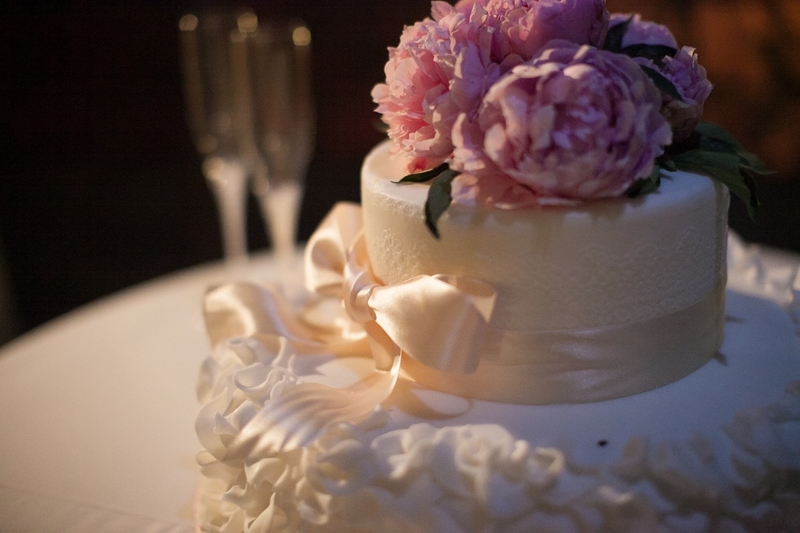 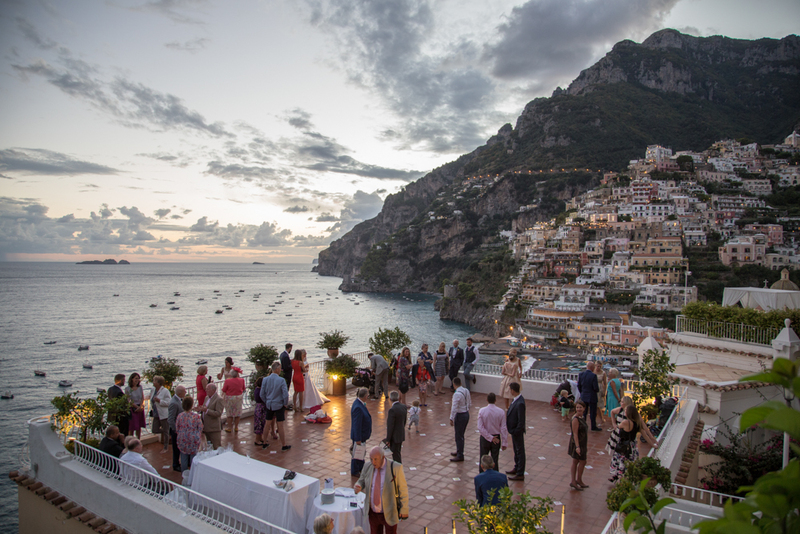 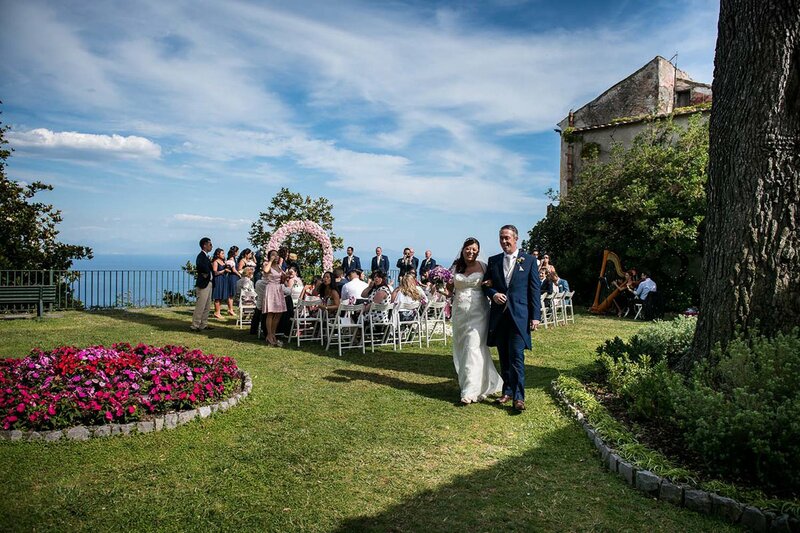 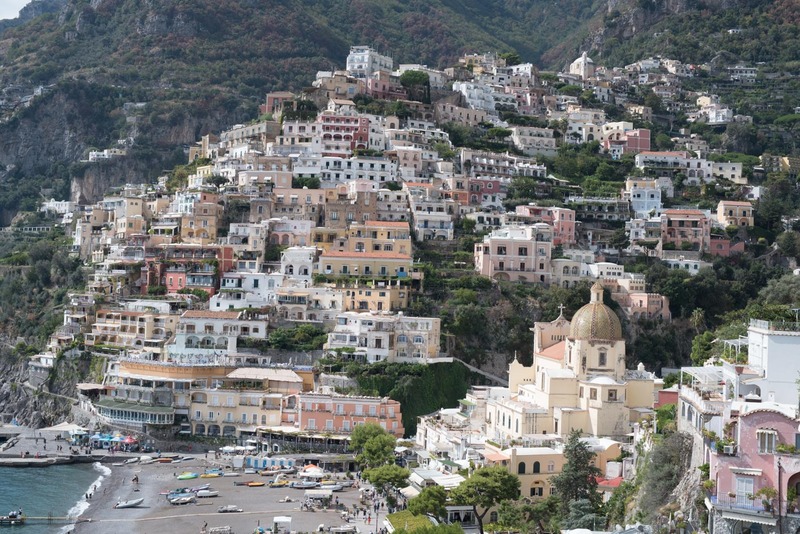 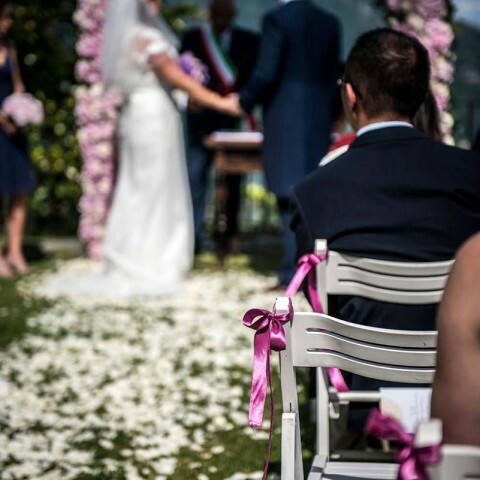 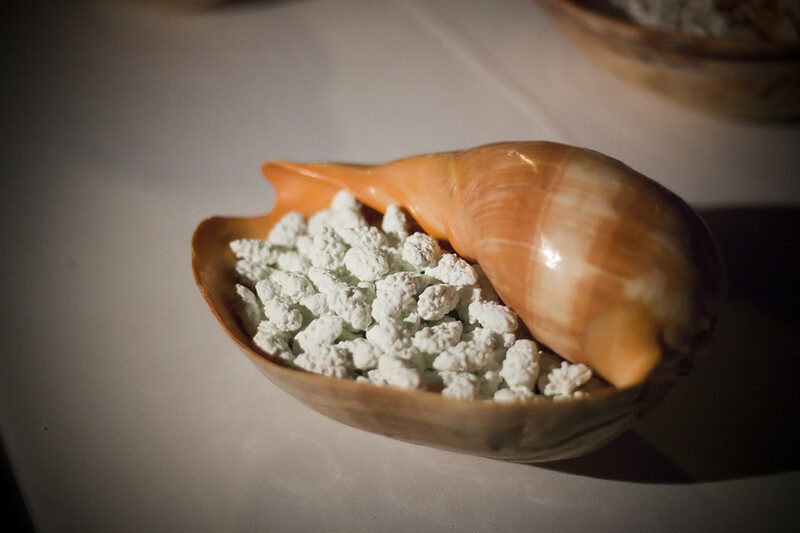 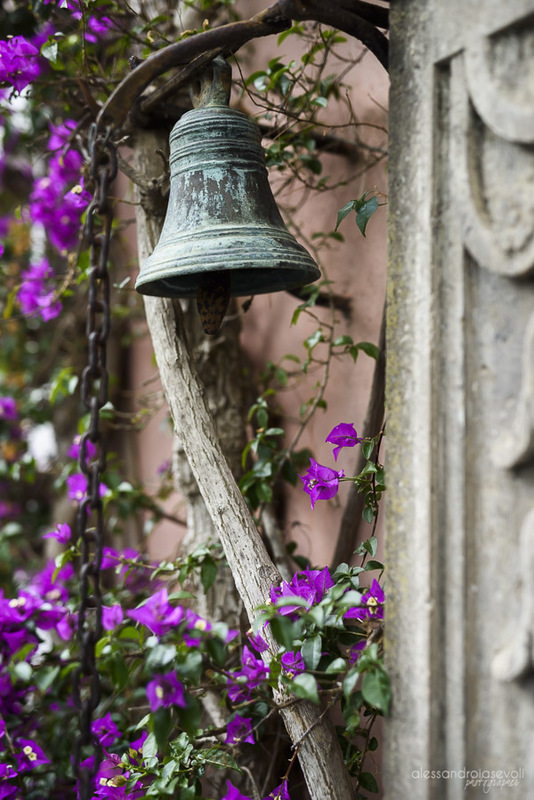 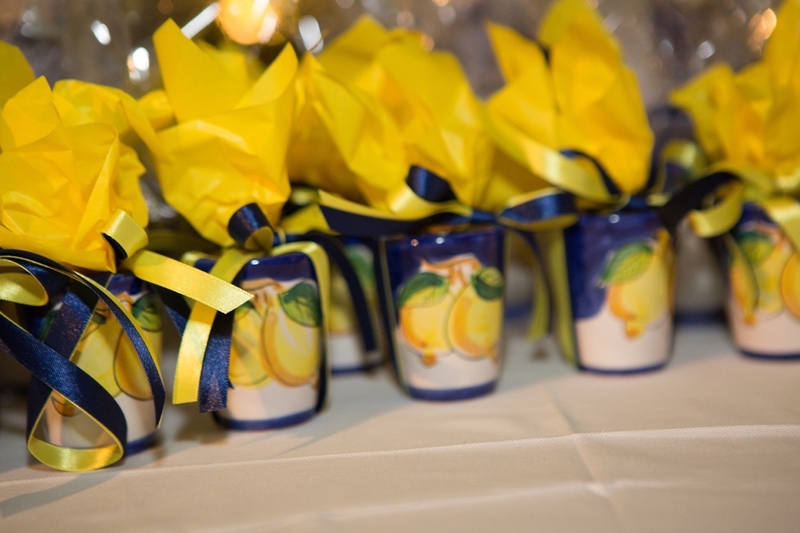 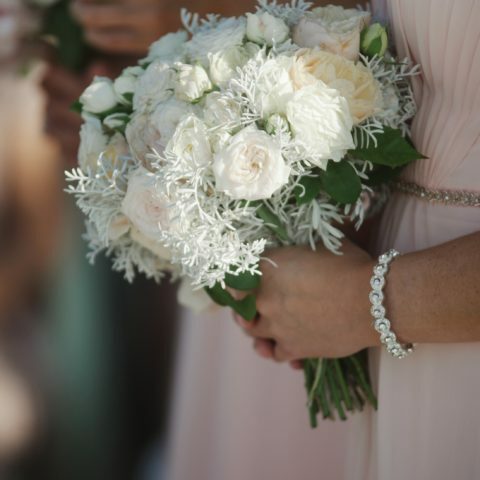 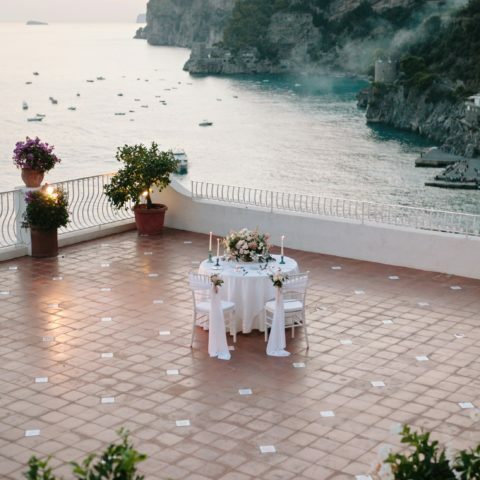 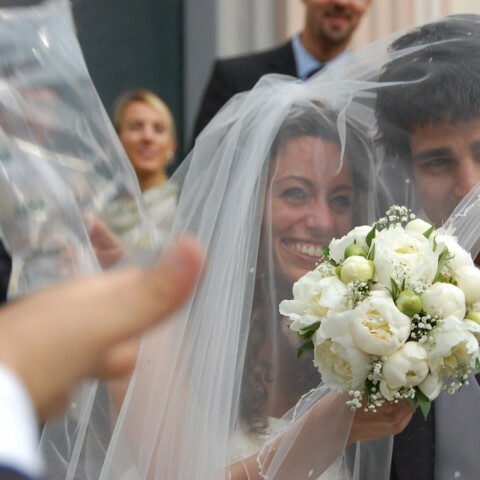 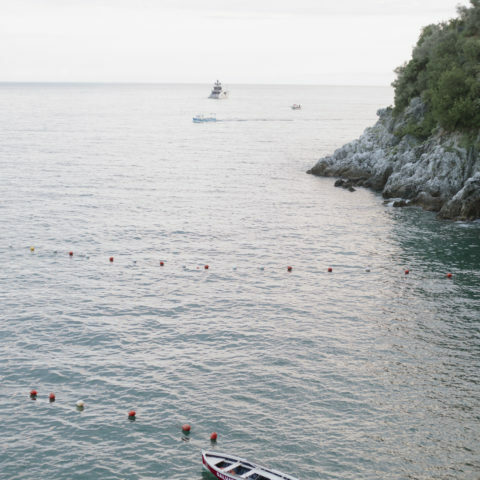 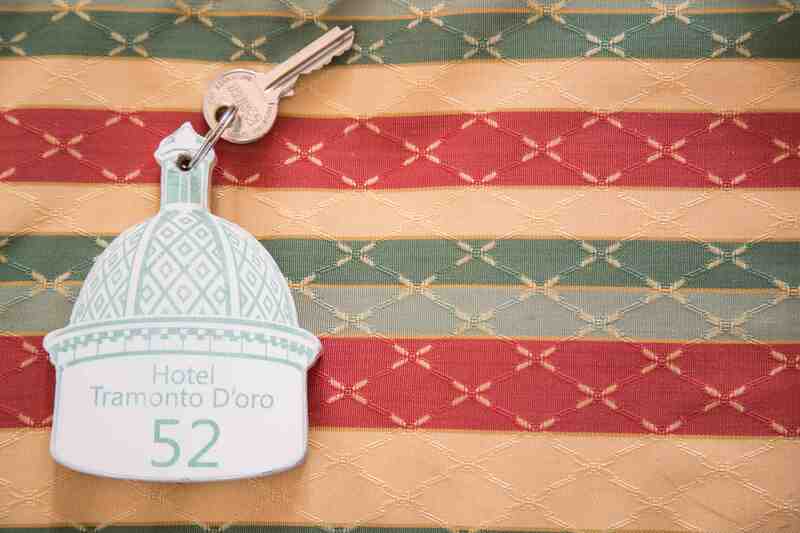 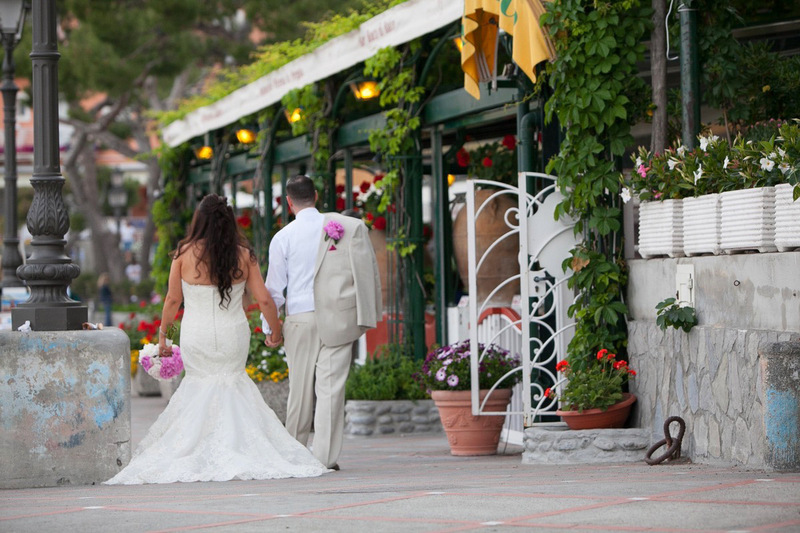 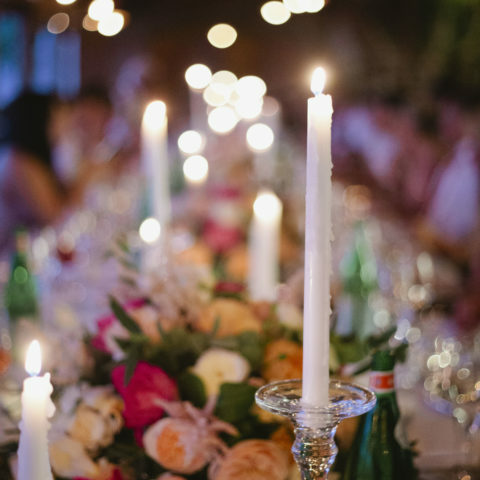 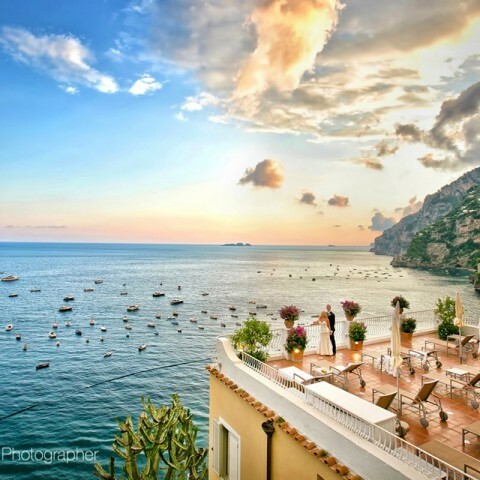 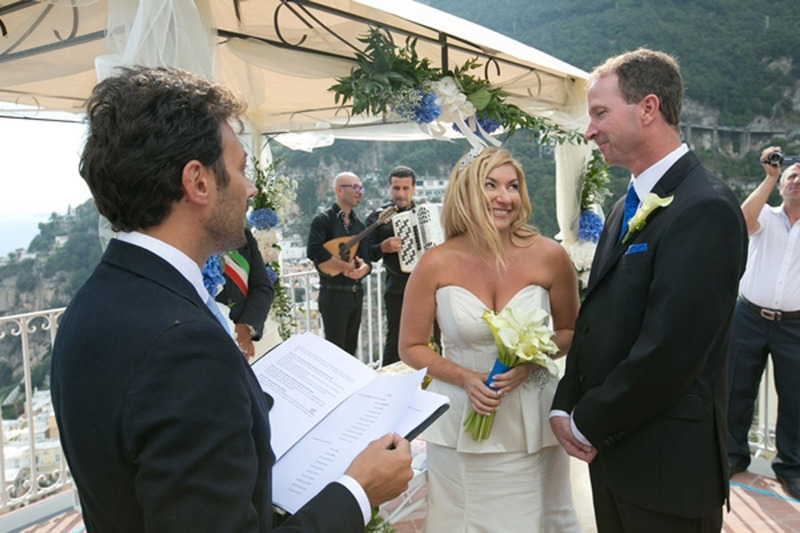 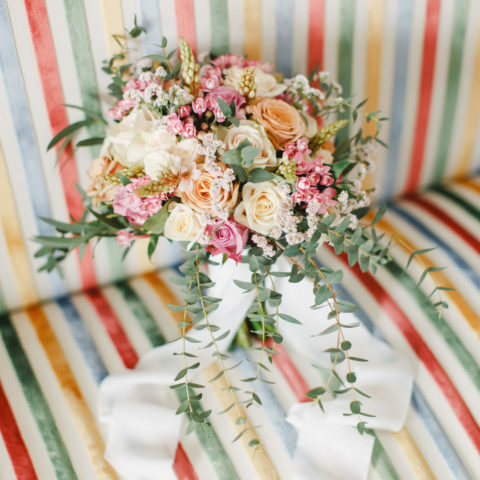 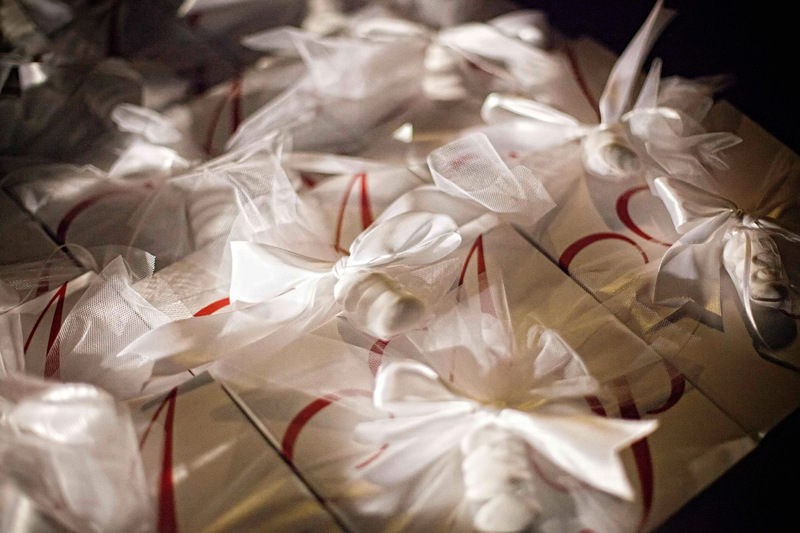 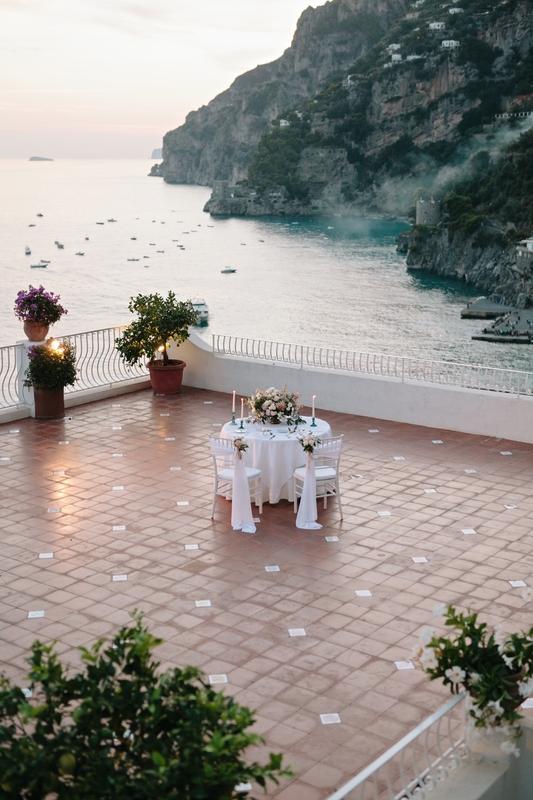 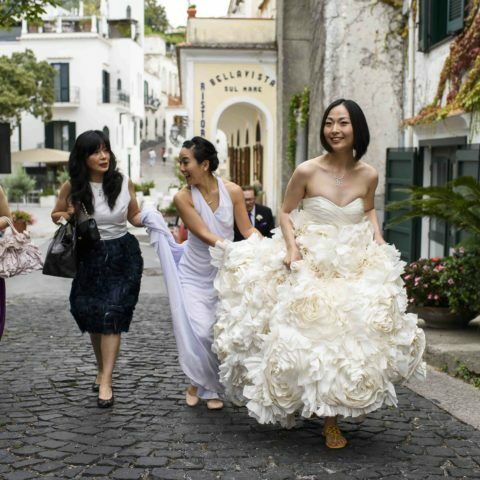 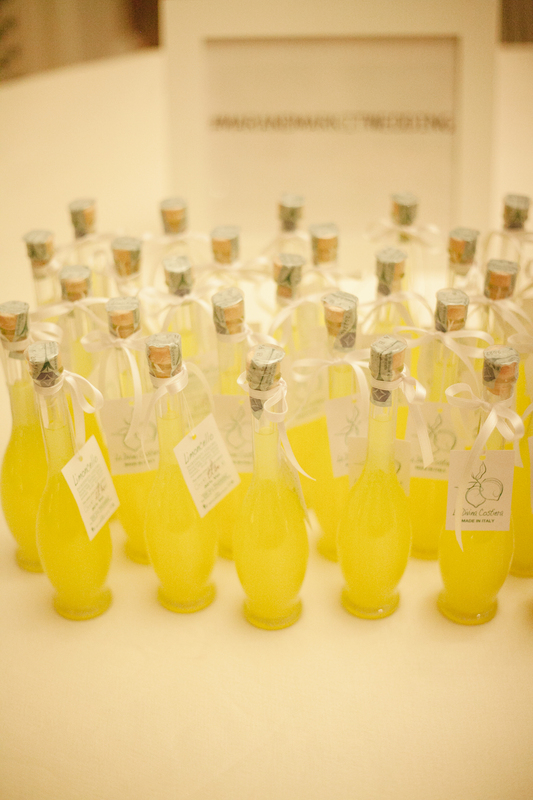 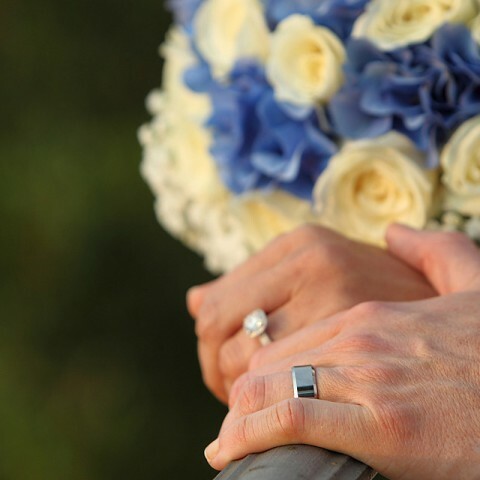 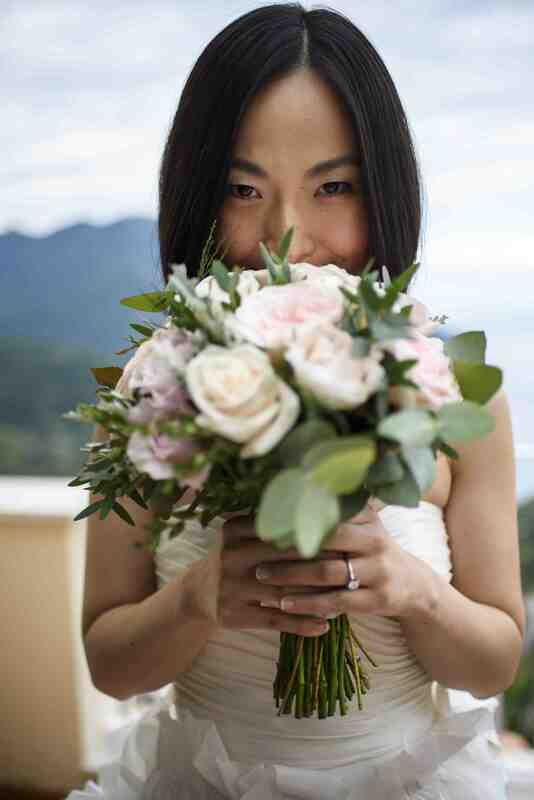 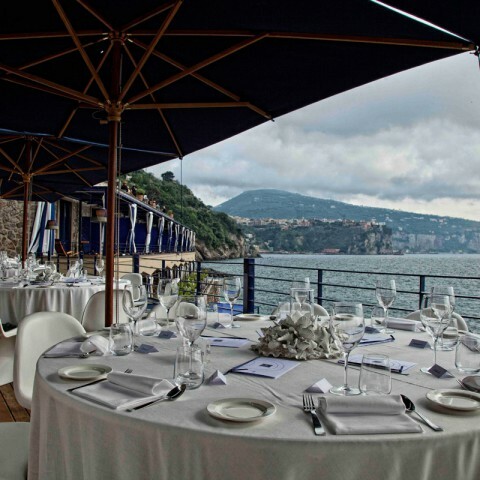 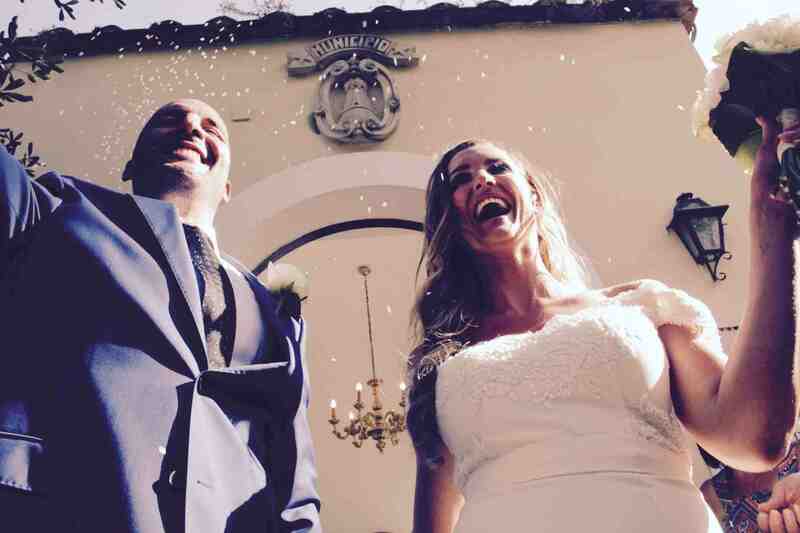 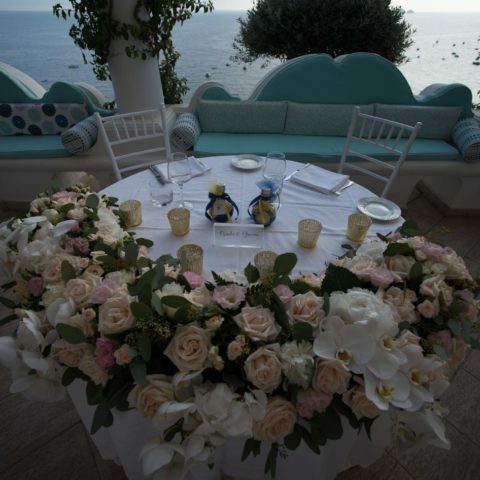 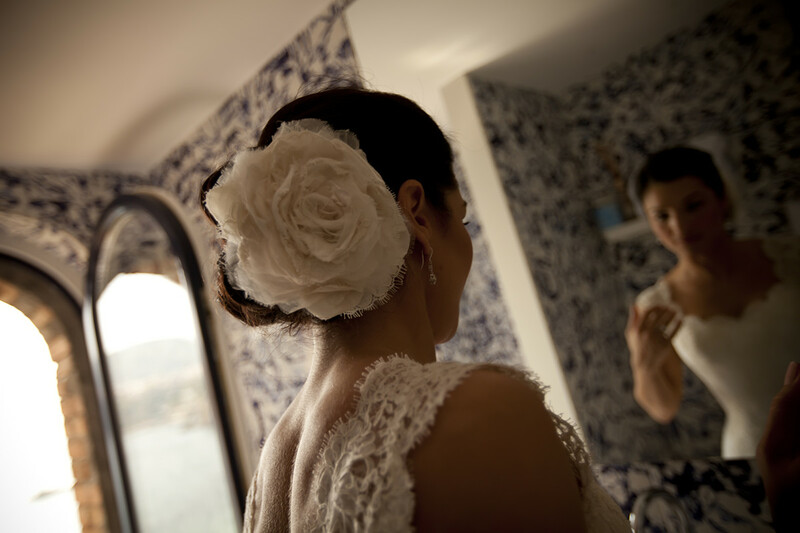 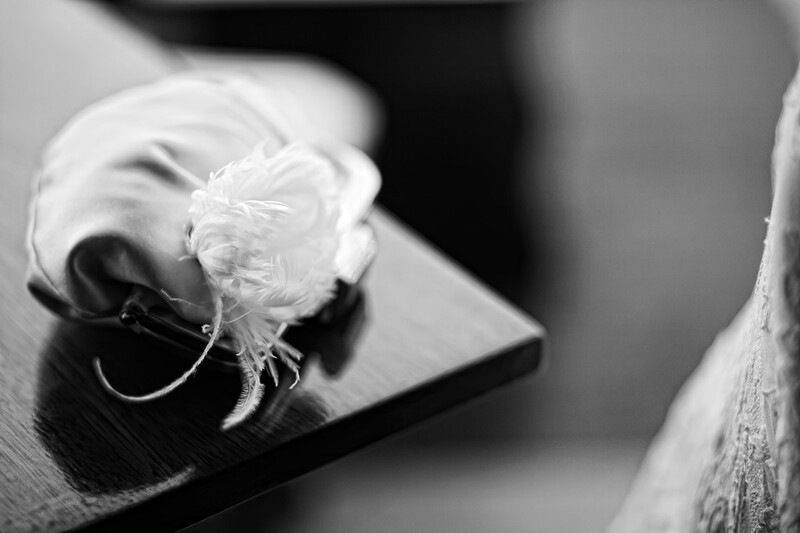 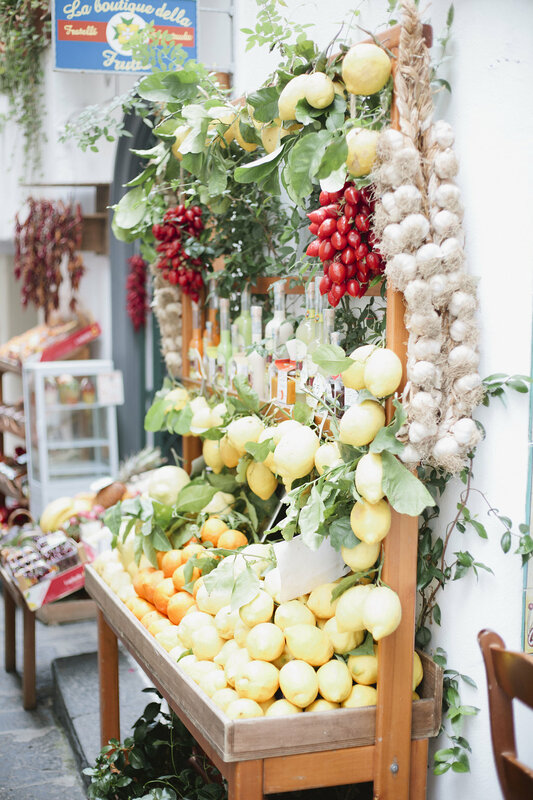 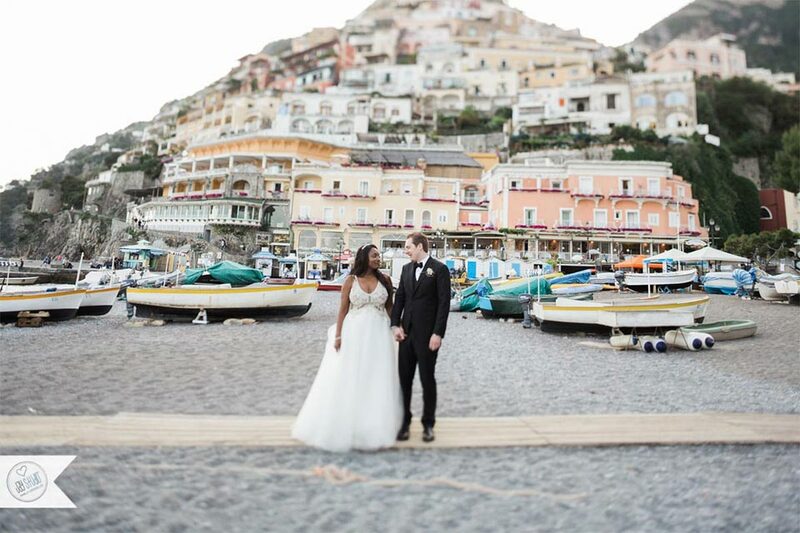 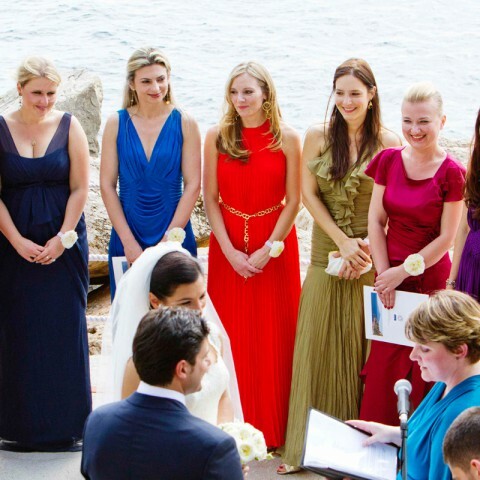 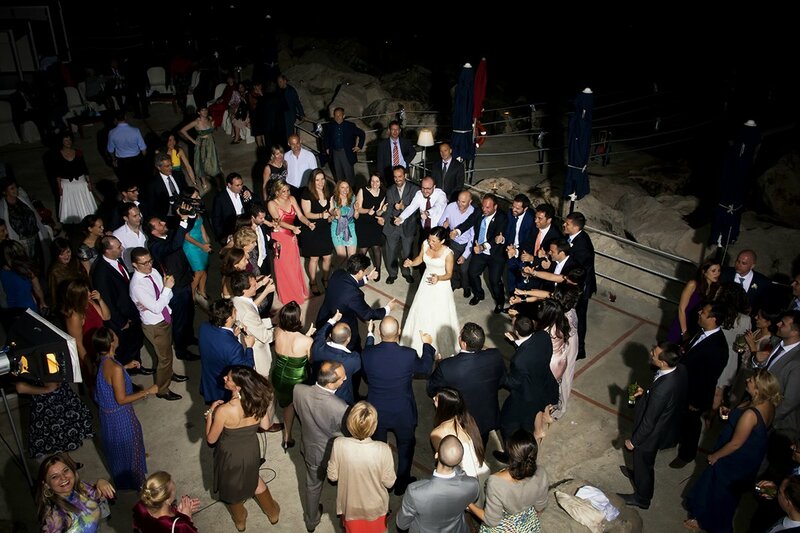 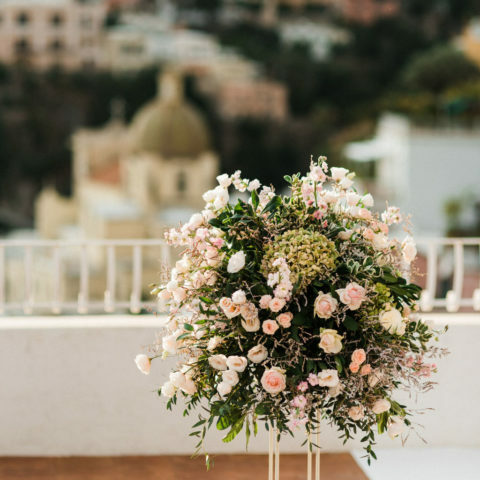 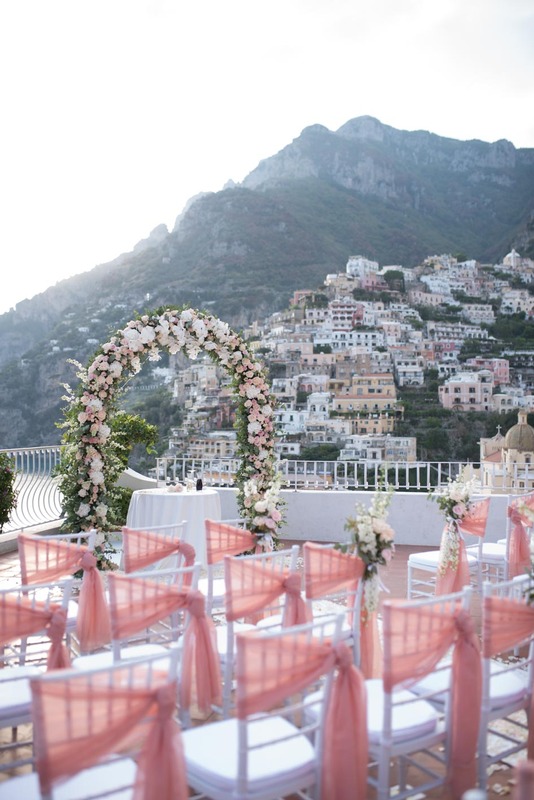 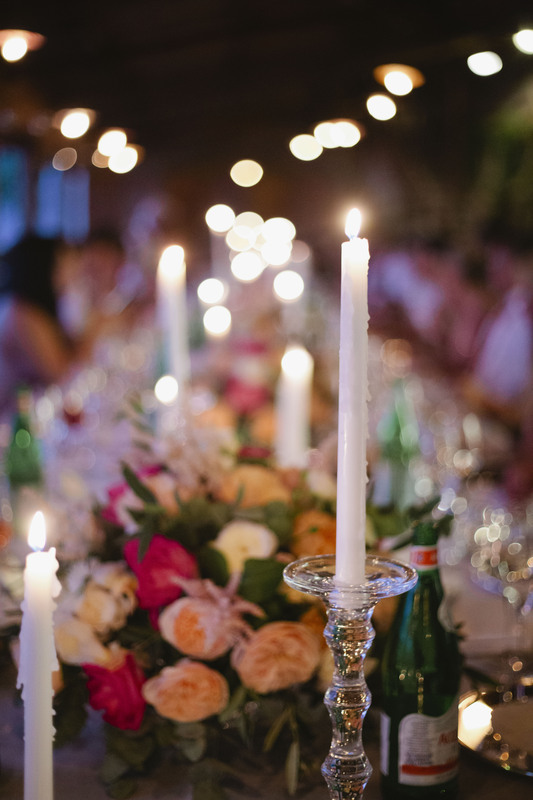 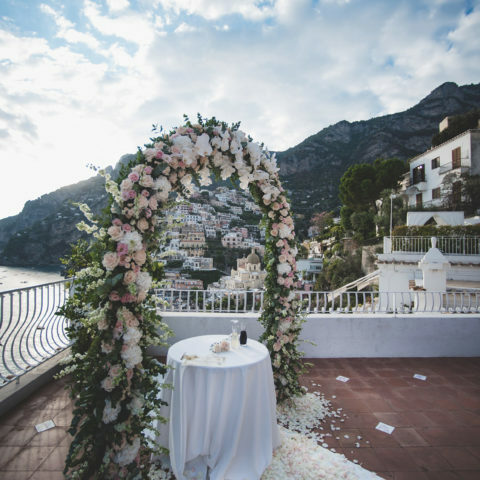 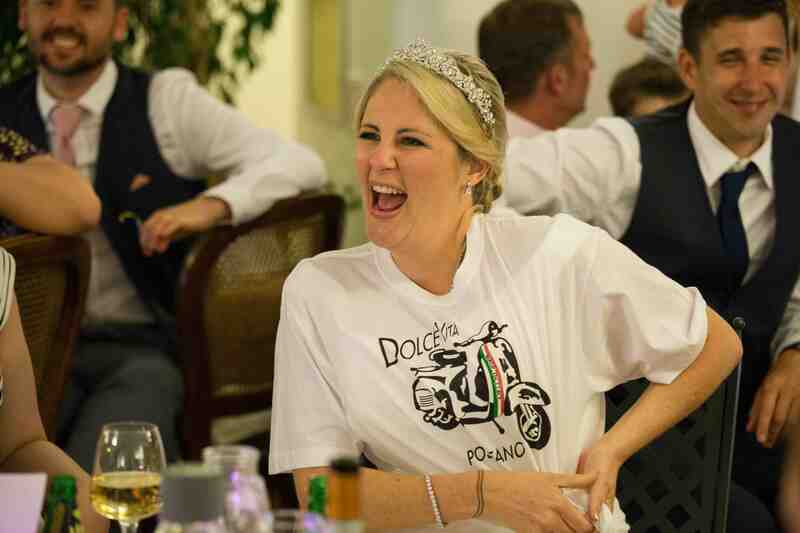 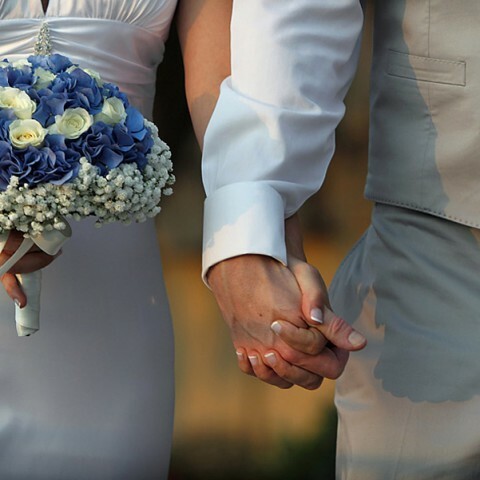 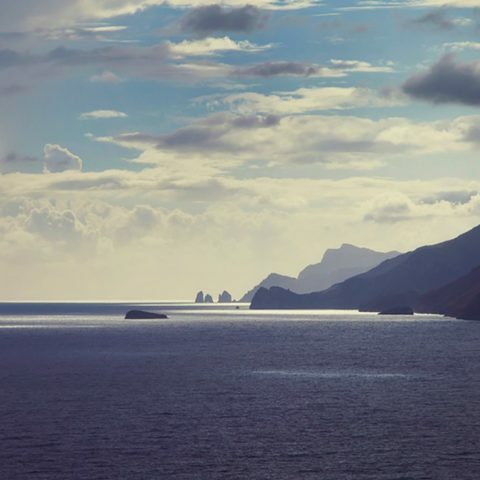 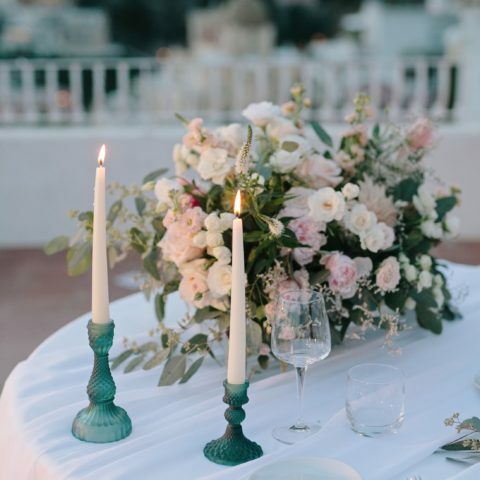 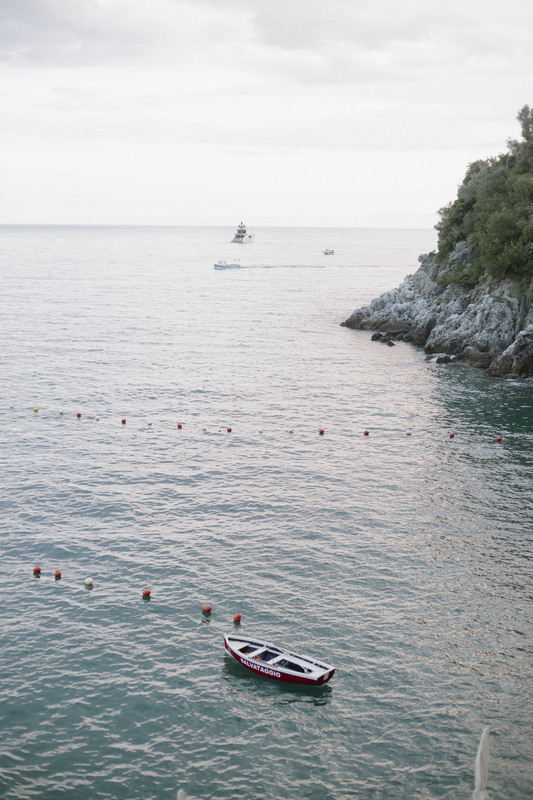 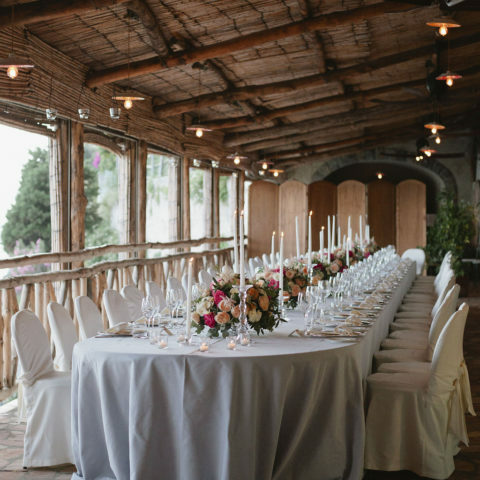 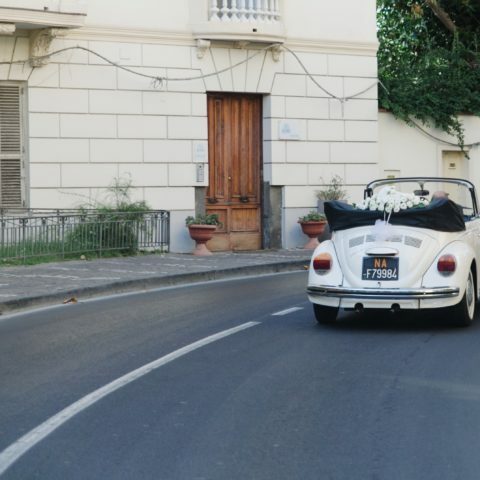 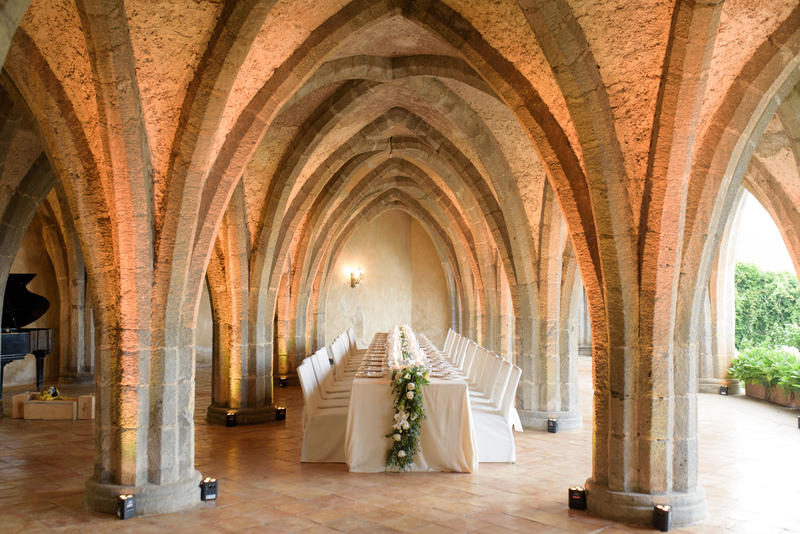 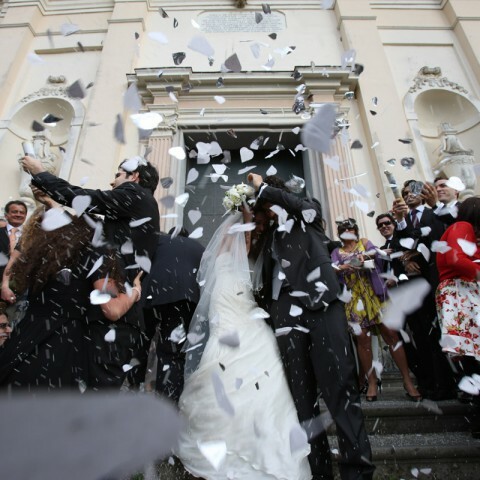 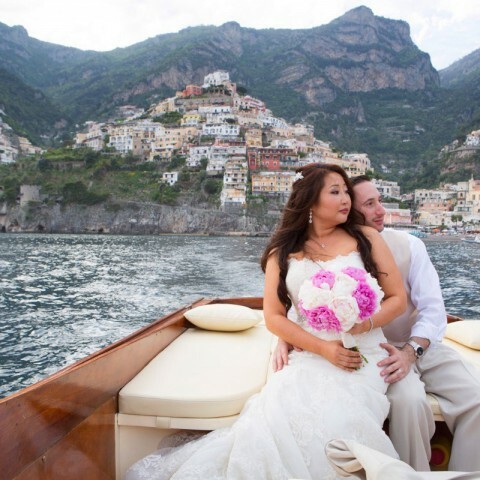 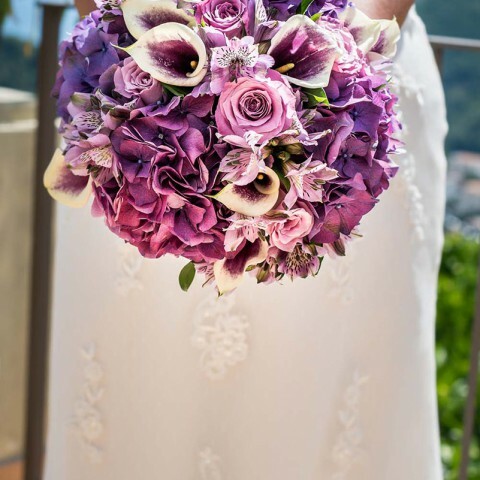 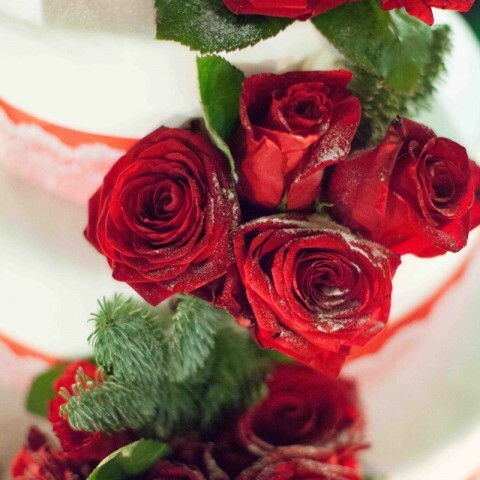 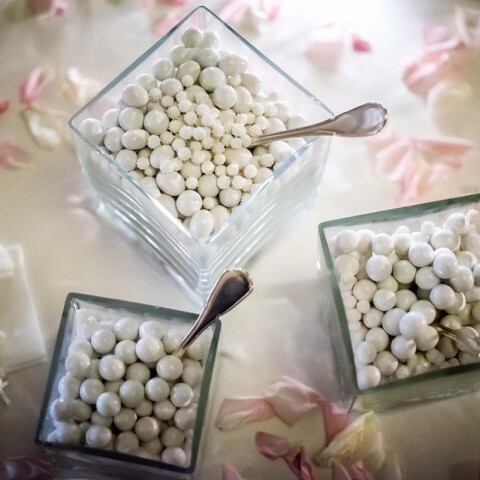 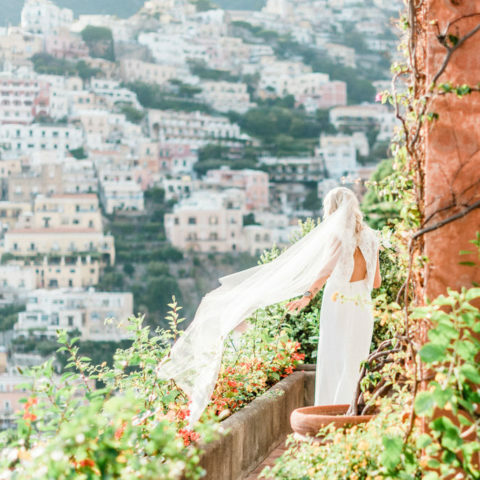 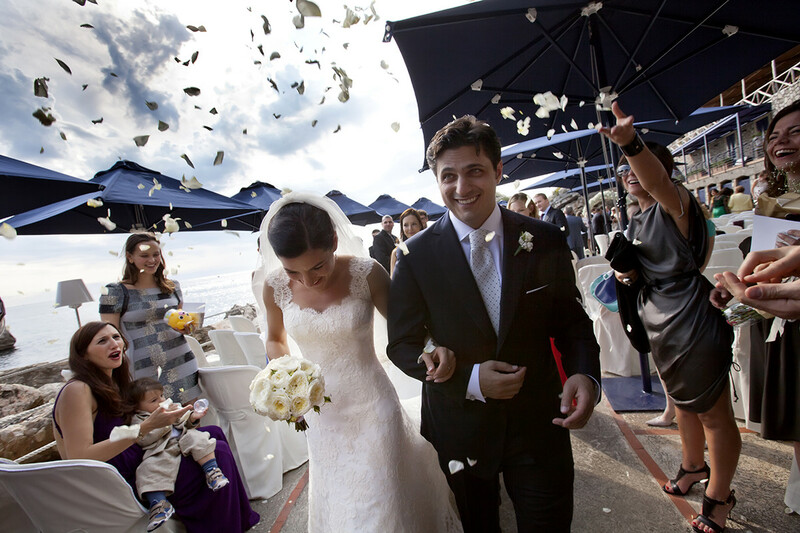 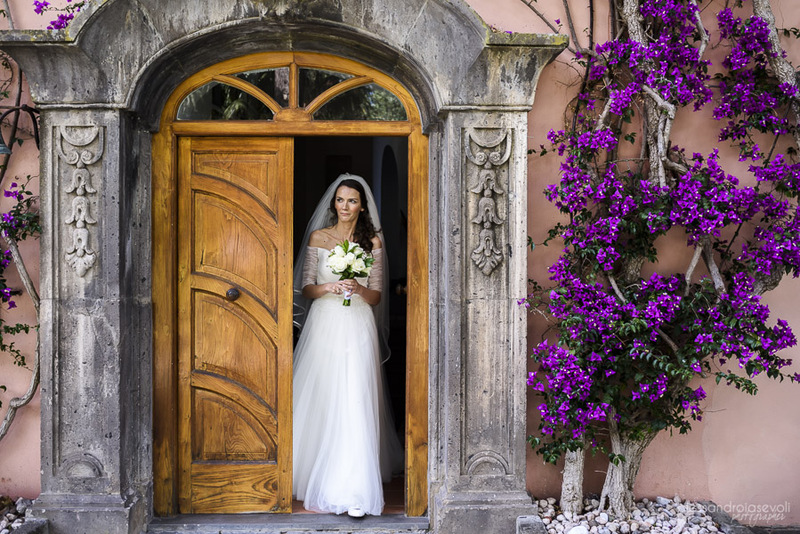 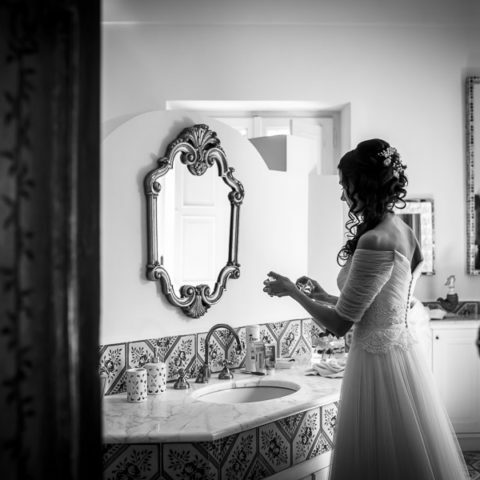 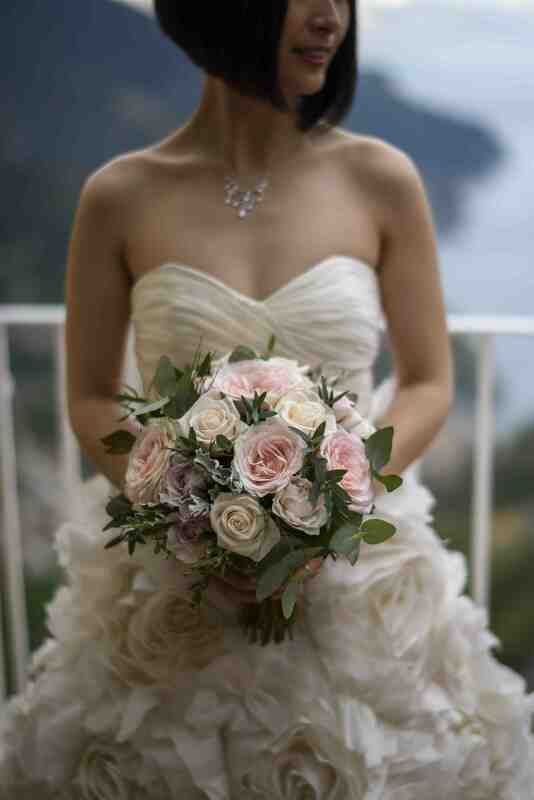 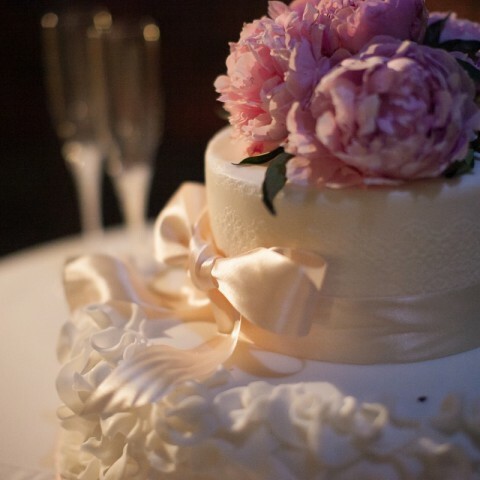 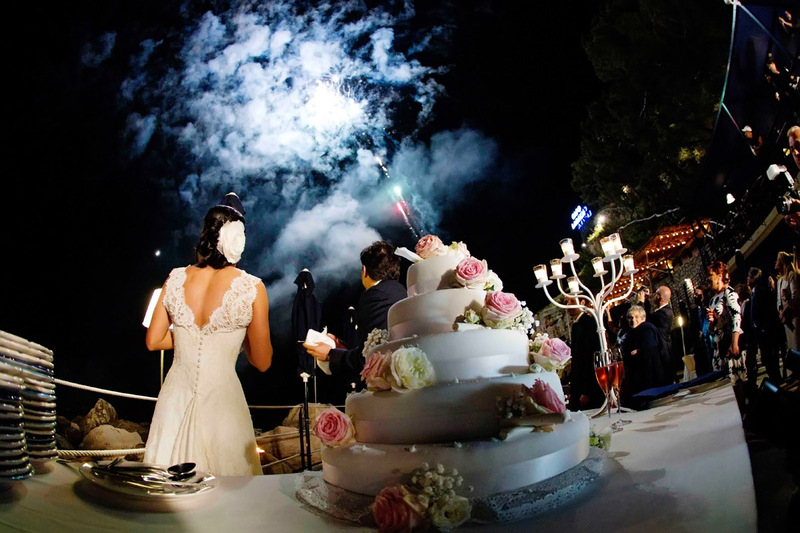 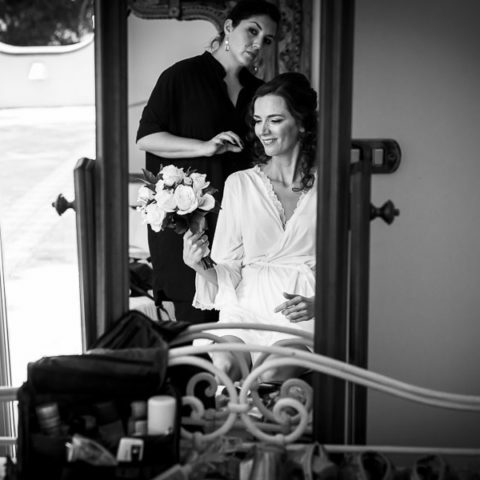 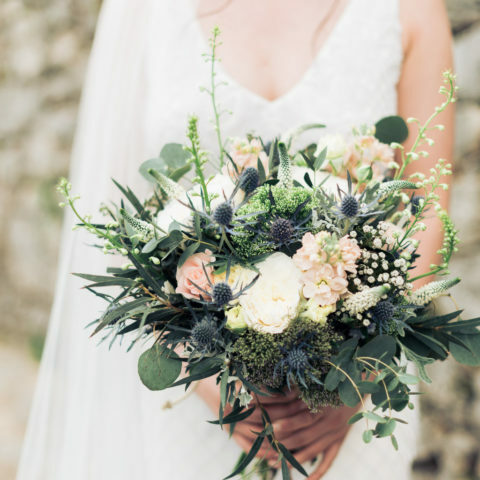 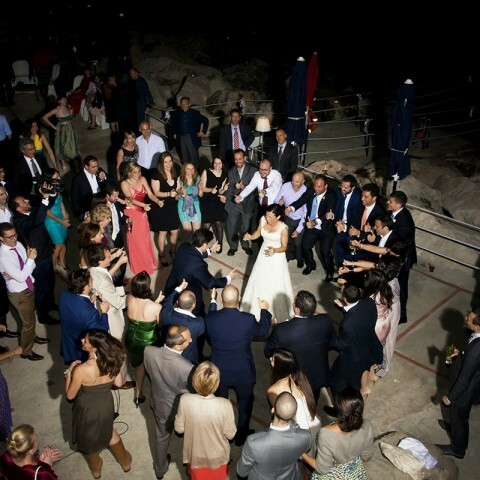 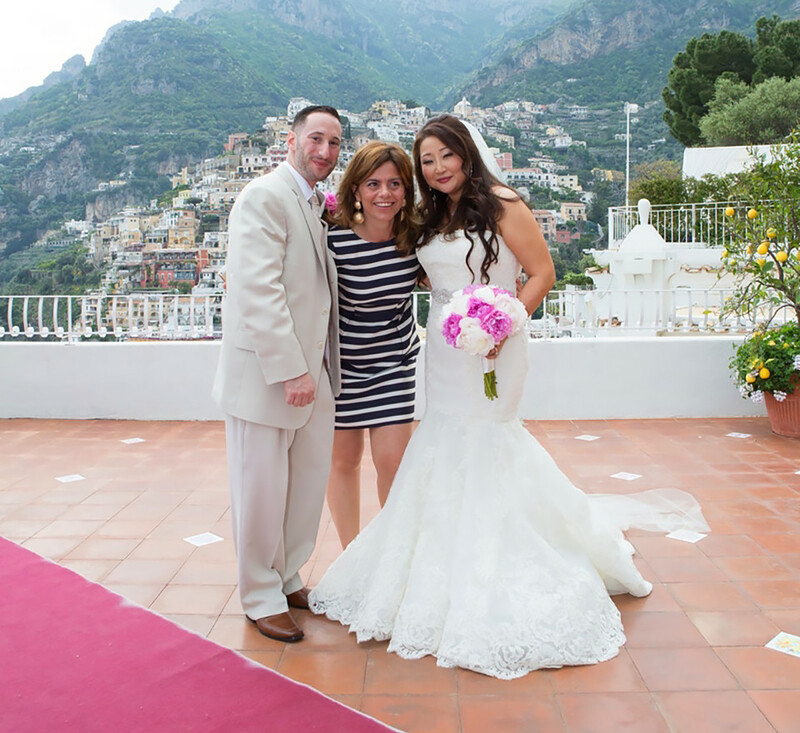 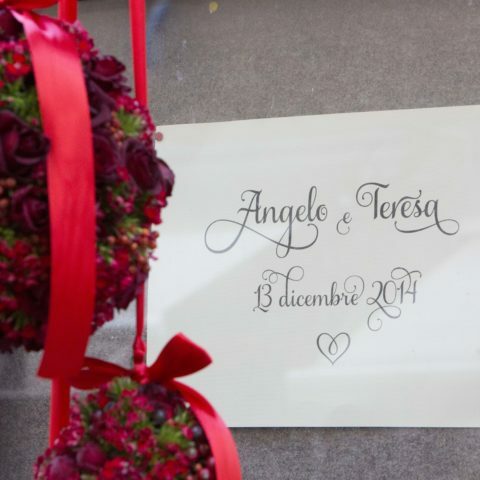 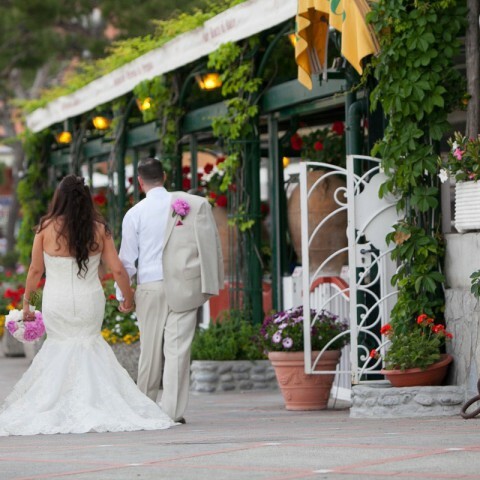 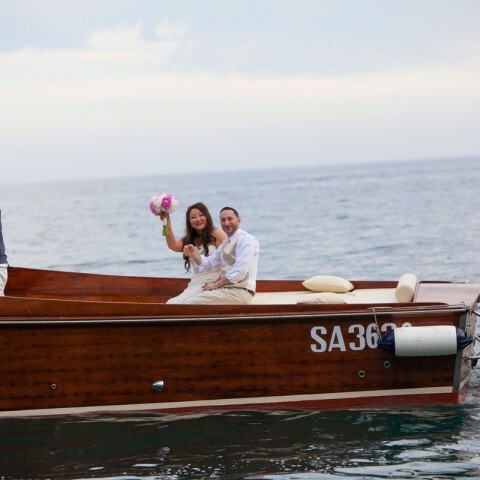 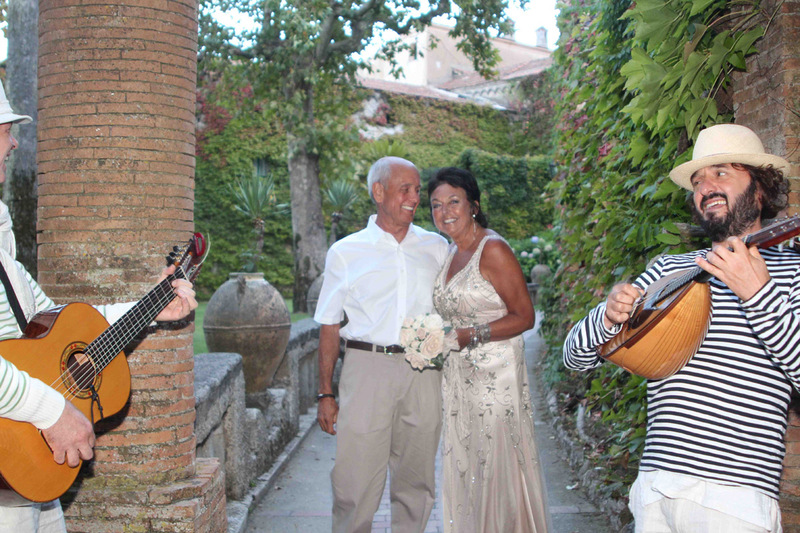 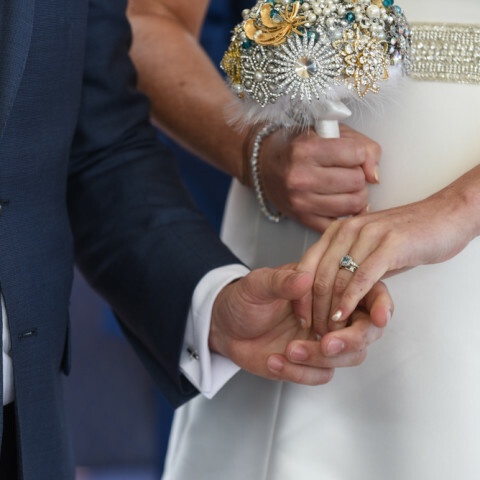 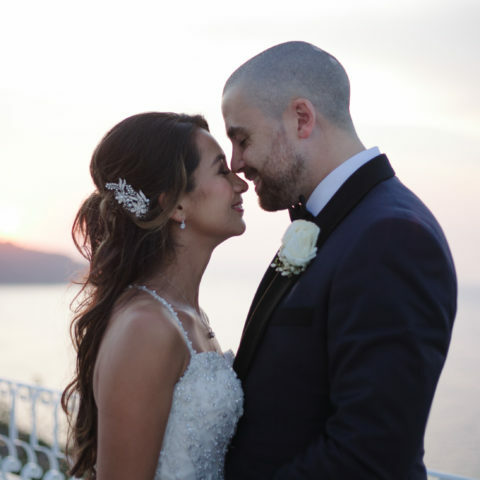 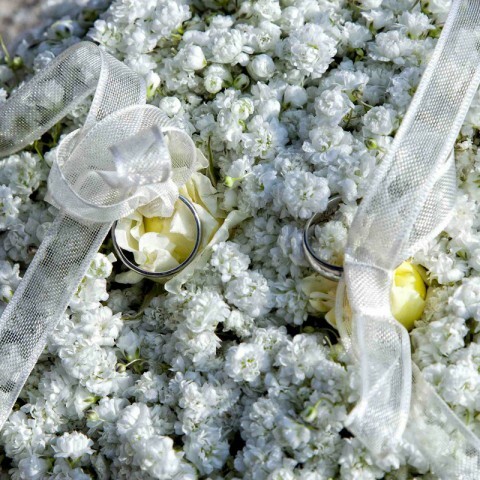 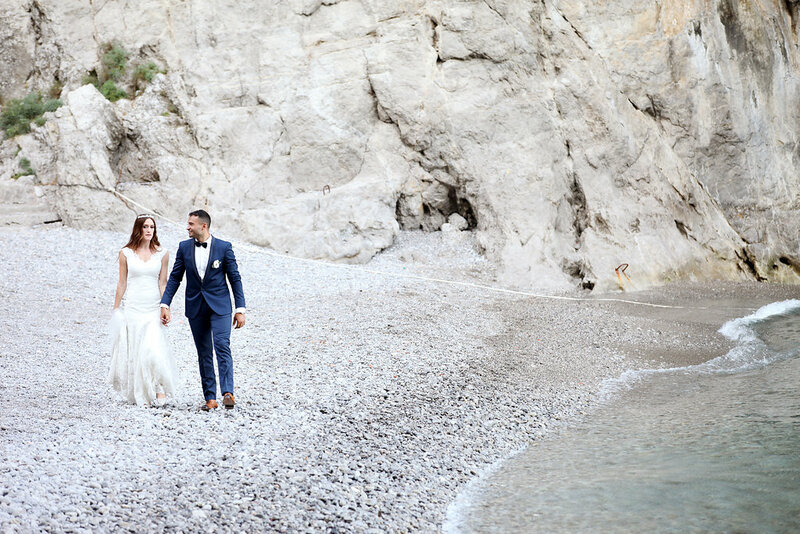 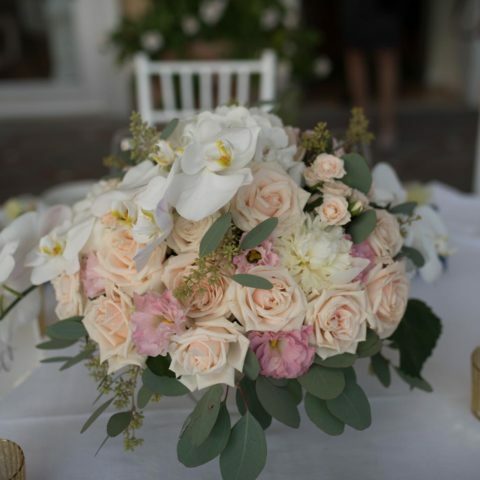 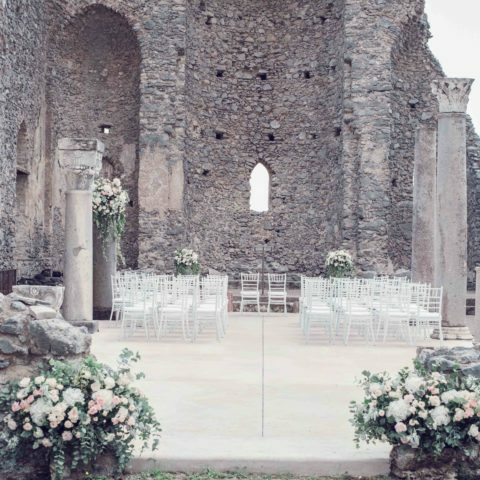 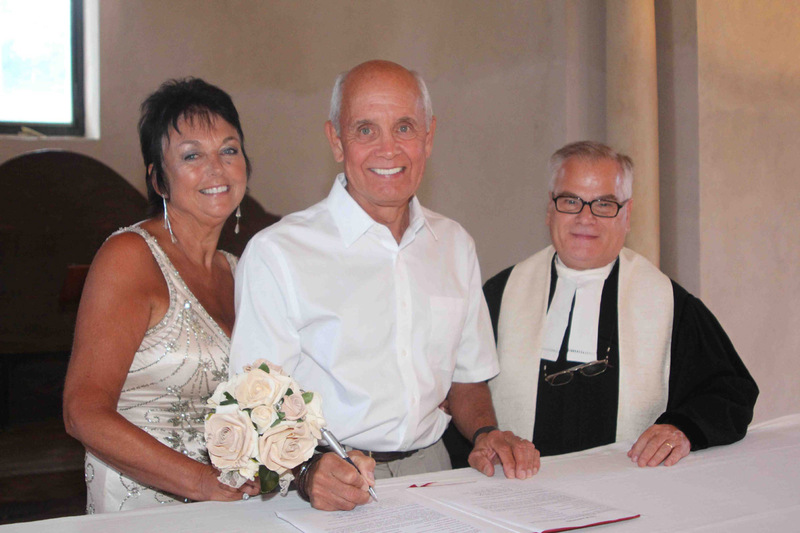 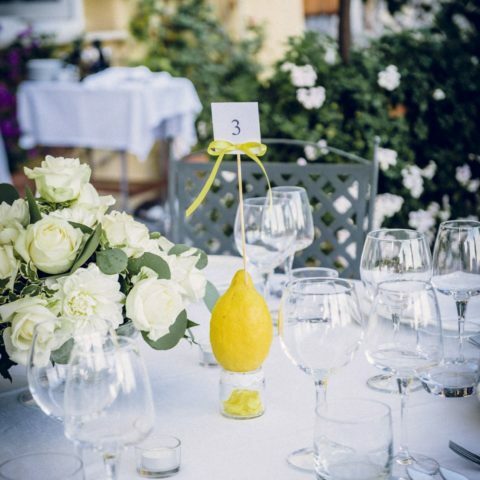 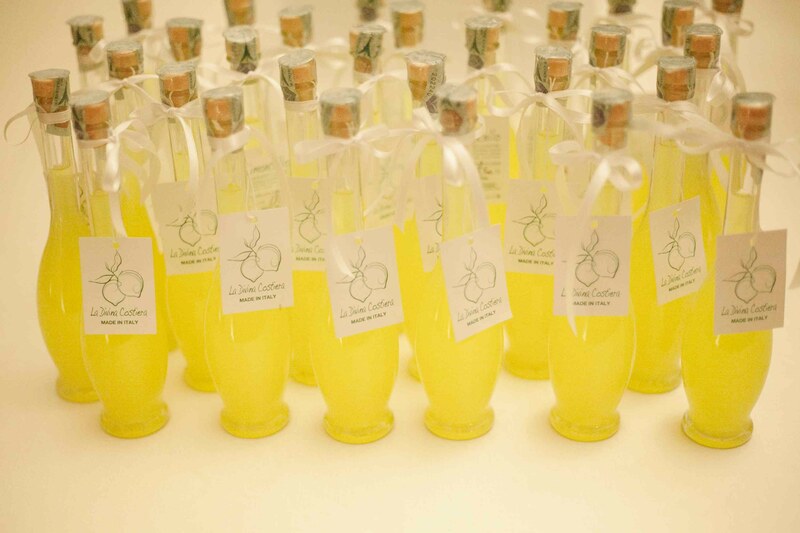 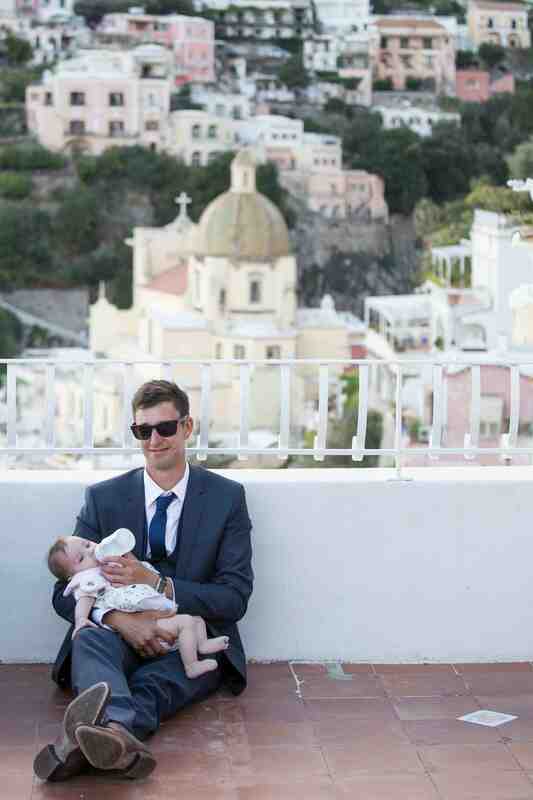 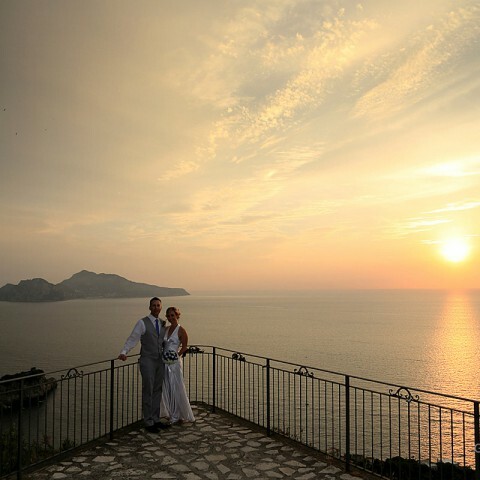 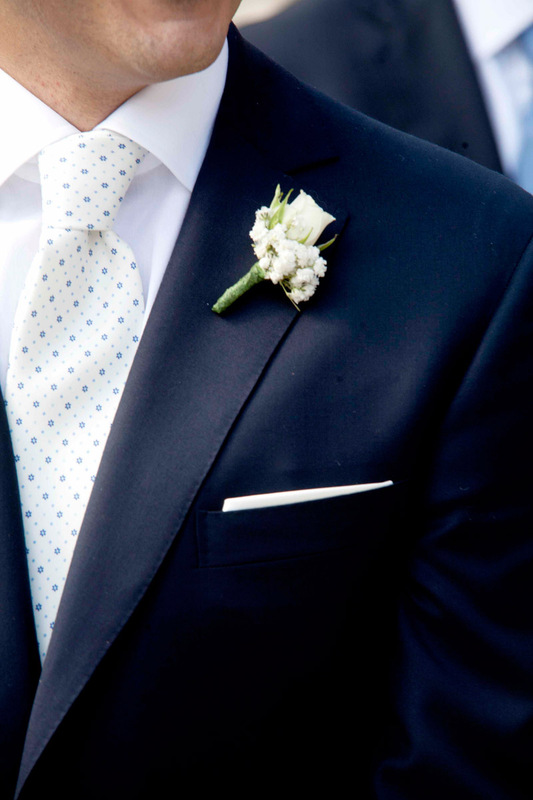 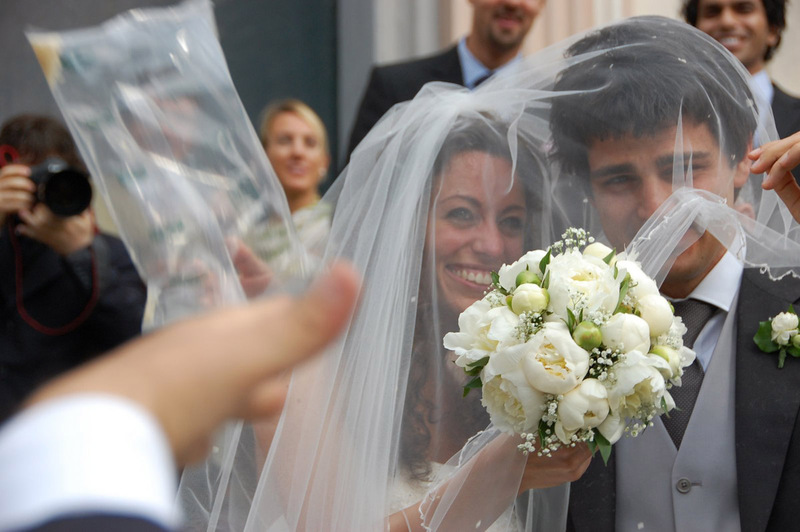 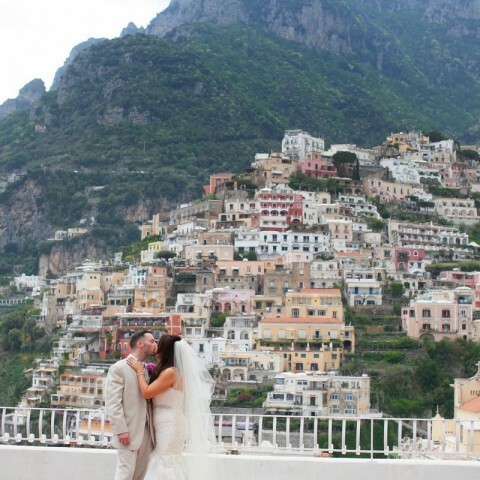 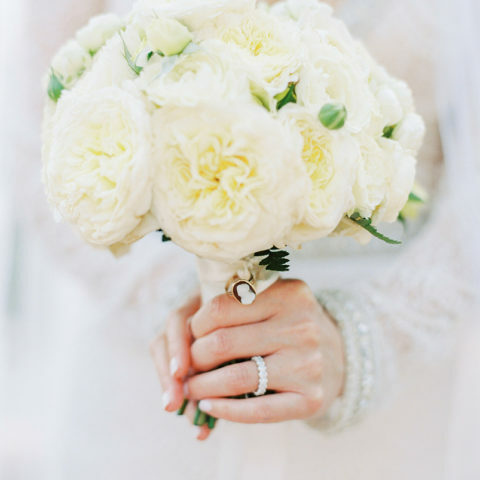 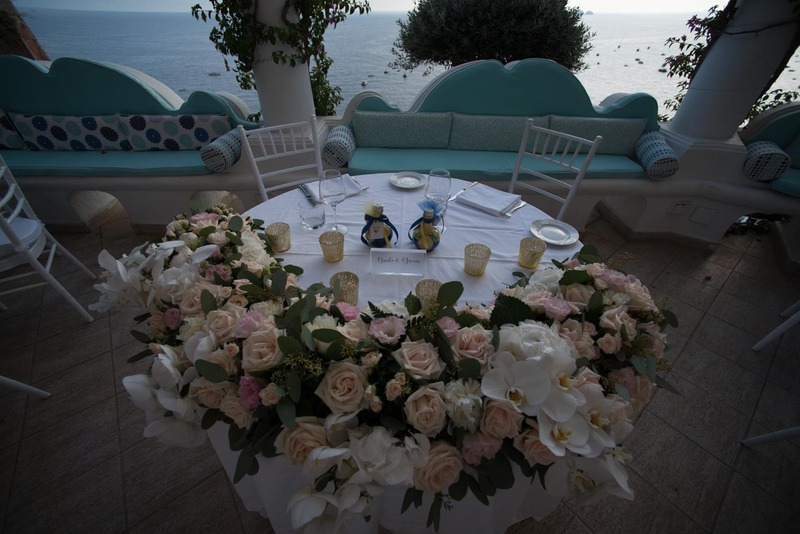 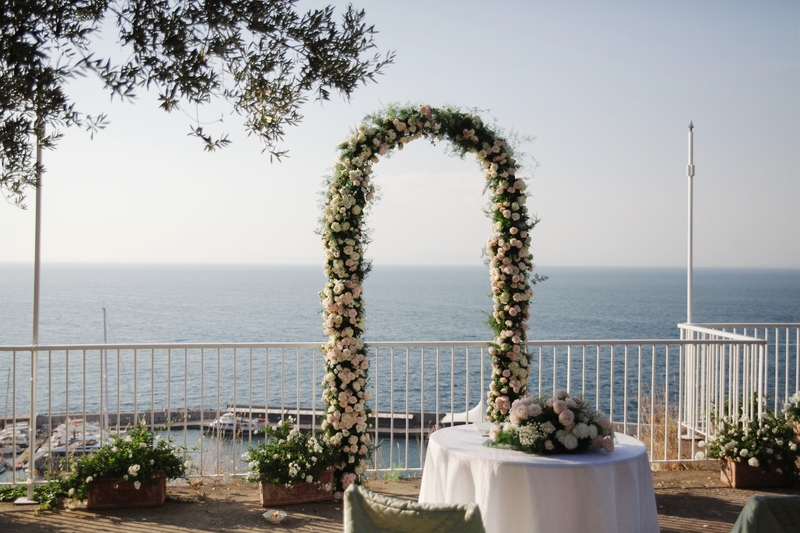 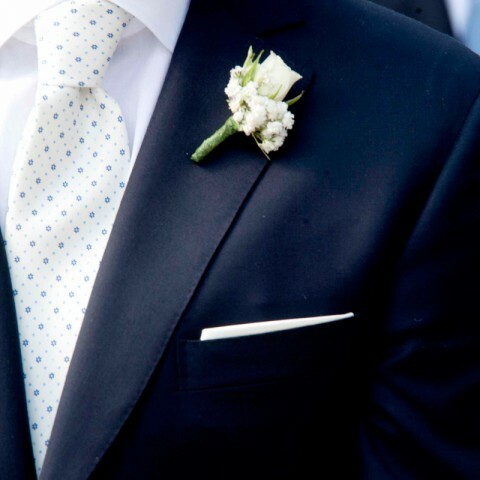 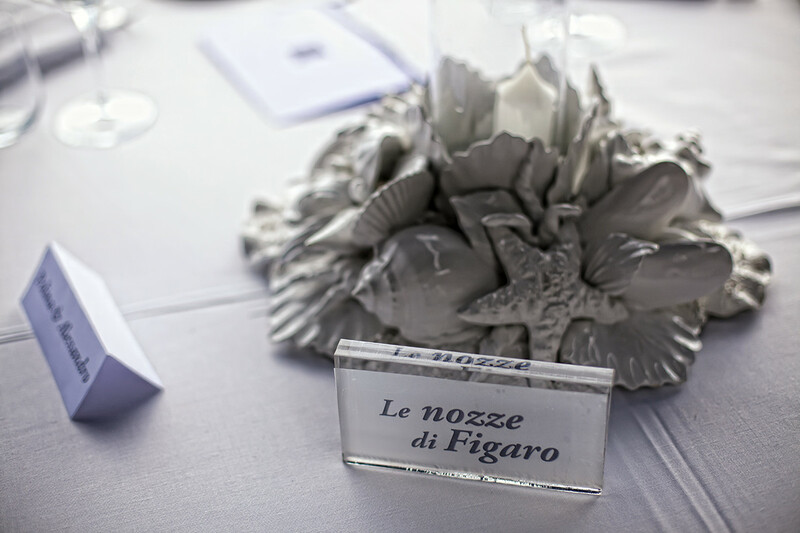 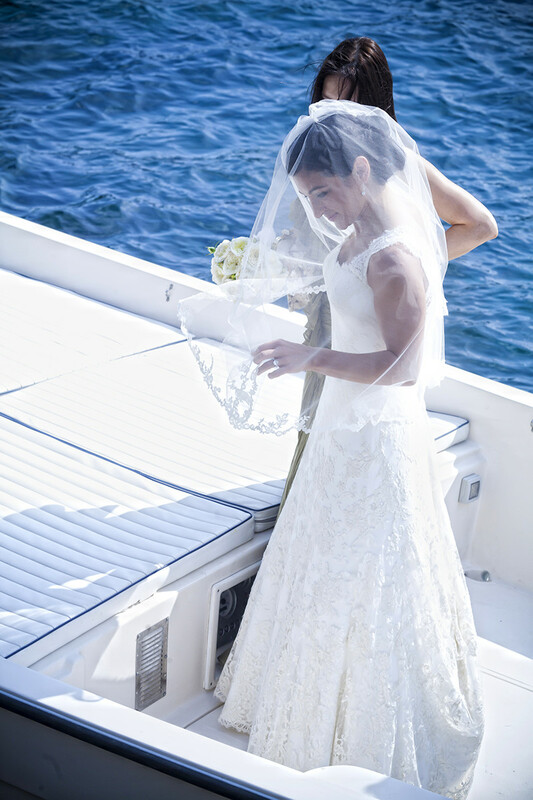 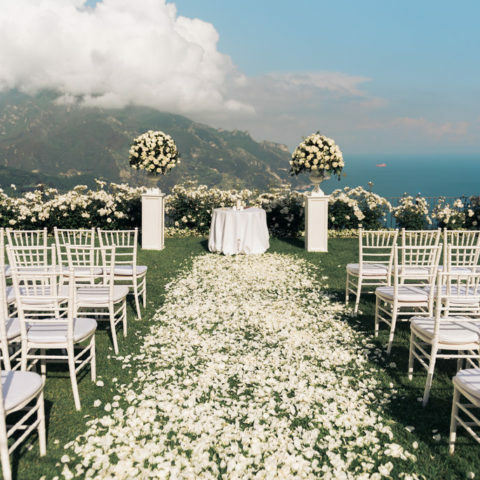 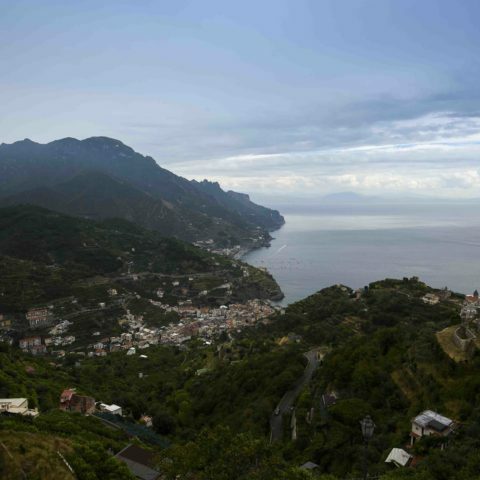 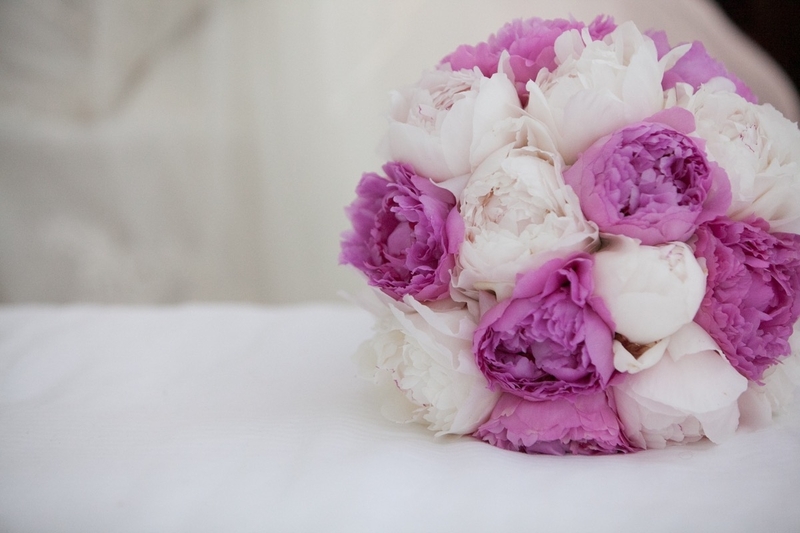 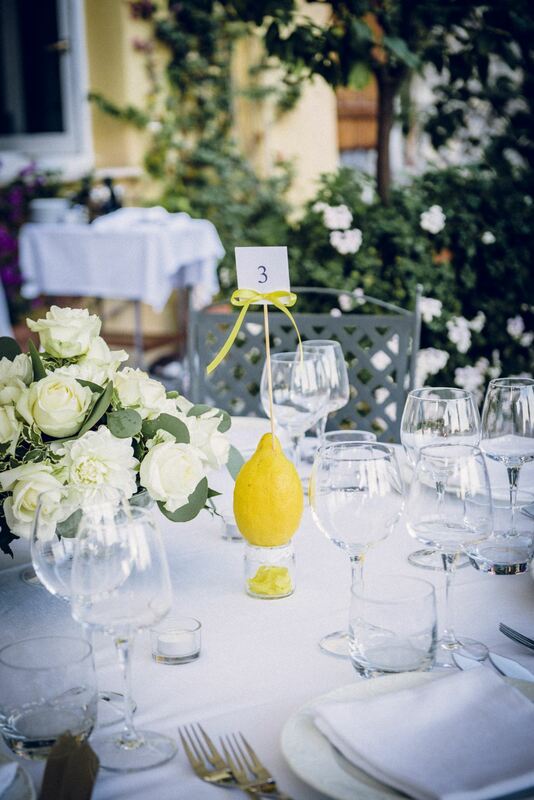 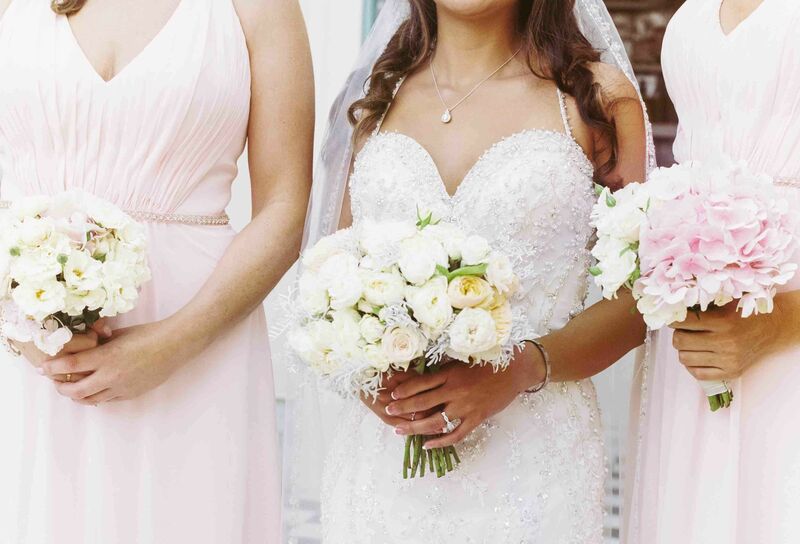 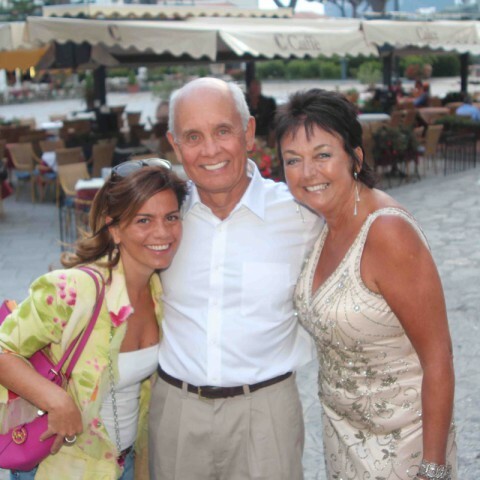 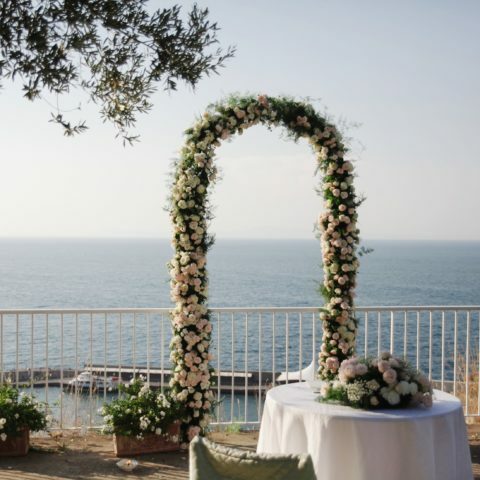 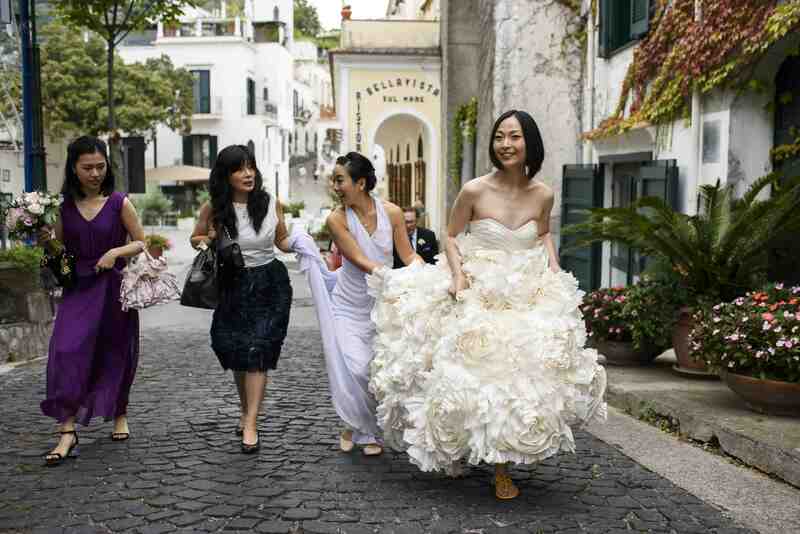 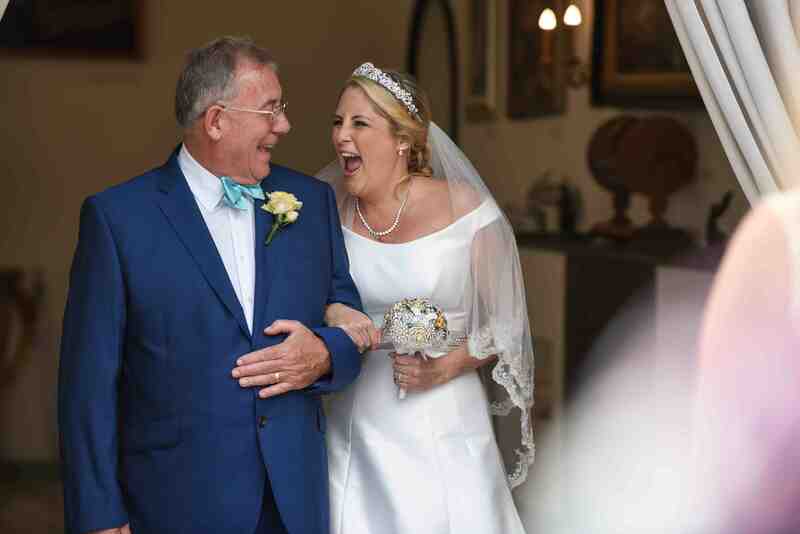 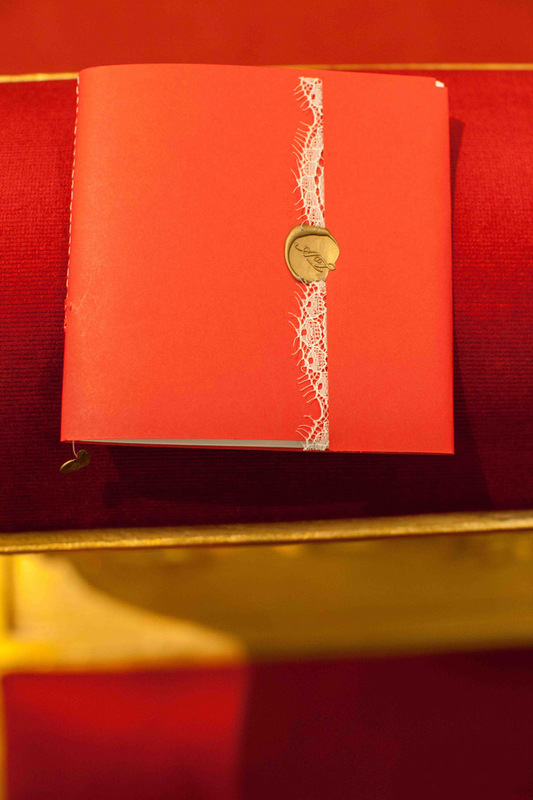 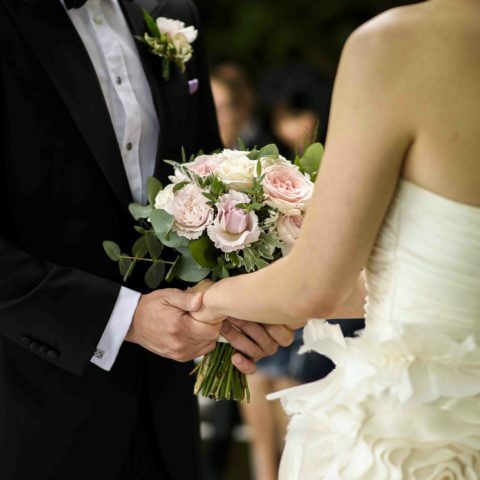 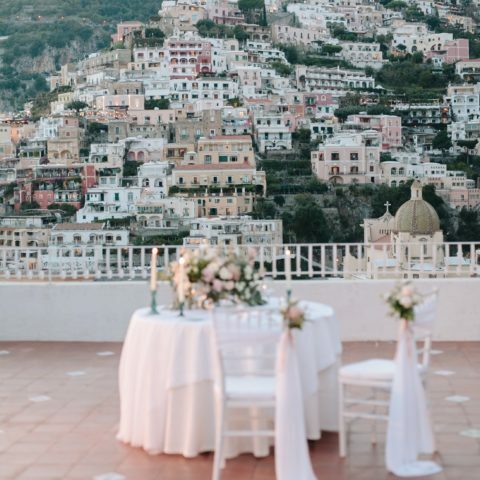 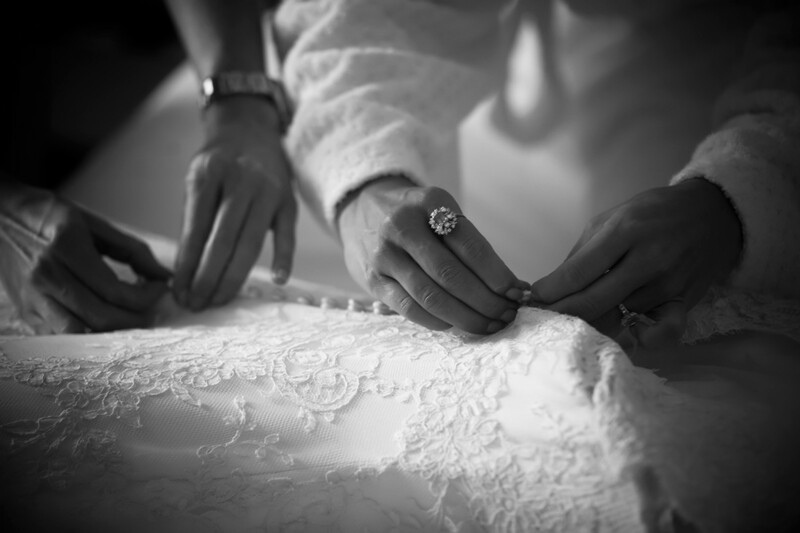 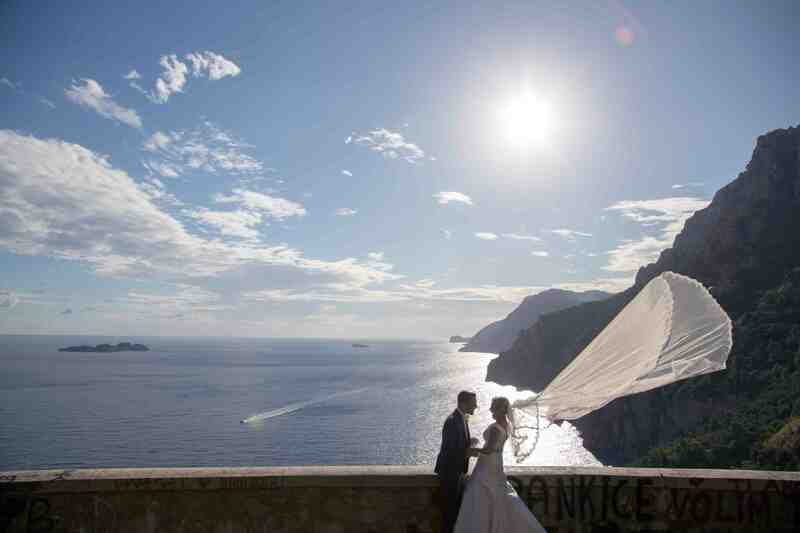 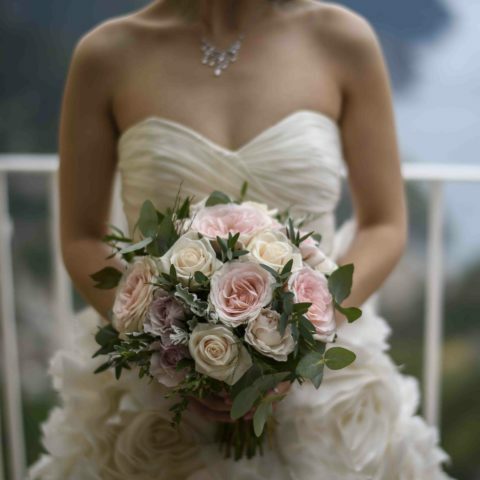 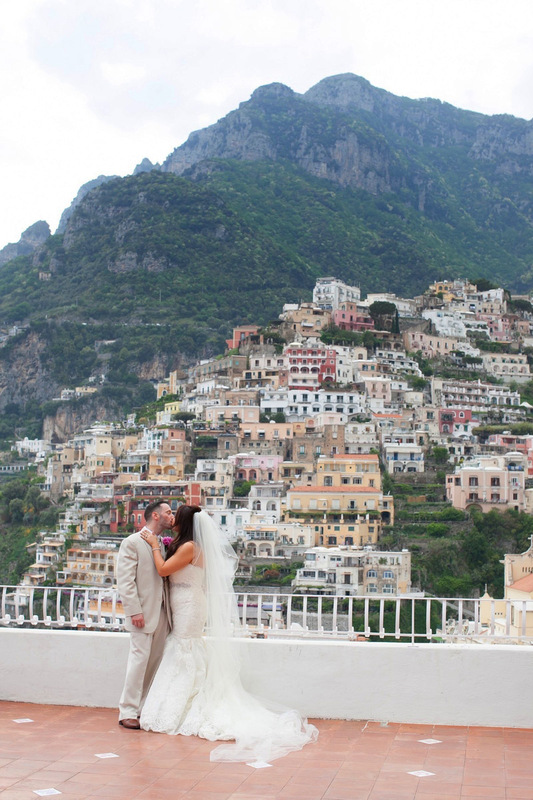 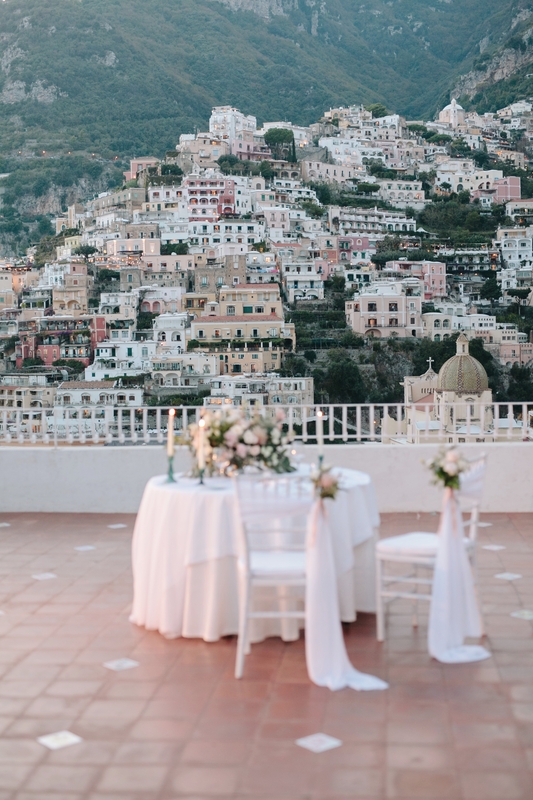 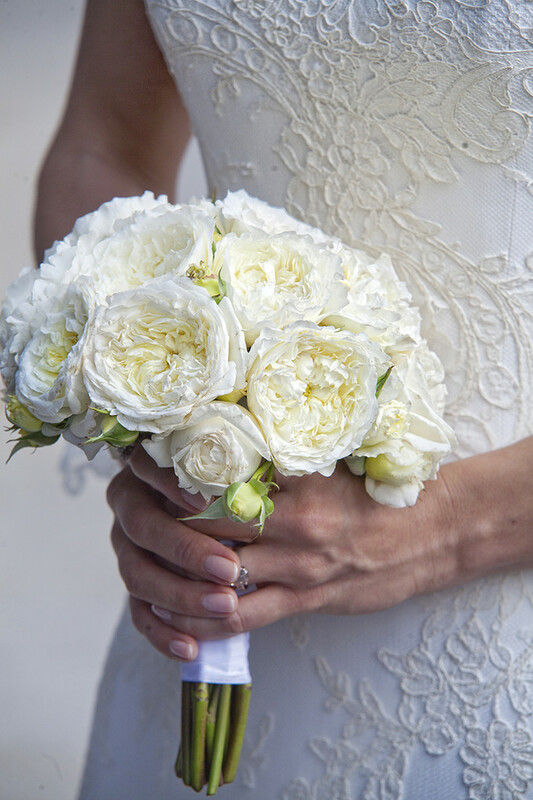 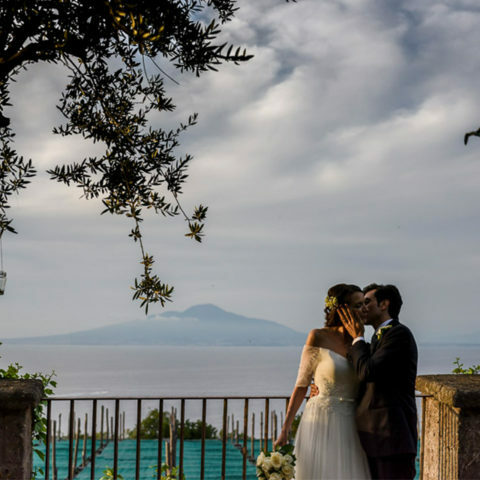 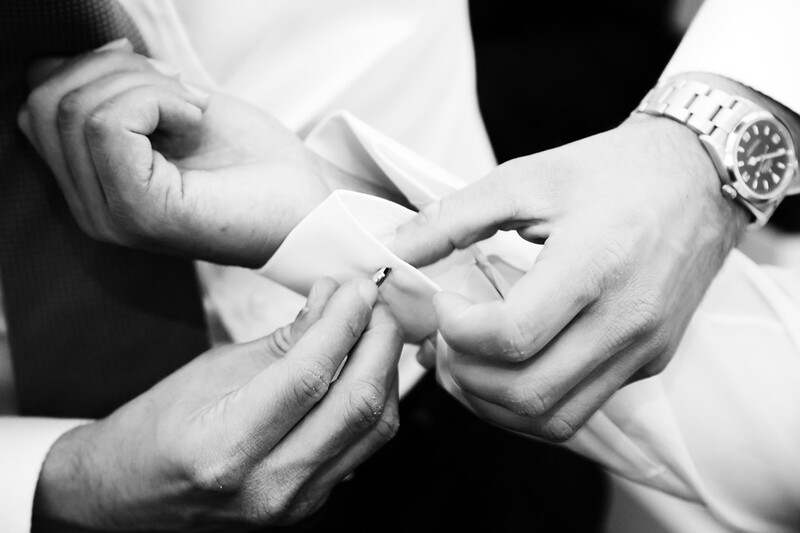 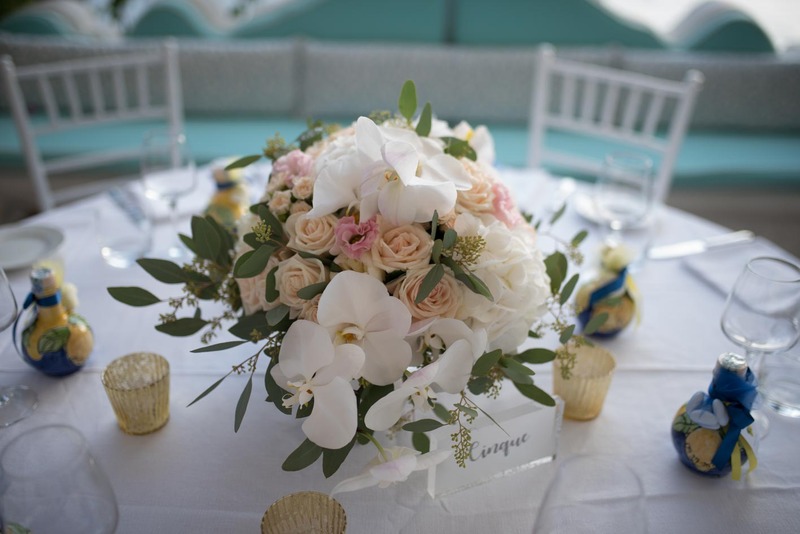 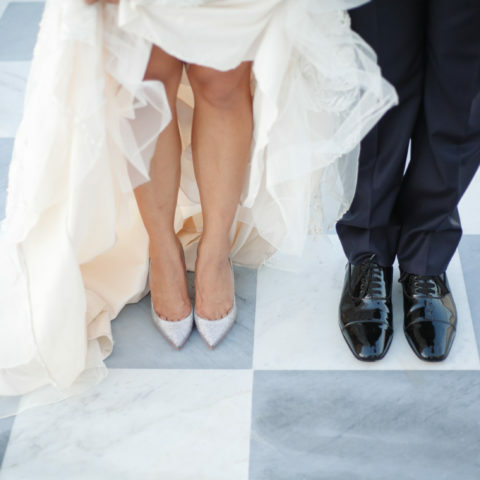 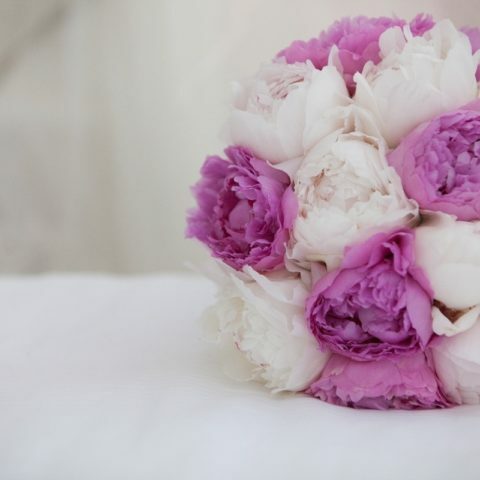 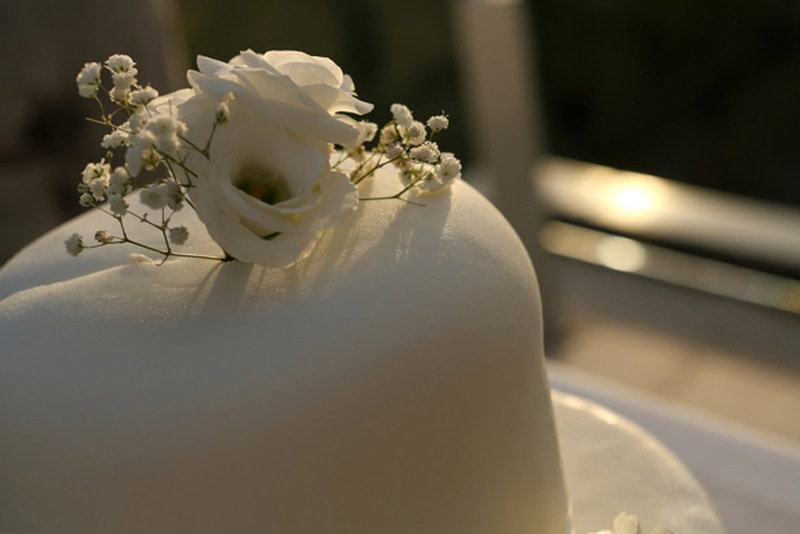 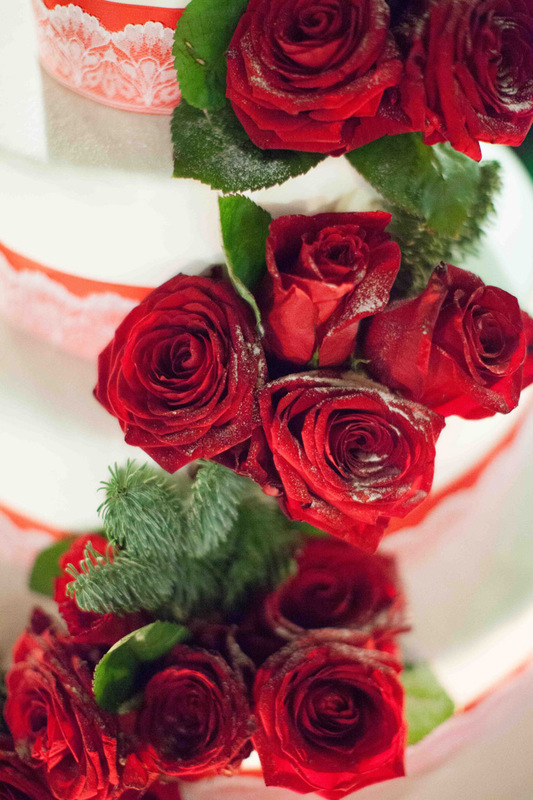 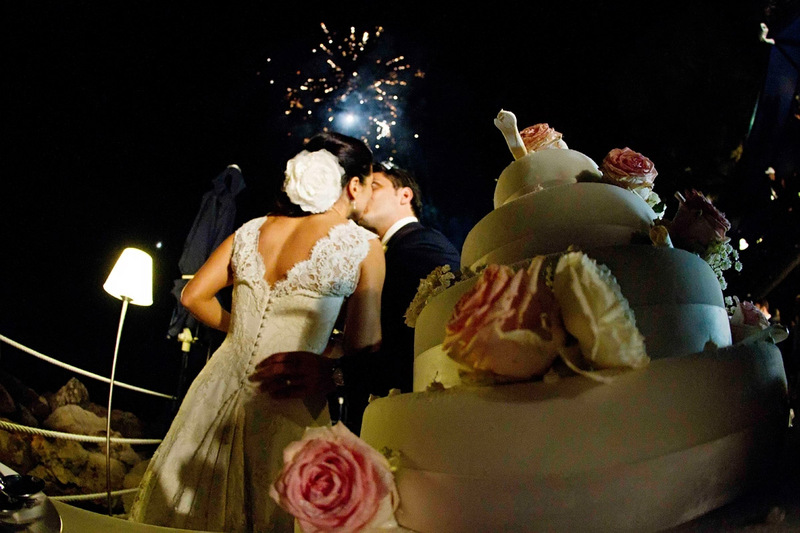 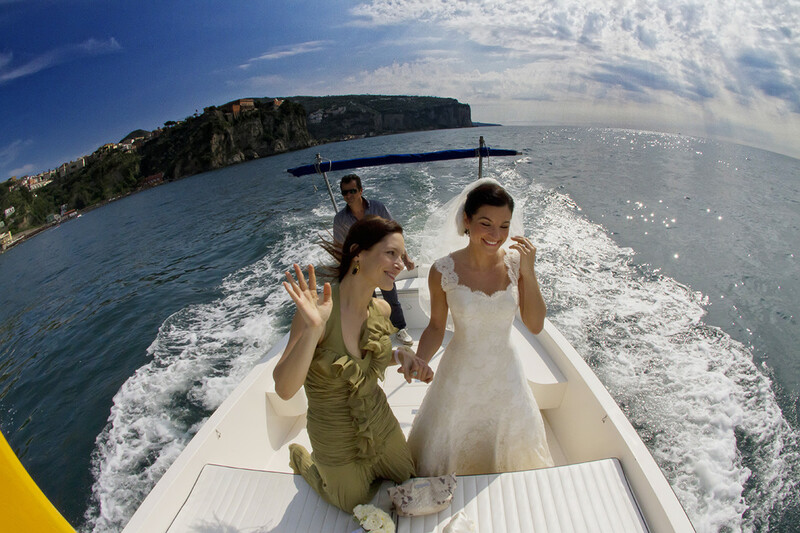 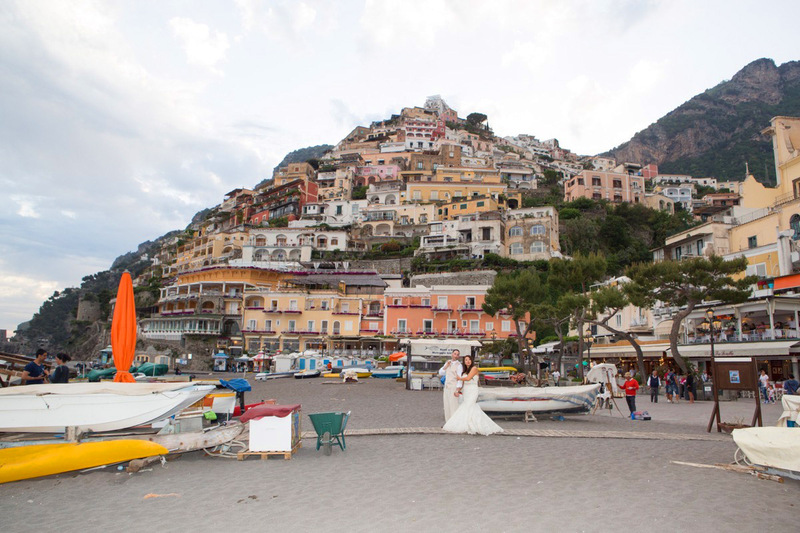 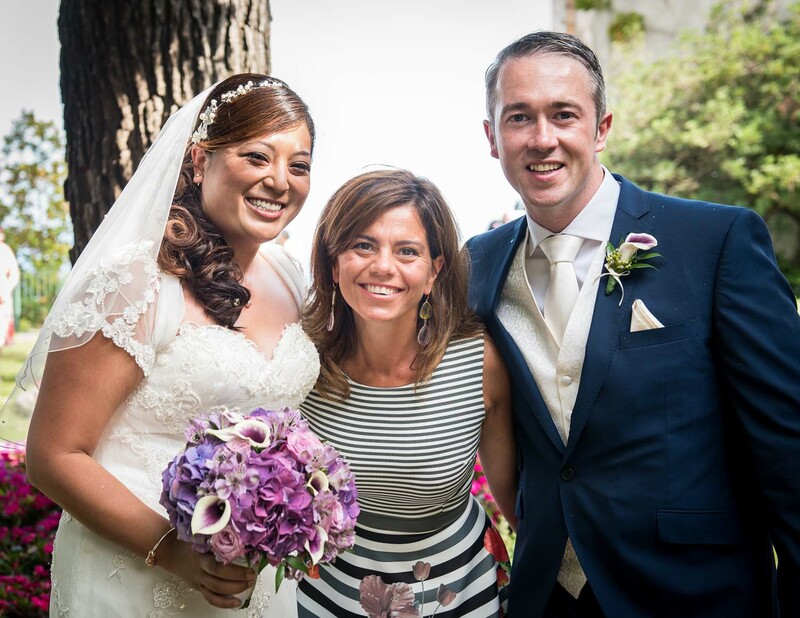 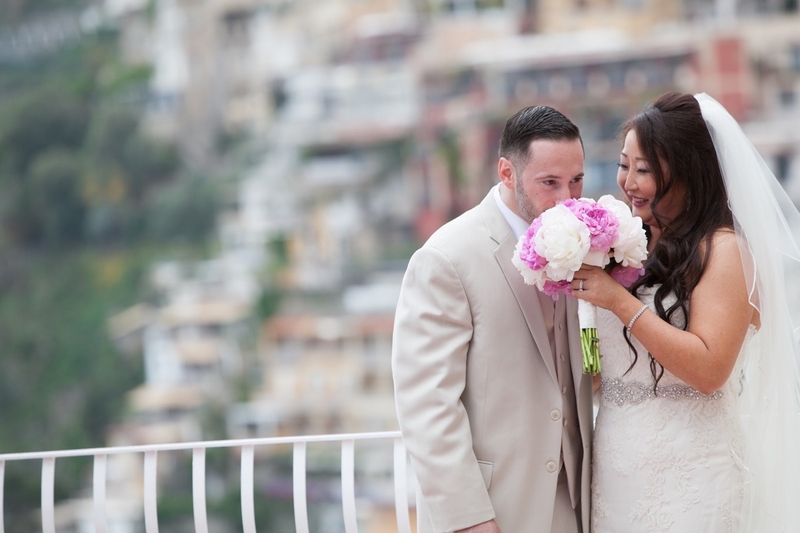 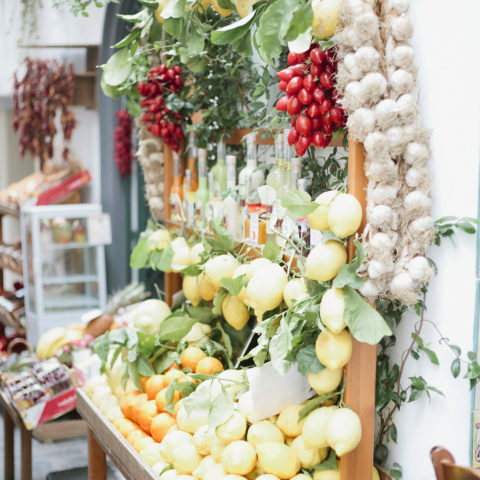 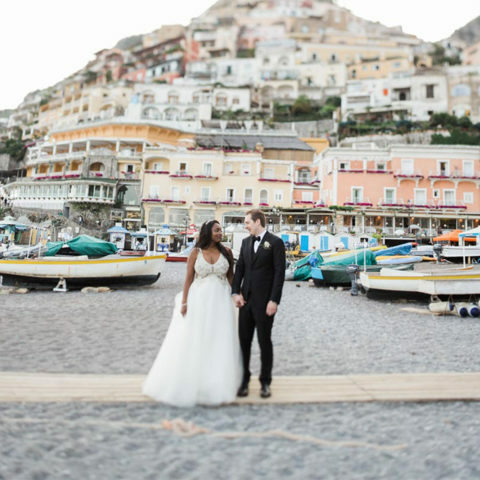 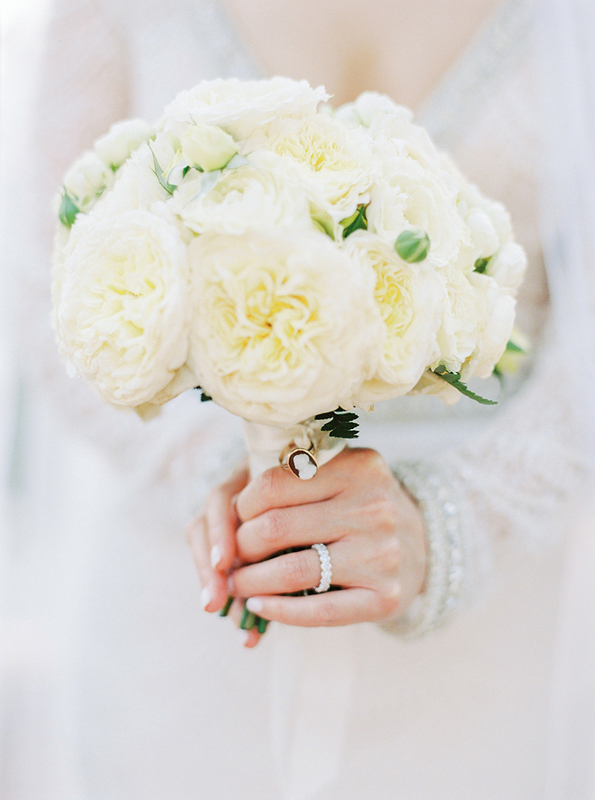 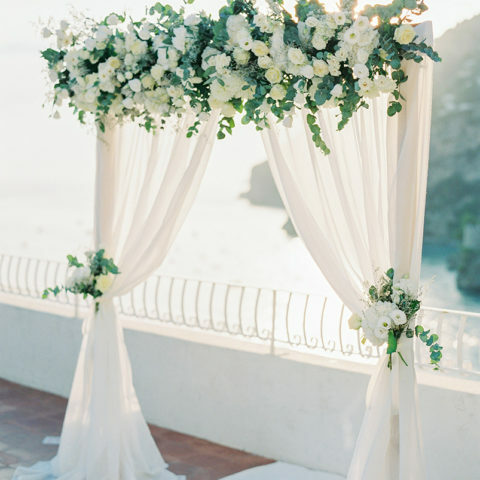 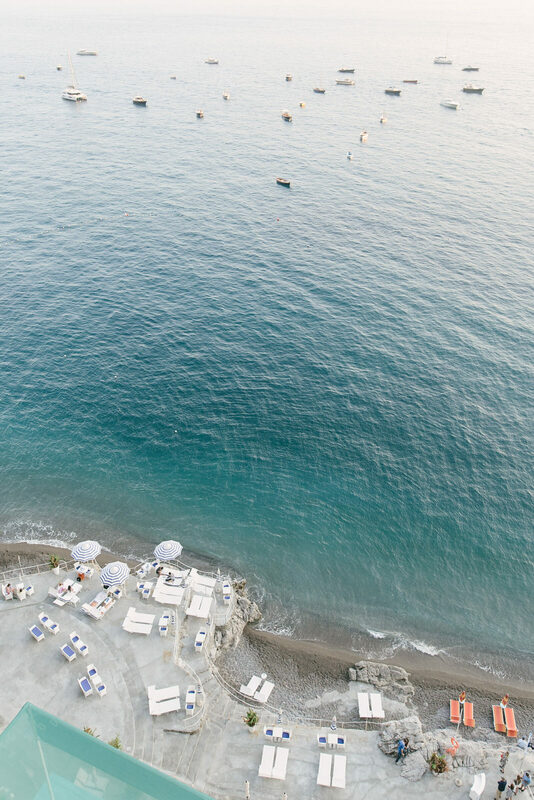 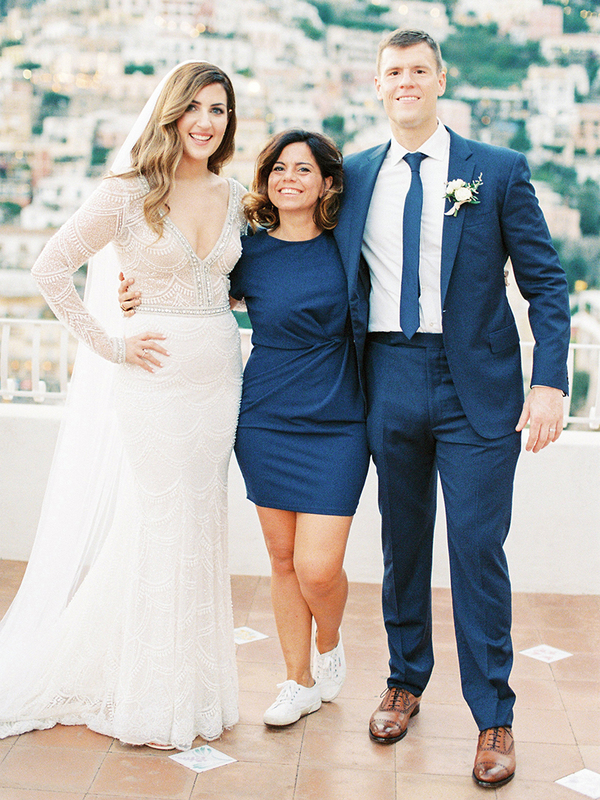 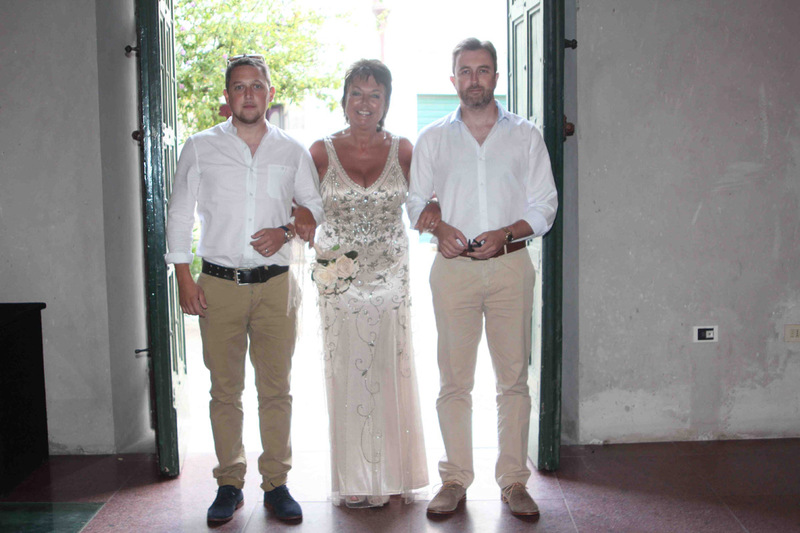 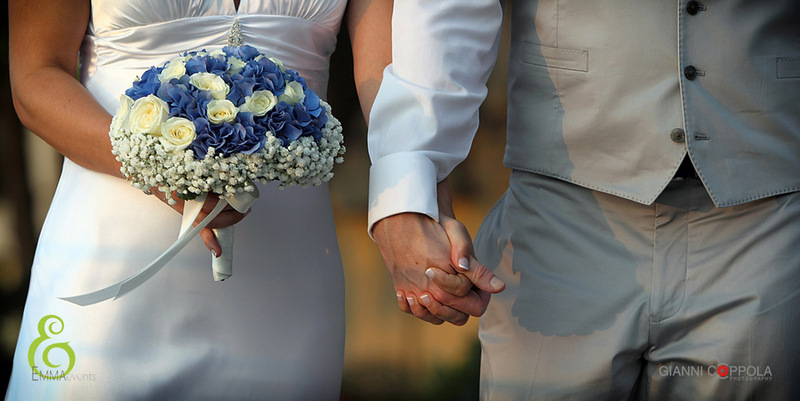 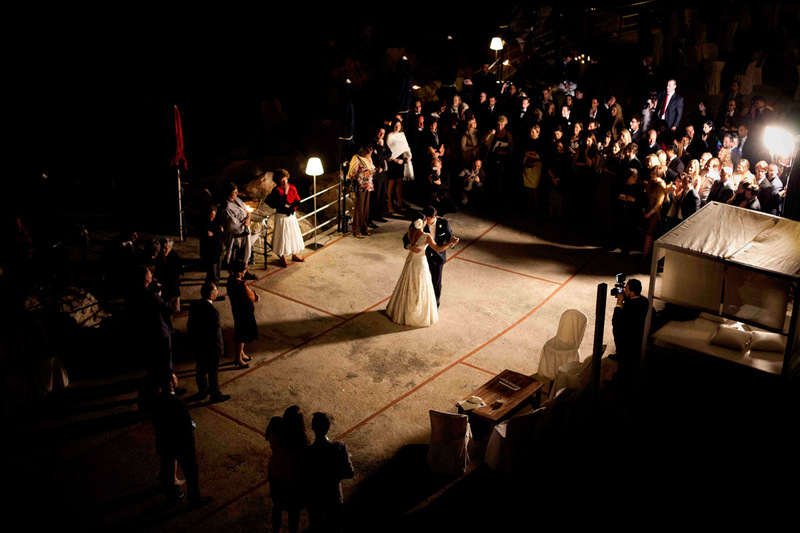 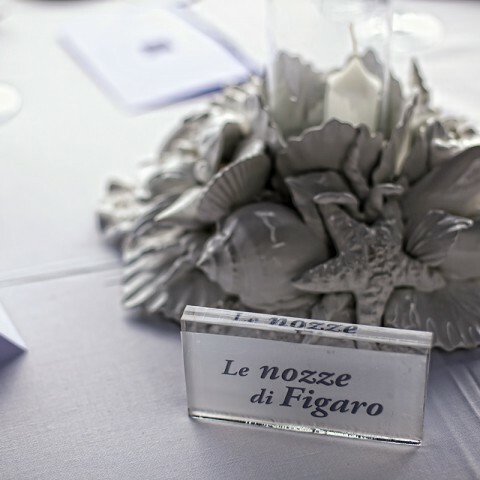 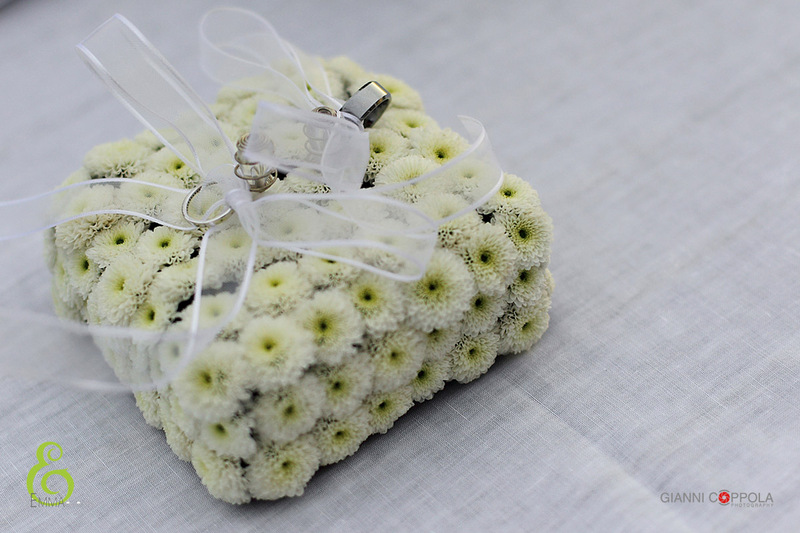 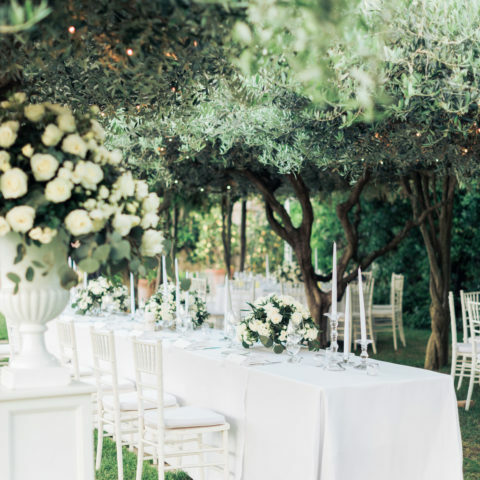 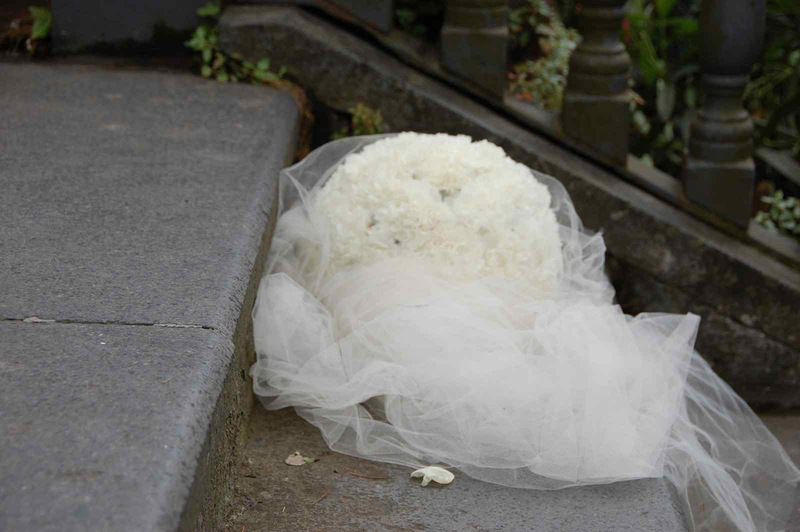 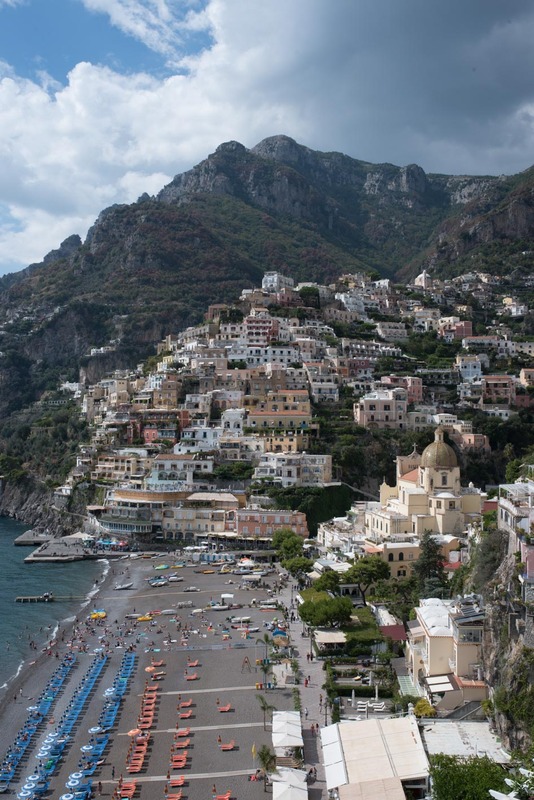 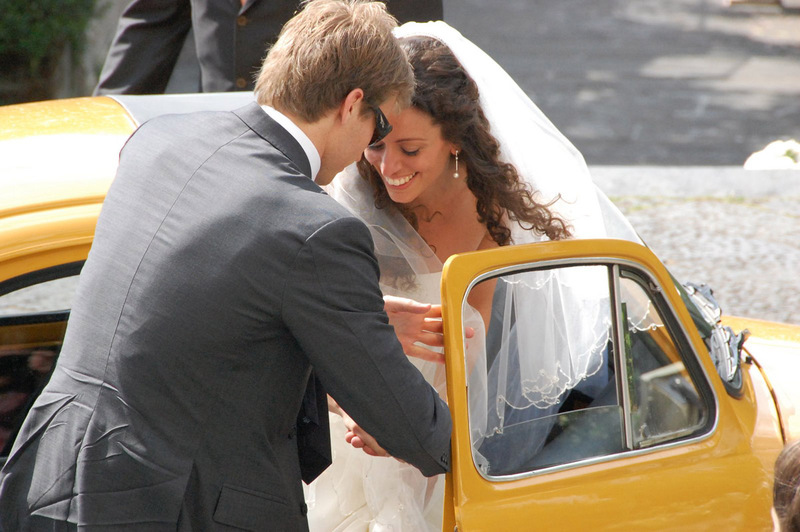 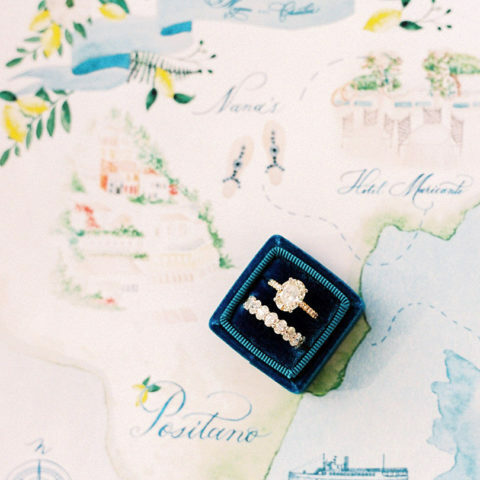 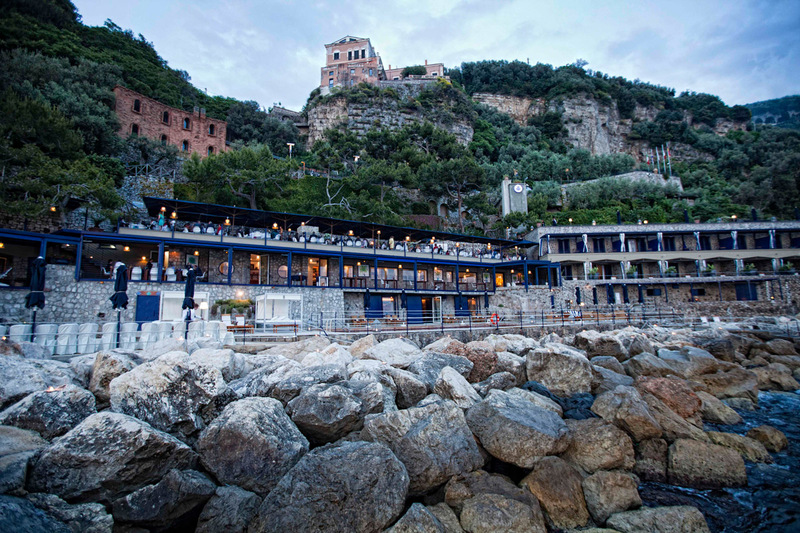 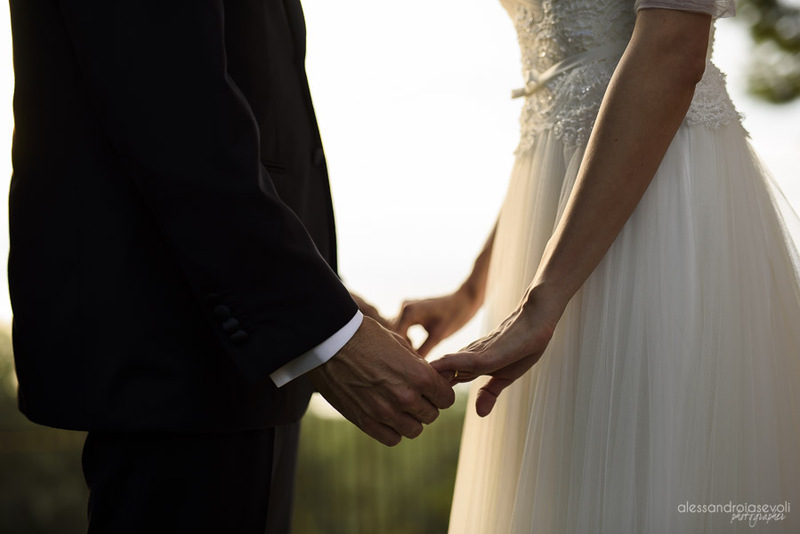 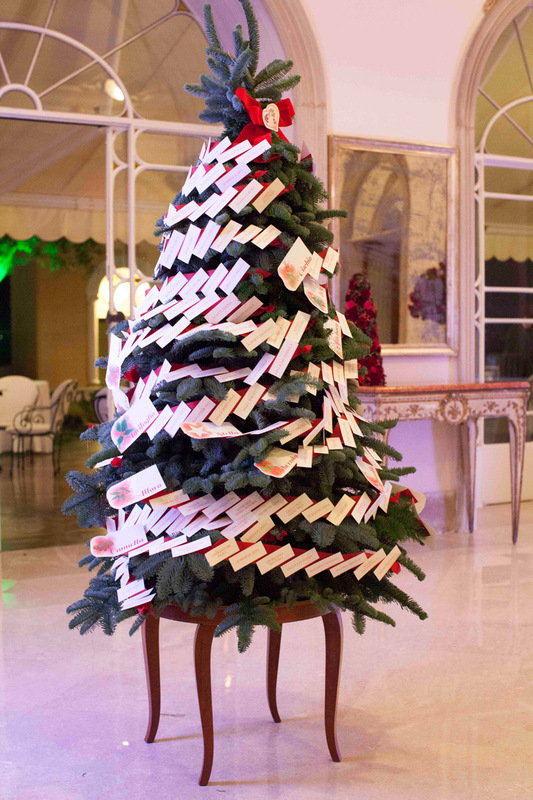 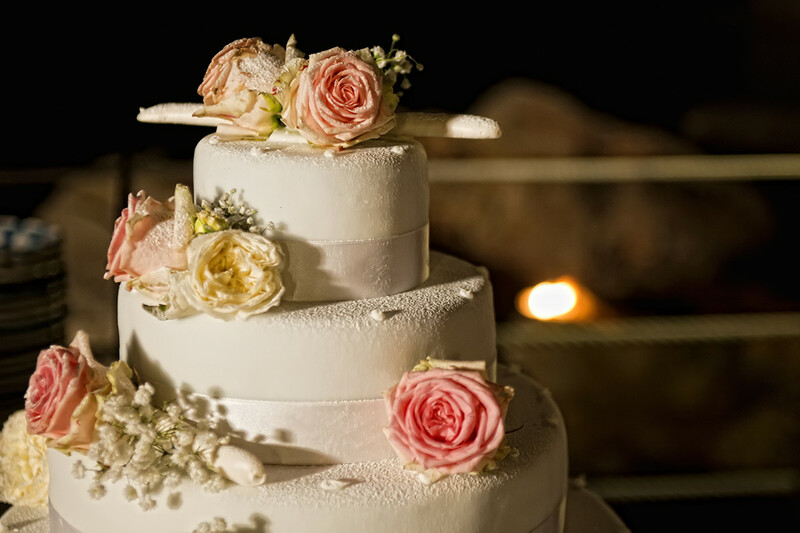 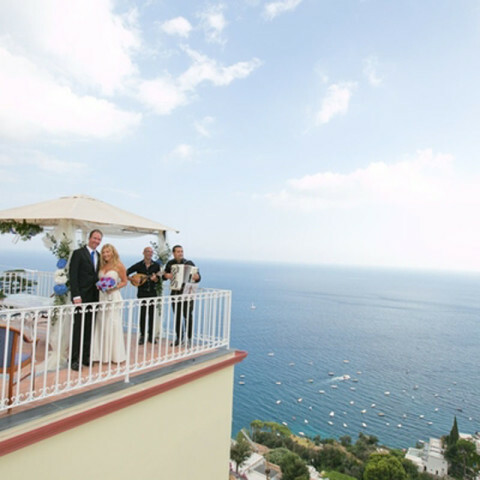 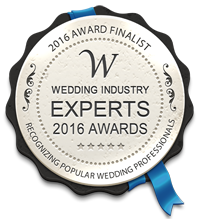 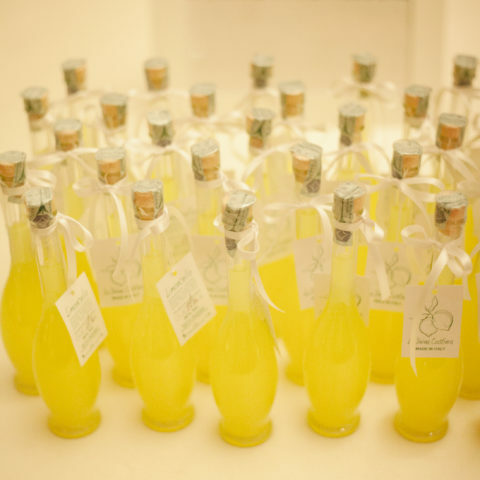 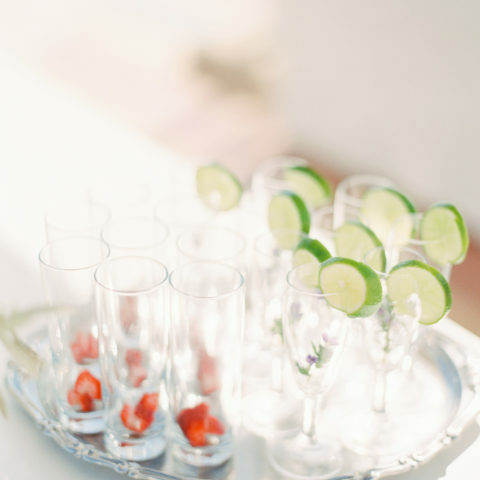 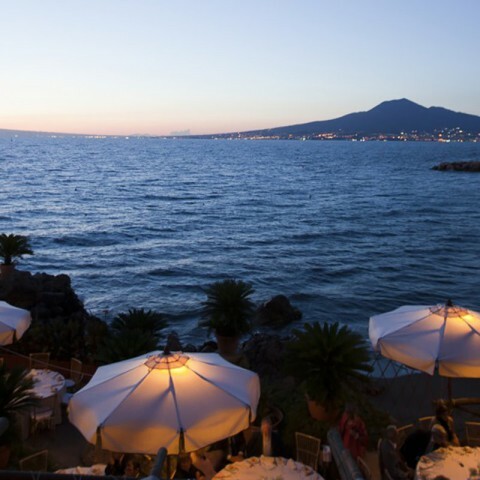 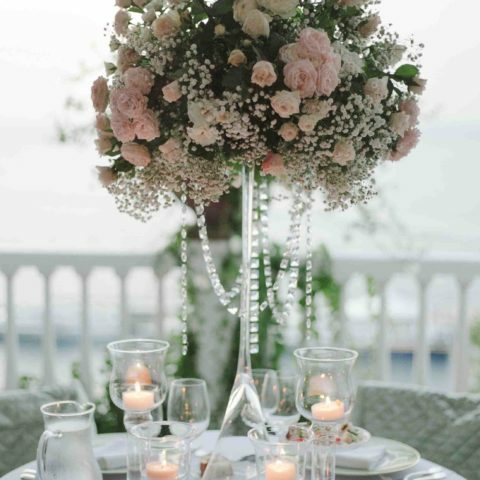 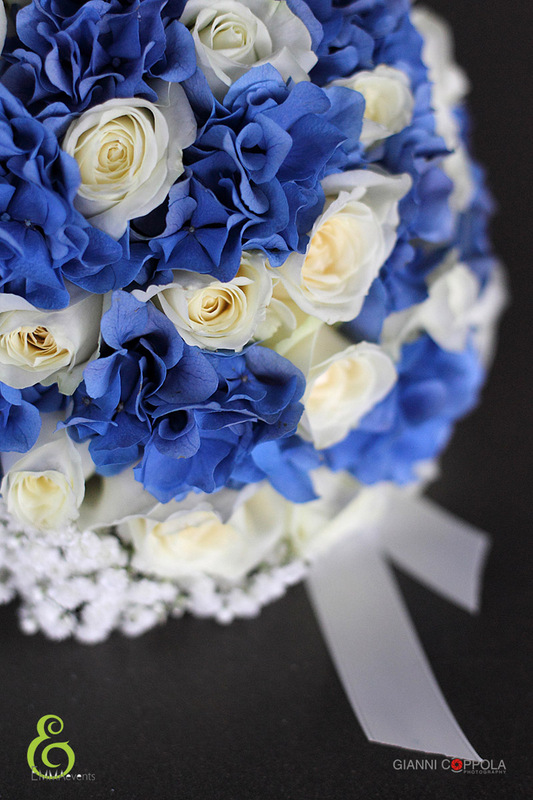 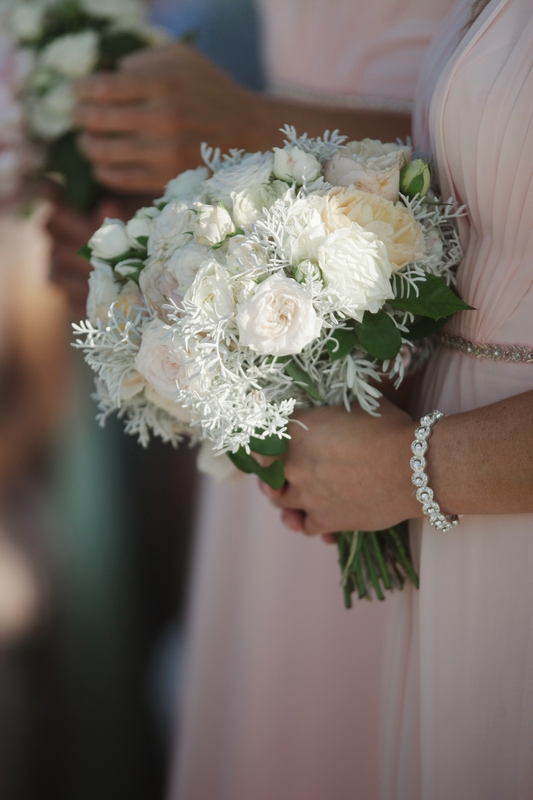 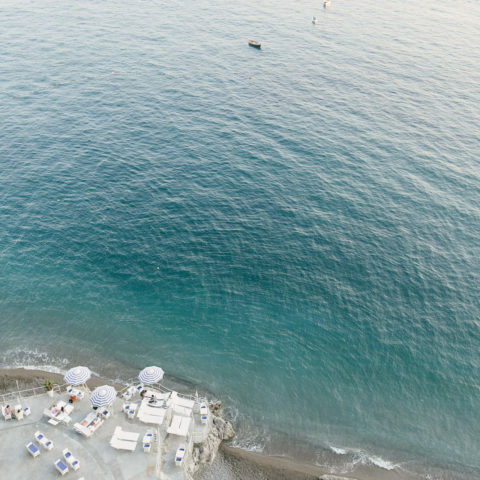 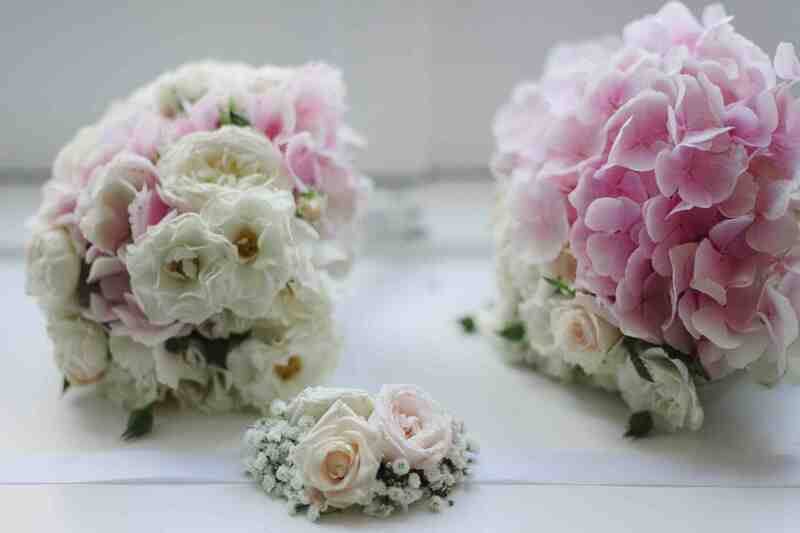 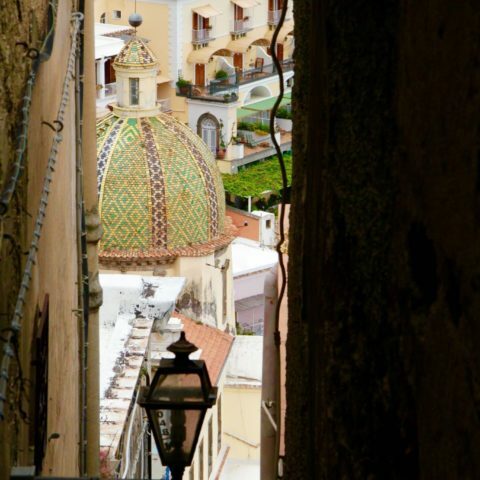 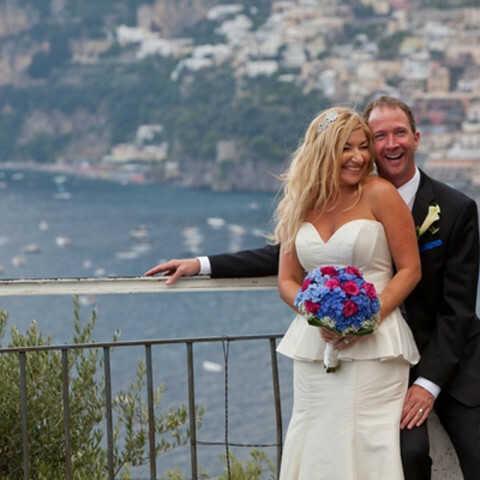 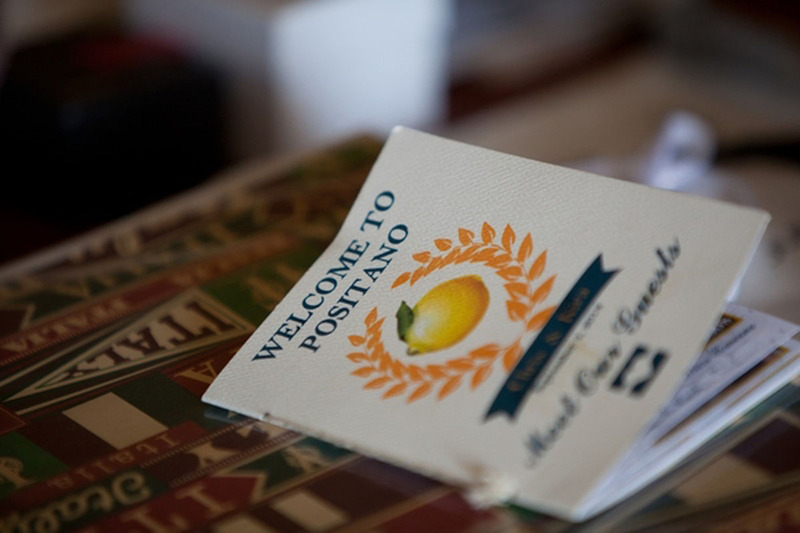 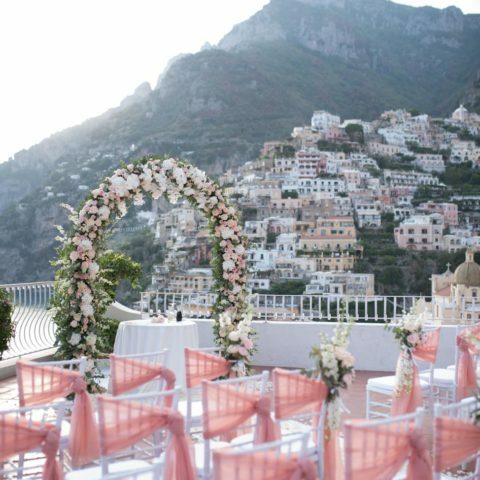 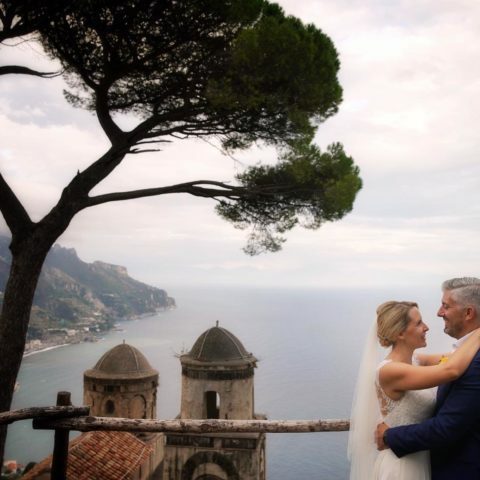 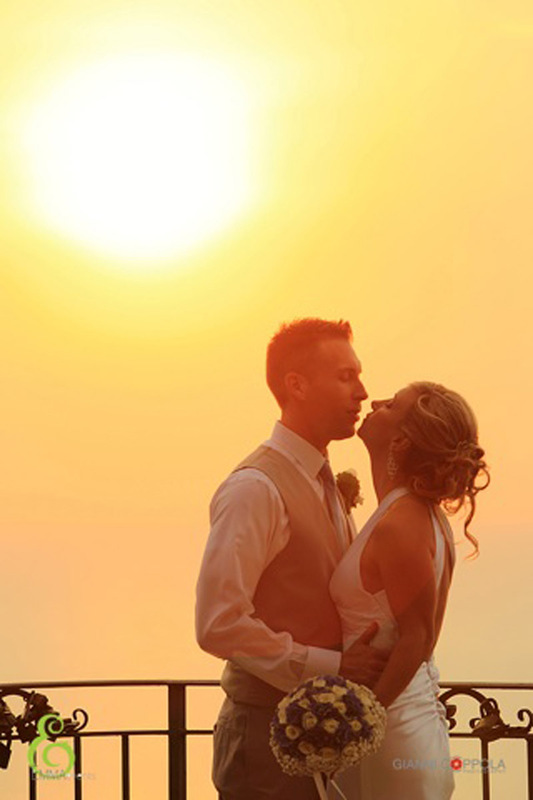 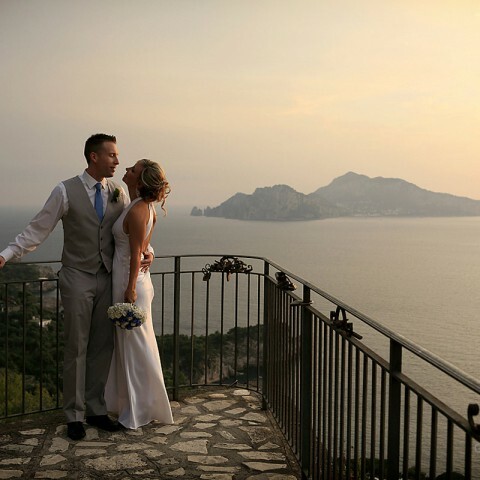 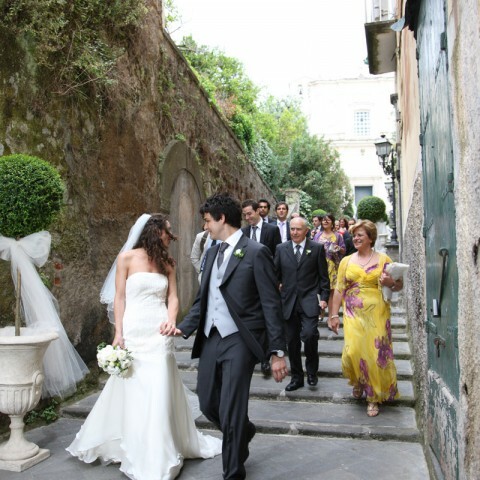 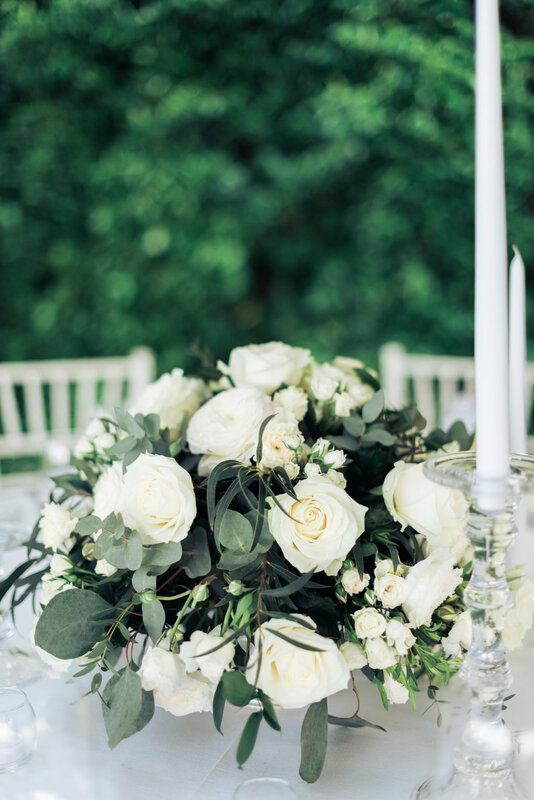 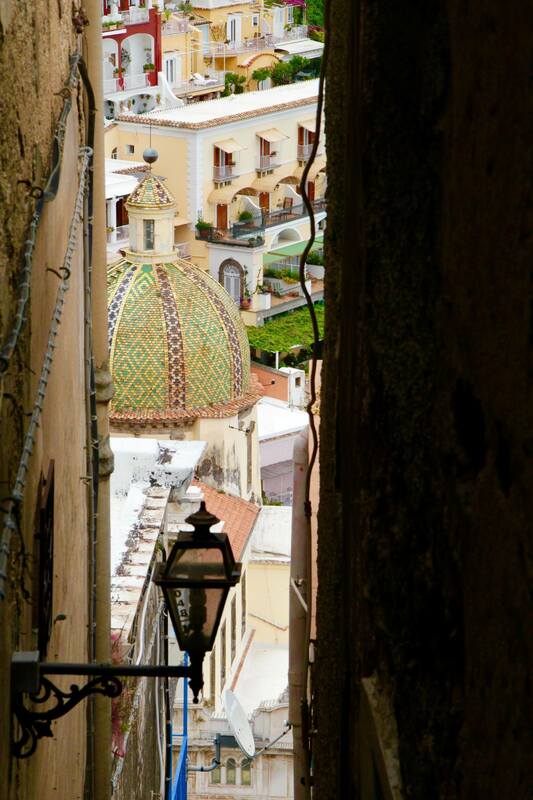 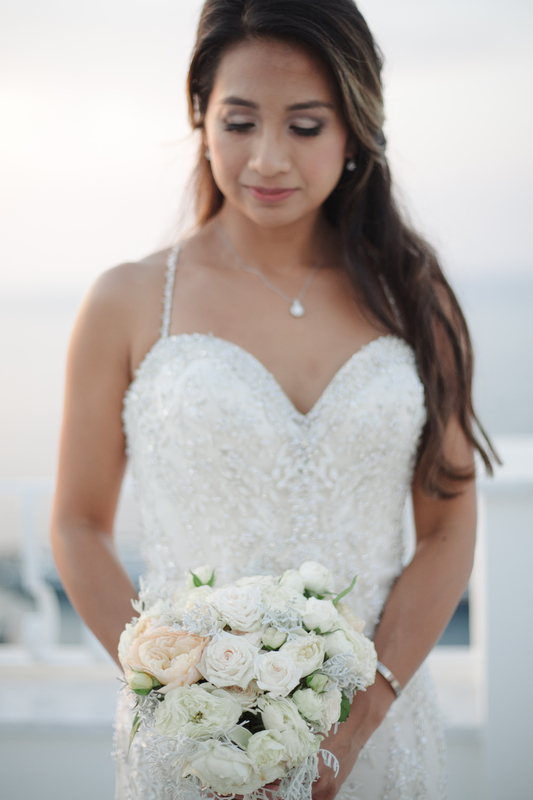 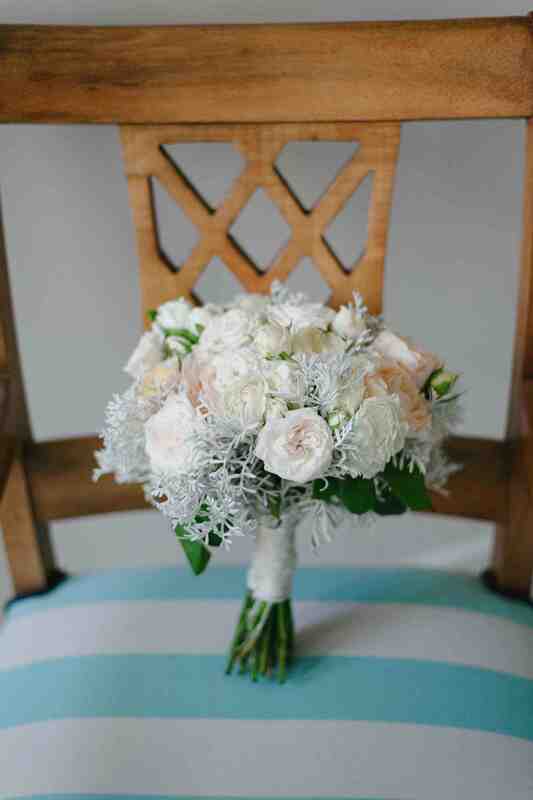 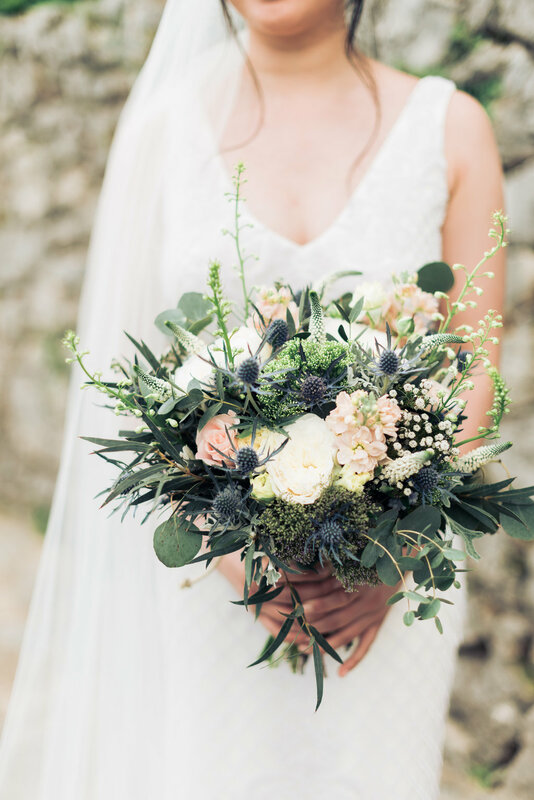 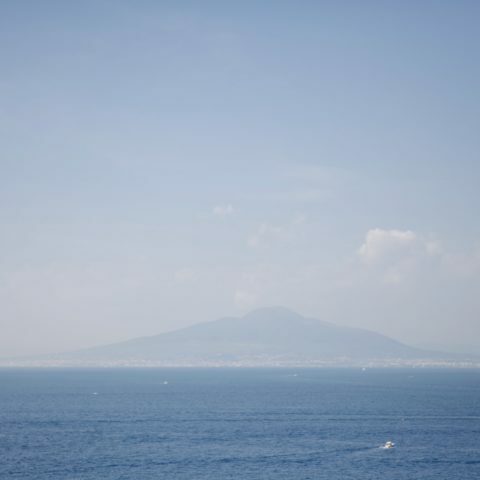 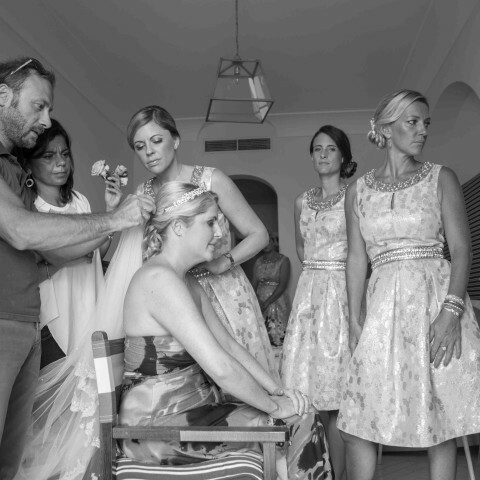 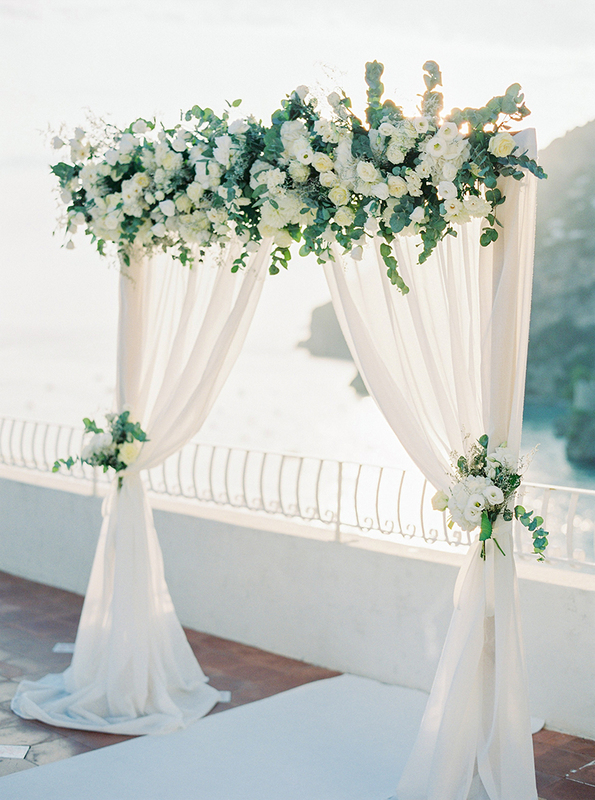 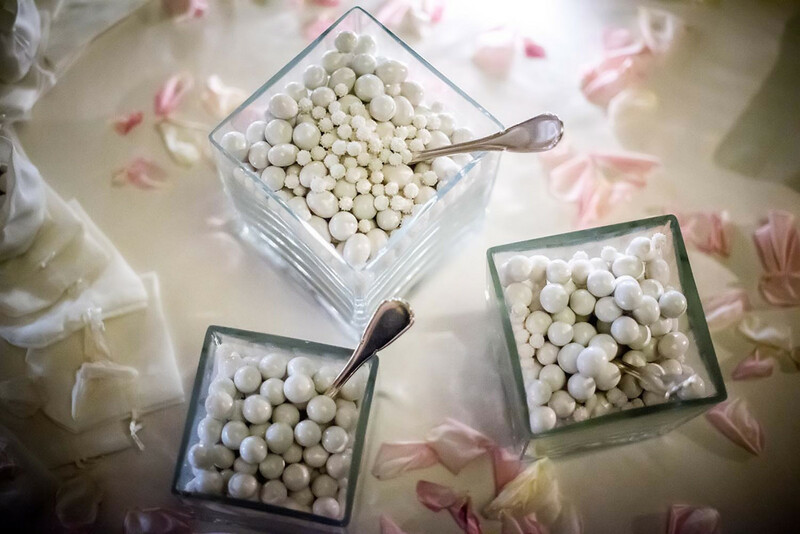 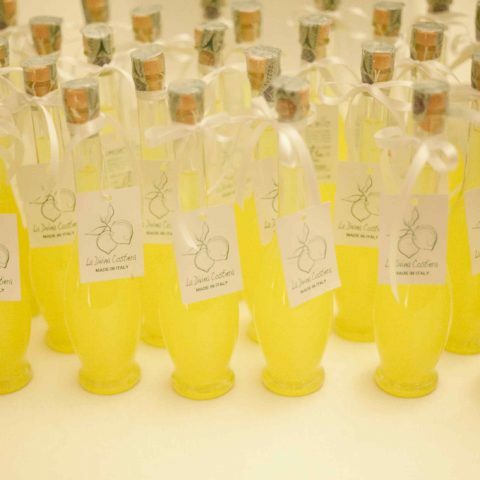 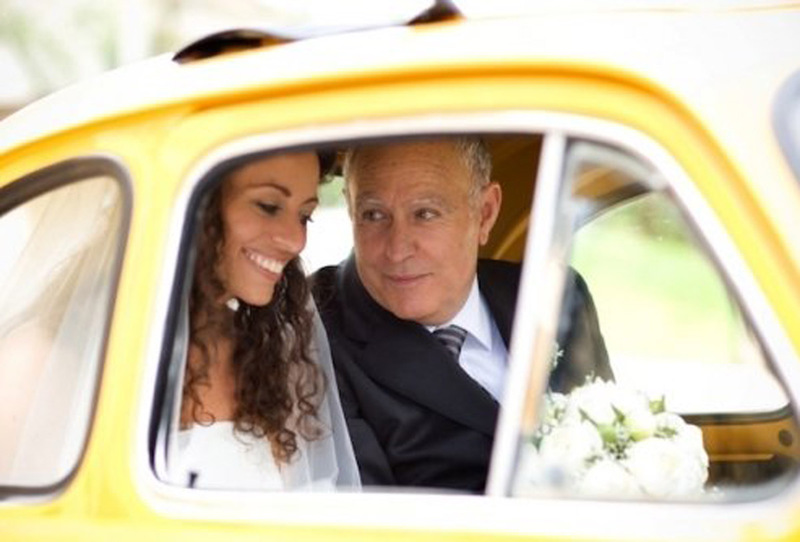 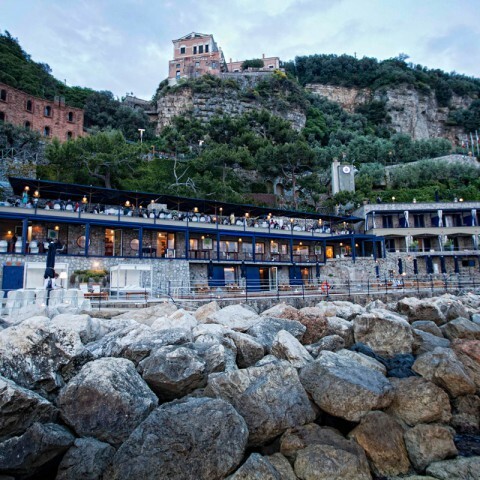 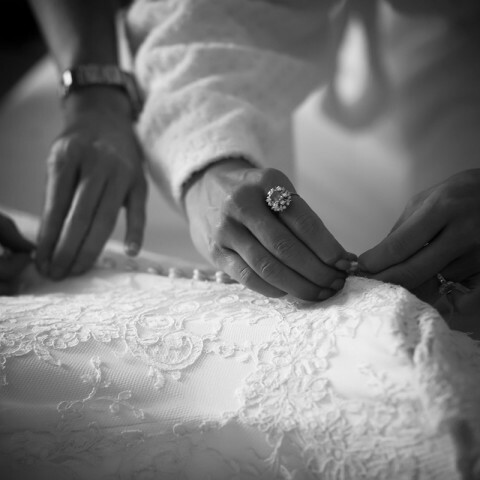 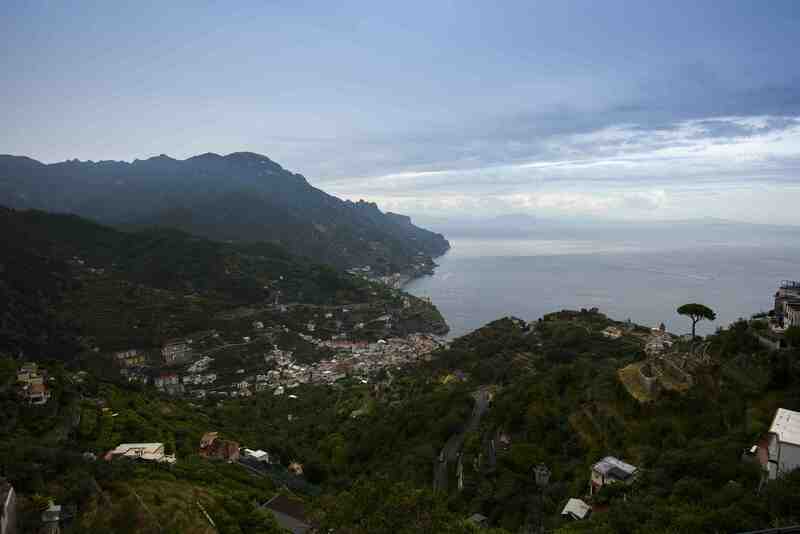 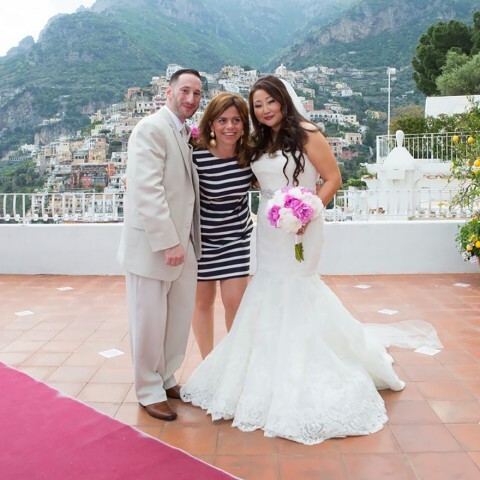 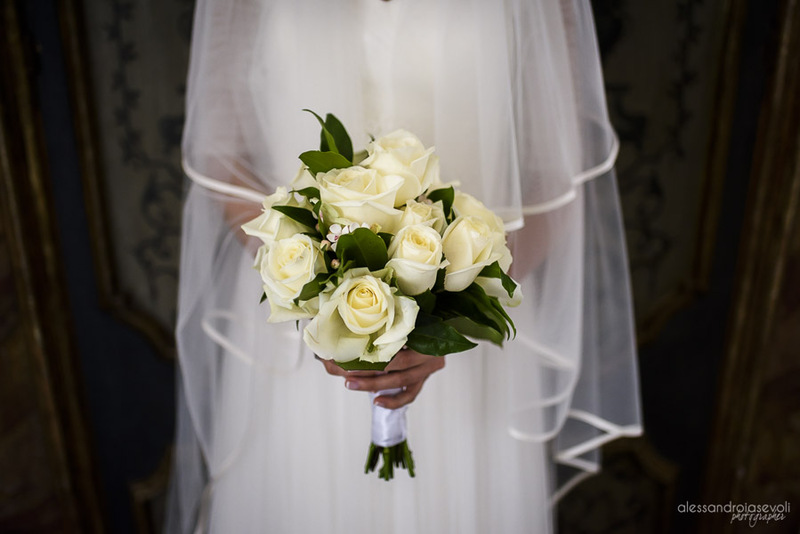 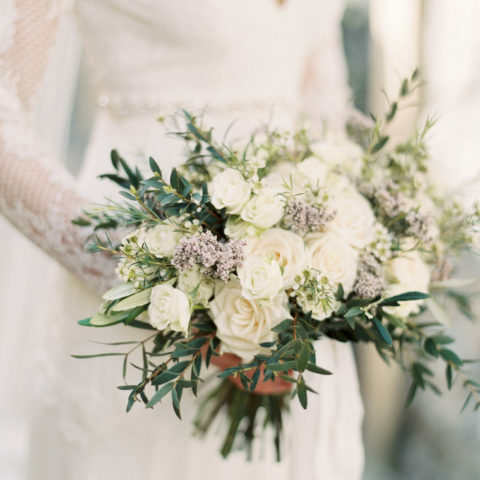 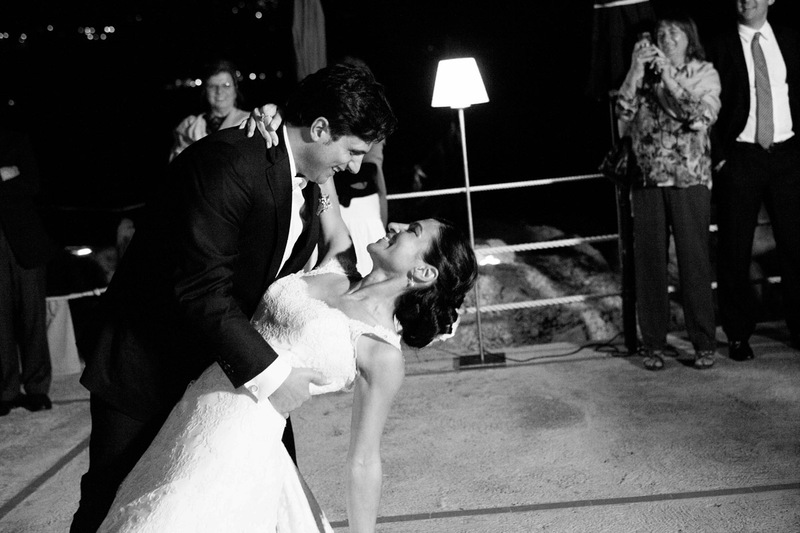 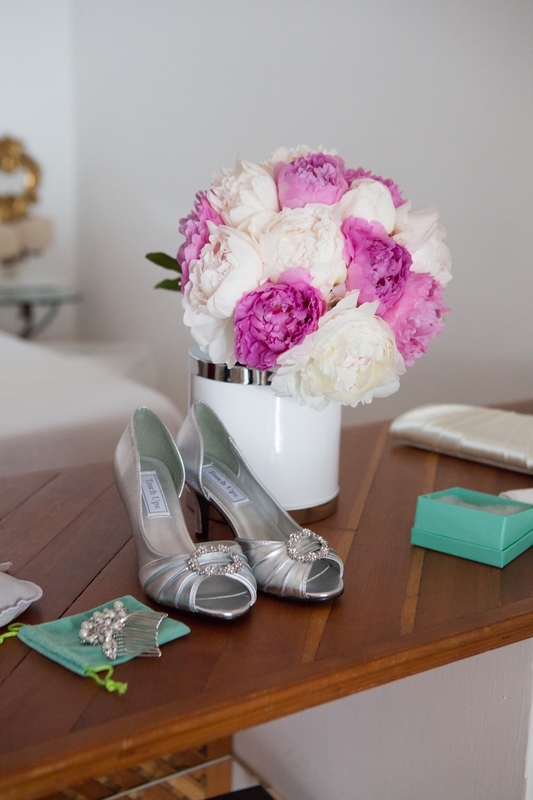 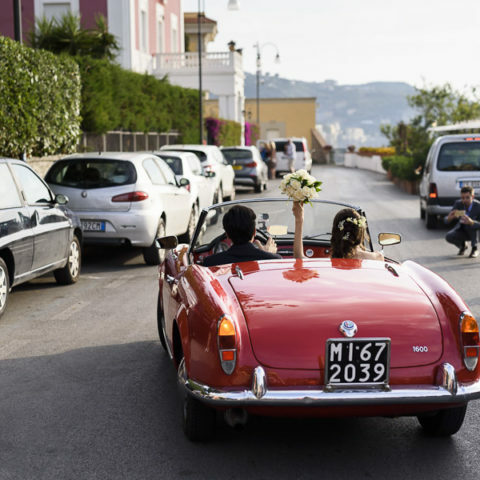 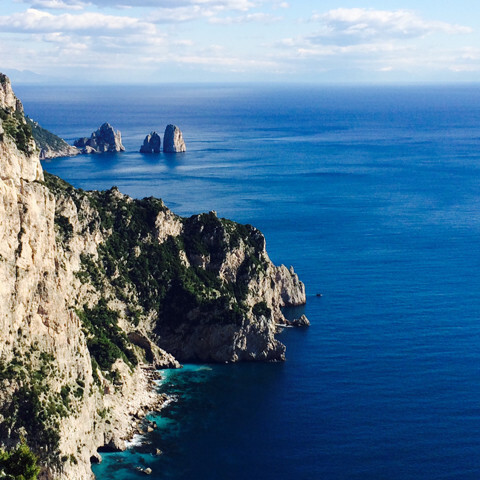 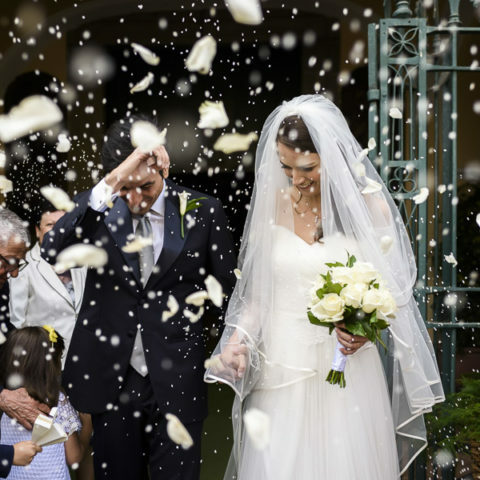 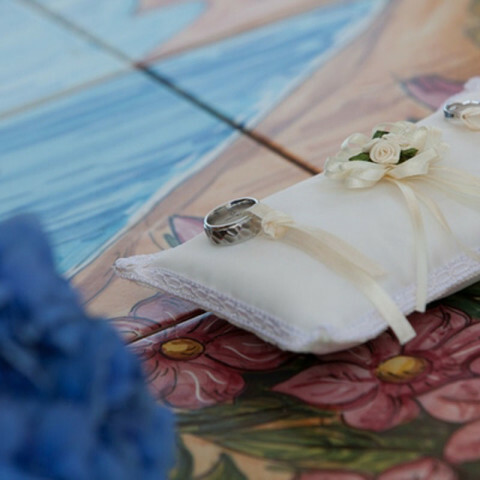 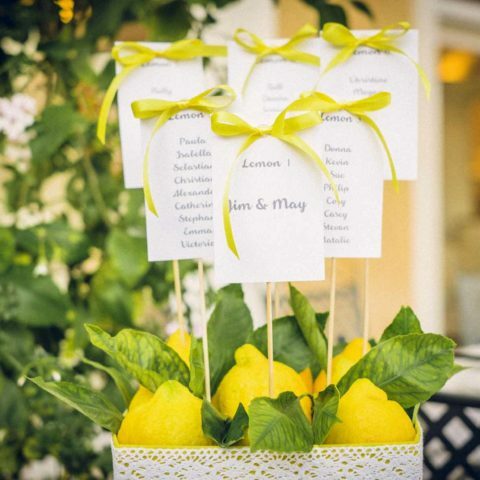 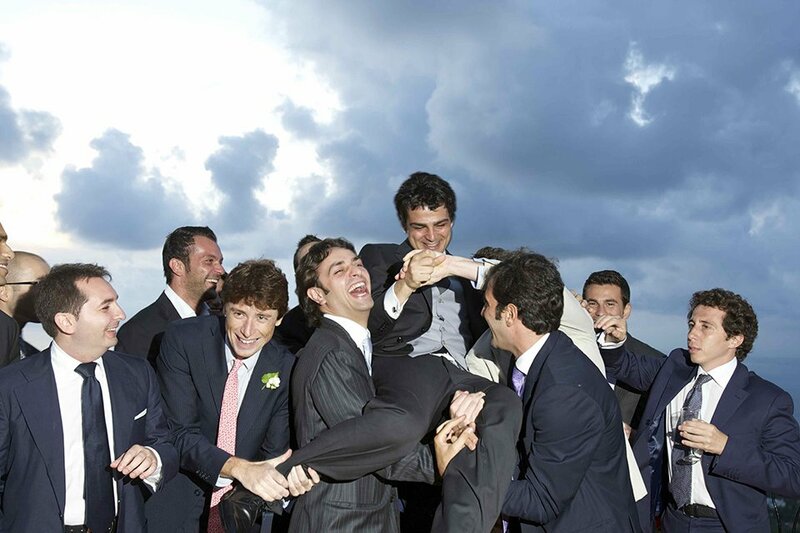 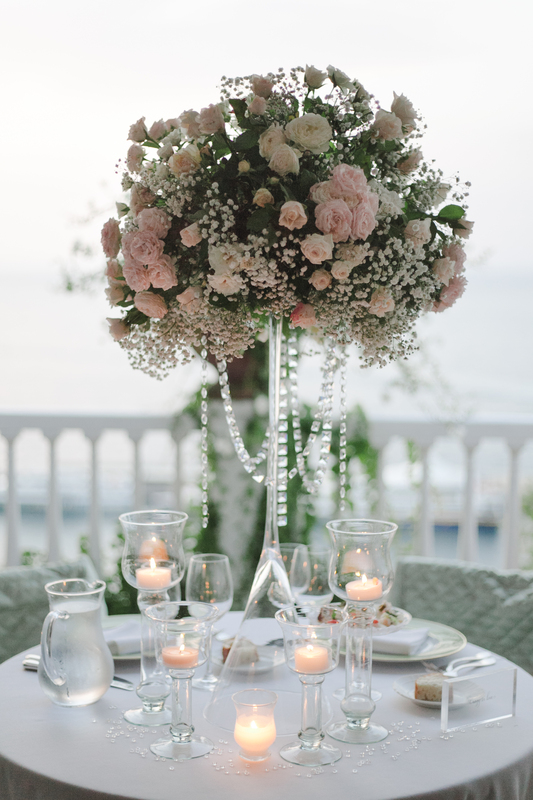 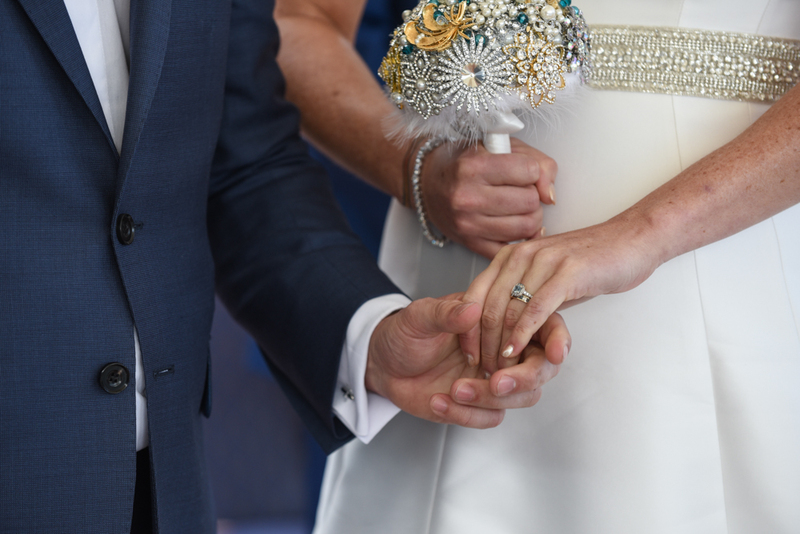 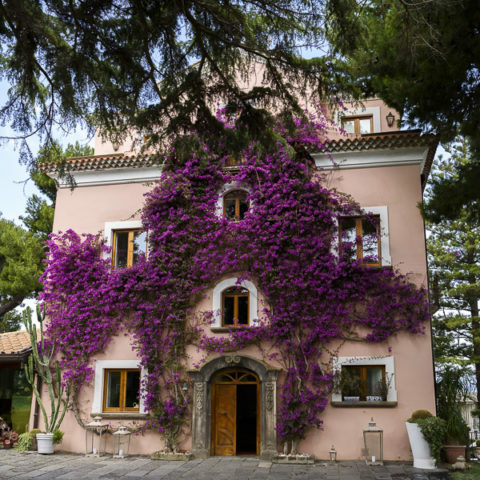 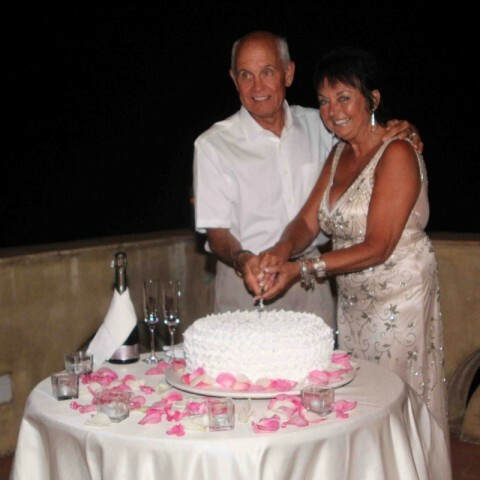 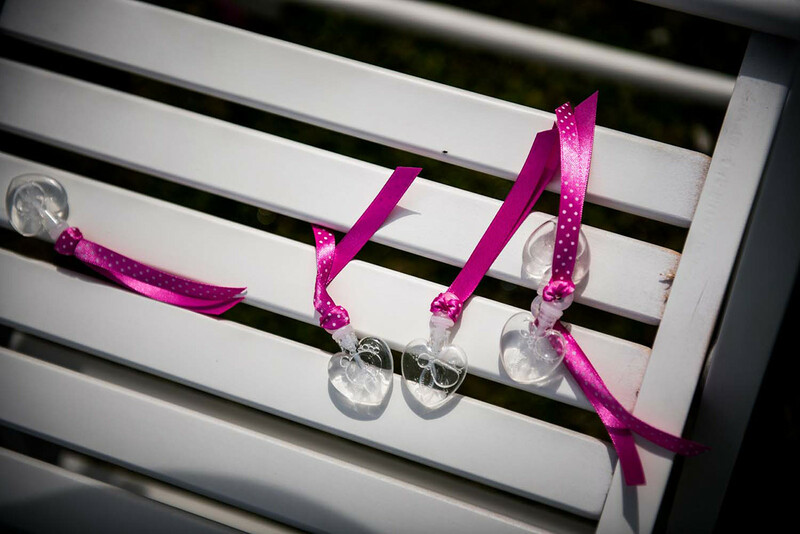 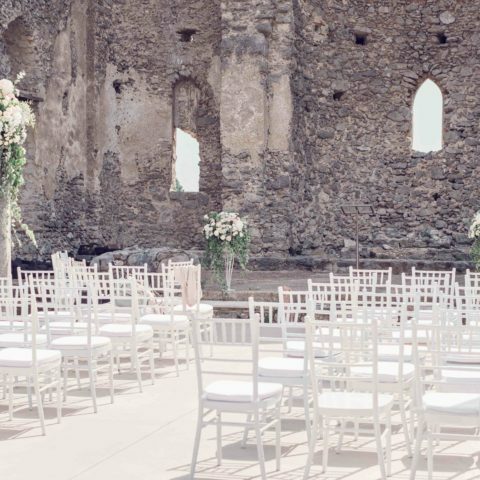 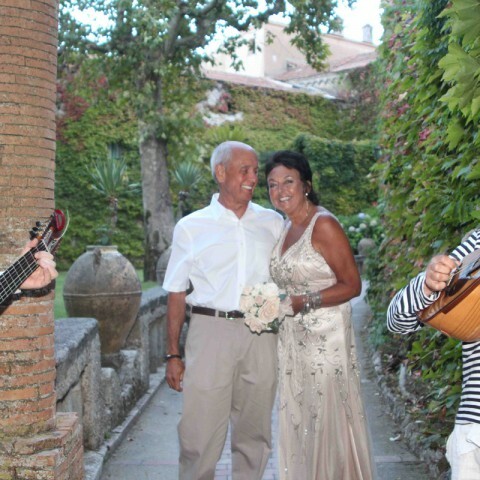 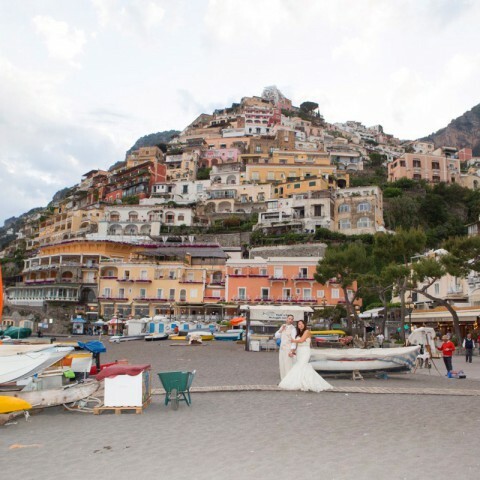 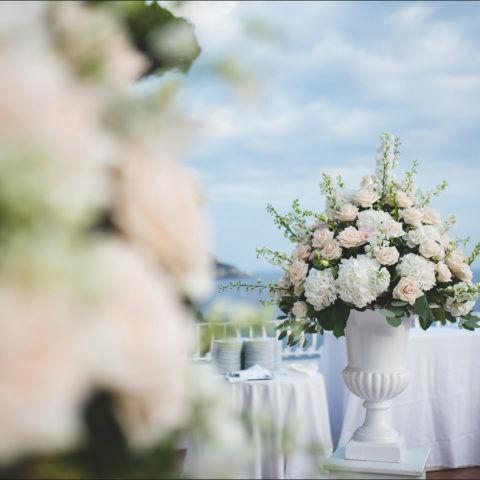 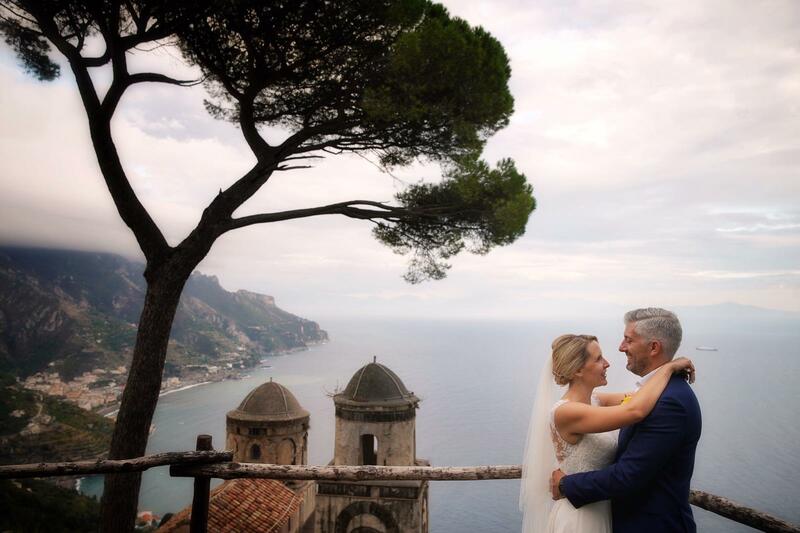 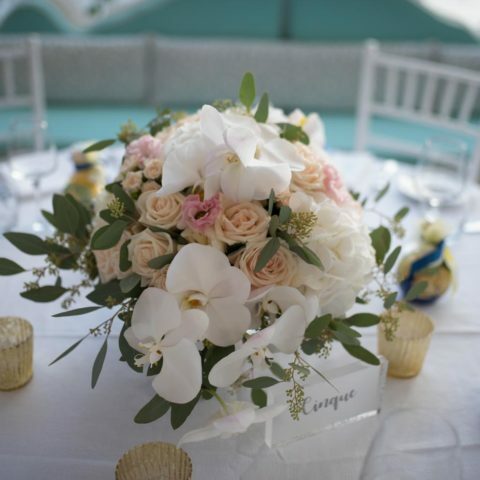 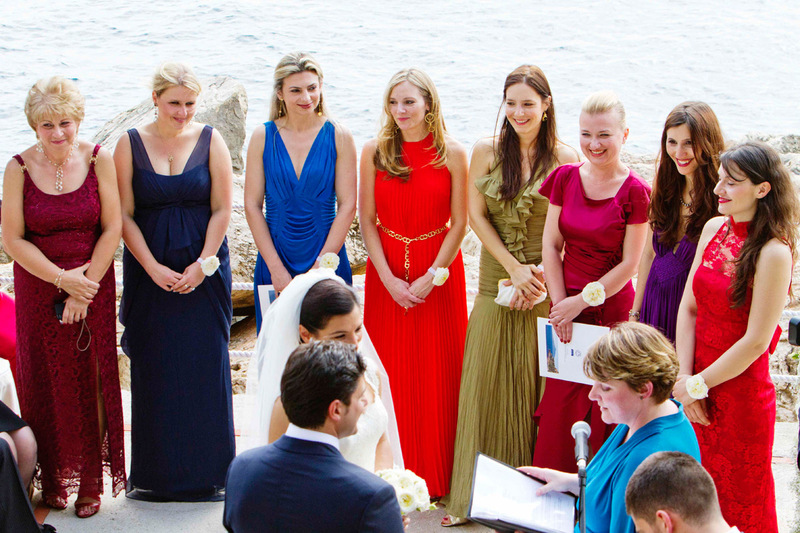 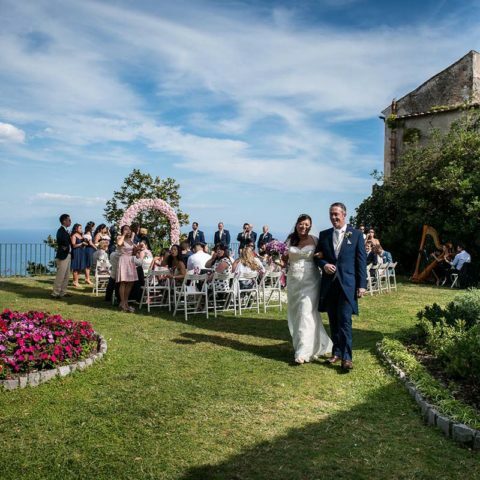 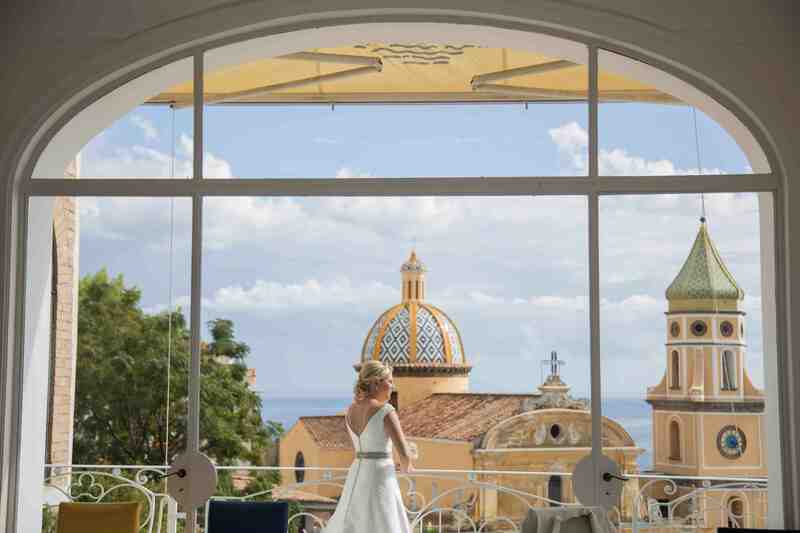 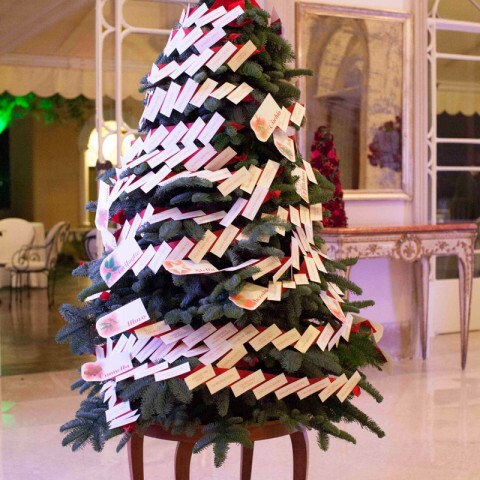 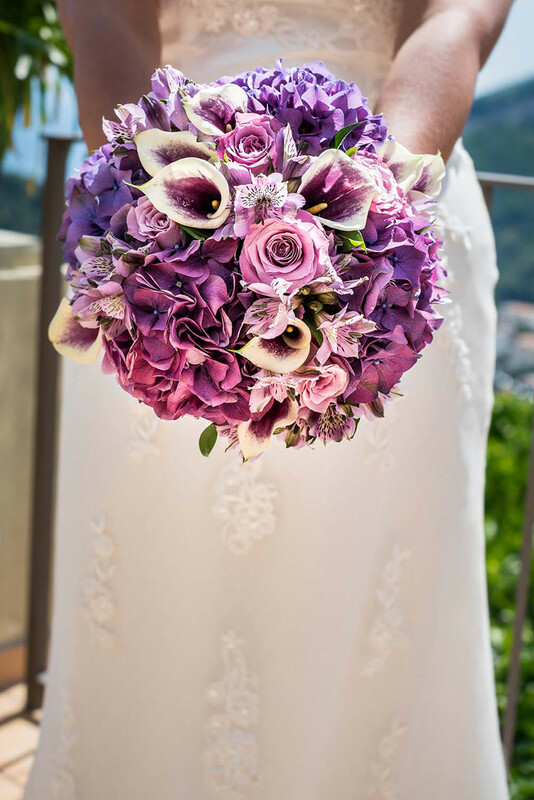 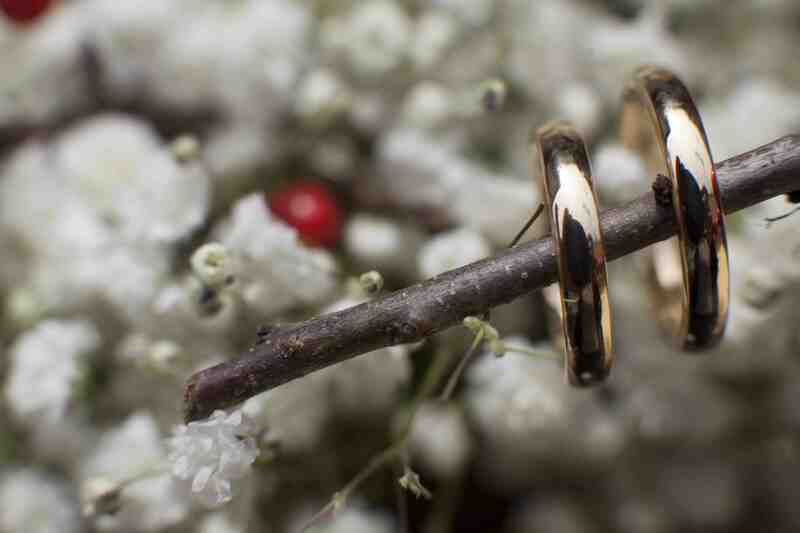 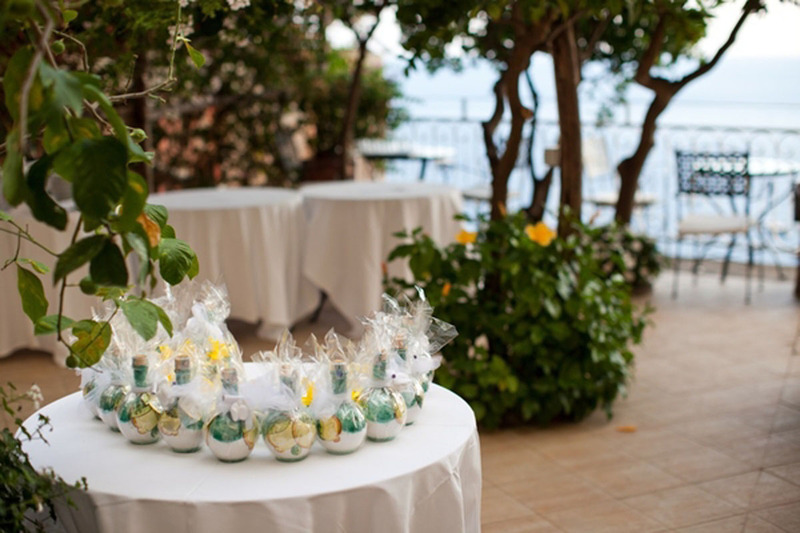 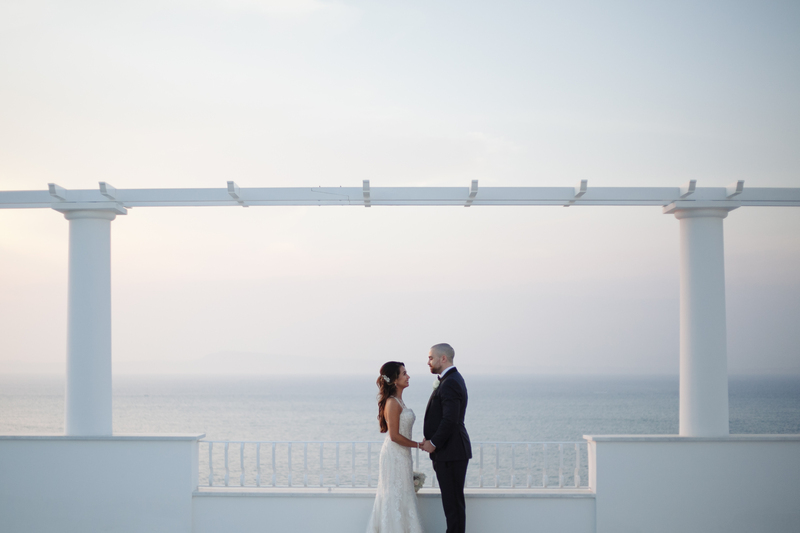 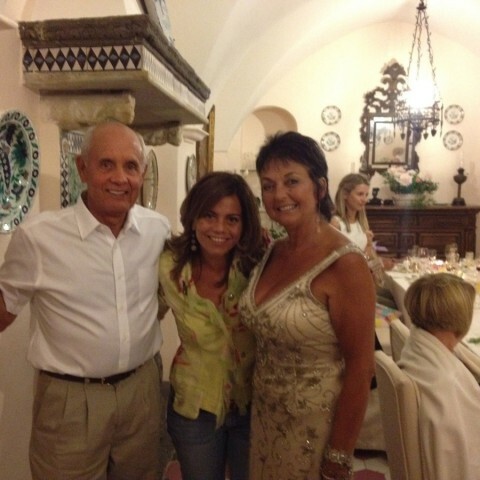 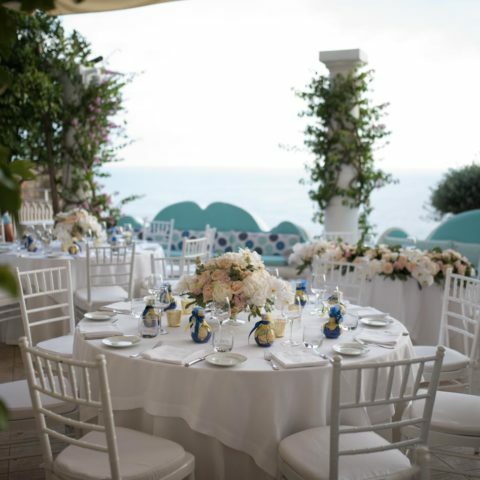 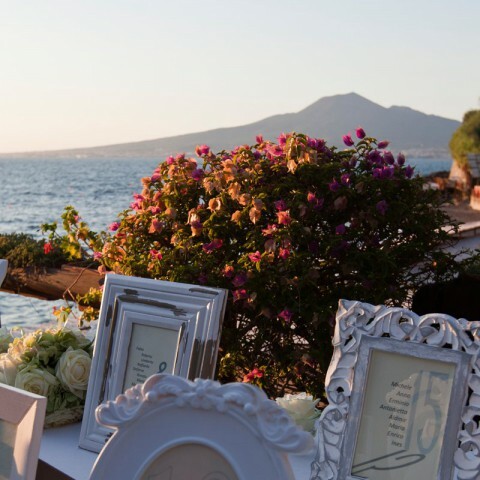 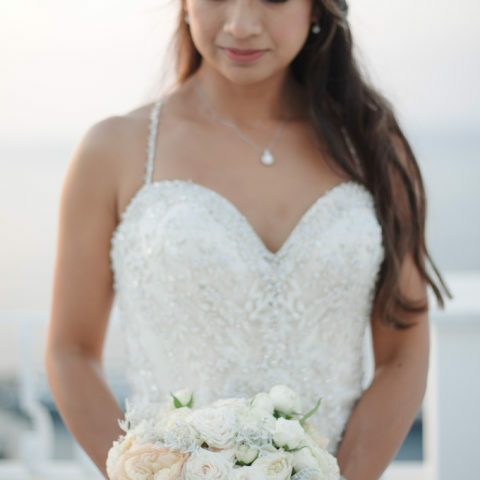 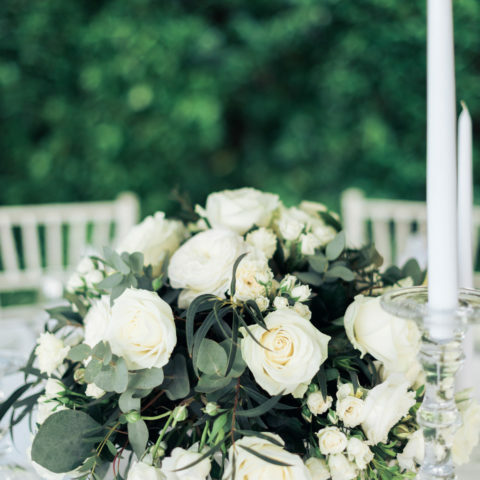 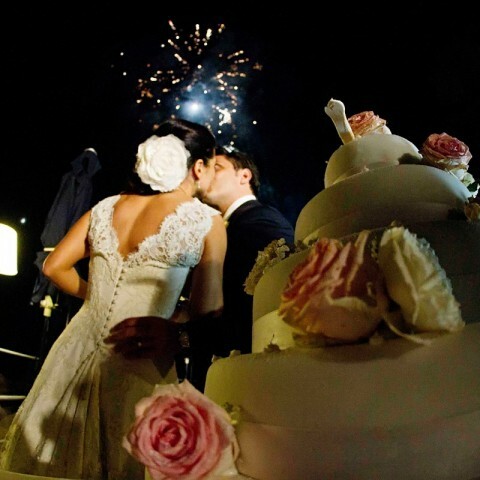 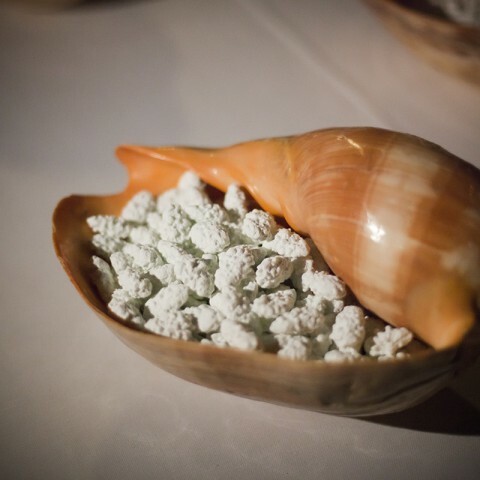 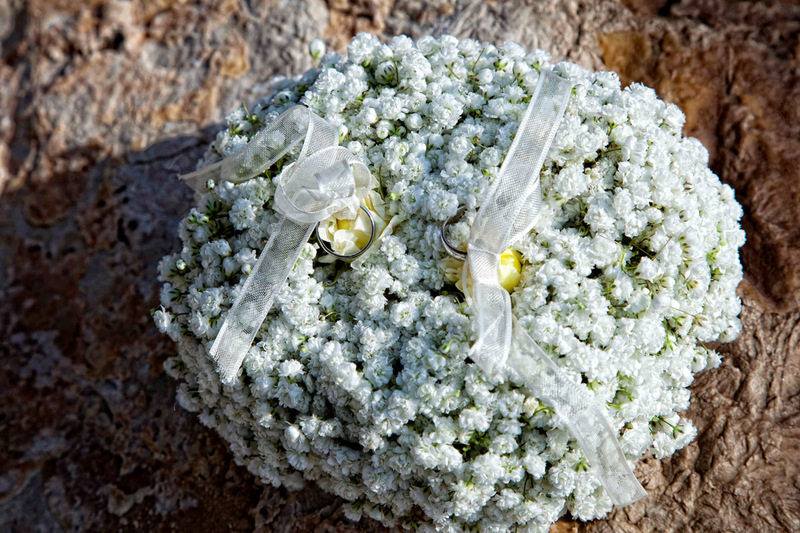 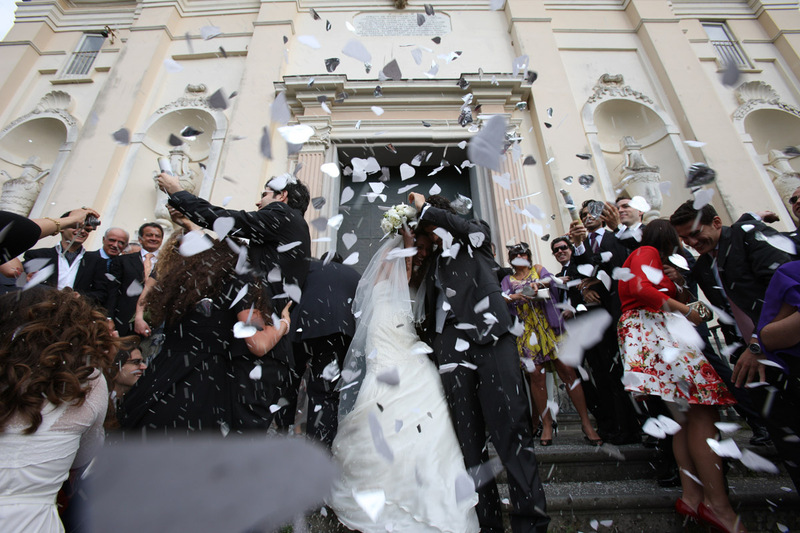 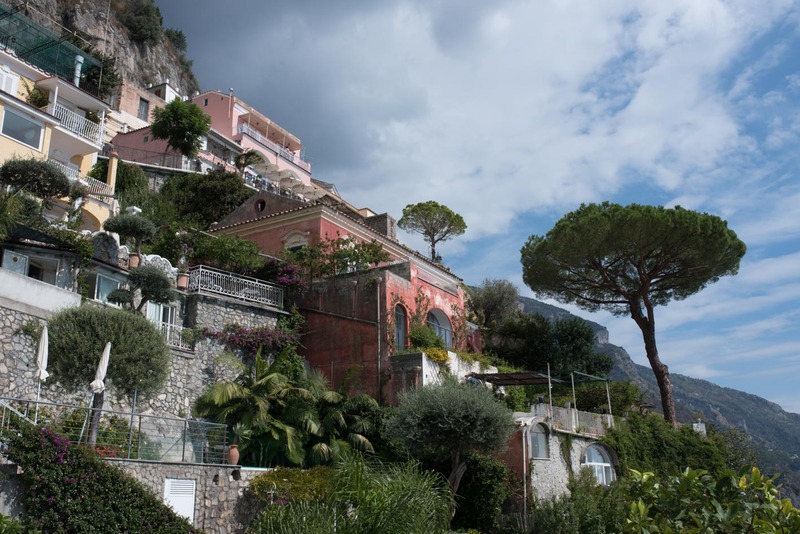 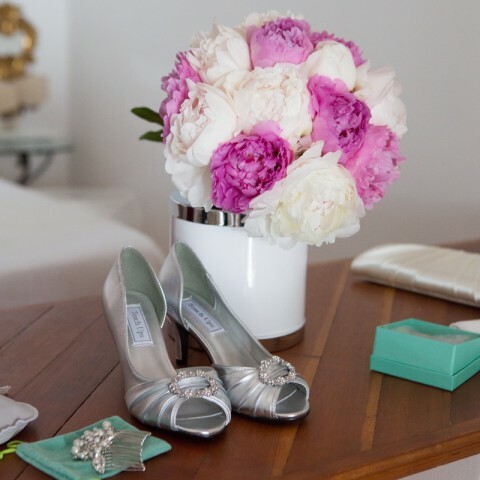 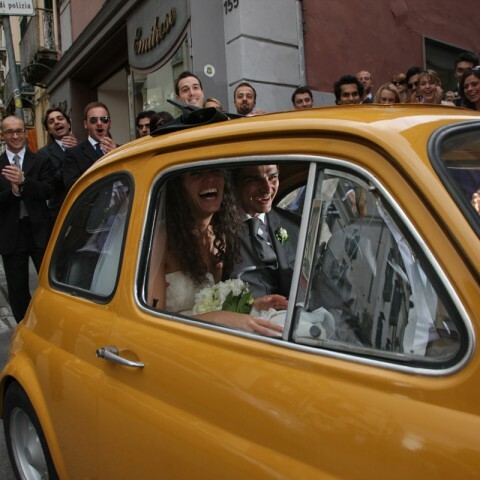 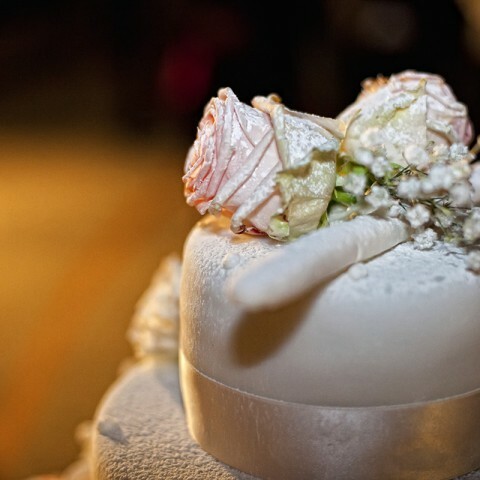 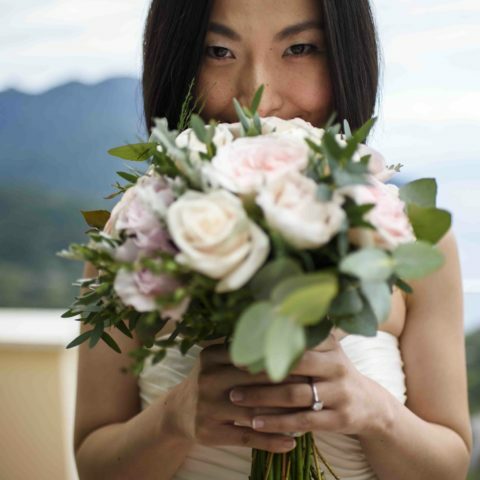 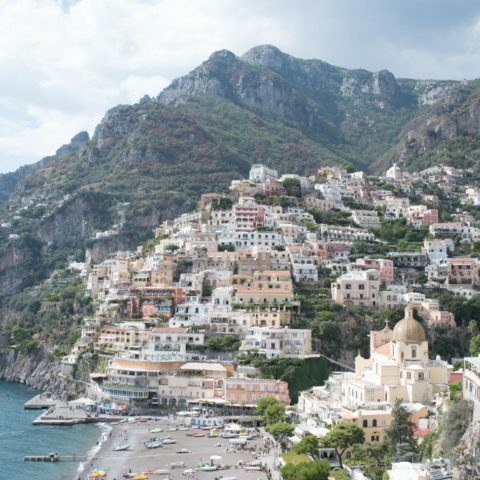 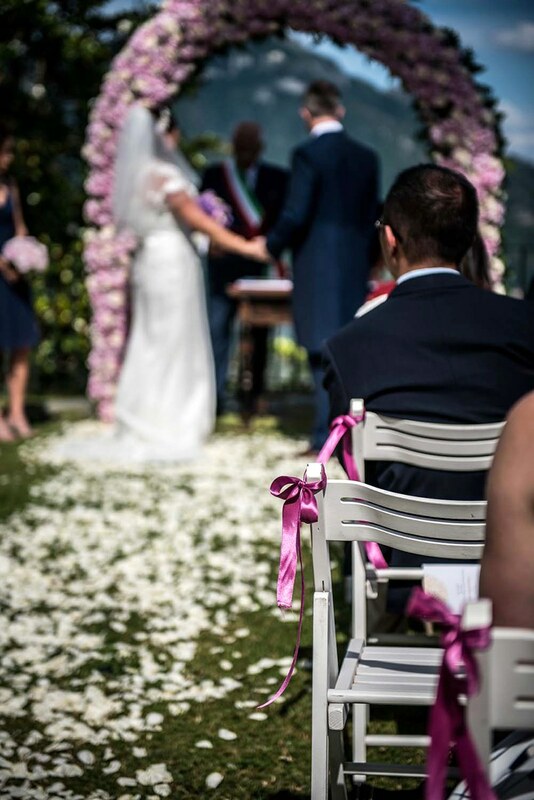 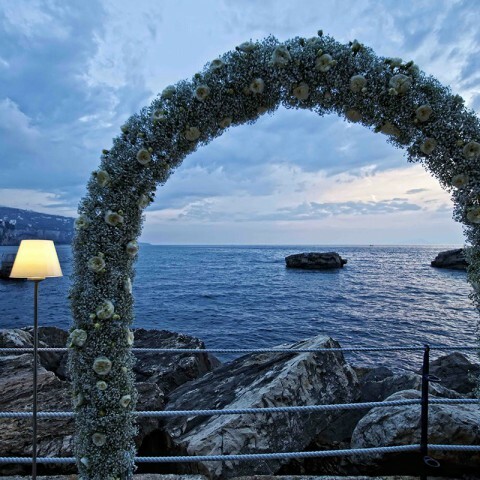 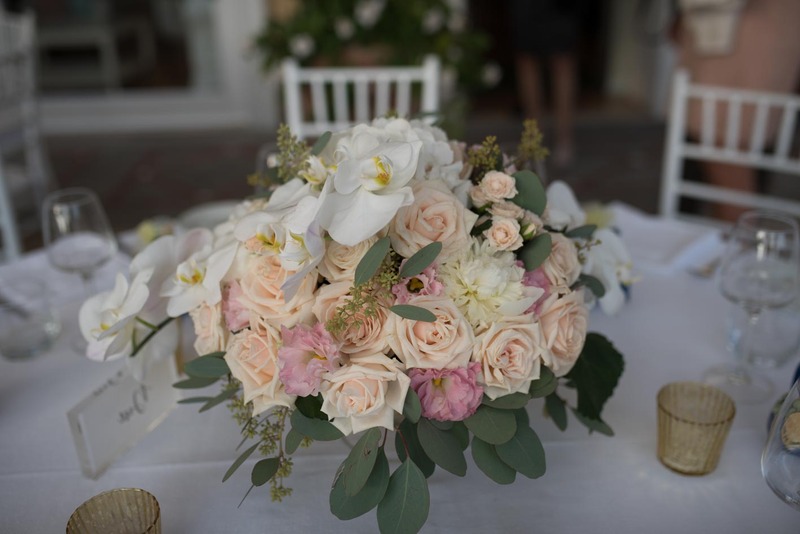 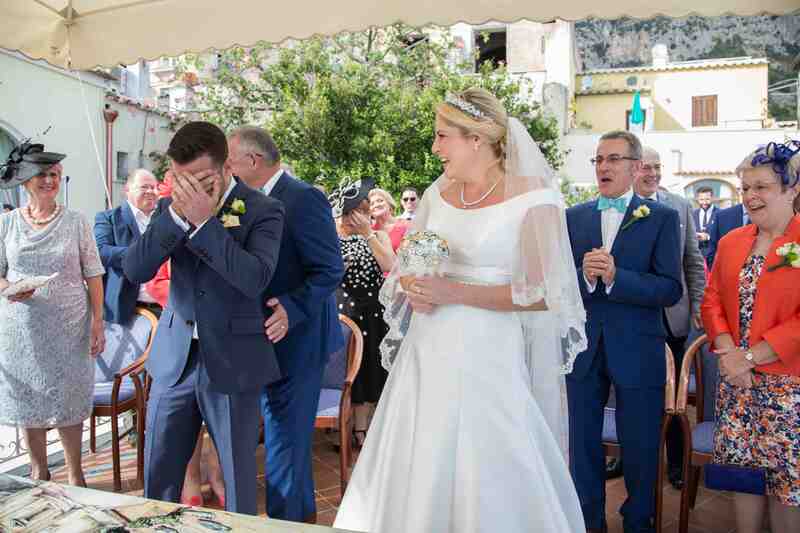 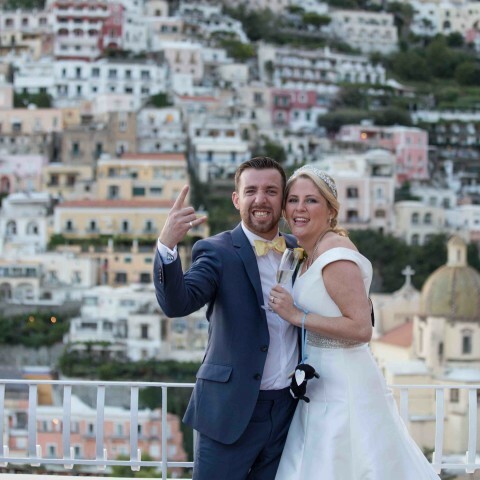 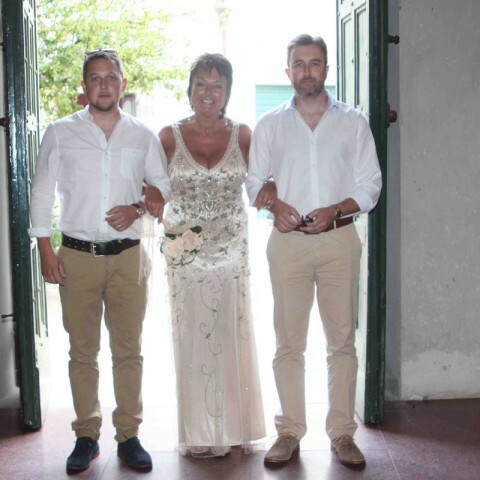 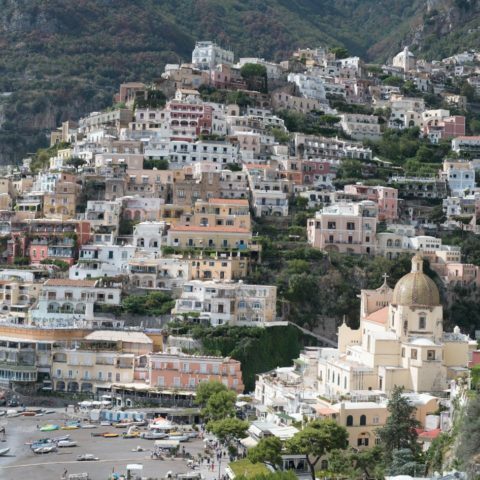 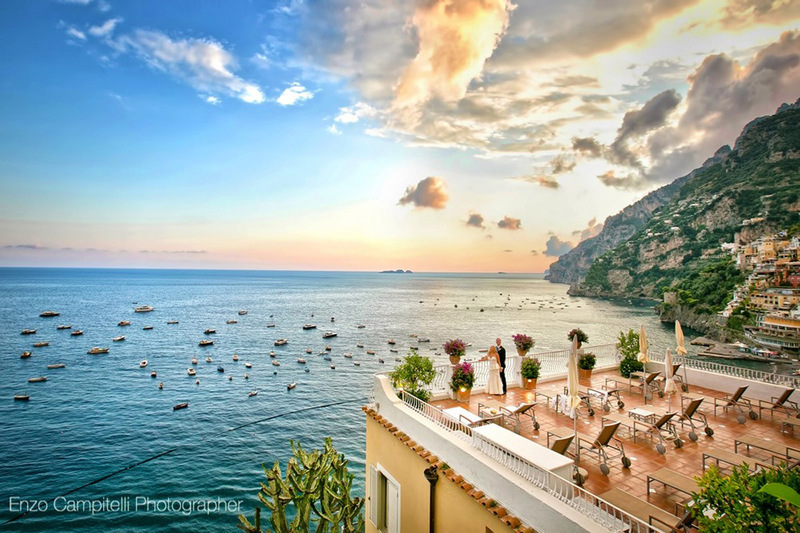 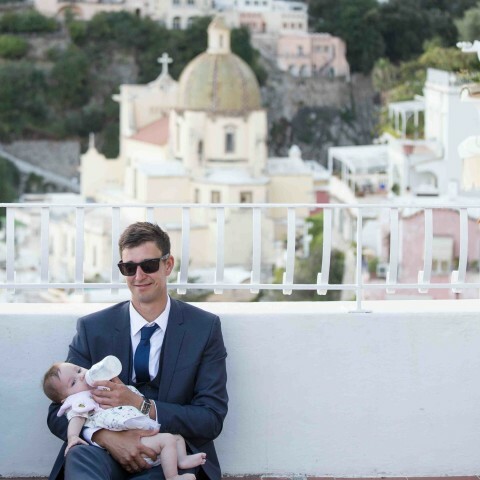 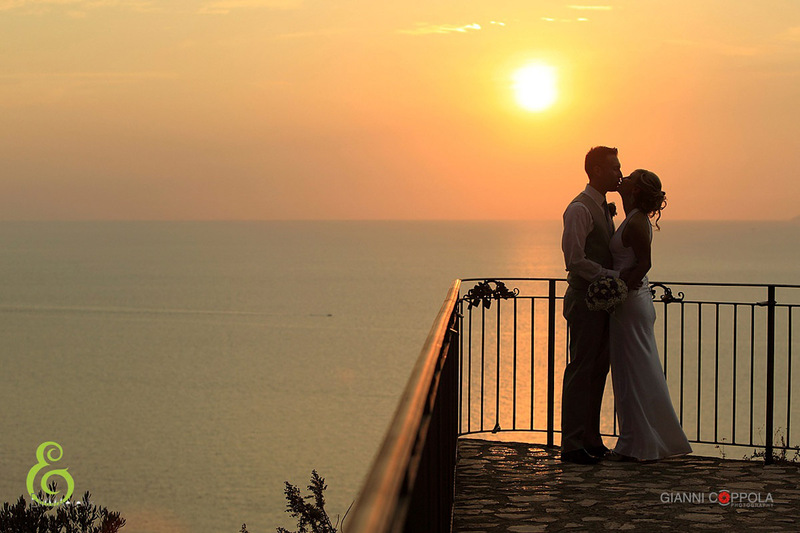 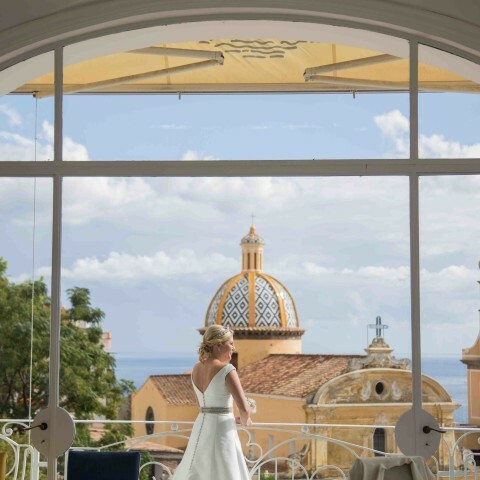 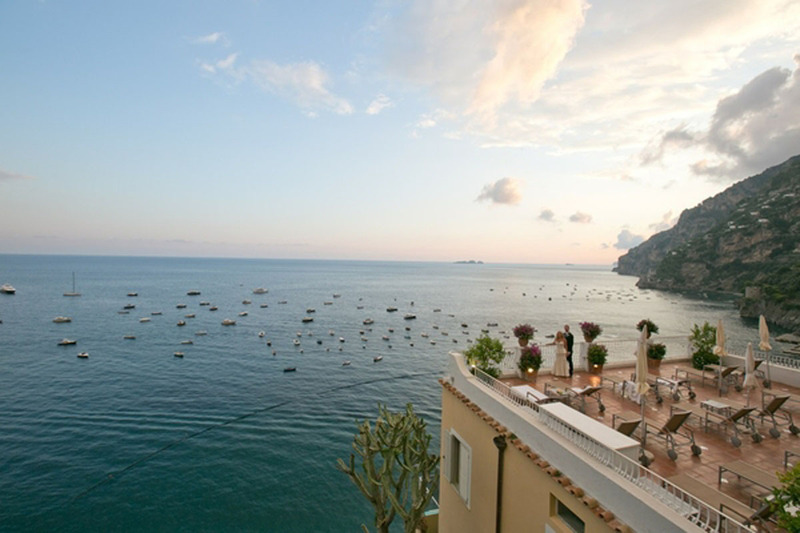 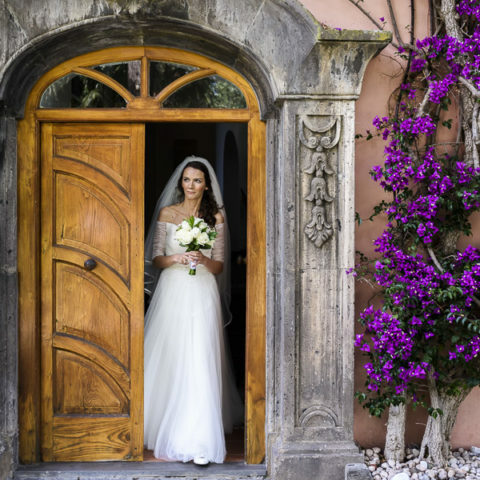 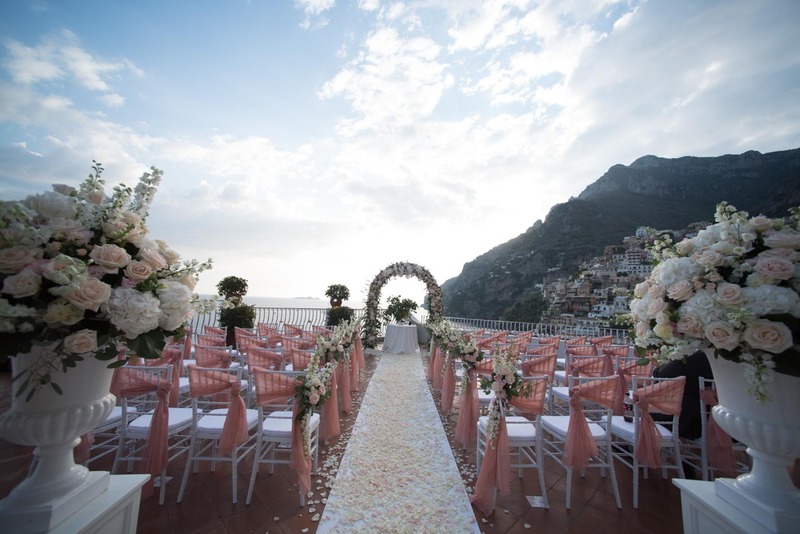 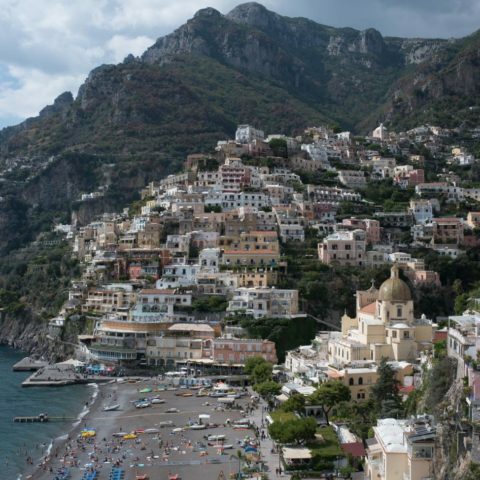 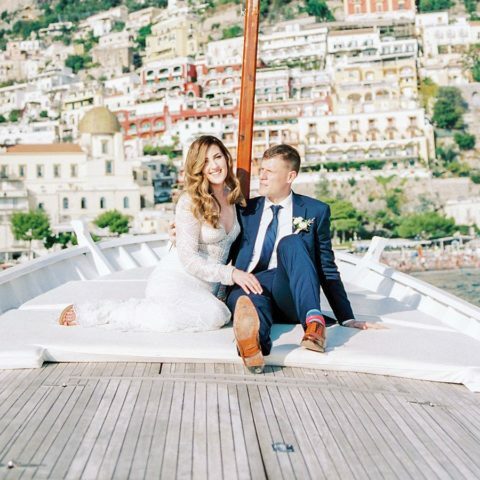 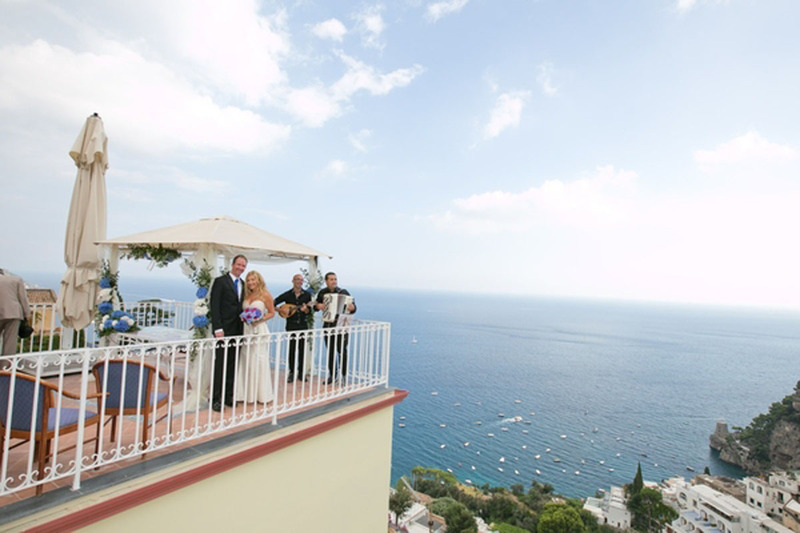 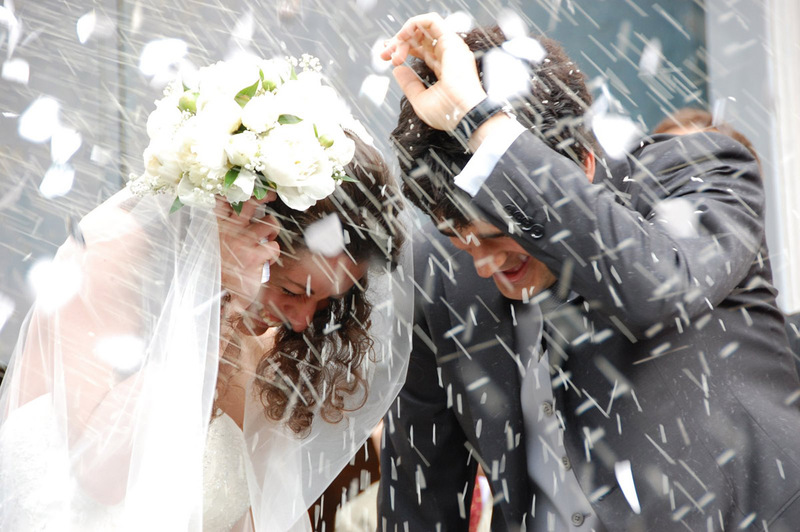 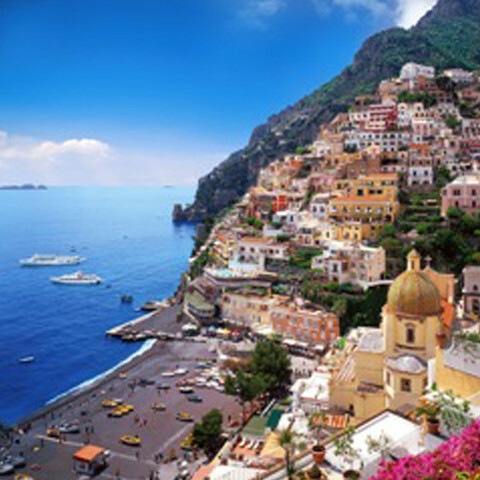 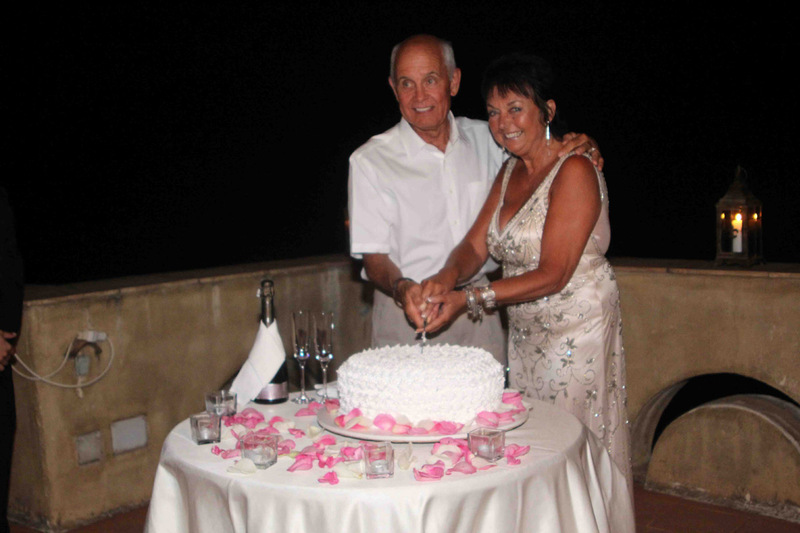 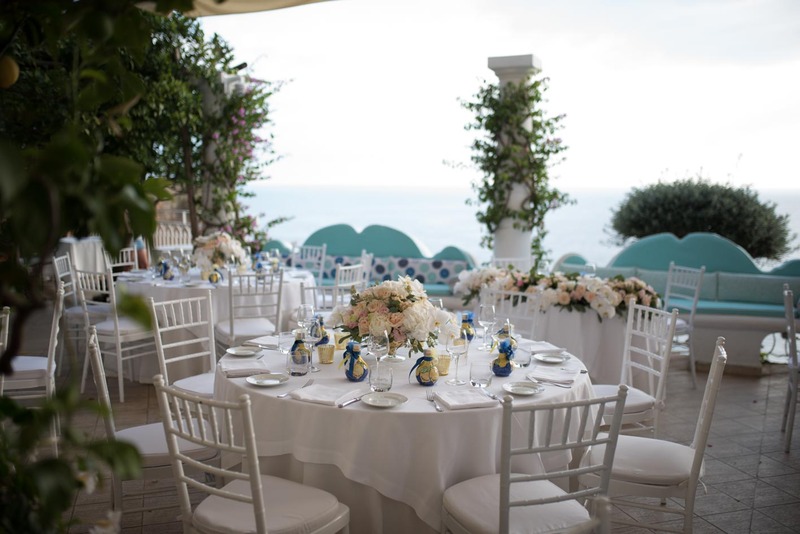 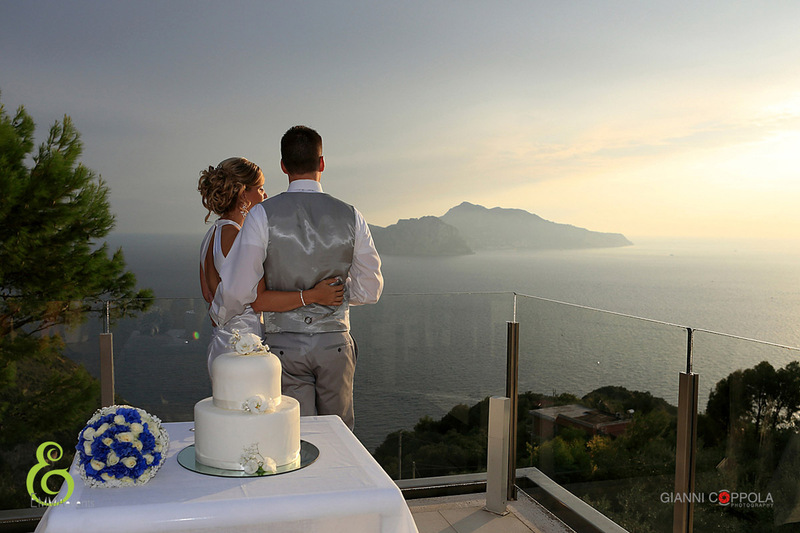 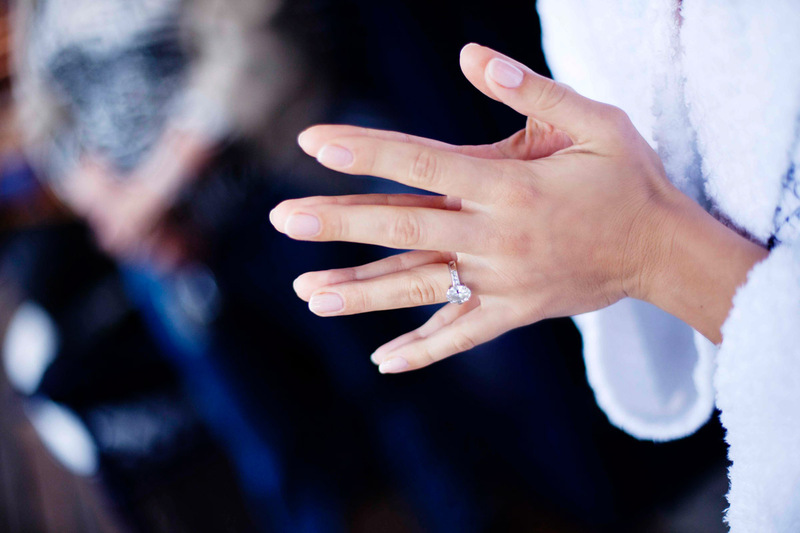 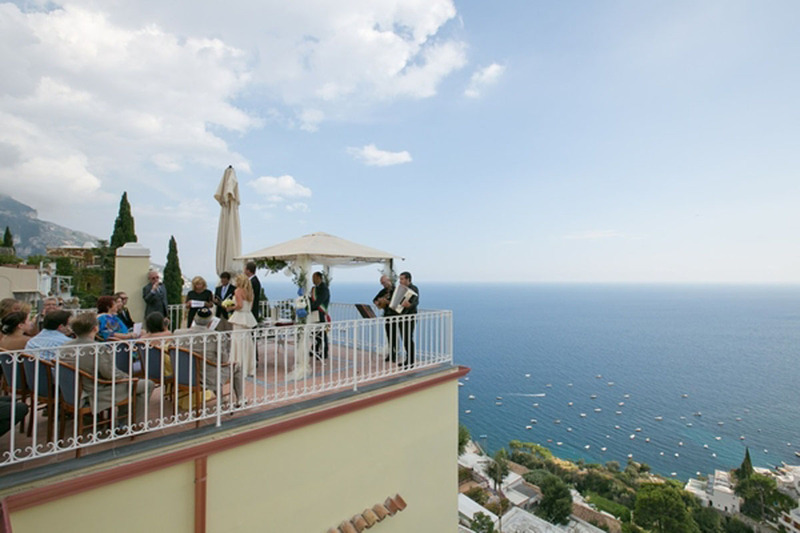 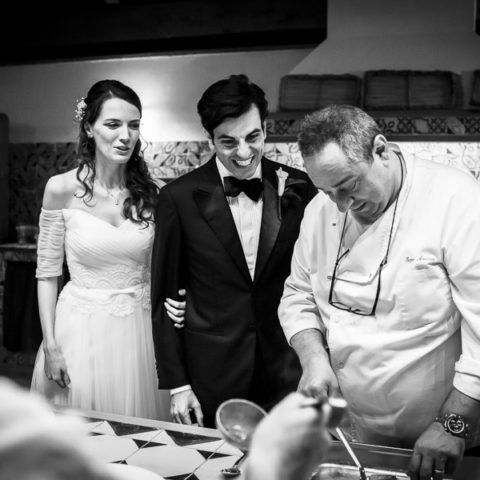 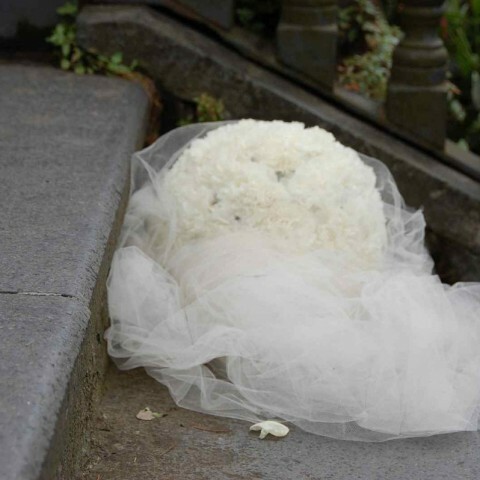 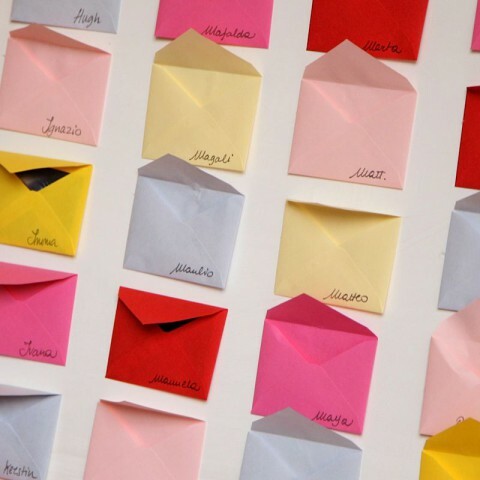 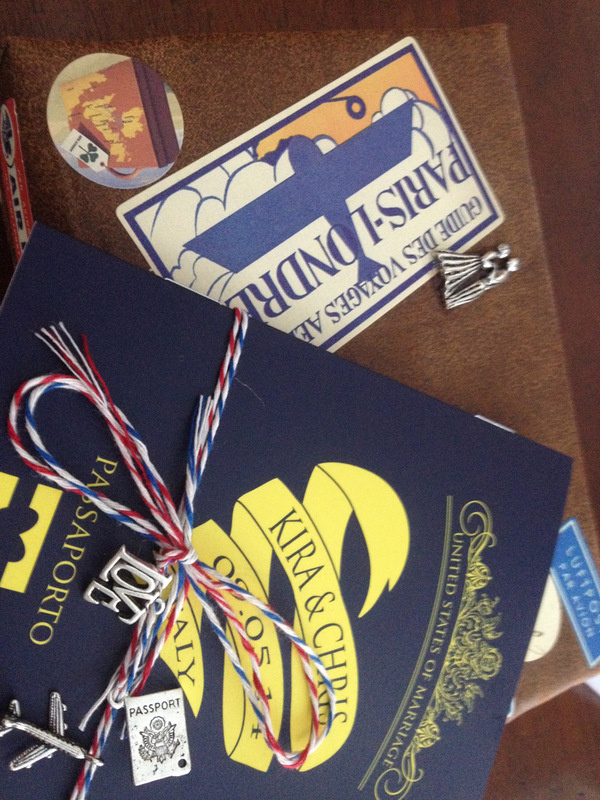 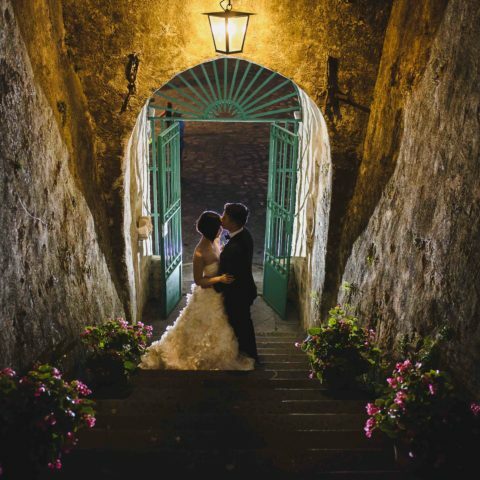 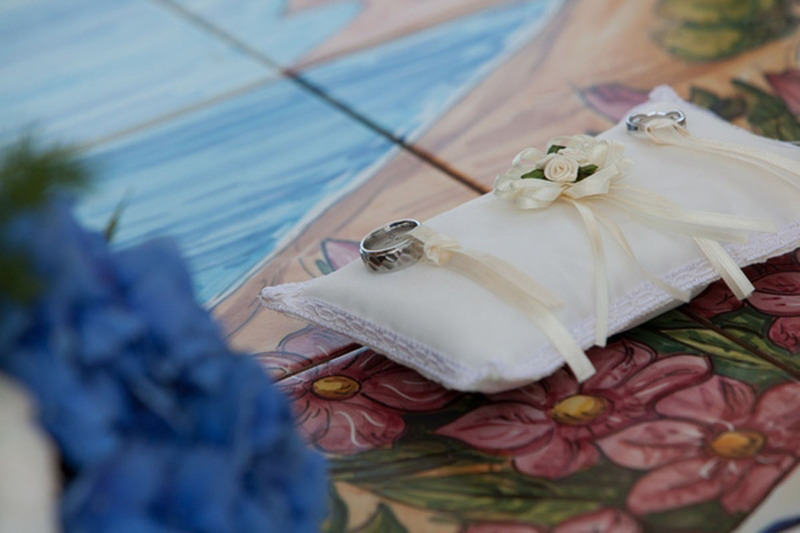 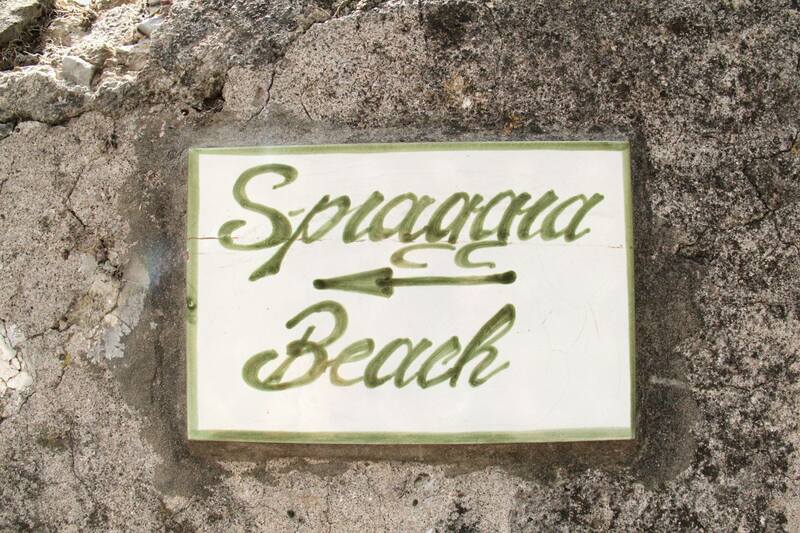 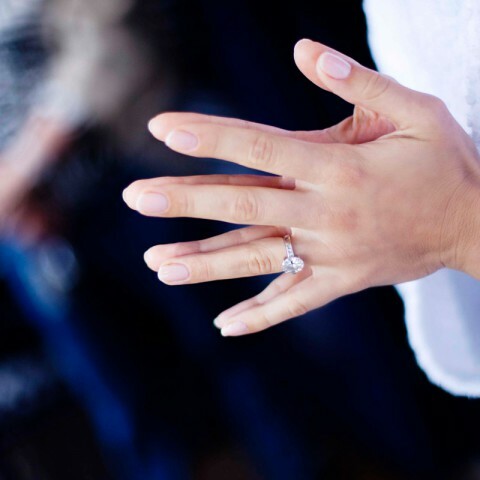 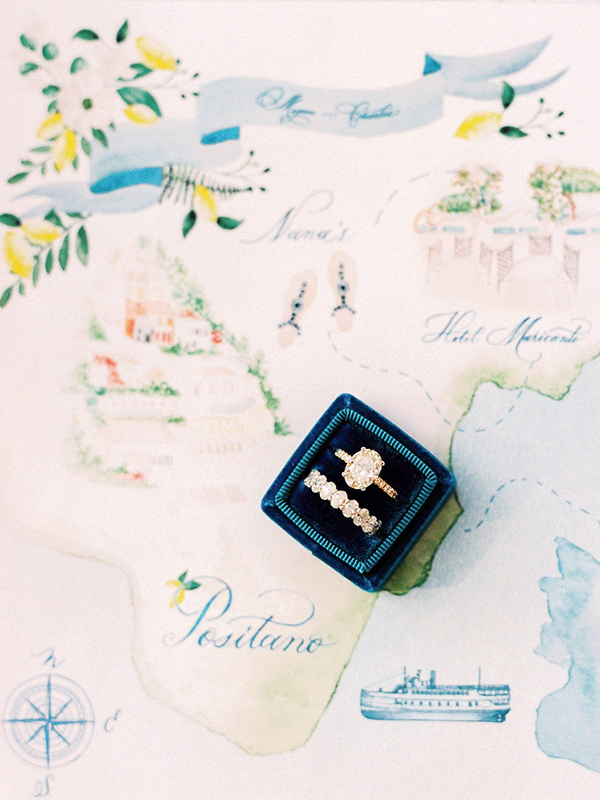 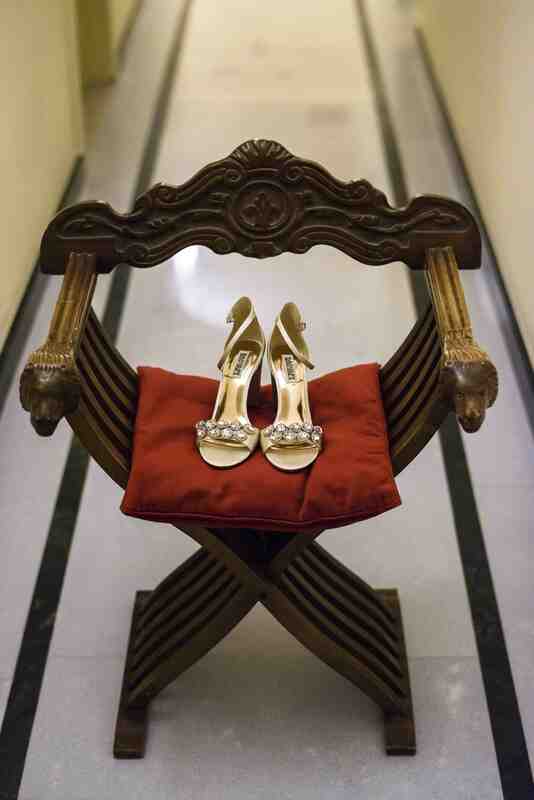 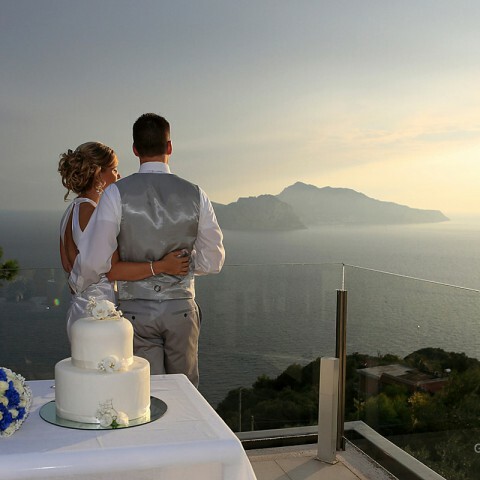 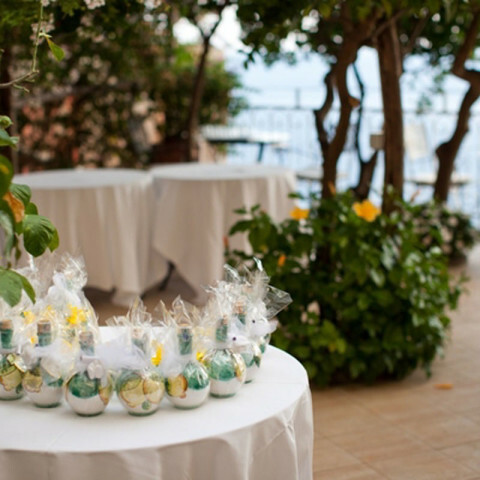 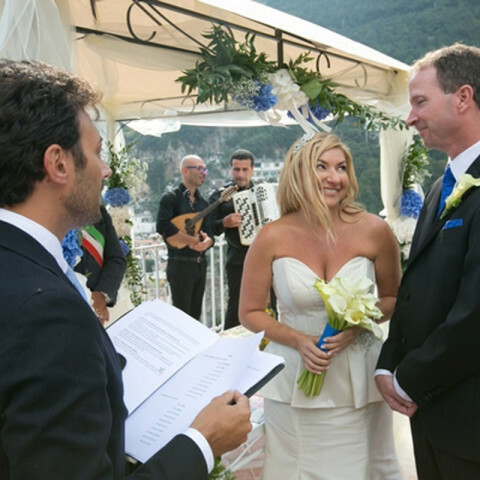 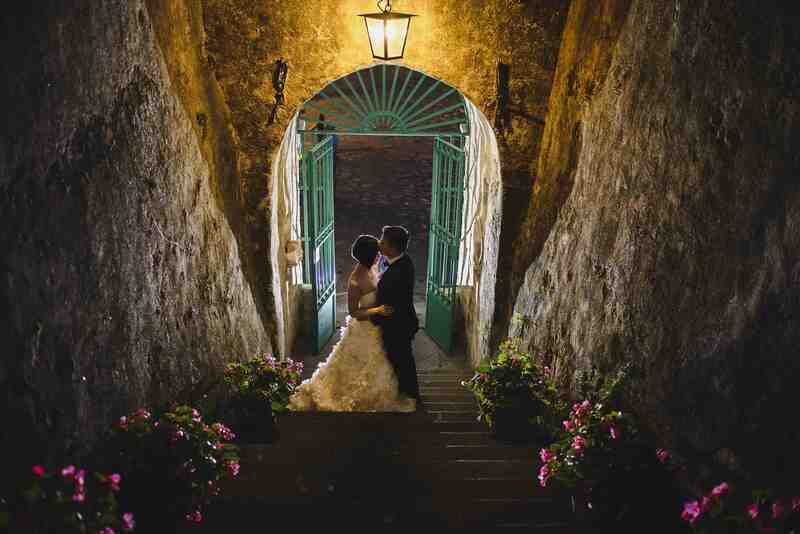 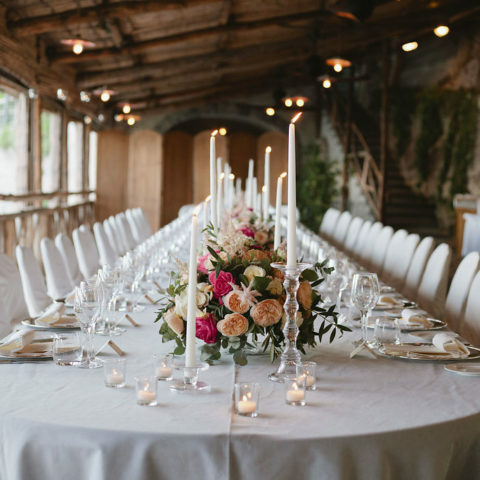 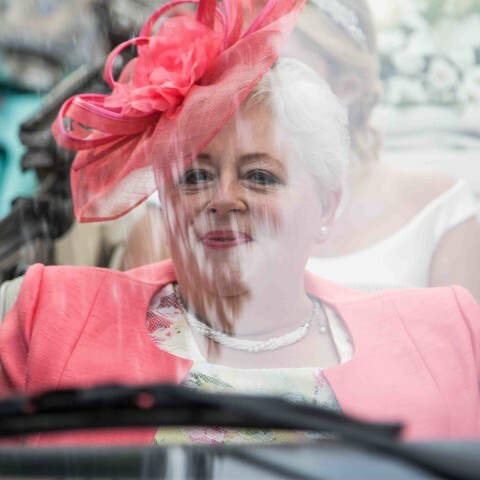 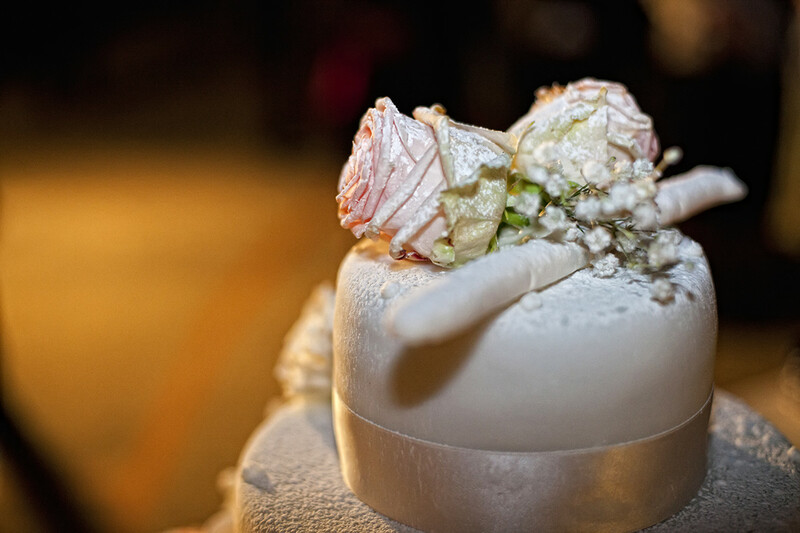 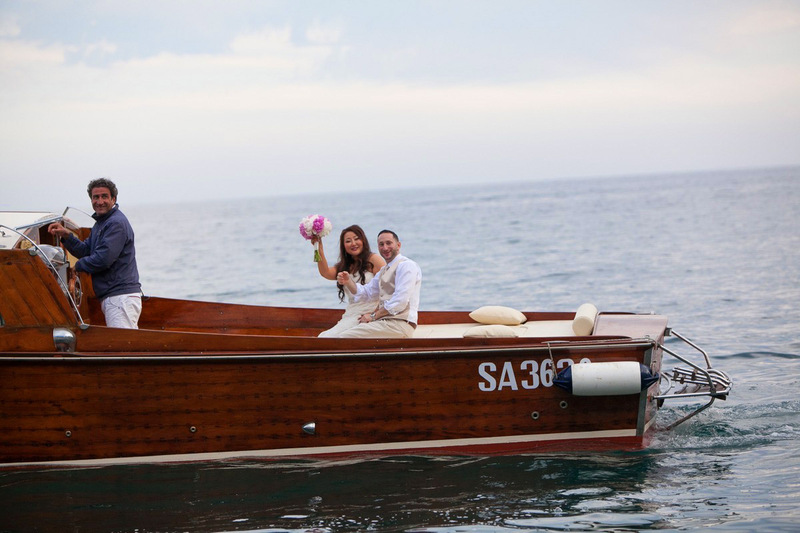 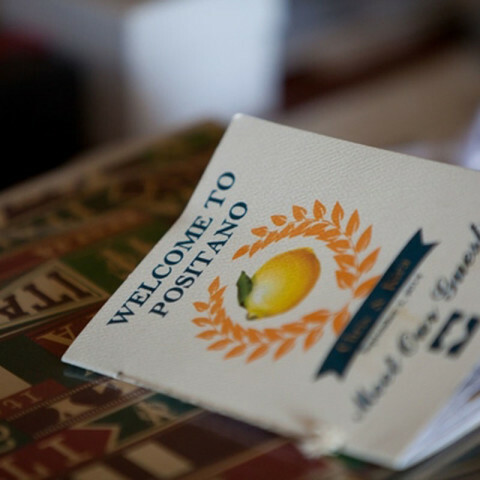 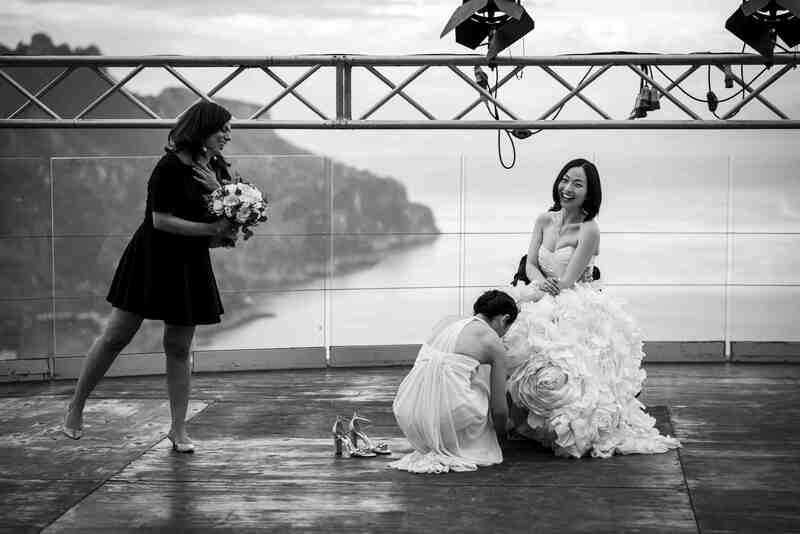 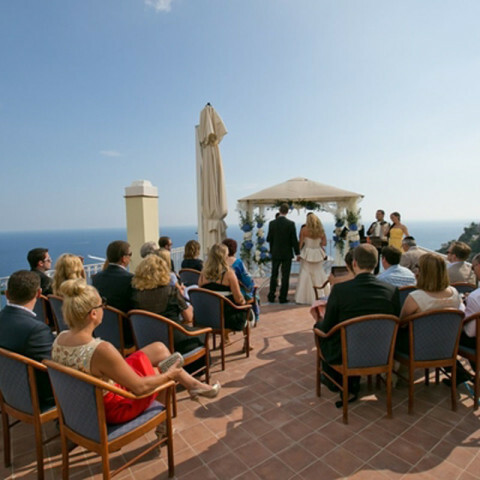 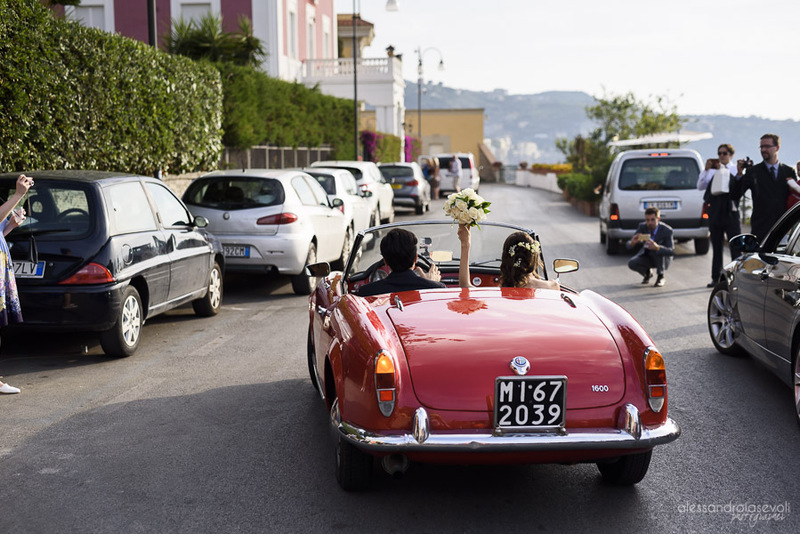 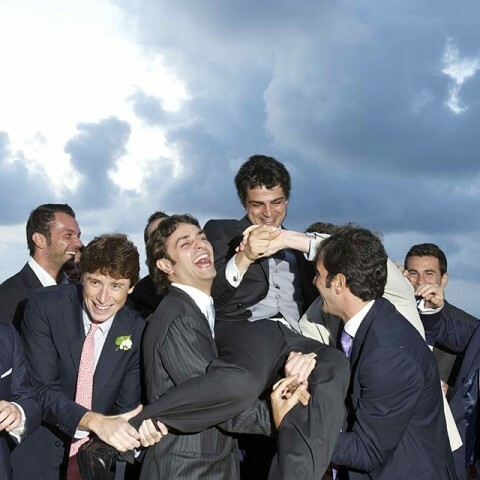 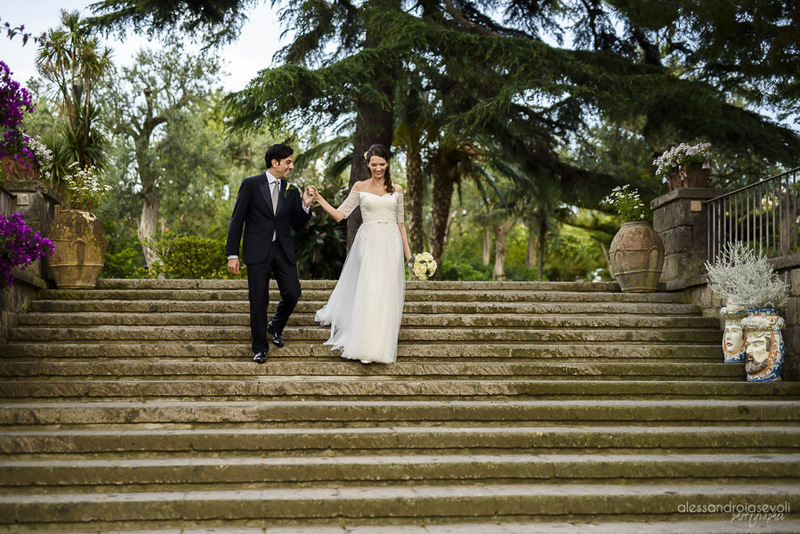 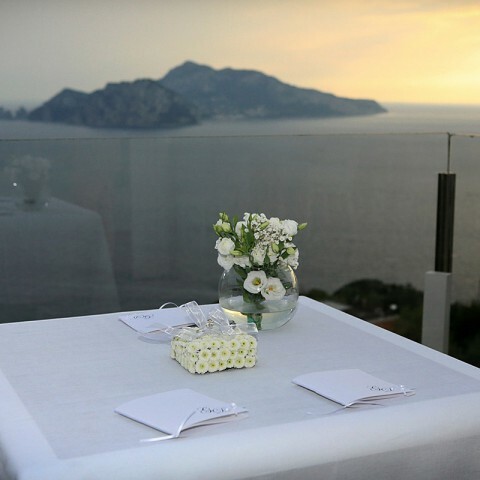 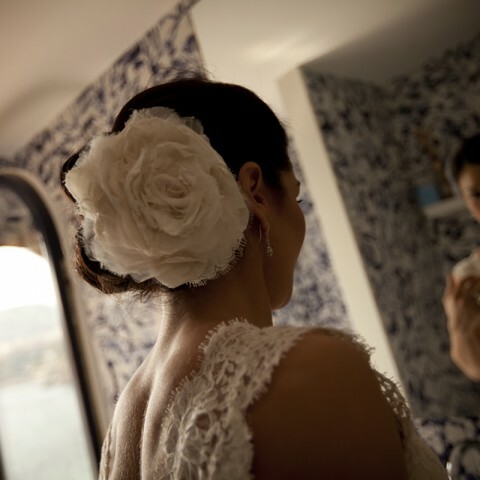 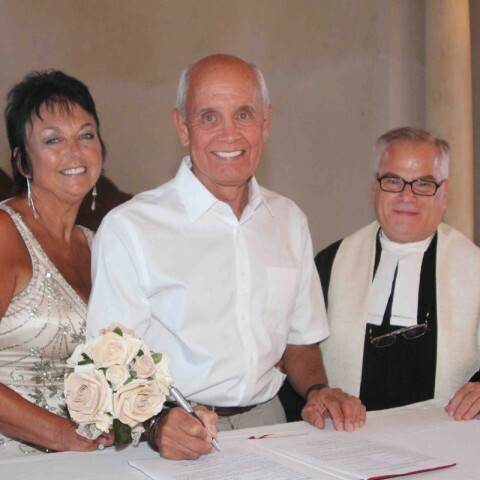 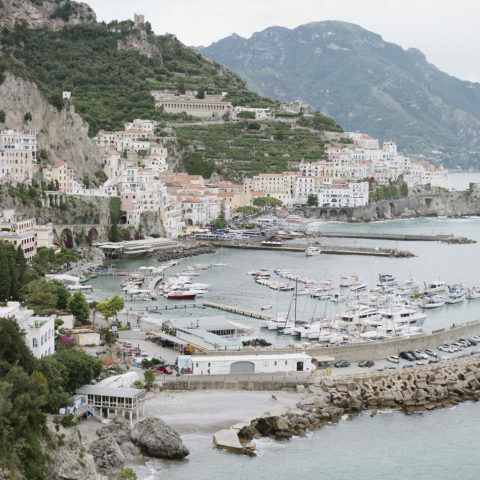 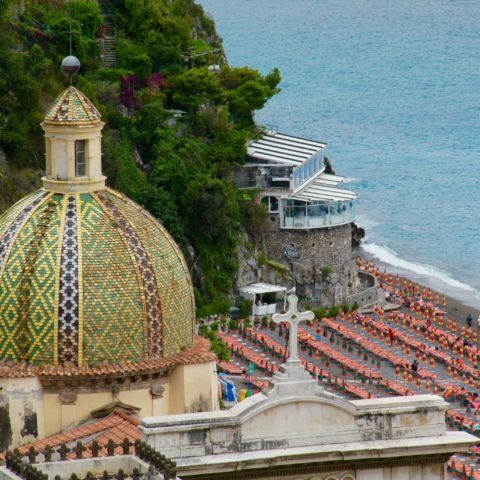 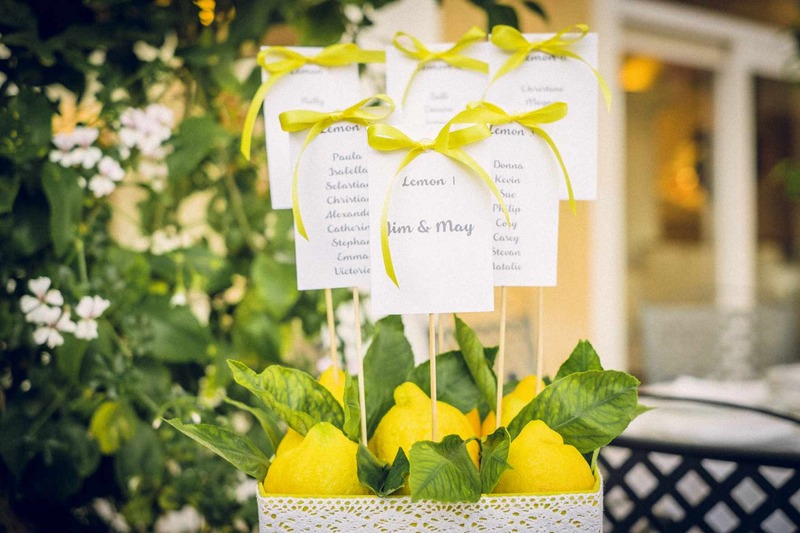 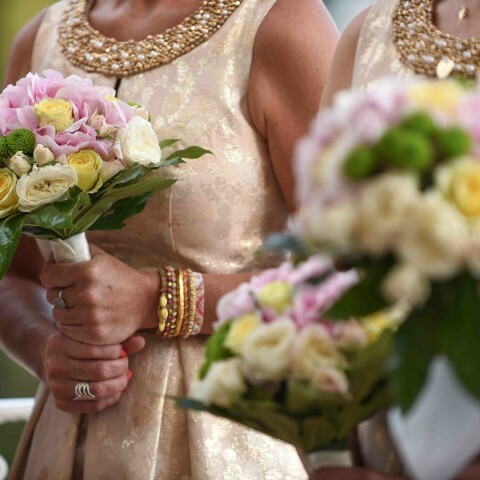 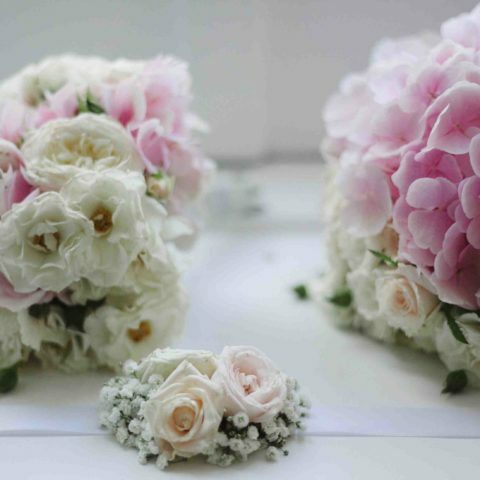 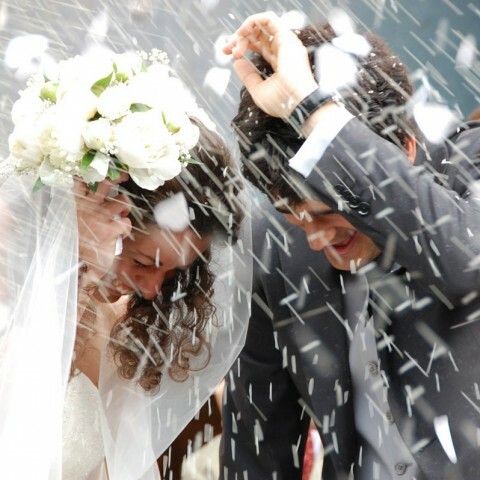 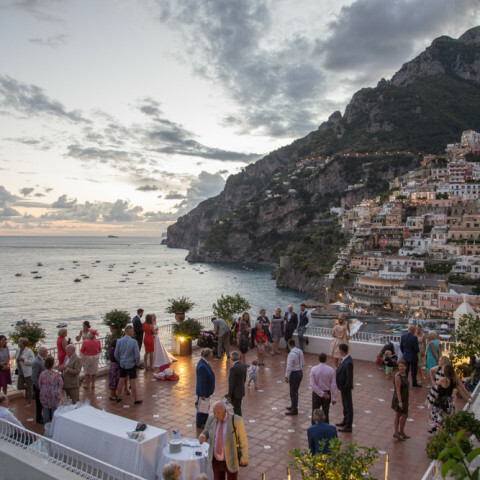 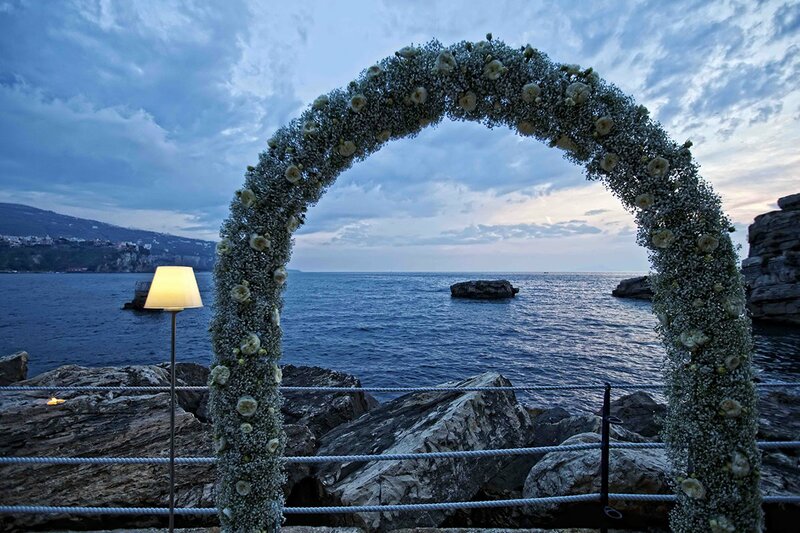 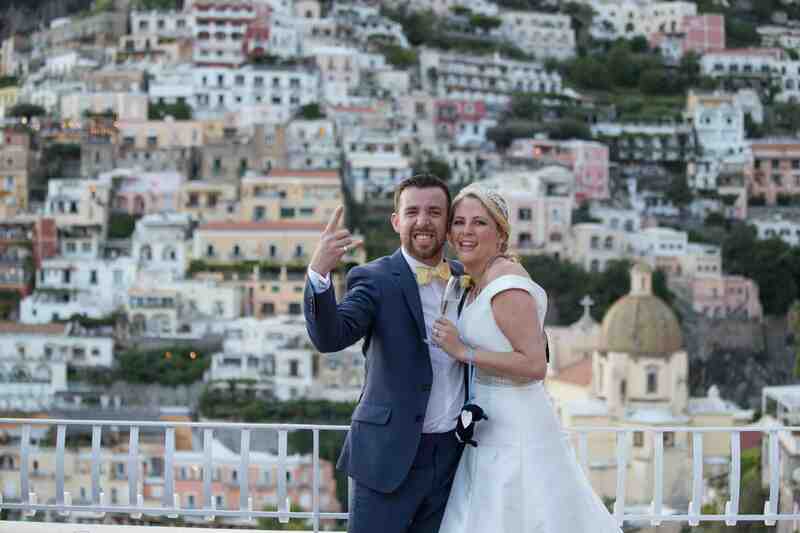 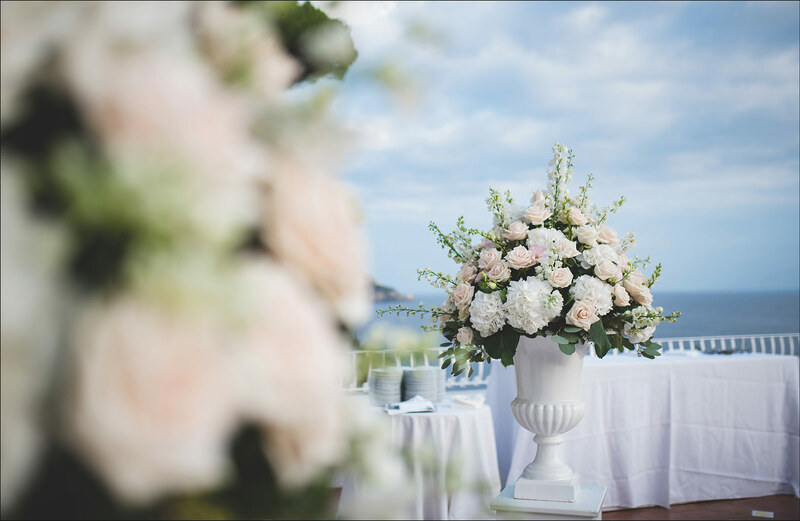 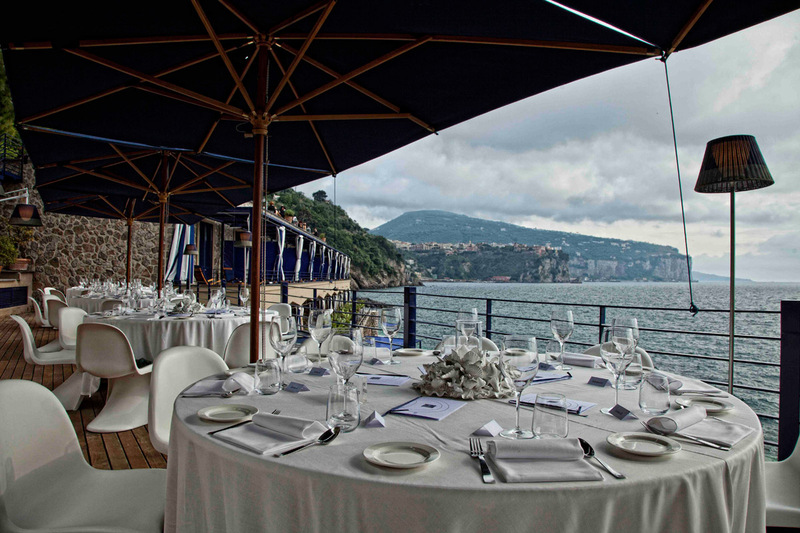 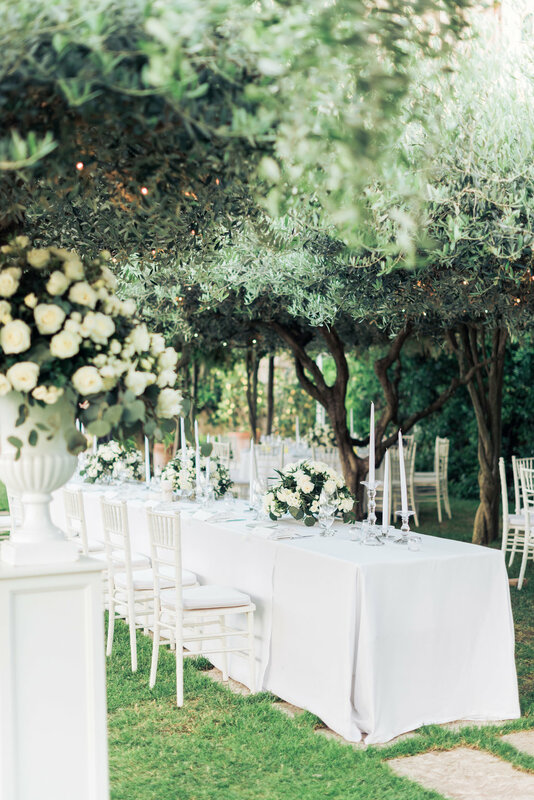 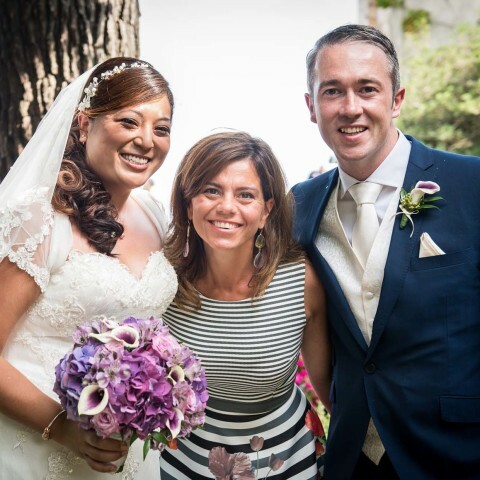 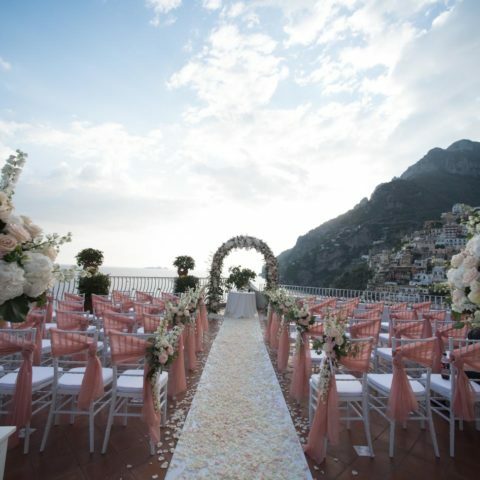 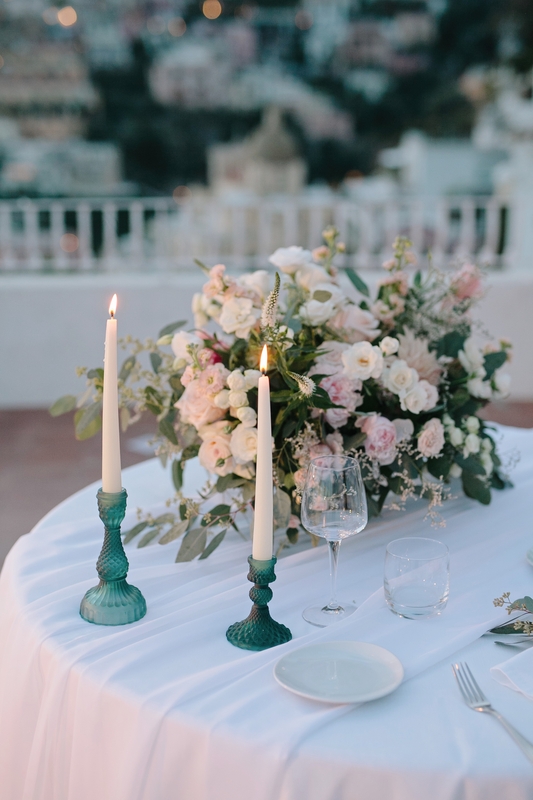 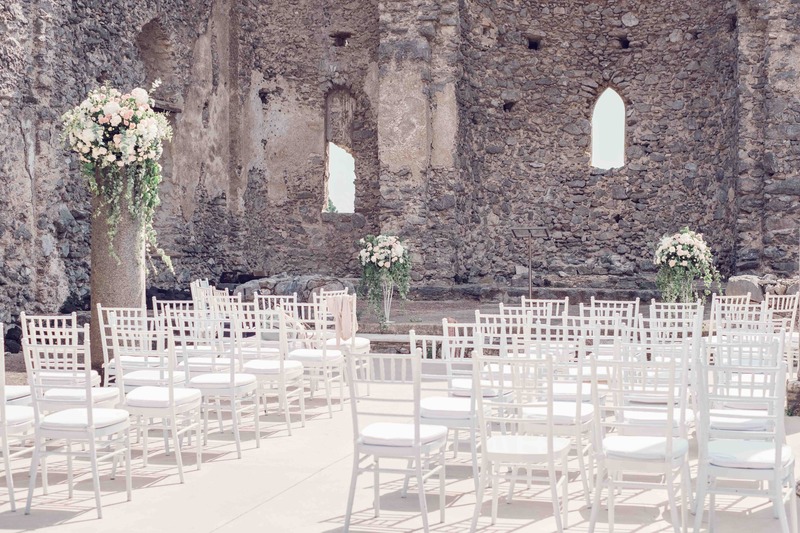 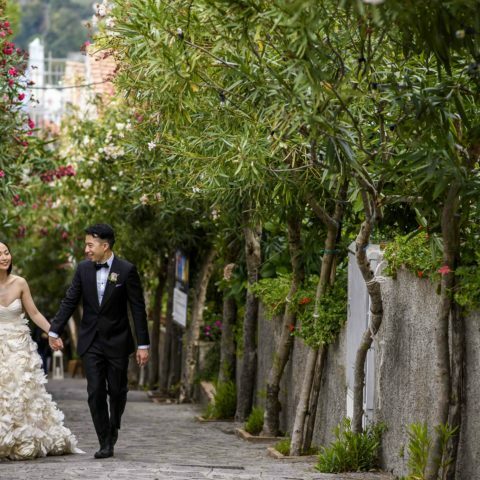 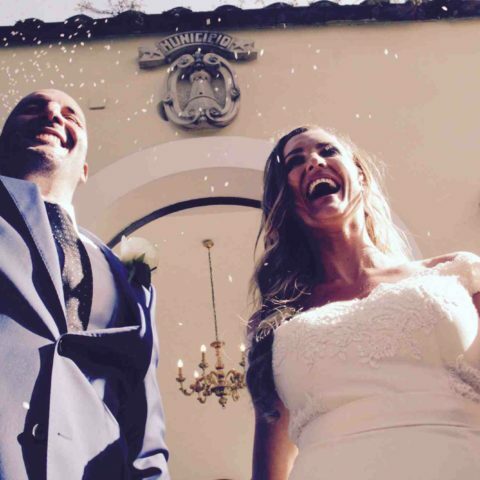 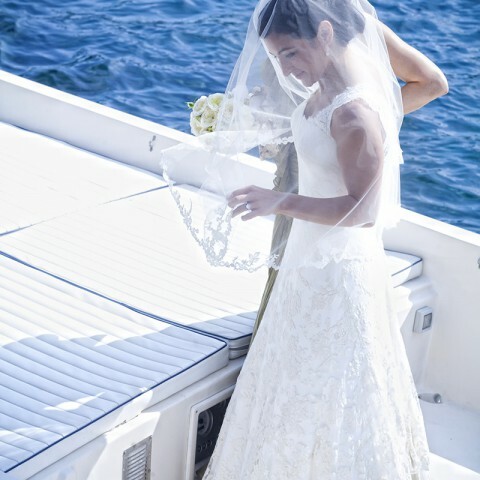 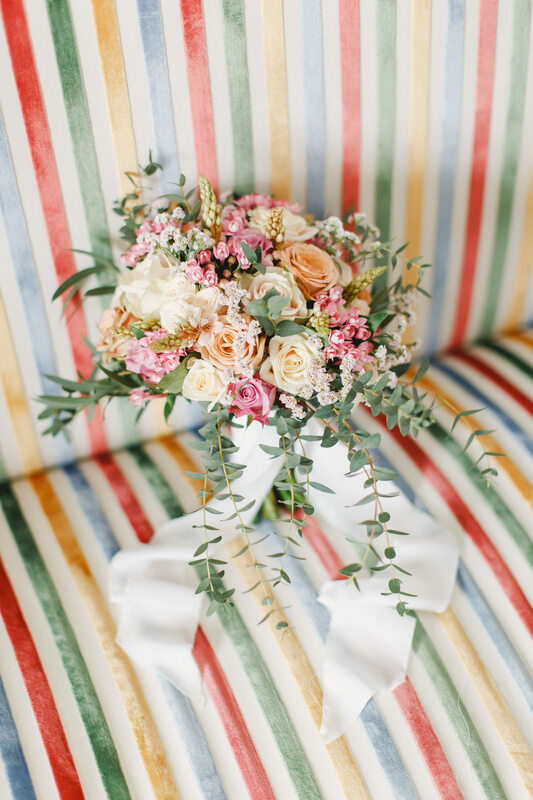 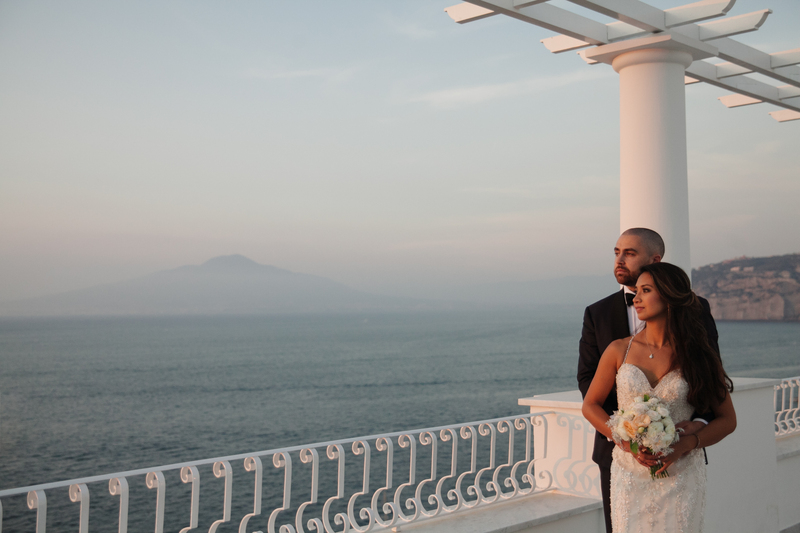 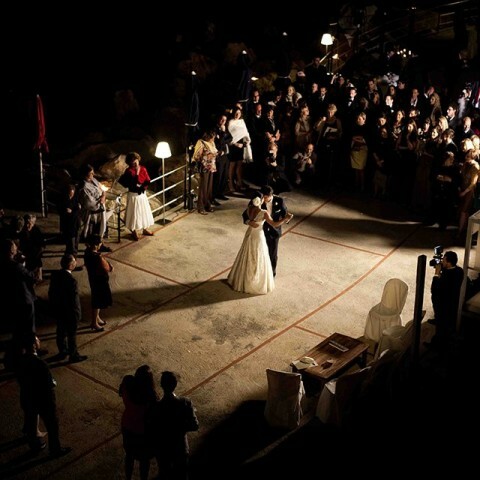 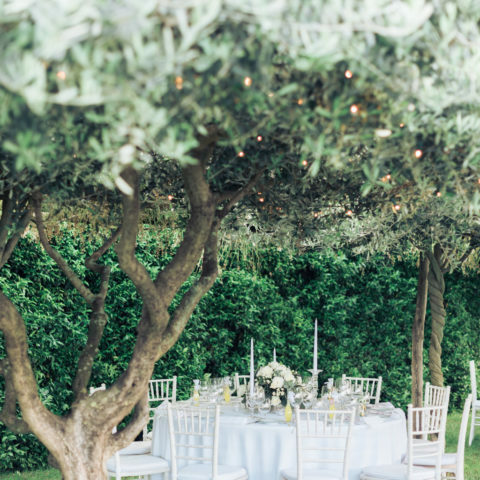 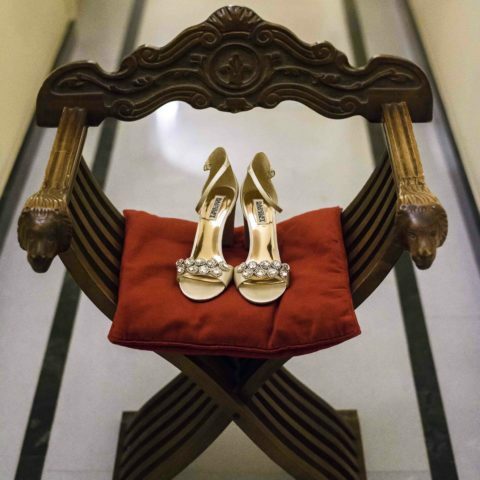 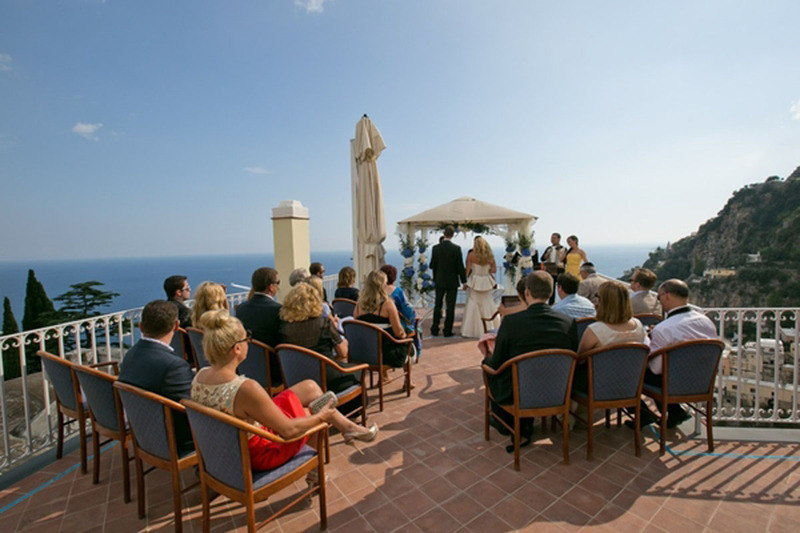 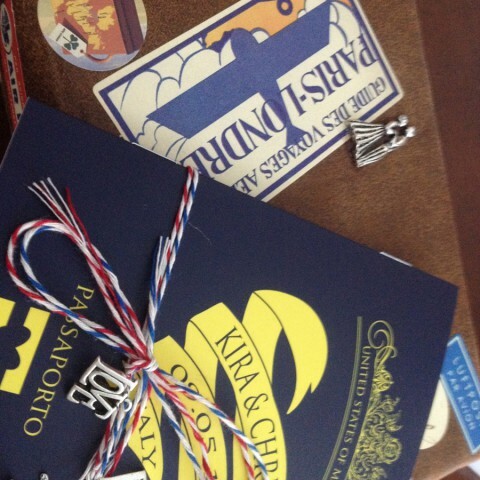 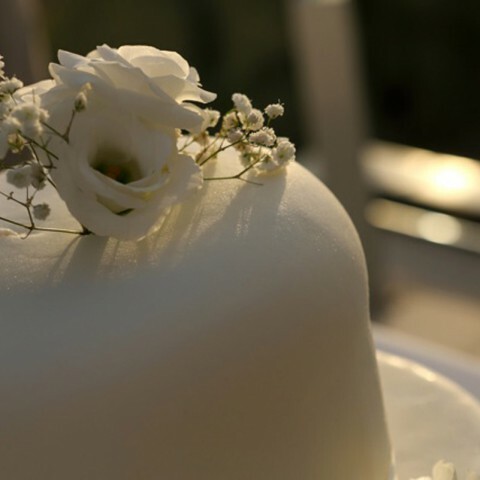 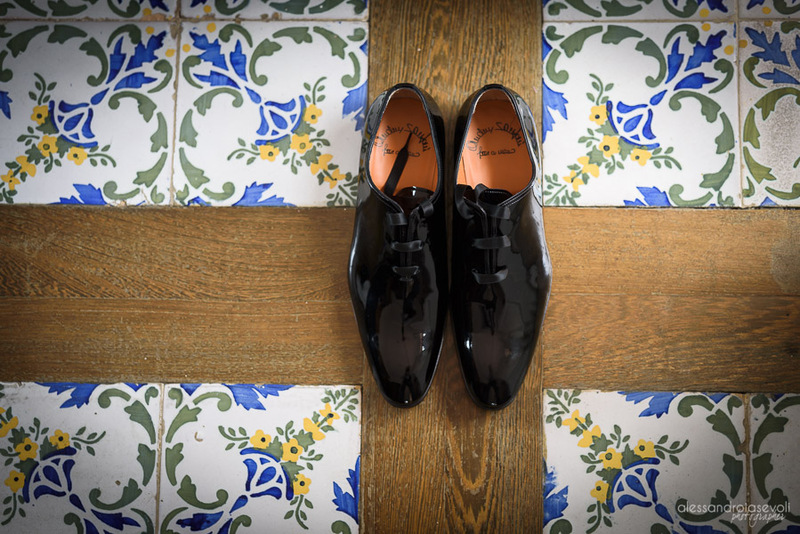 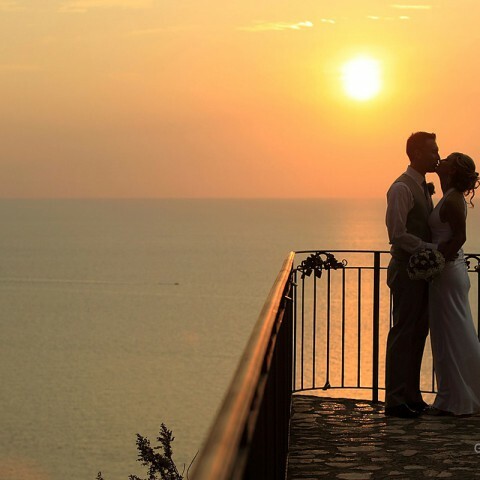 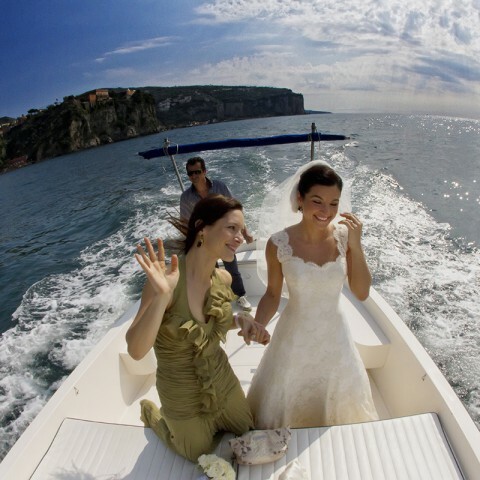 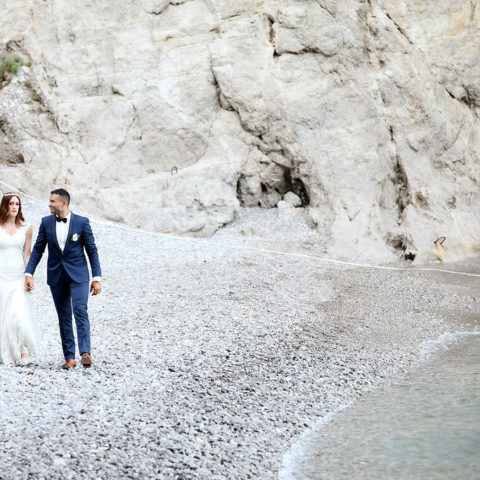 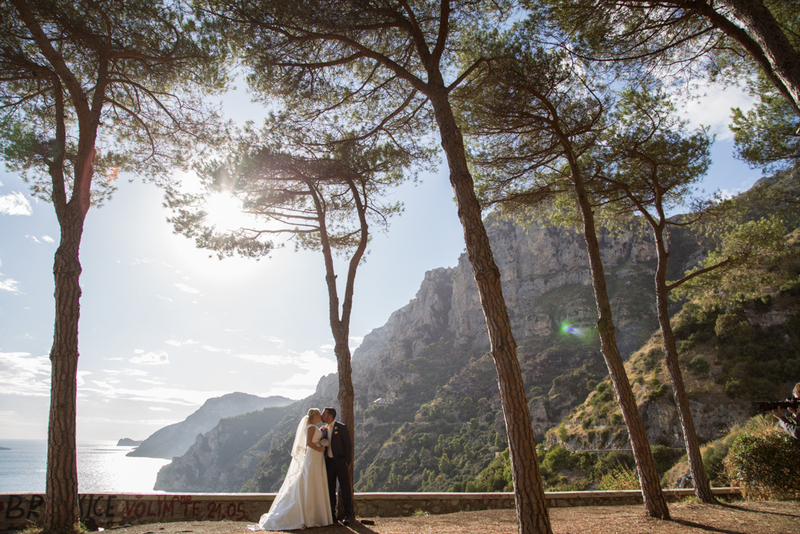 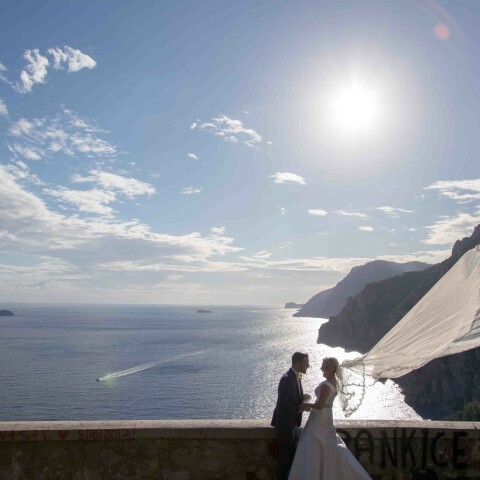 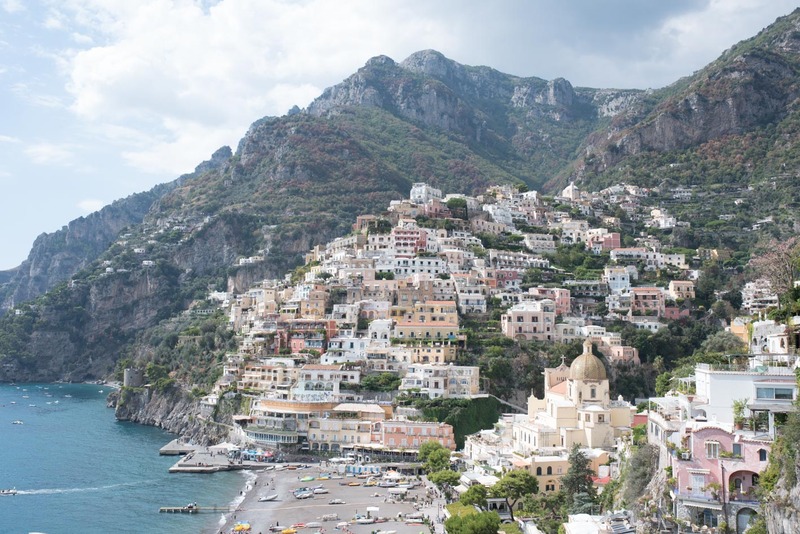 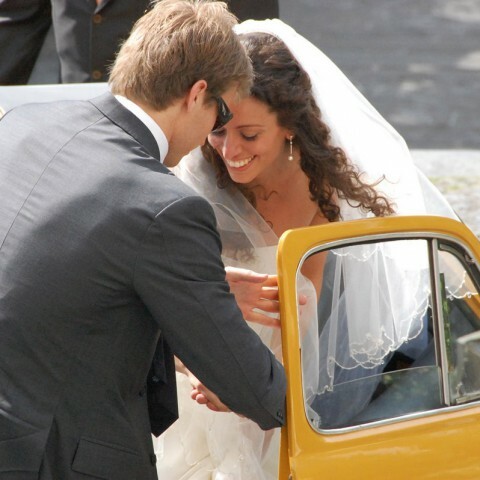 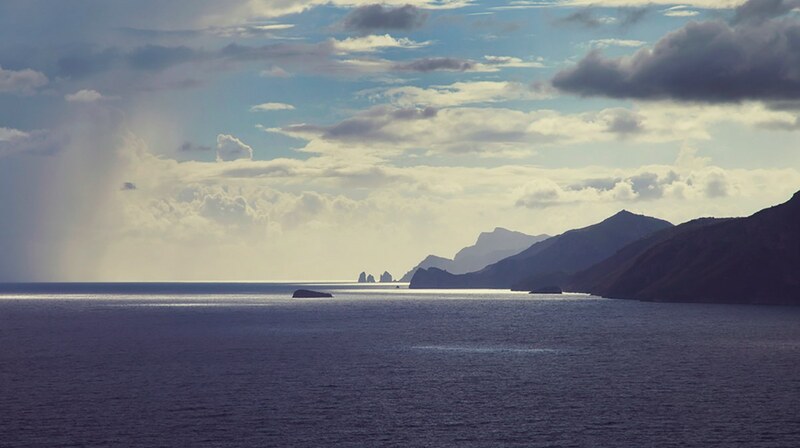 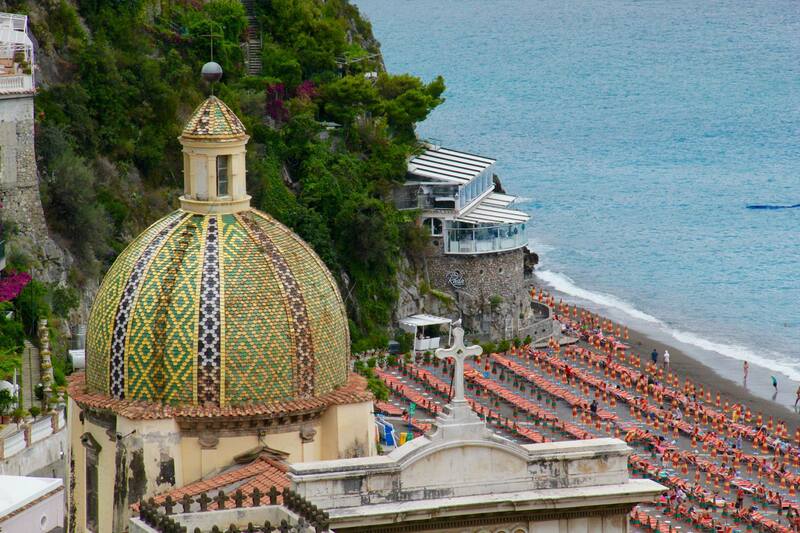 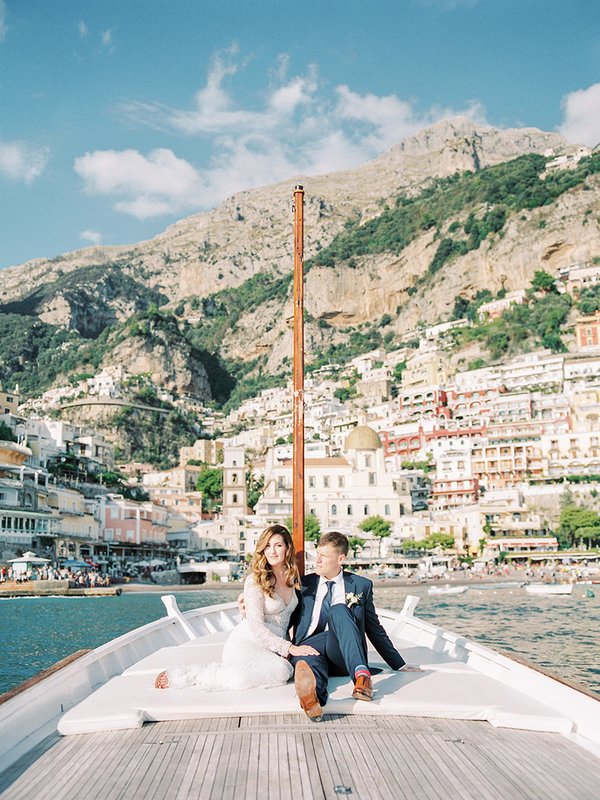 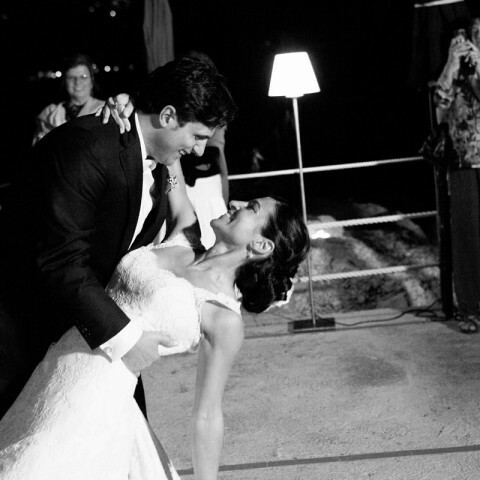 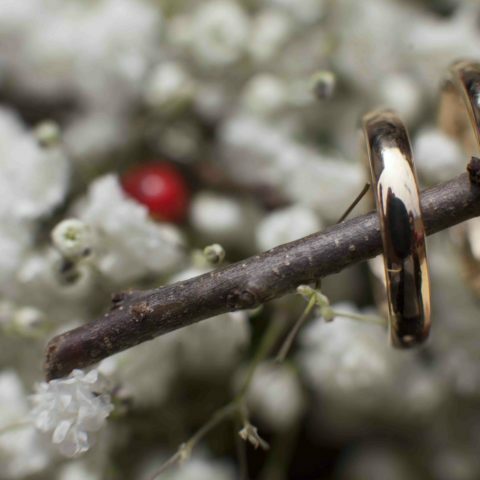 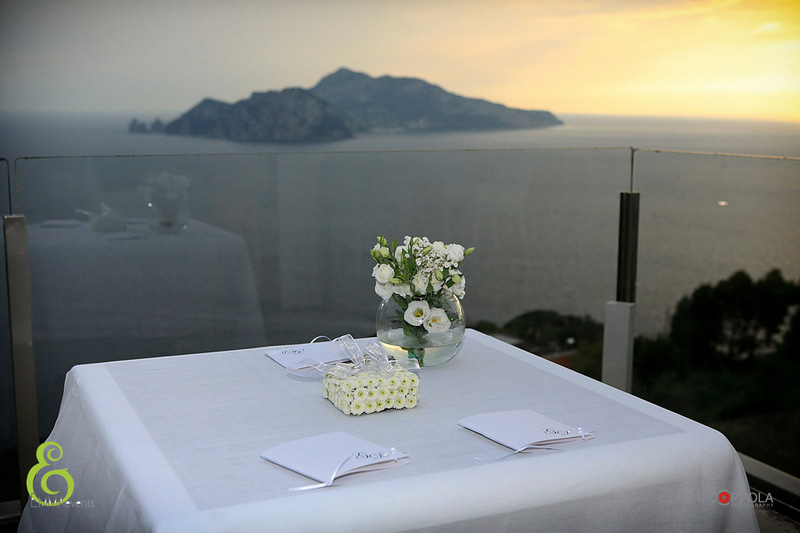 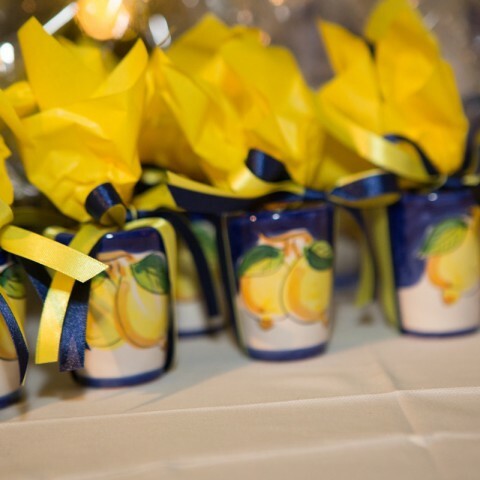 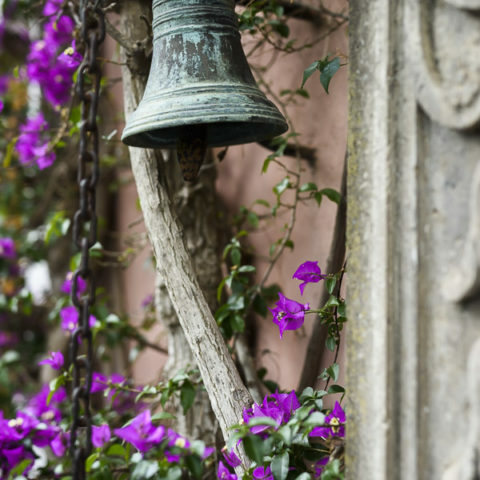 We absolutely recommend Emma for anyone who is planning to get married on the Amalfi Coast!